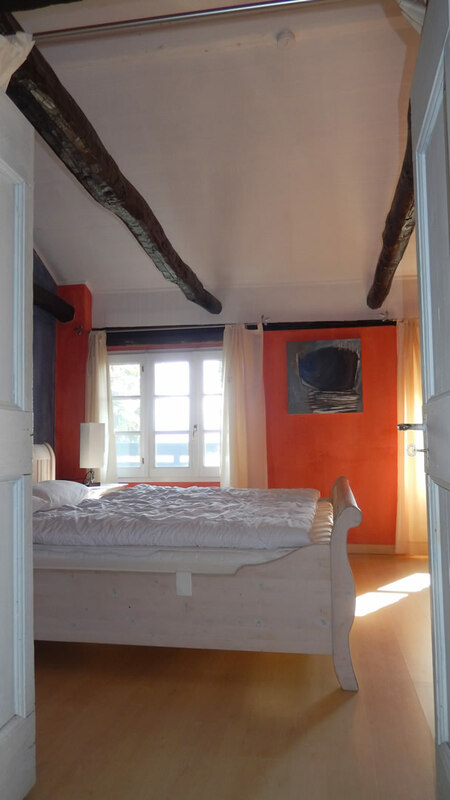 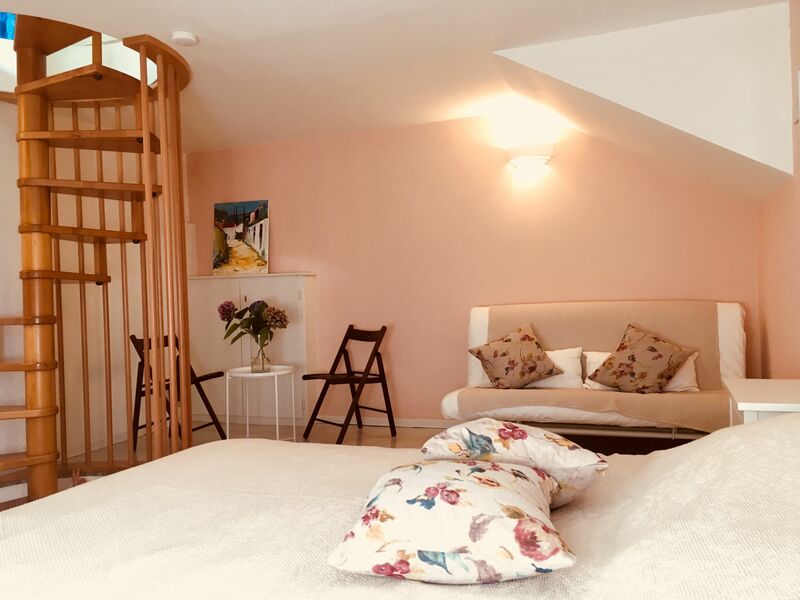 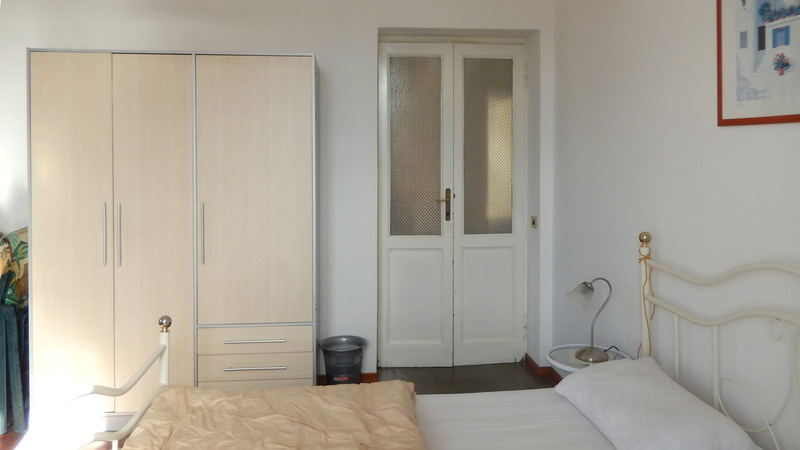 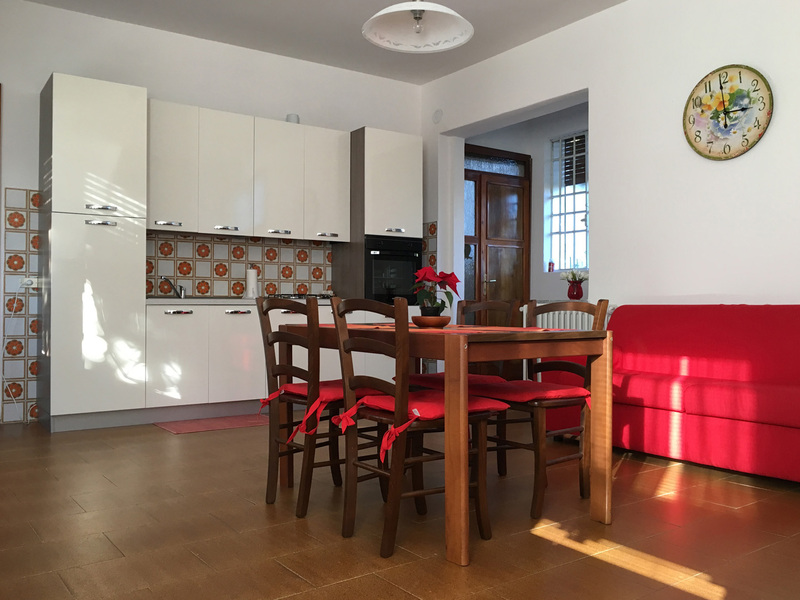 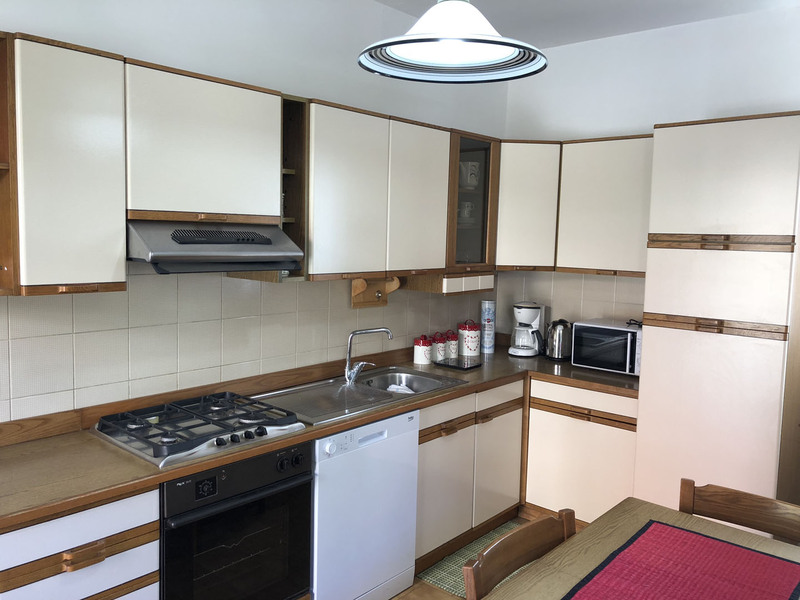 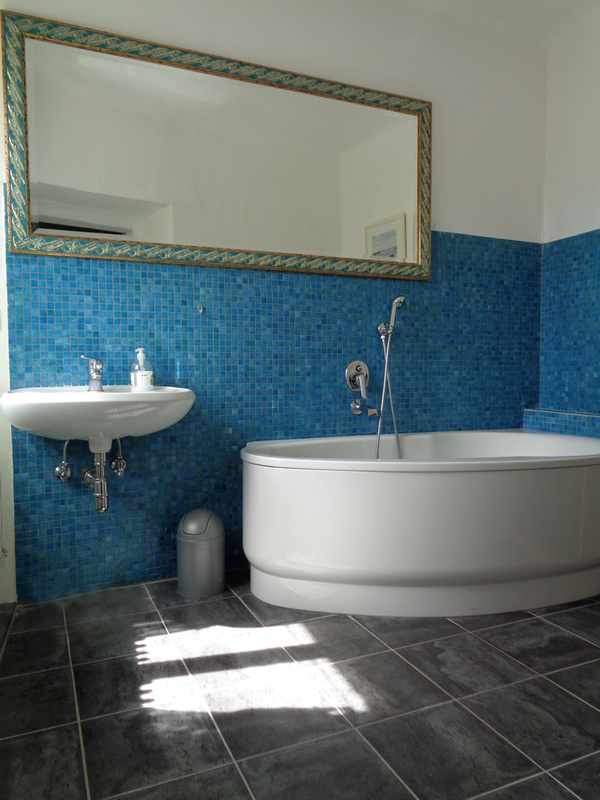 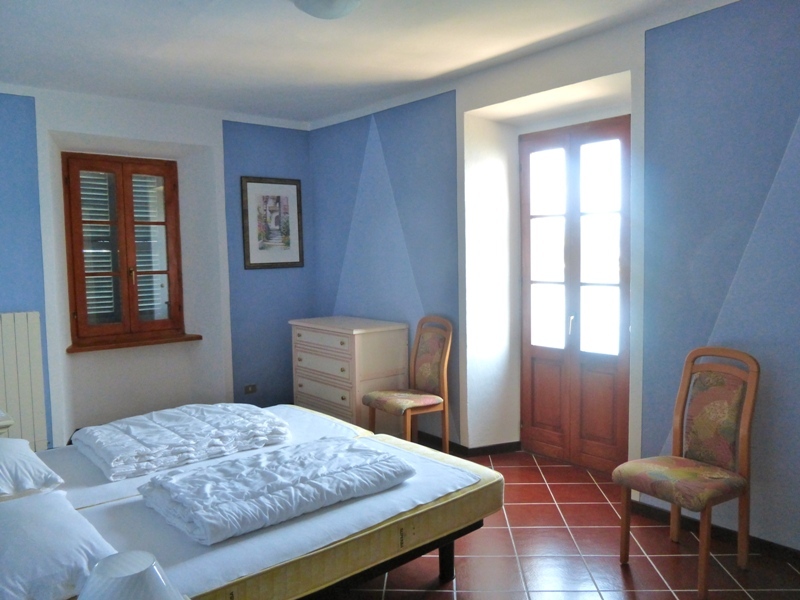 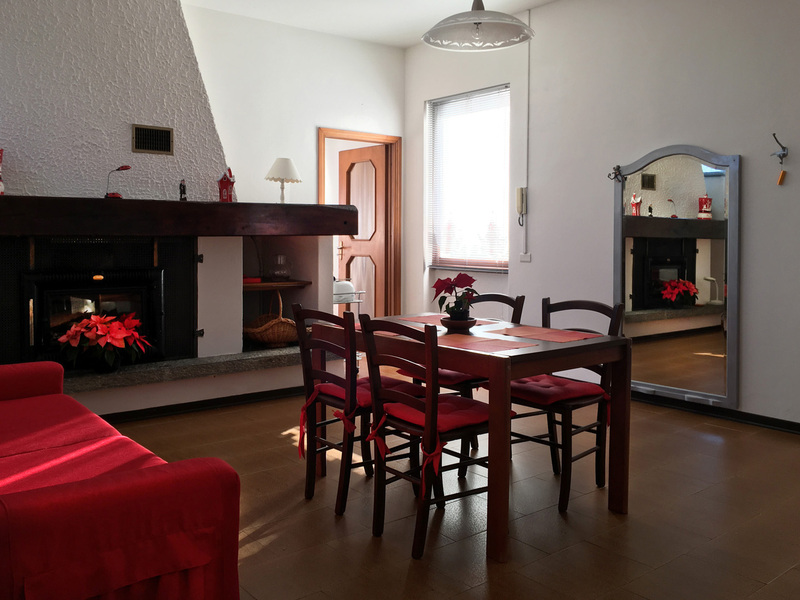 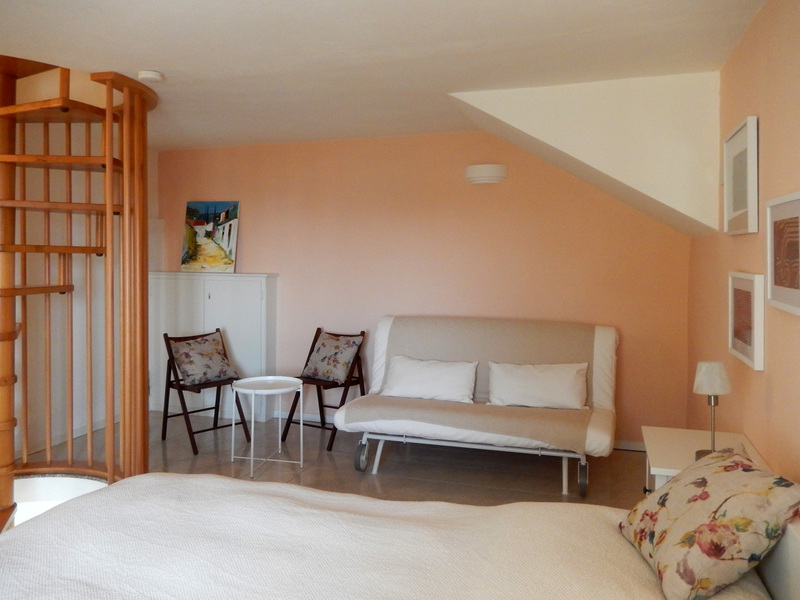 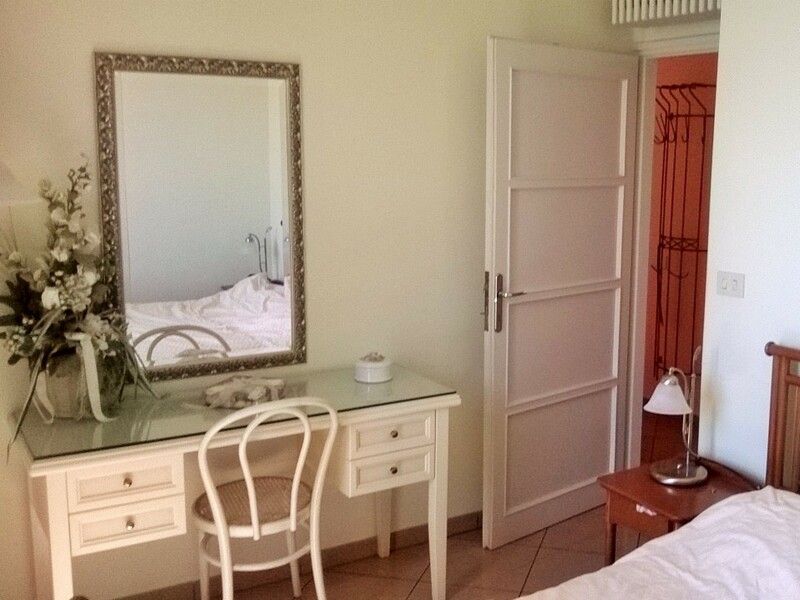 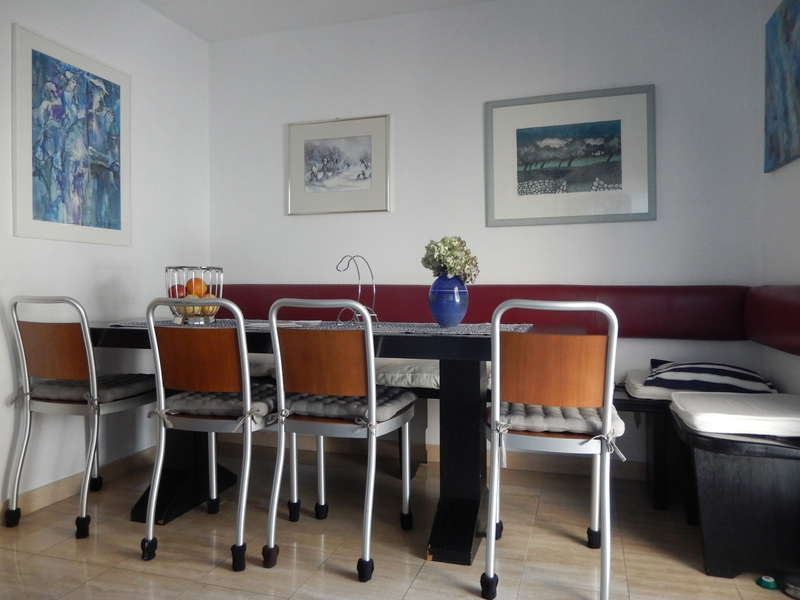 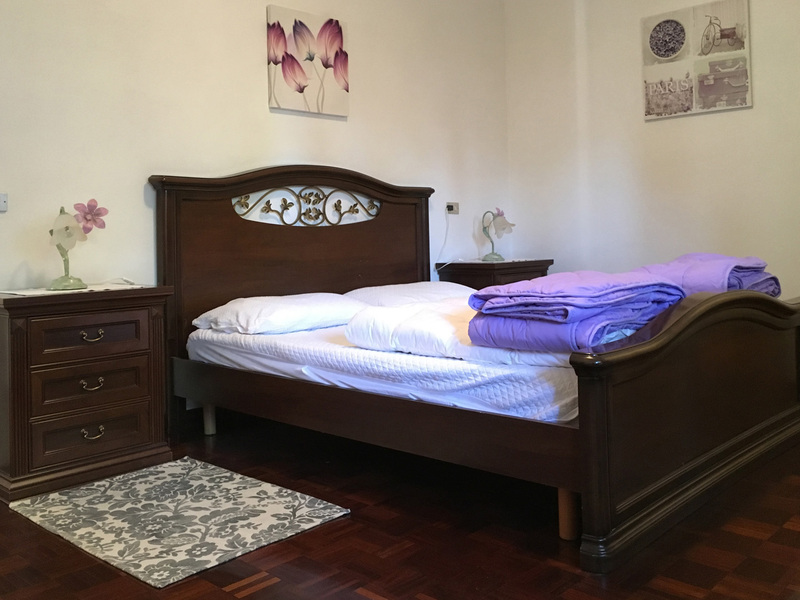 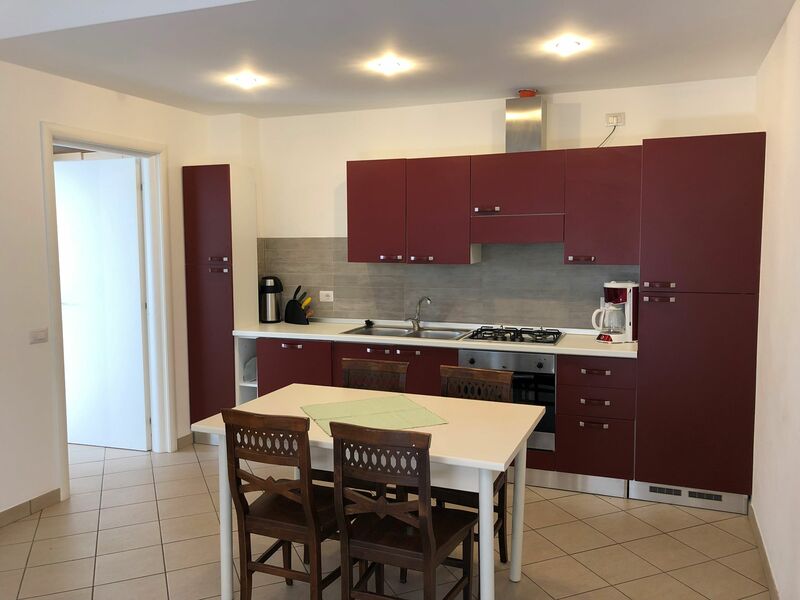 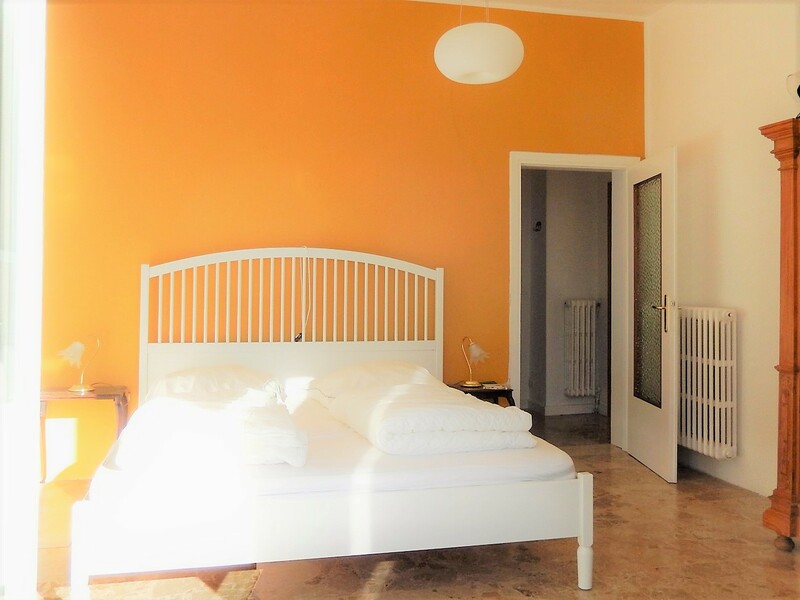 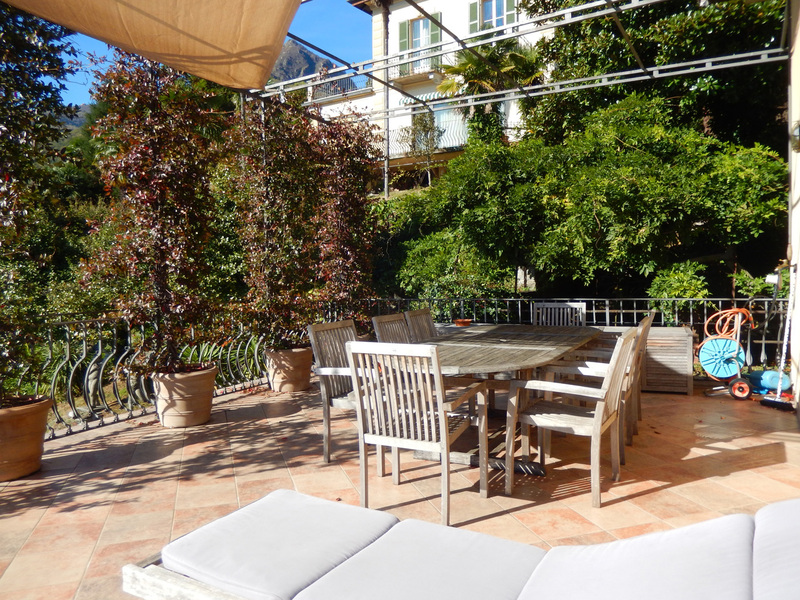 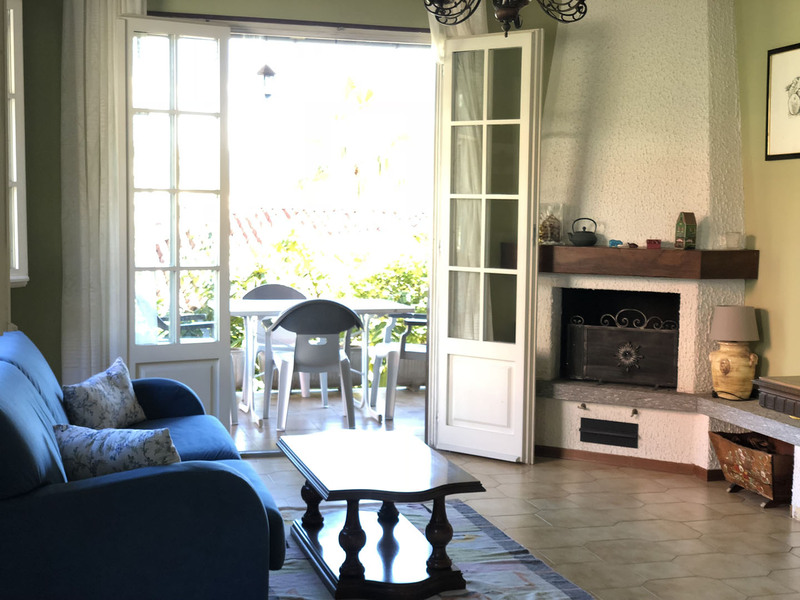 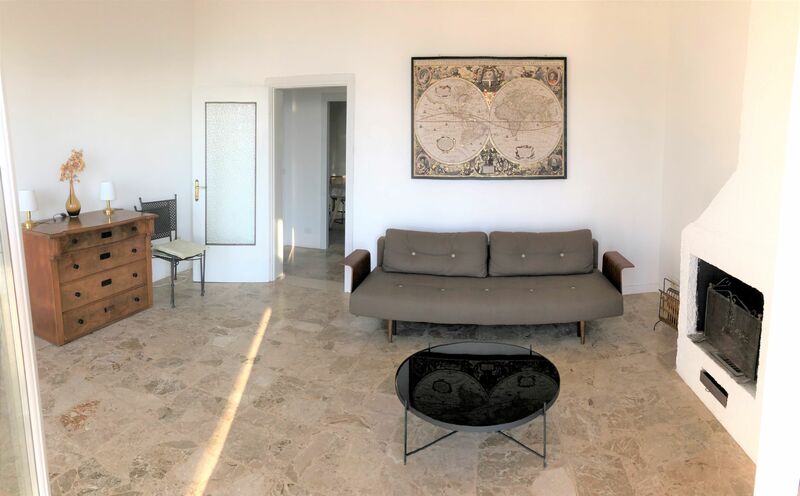 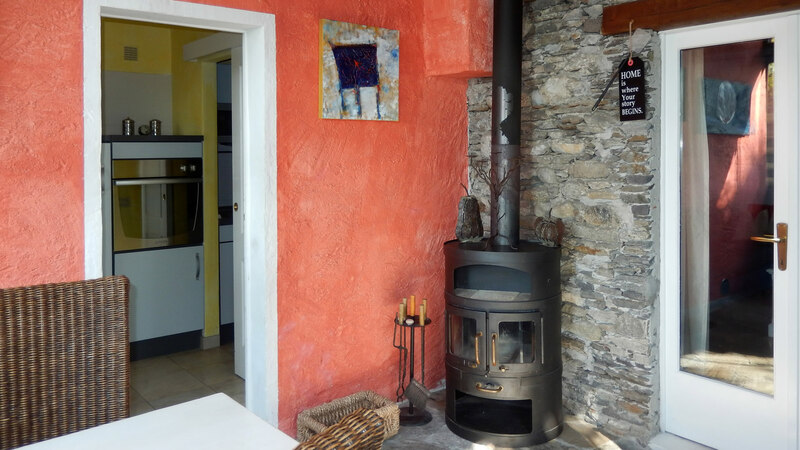 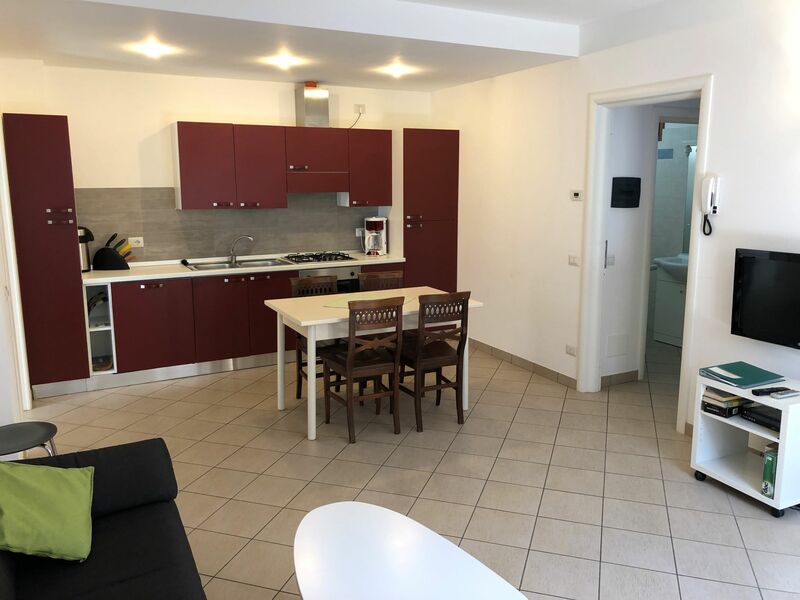 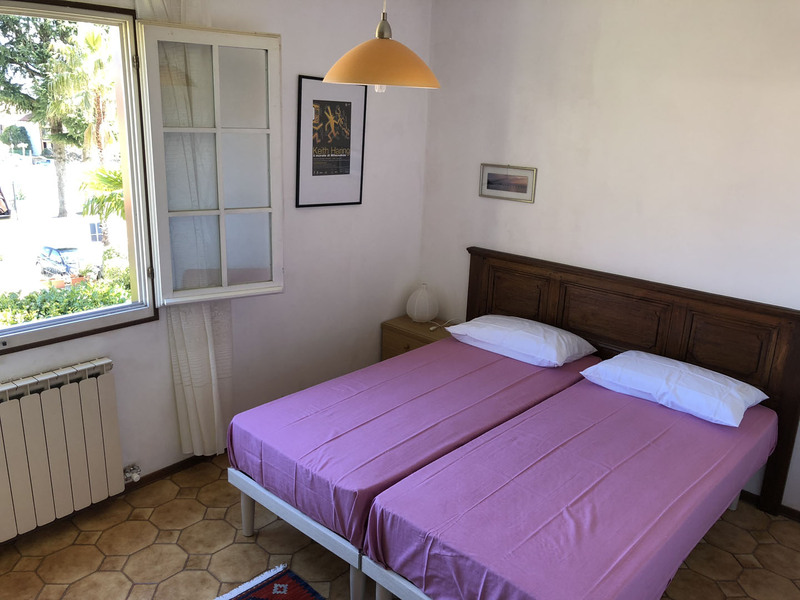 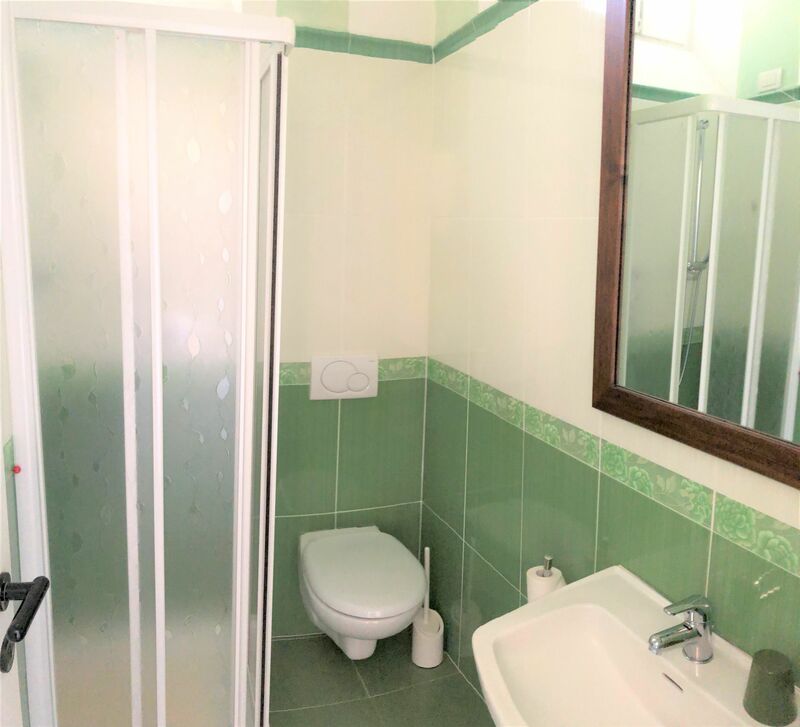 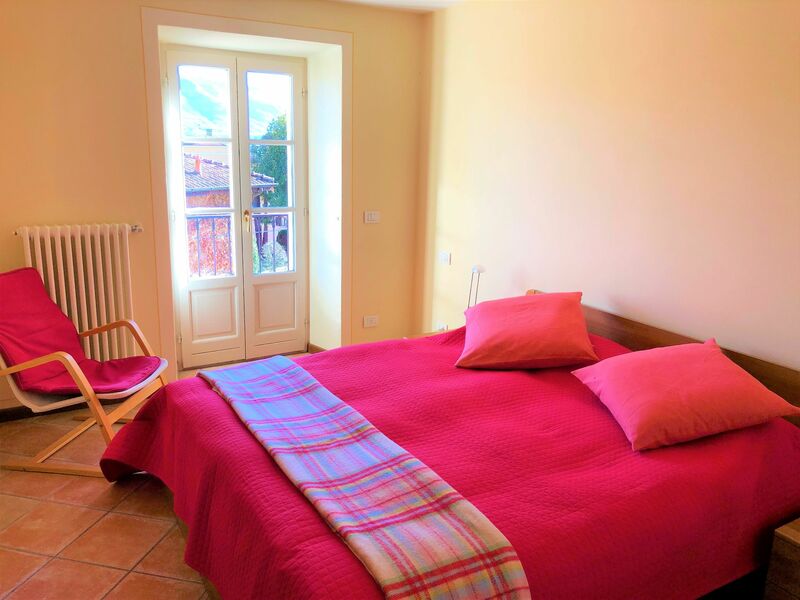 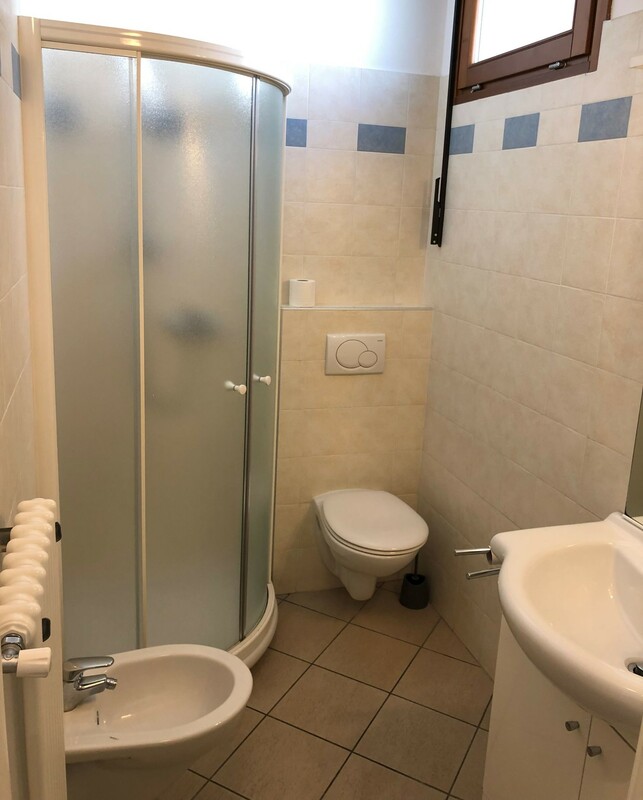 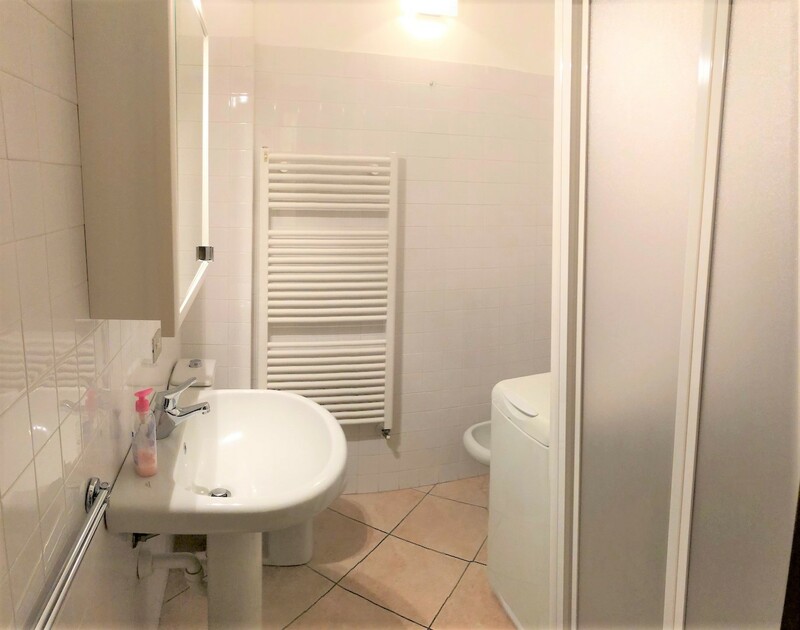 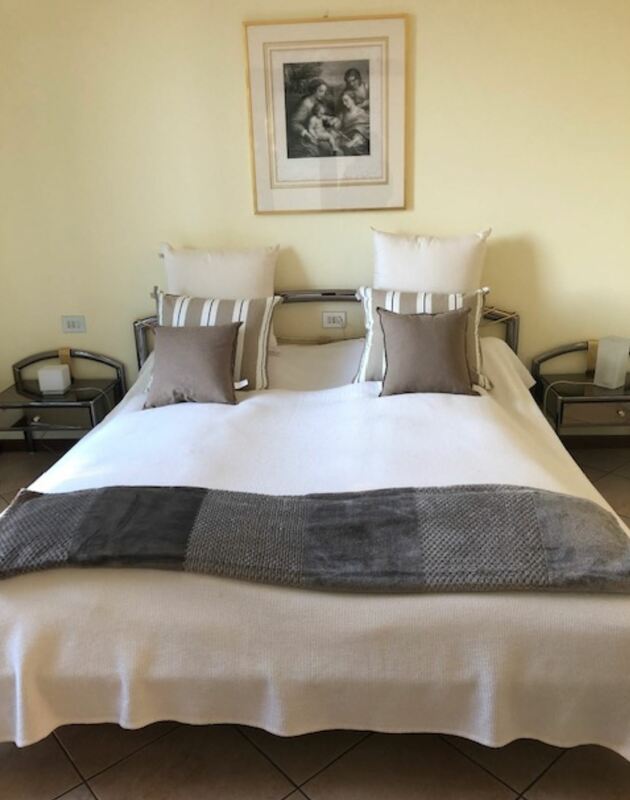 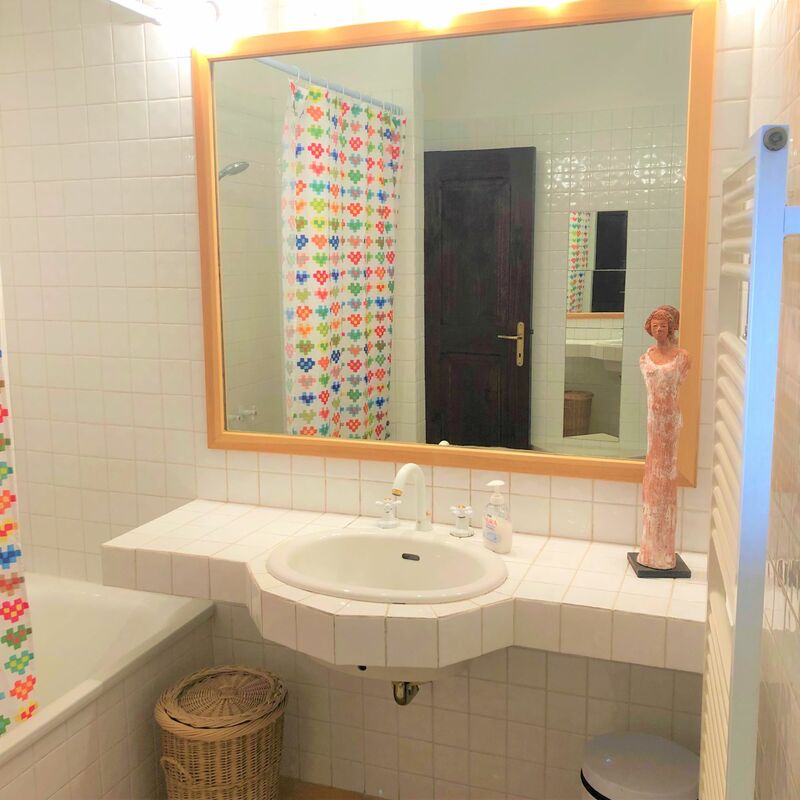 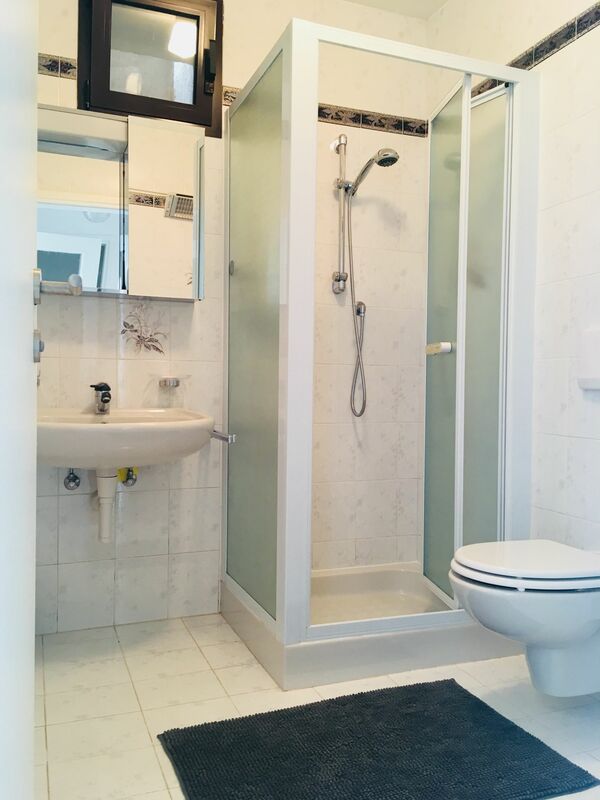 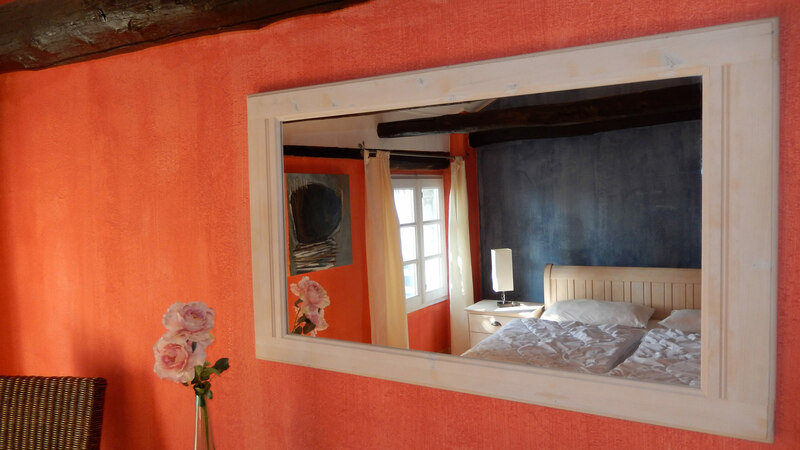 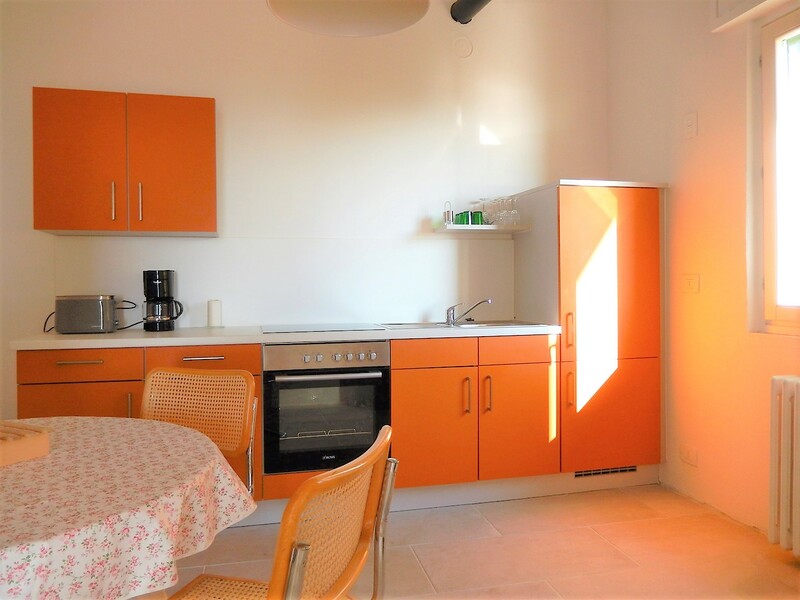 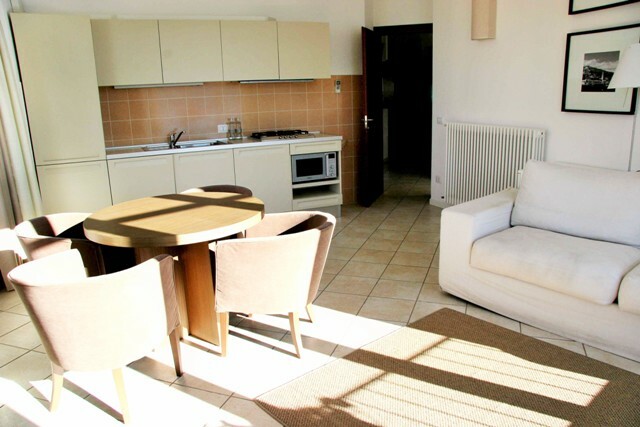 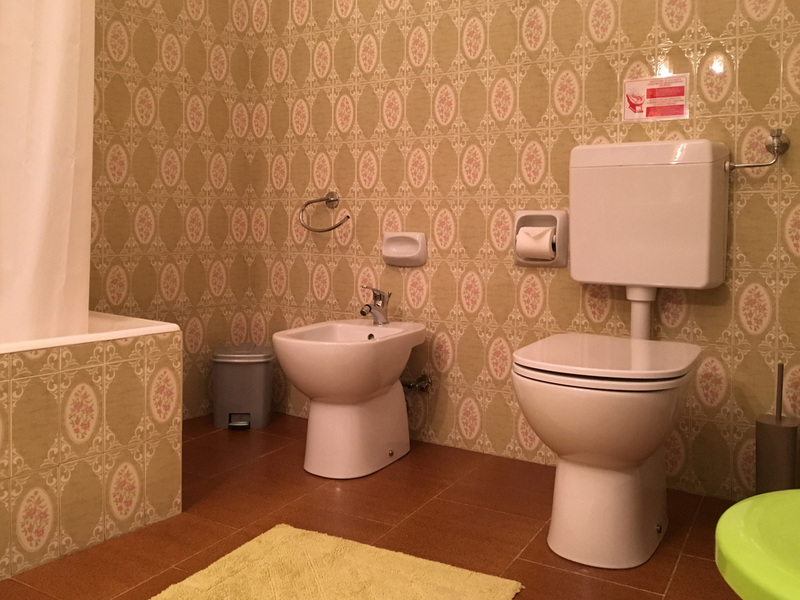 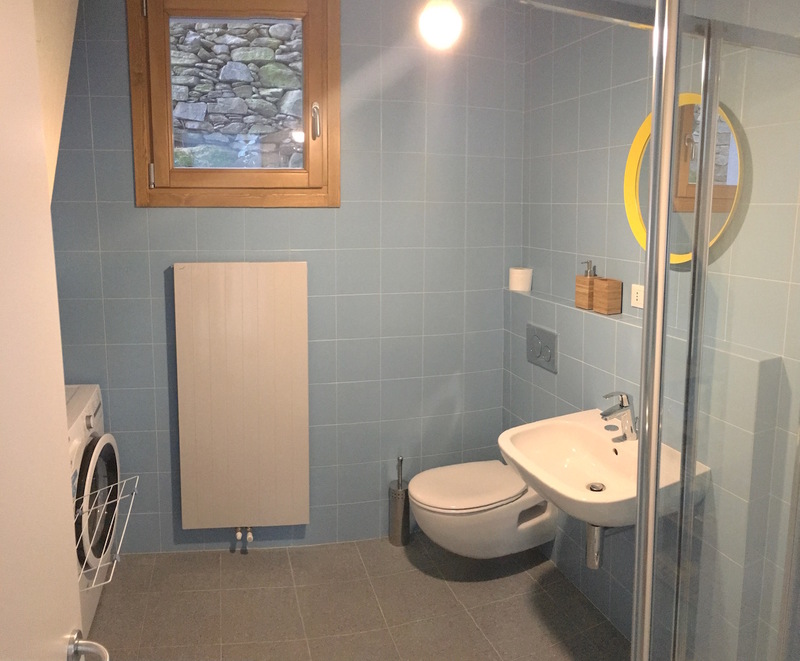 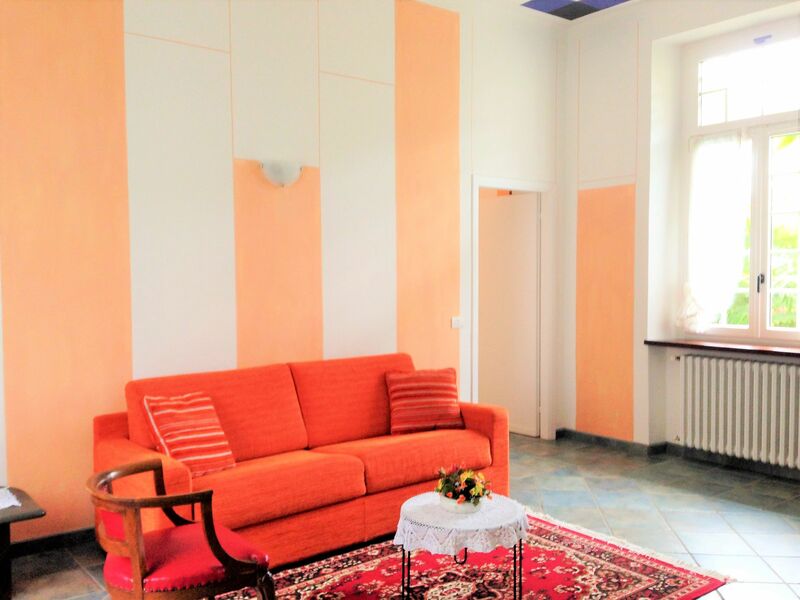 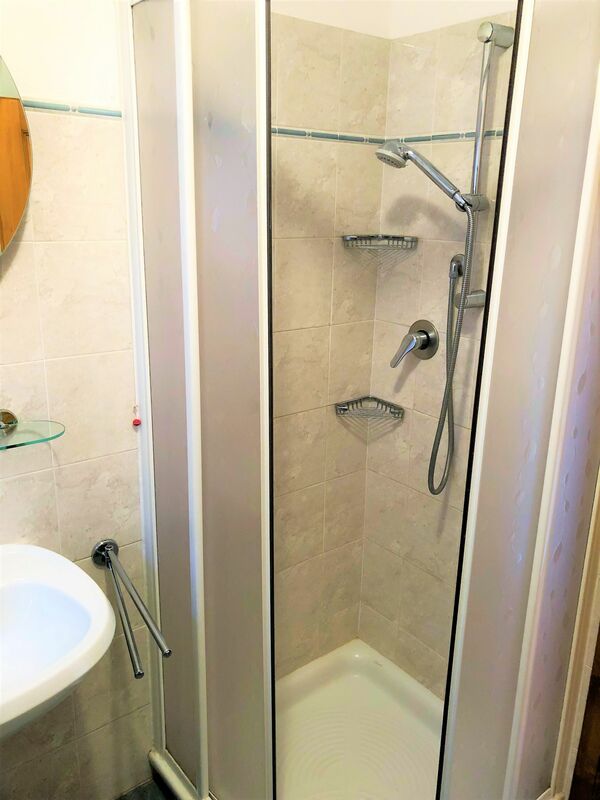 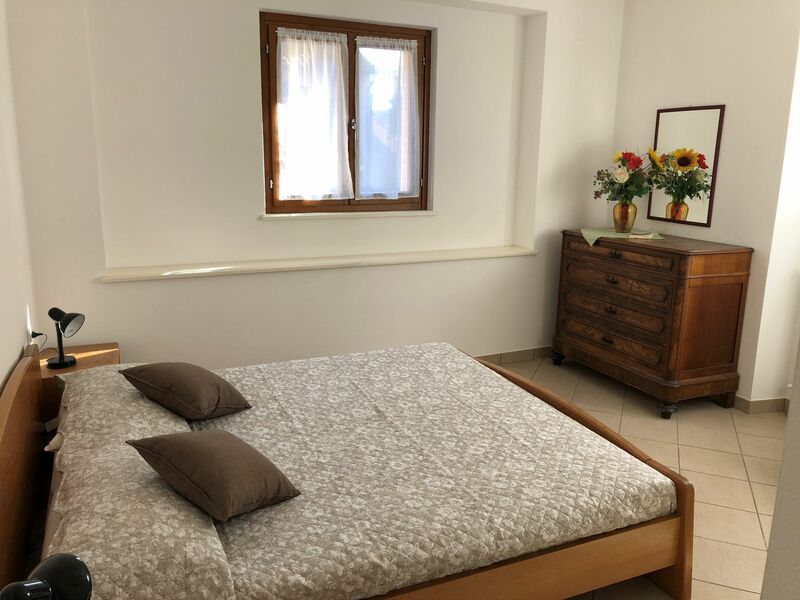 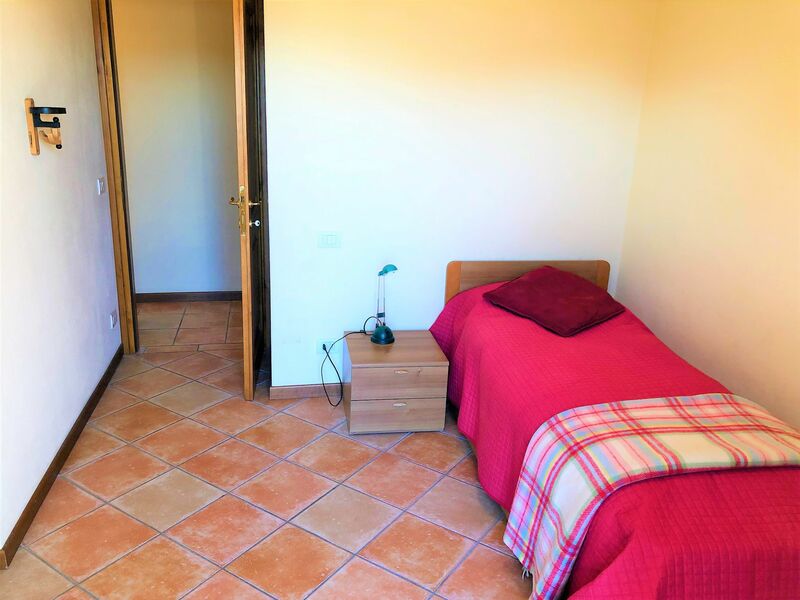 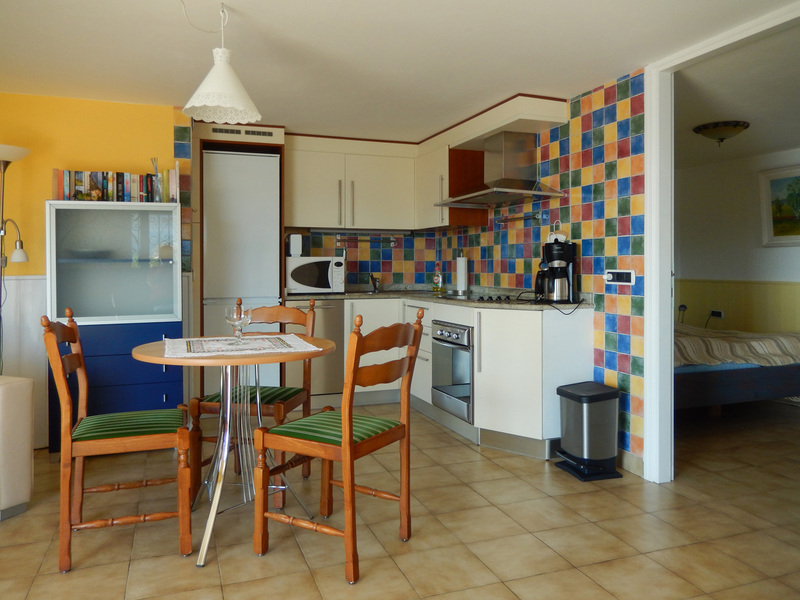 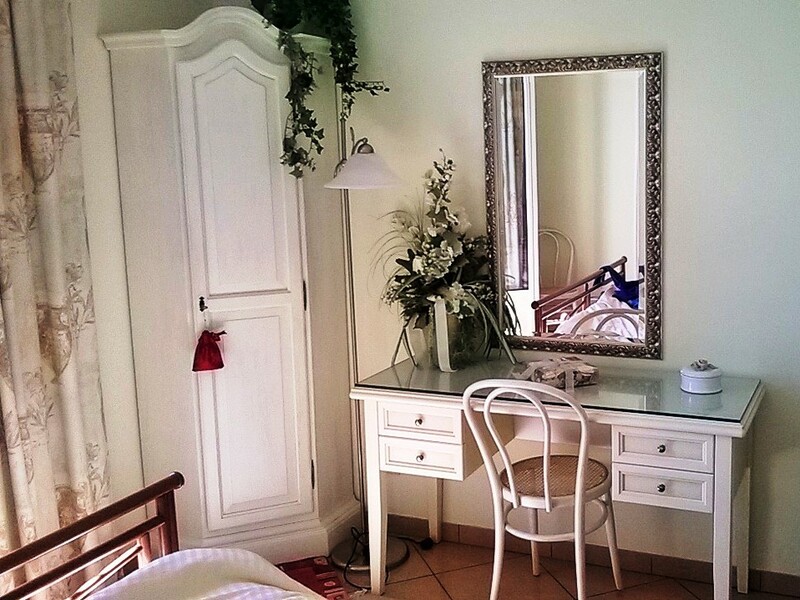 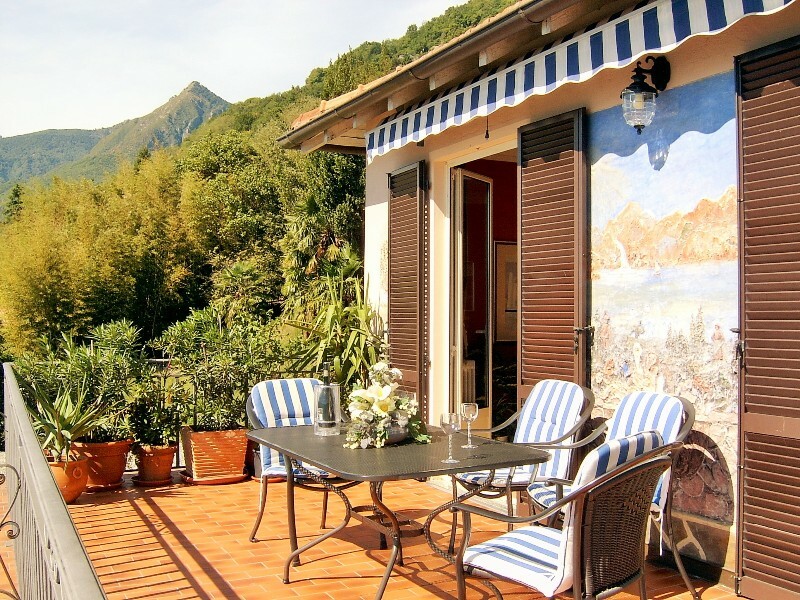 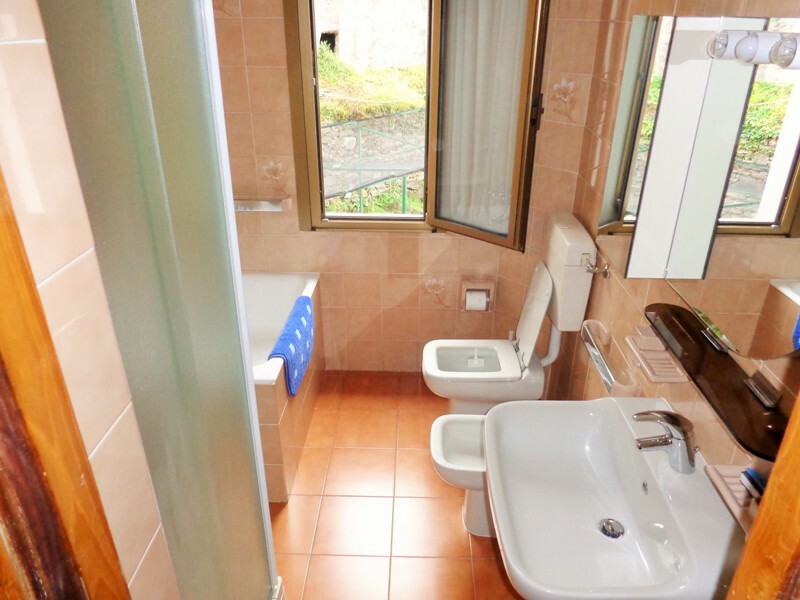 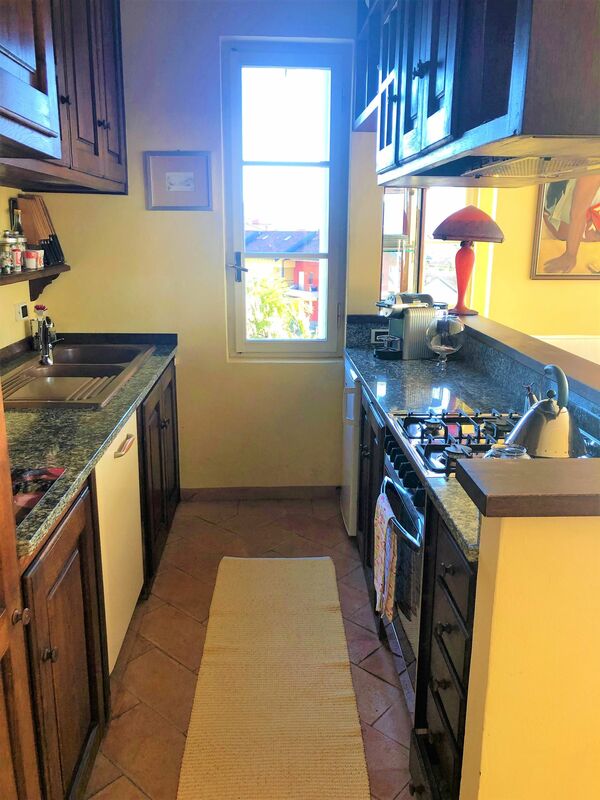 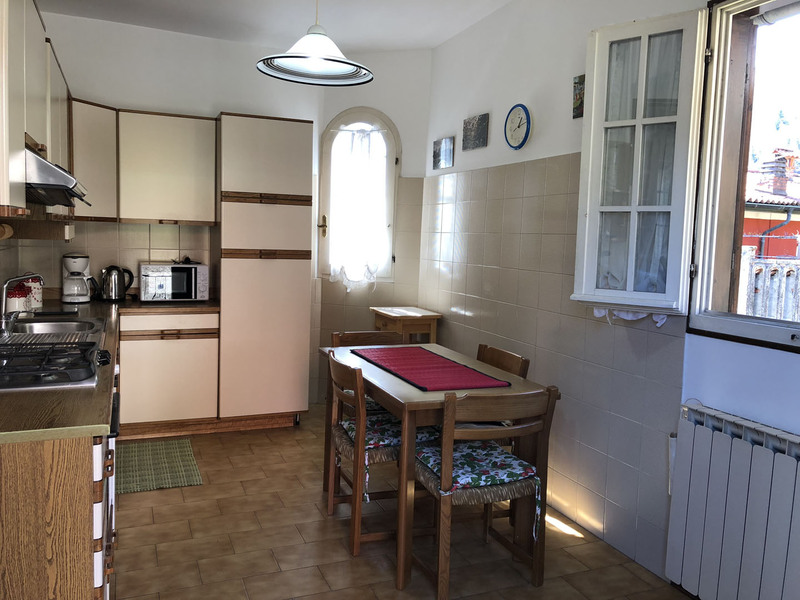 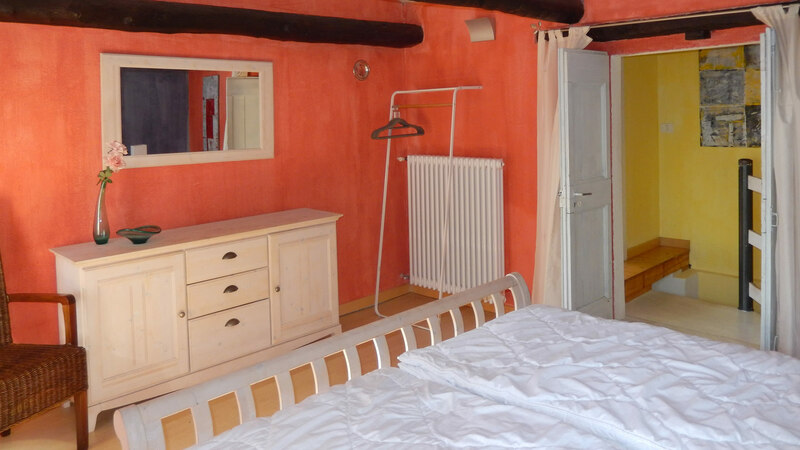 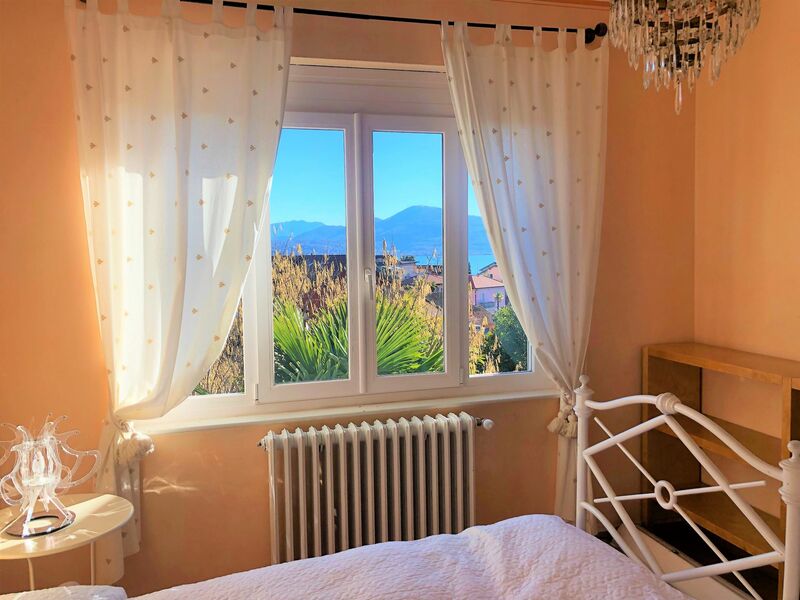 Romantic and pleasant holiday apartment tastefully renovated on the uppermost floor (2nd) of a centrally located, sunny building, street nearby. 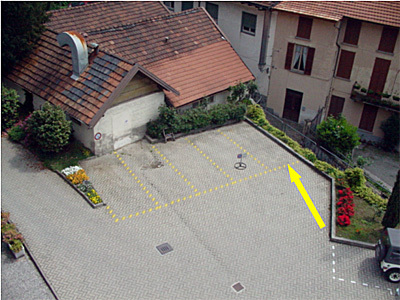 Private parking space on the parking lot behind the building. 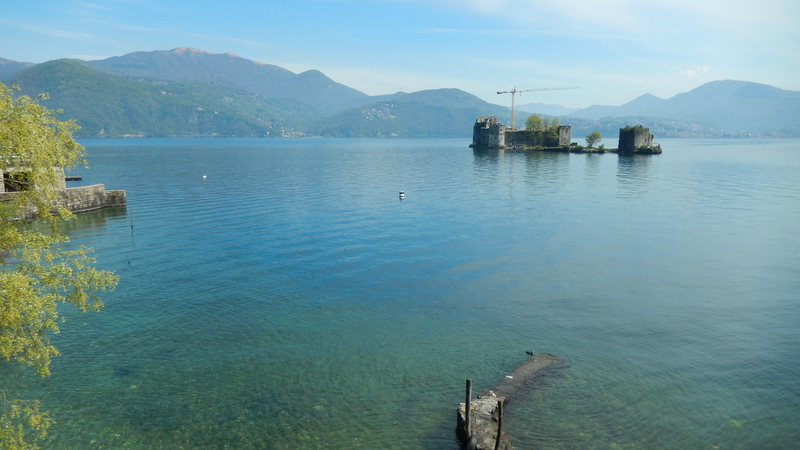 Beautiful panoramic view over the lake and the ruins of the water castle "Castelli di Cannero". 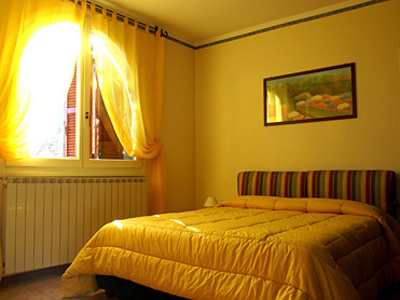 Rooms: living room with built-in kitchen and balcony, bedroom with romantic balcony, bathroom with shower. 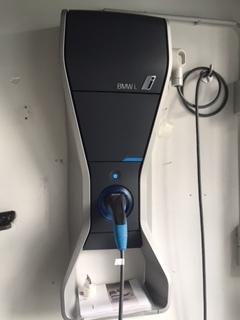 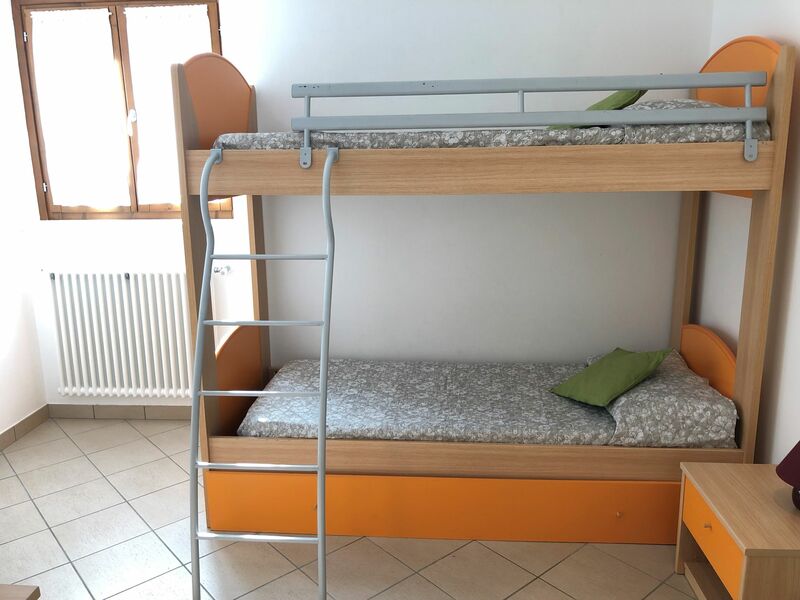 Places to sleep: bedroom with double bed + ev. 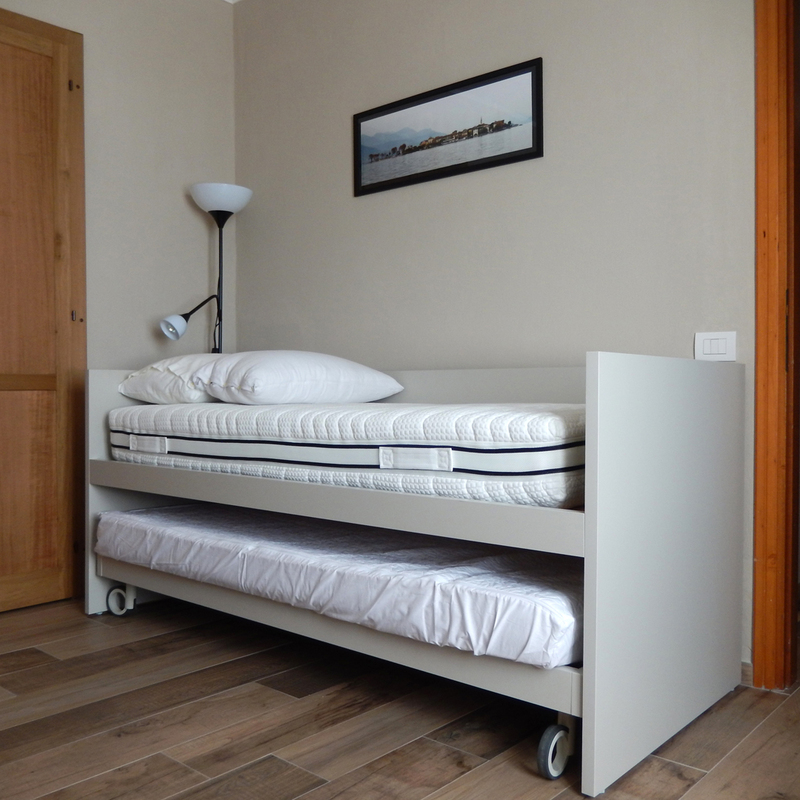 folding bed as 3rd sleeping place. 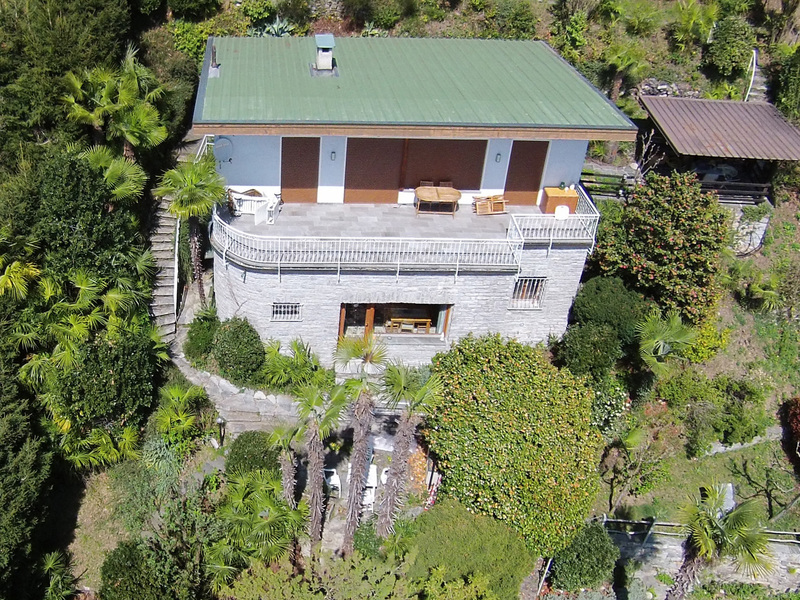 Rustico built in 1840 inmidst a natural oasis of 1.500 m2 garden, restructured in a ecological way. 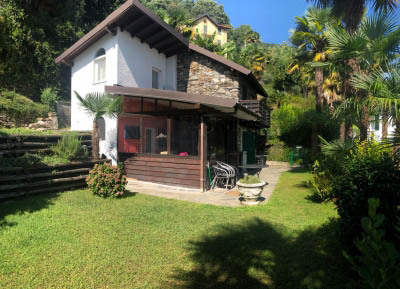 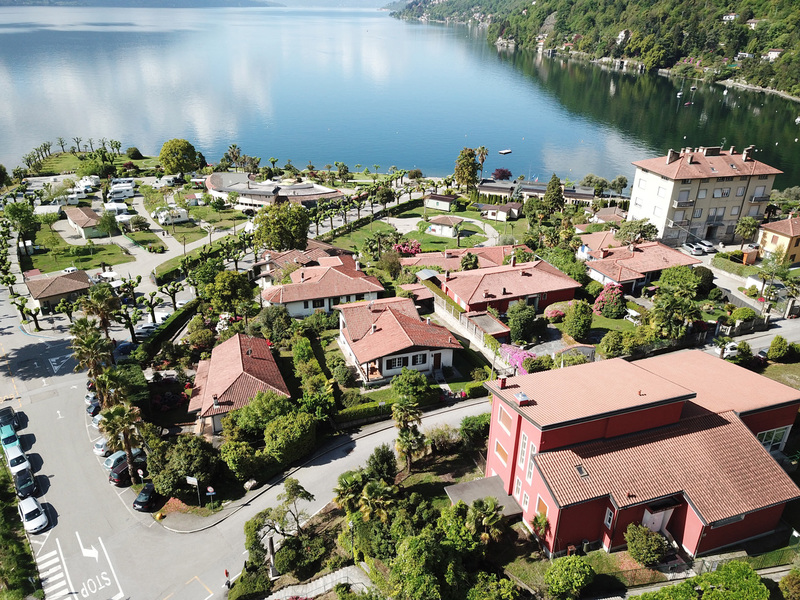 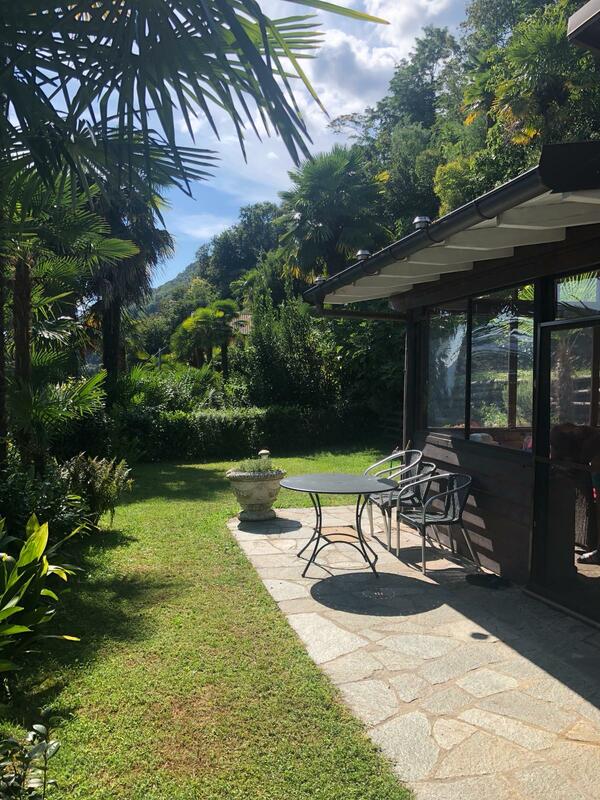 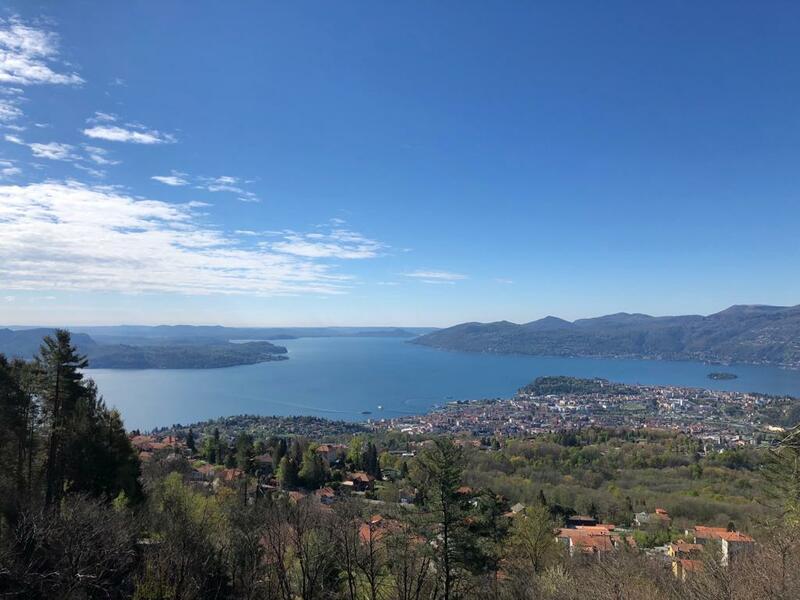 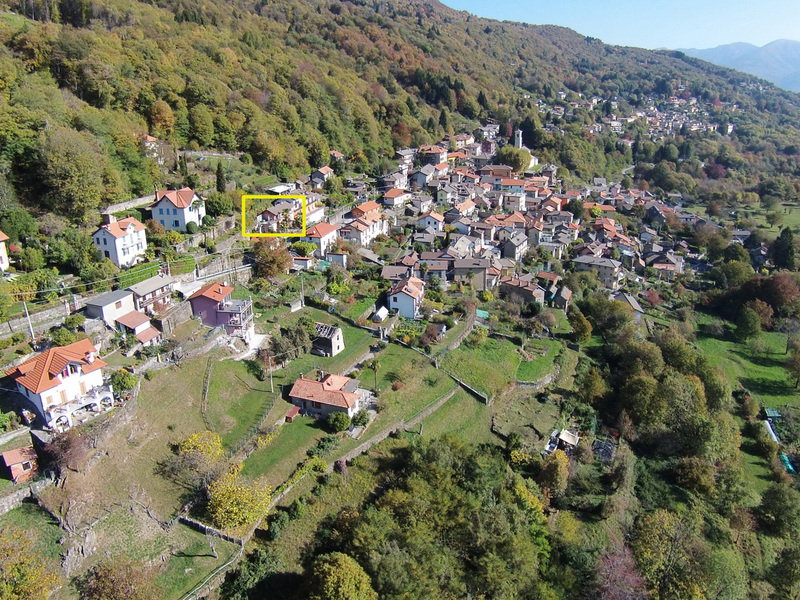 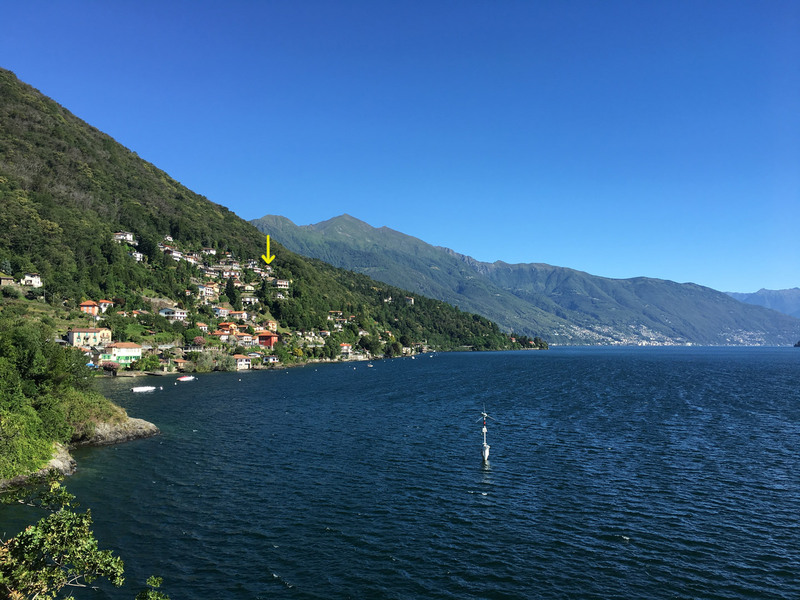 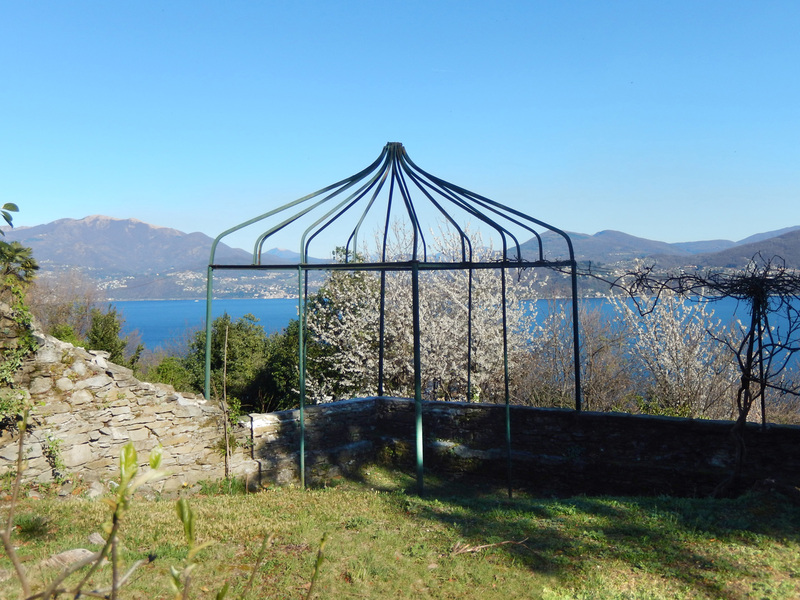 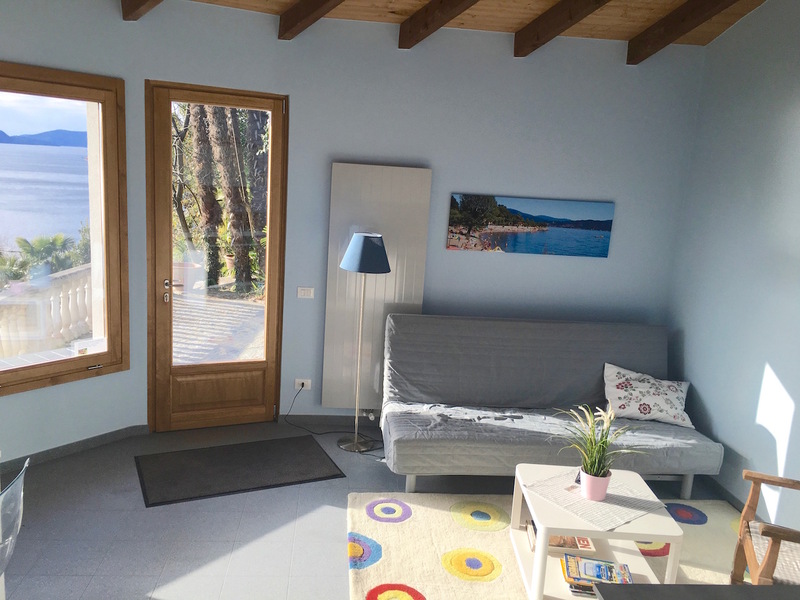 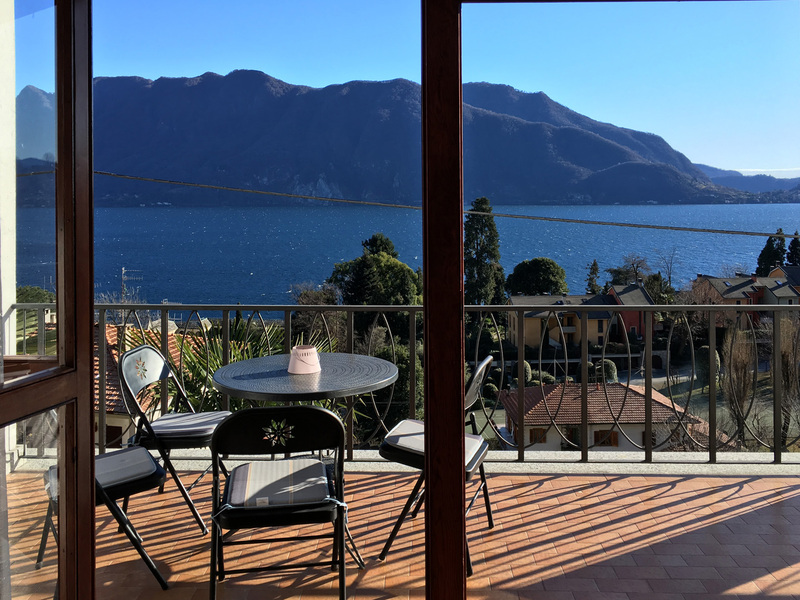 Sunny panorama position with wonderful view over the lake and the village of Cannero, the beautiful beach with several footpaths directly from the rustico. 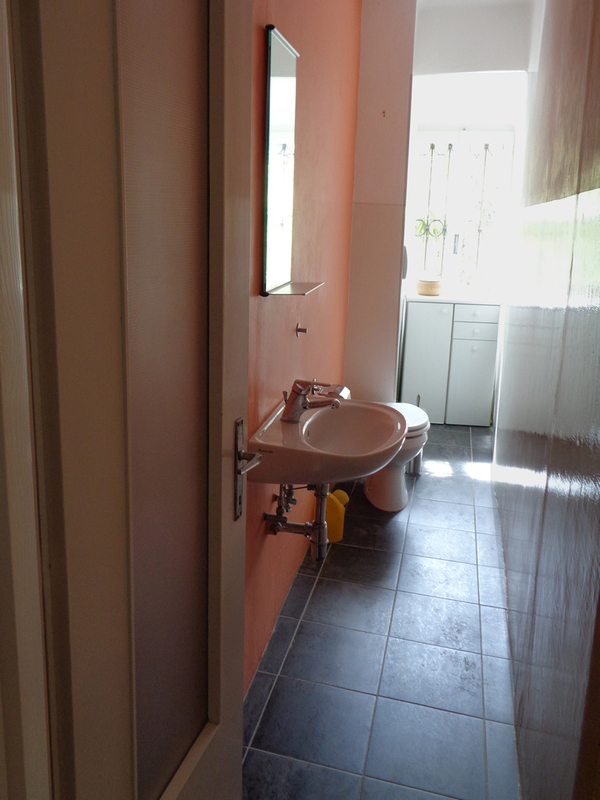 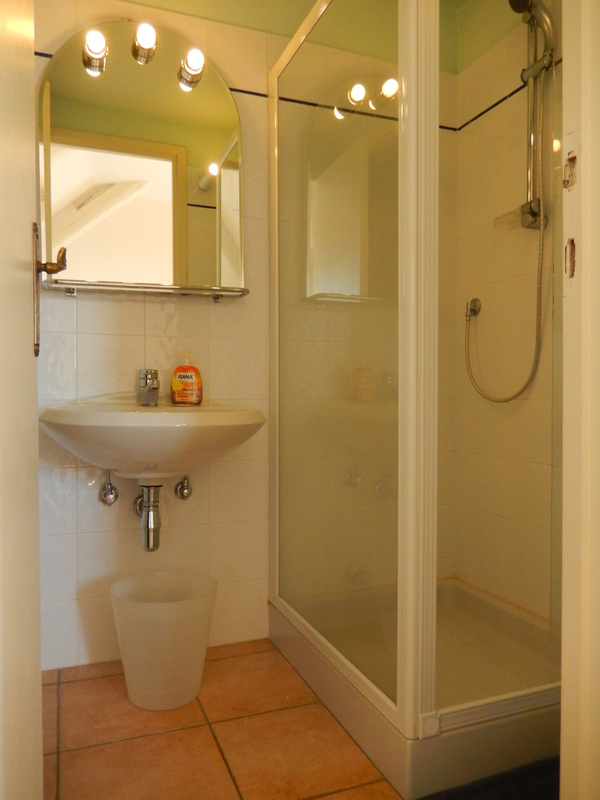 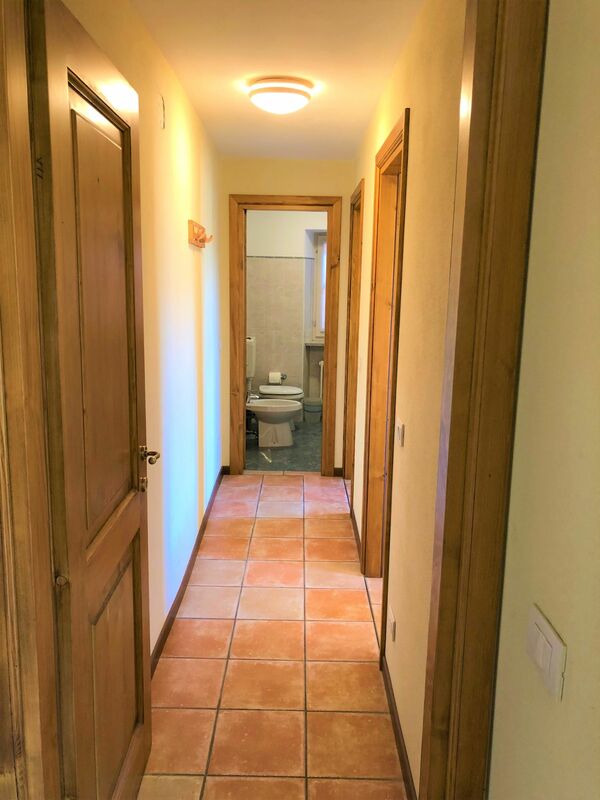 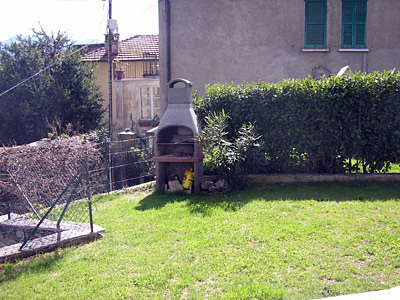 Rooms:Ground floor: bedroom with three single beds, shower, garden with outside shower and barbeque. 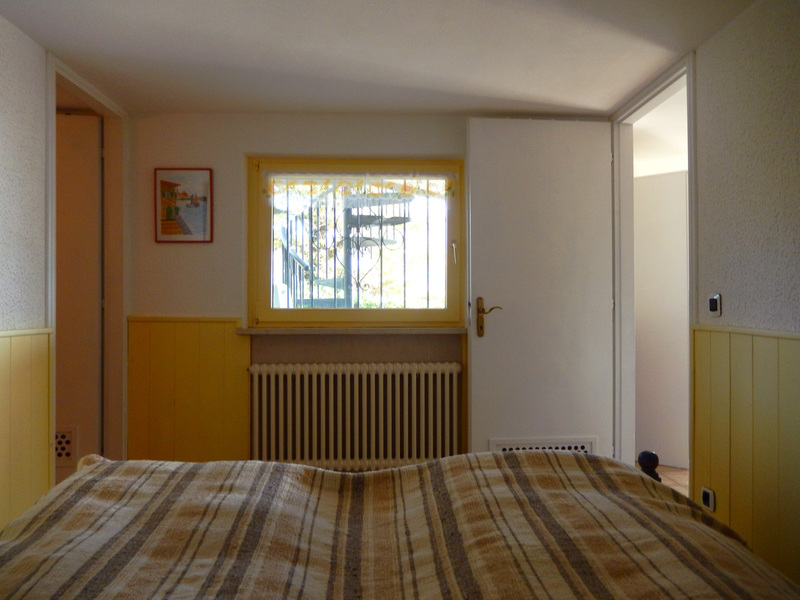 1st floor: bedroom, living room with kitchen corner and balcony. 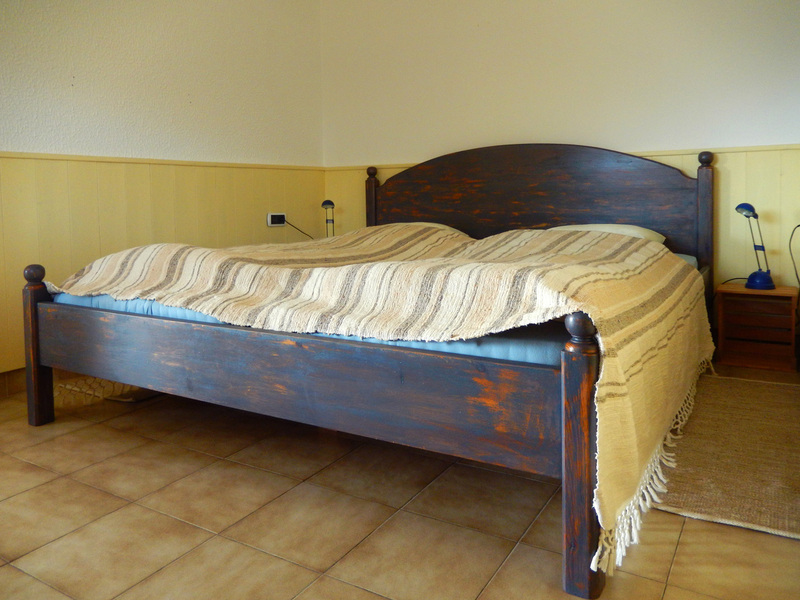 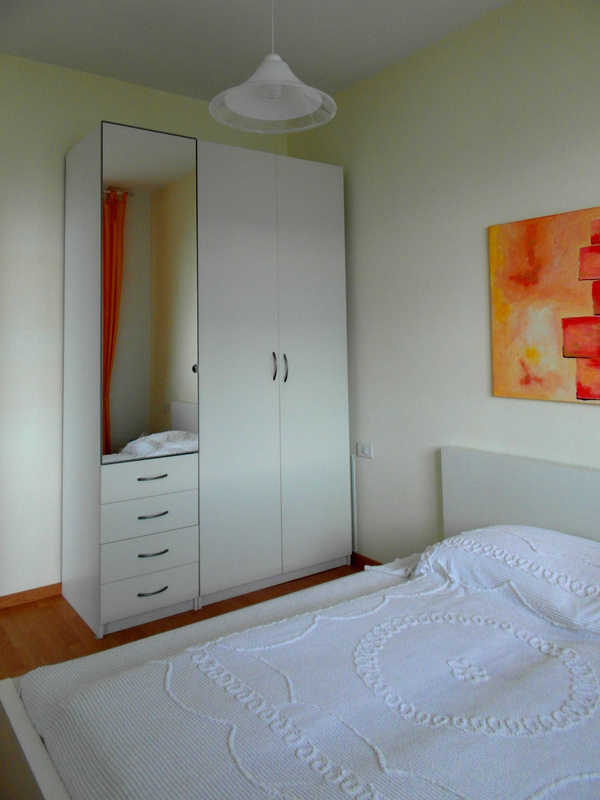 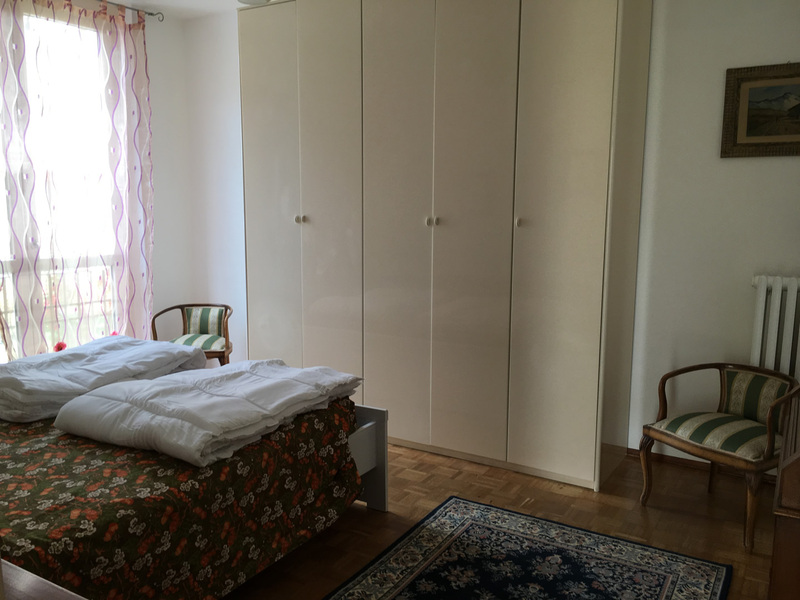 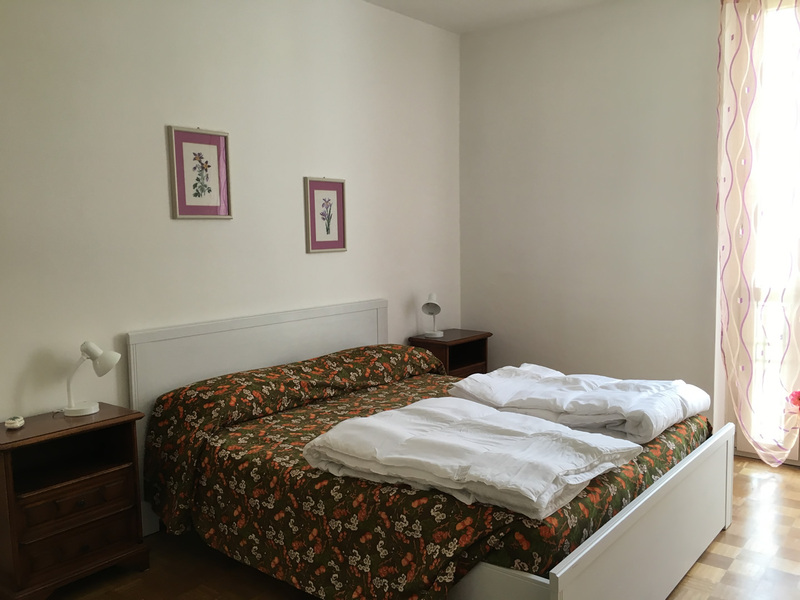 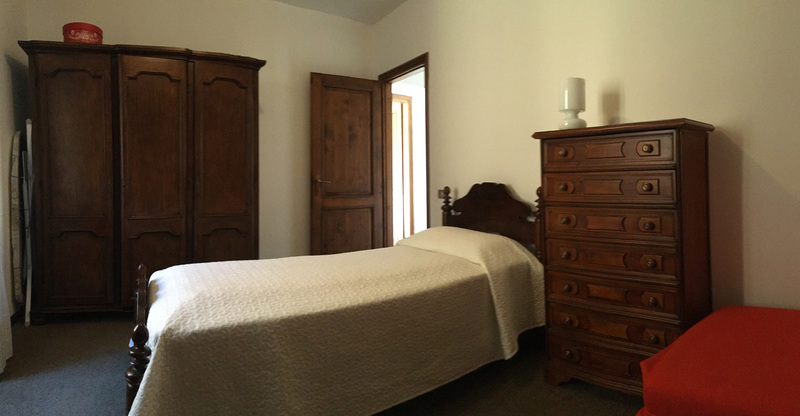 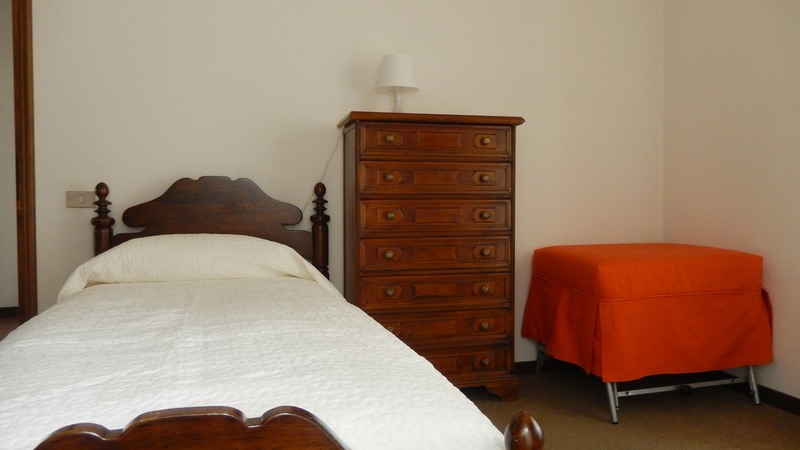 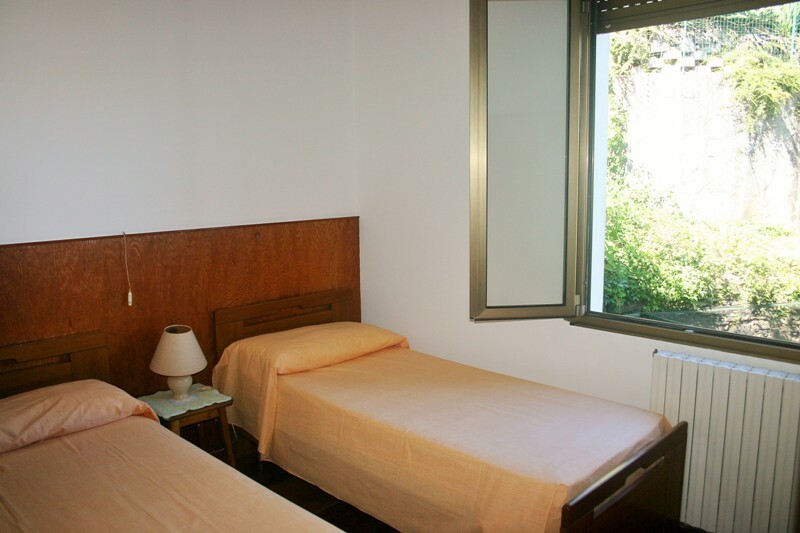 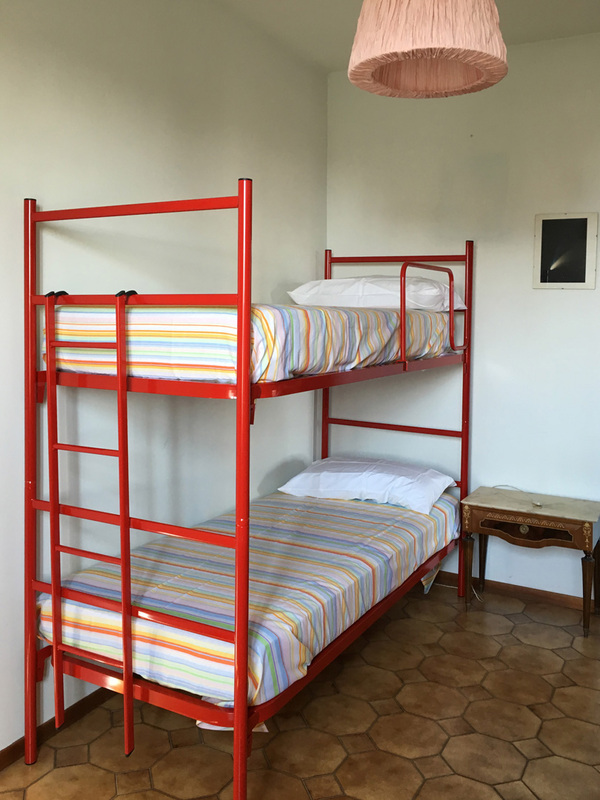 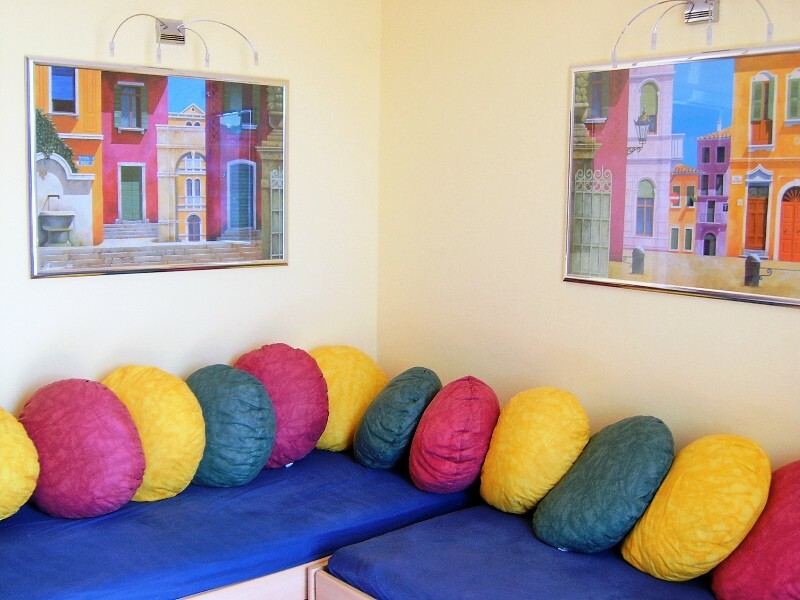 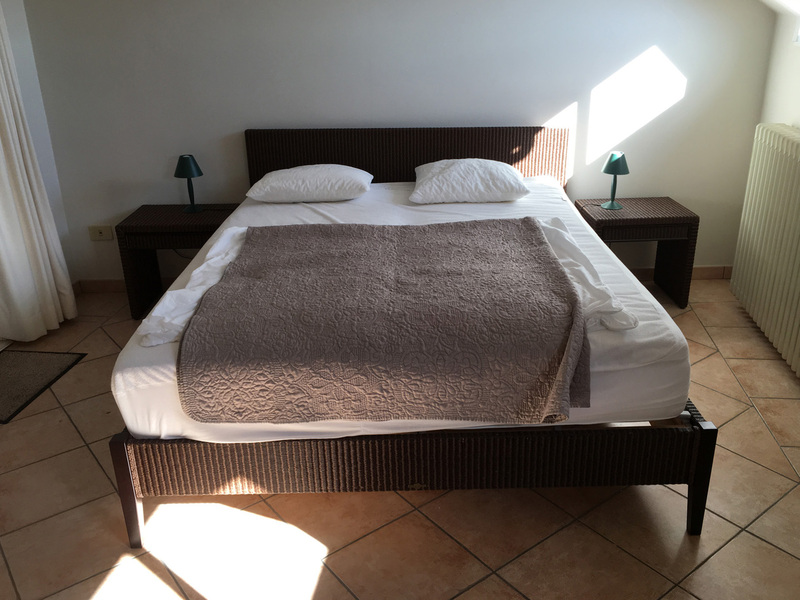 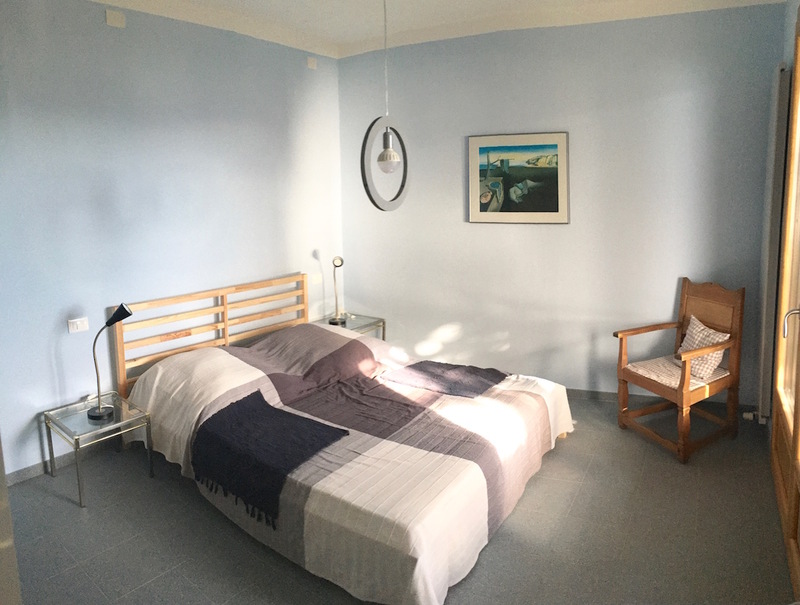 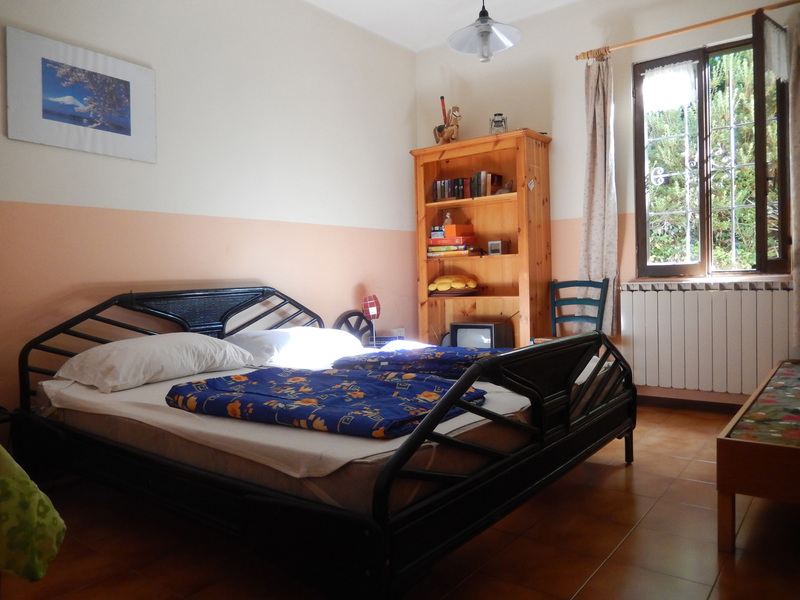 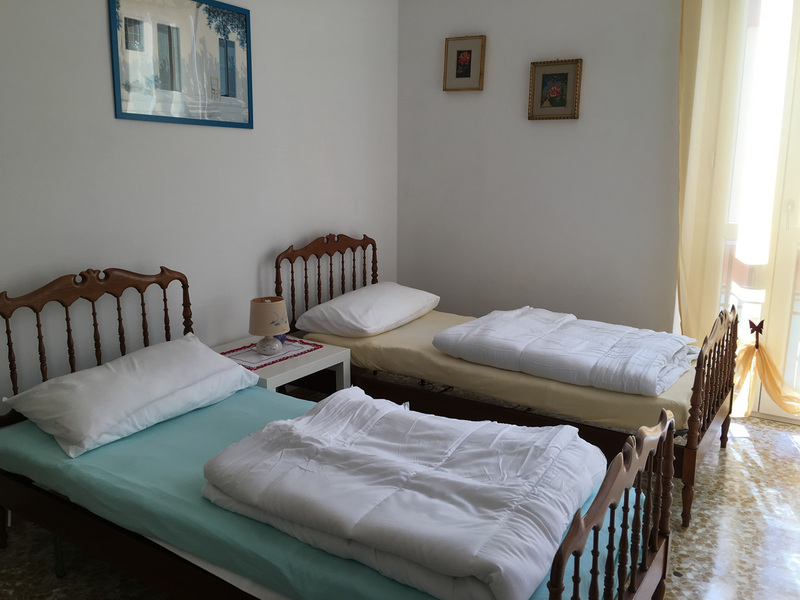 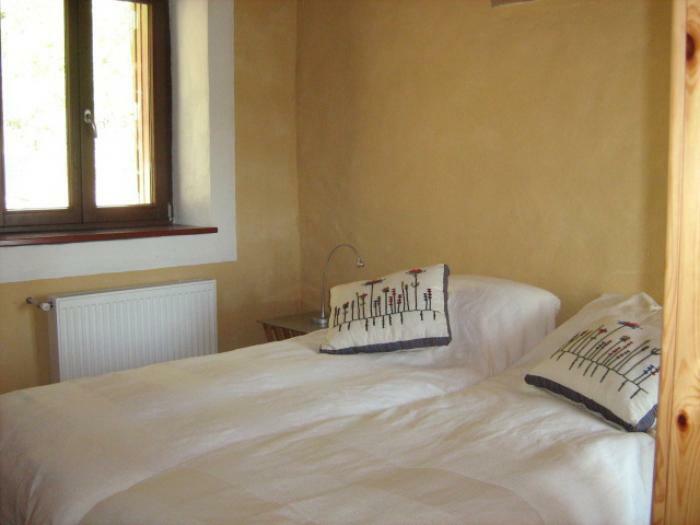 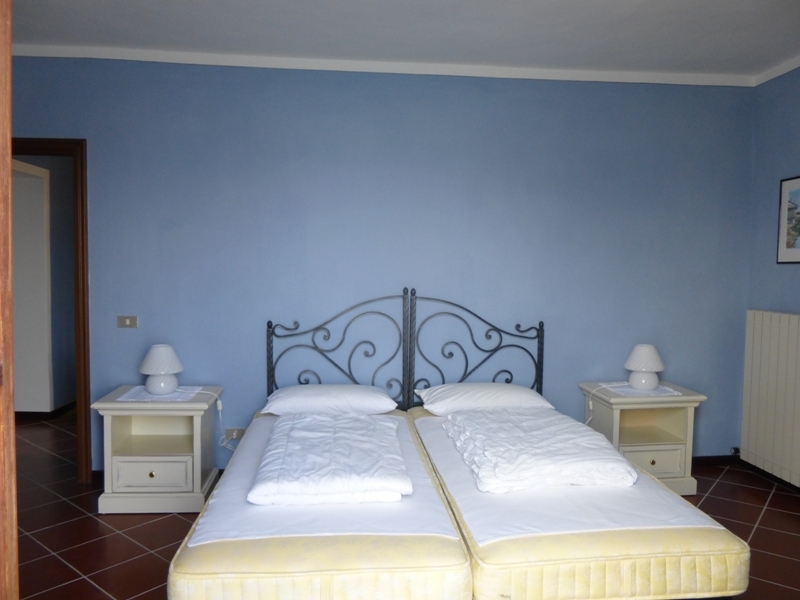 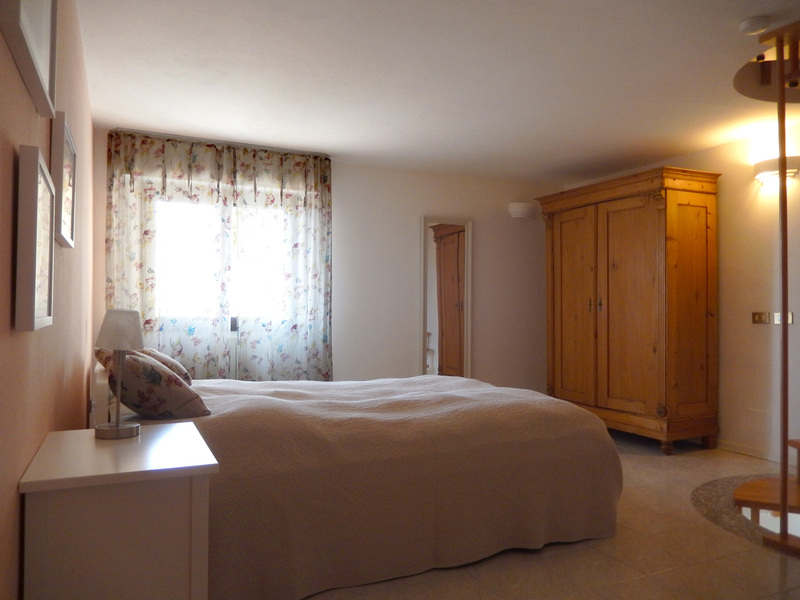 Sleeping places: bedroom with double bed and bedroom with three single beds. 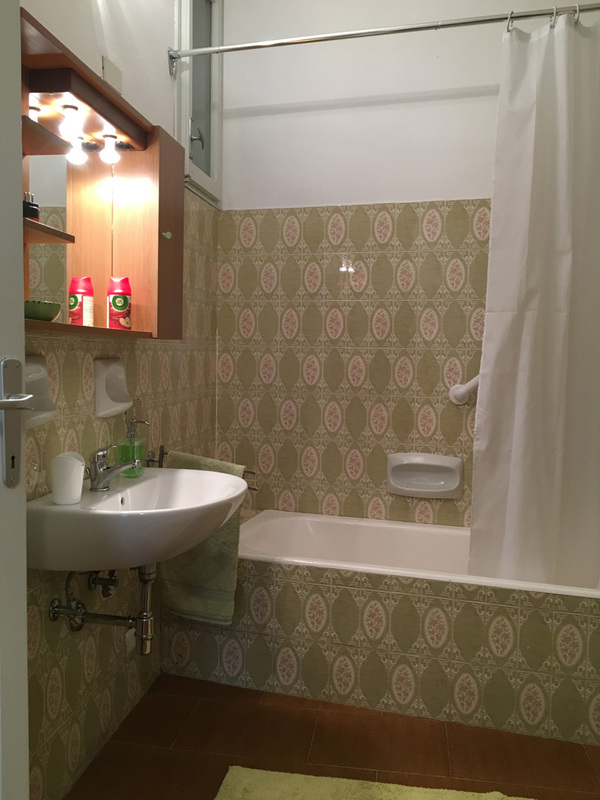 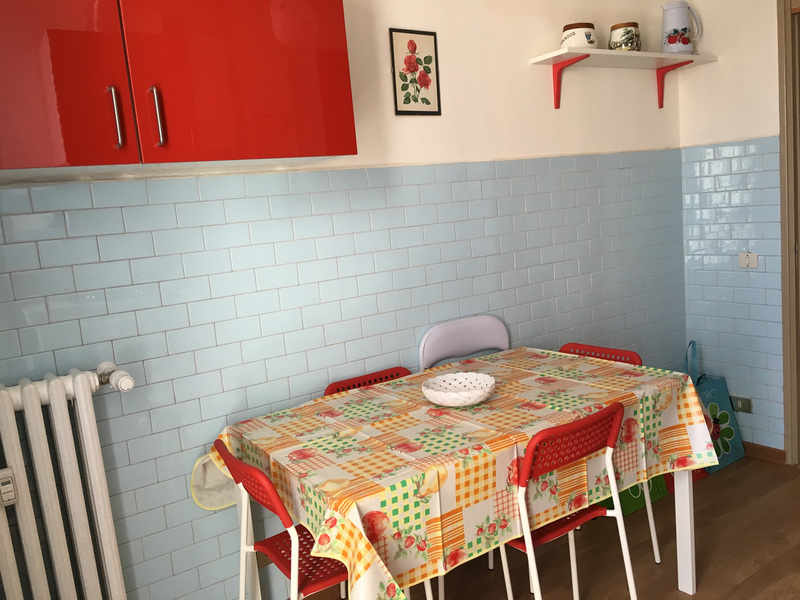 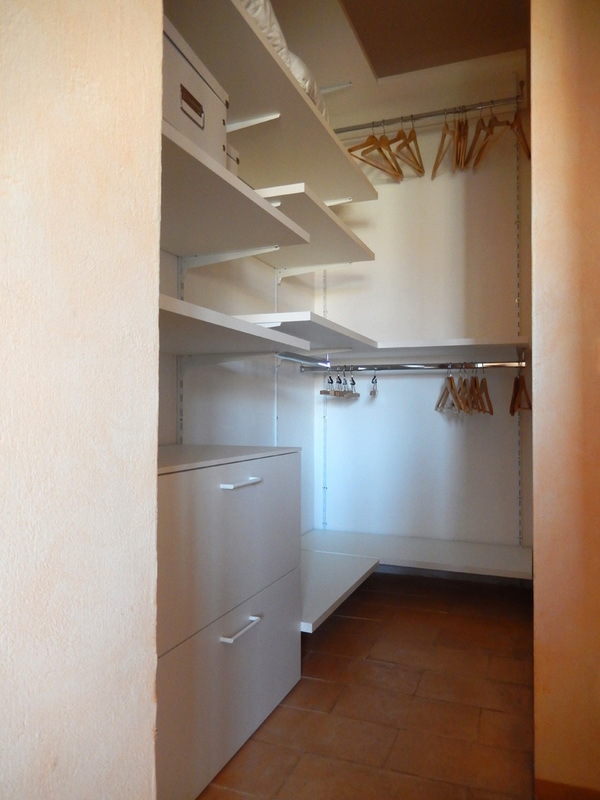 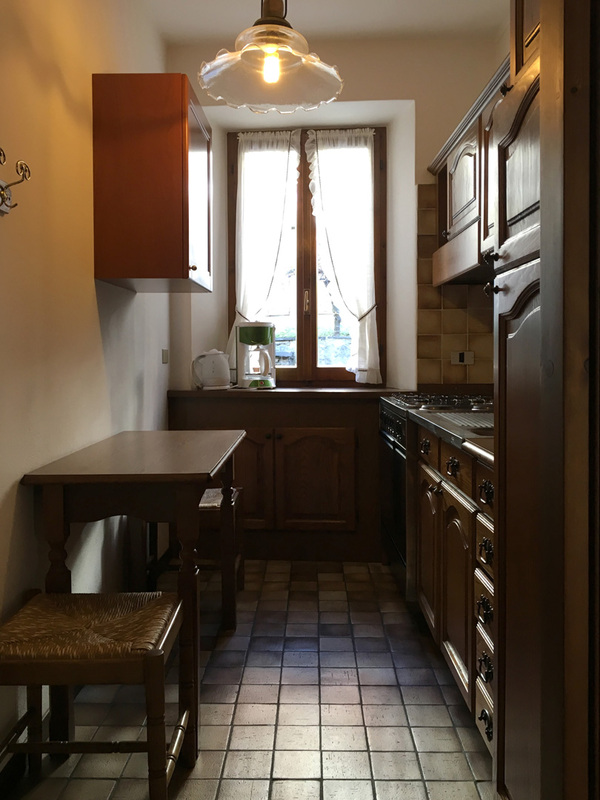 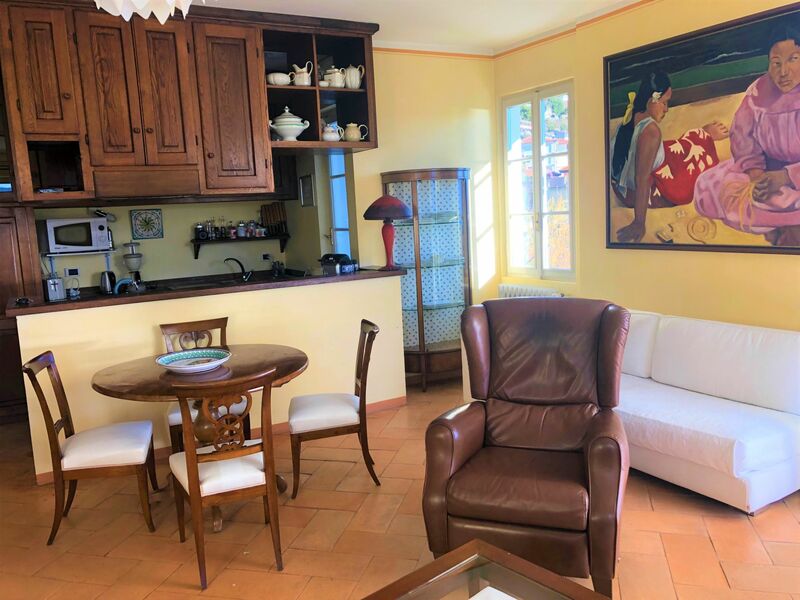 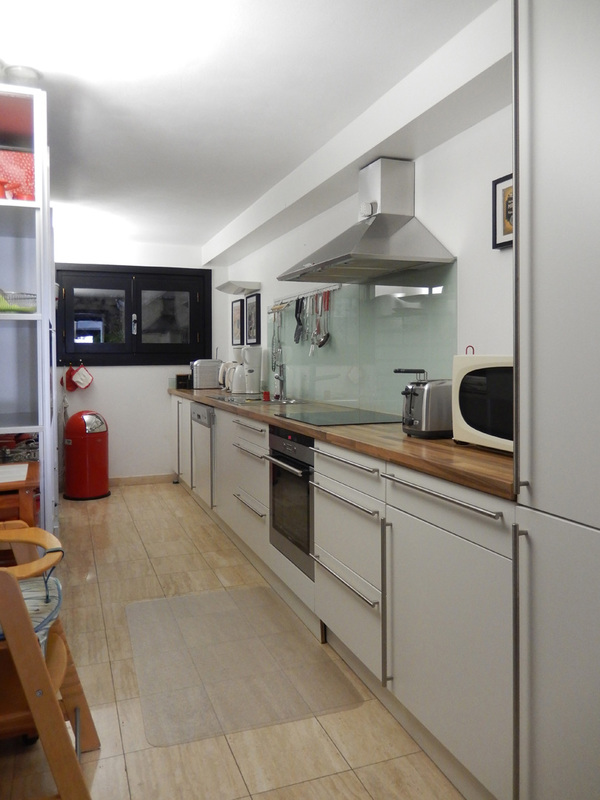 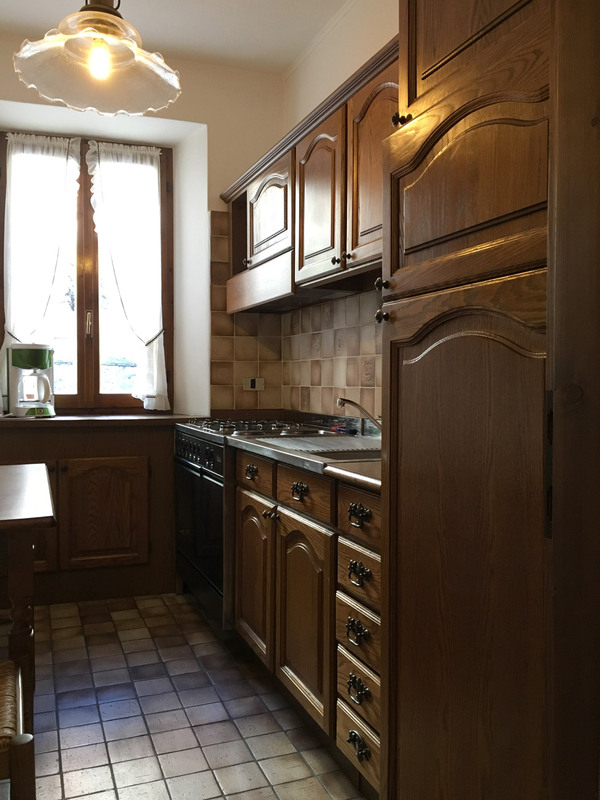 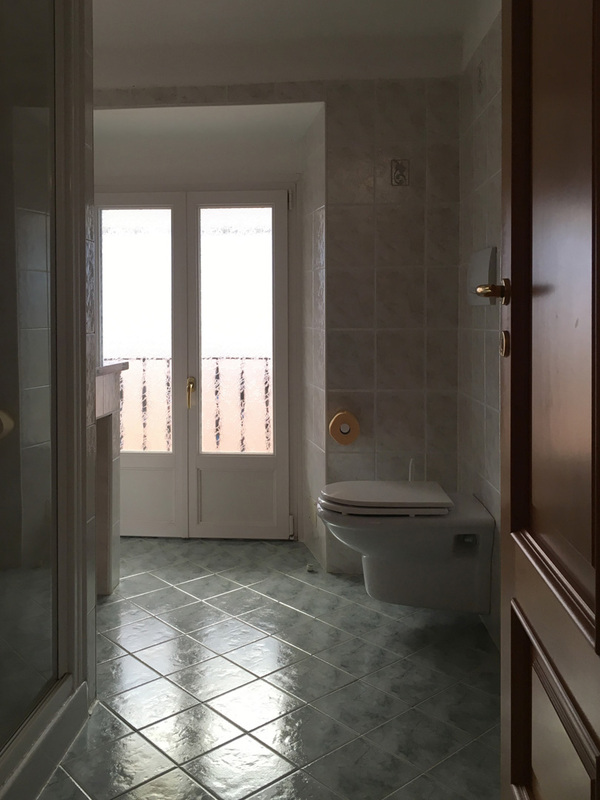 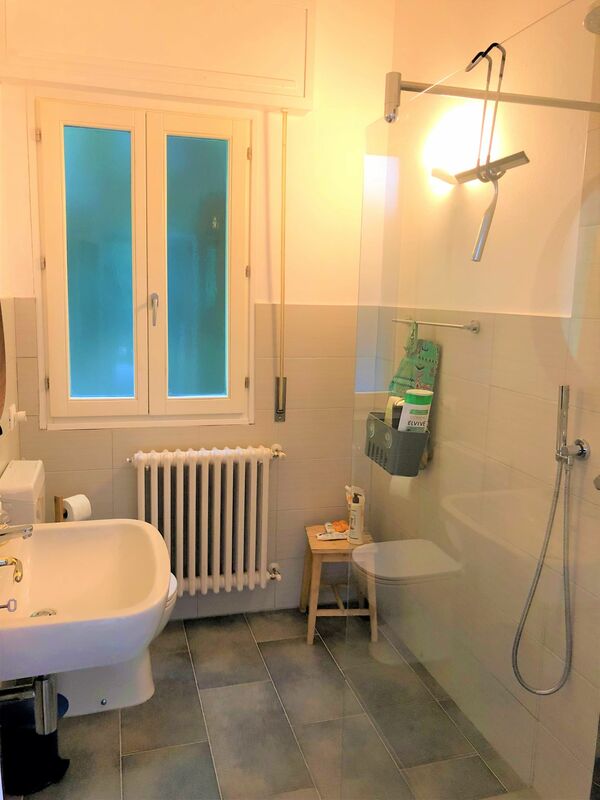 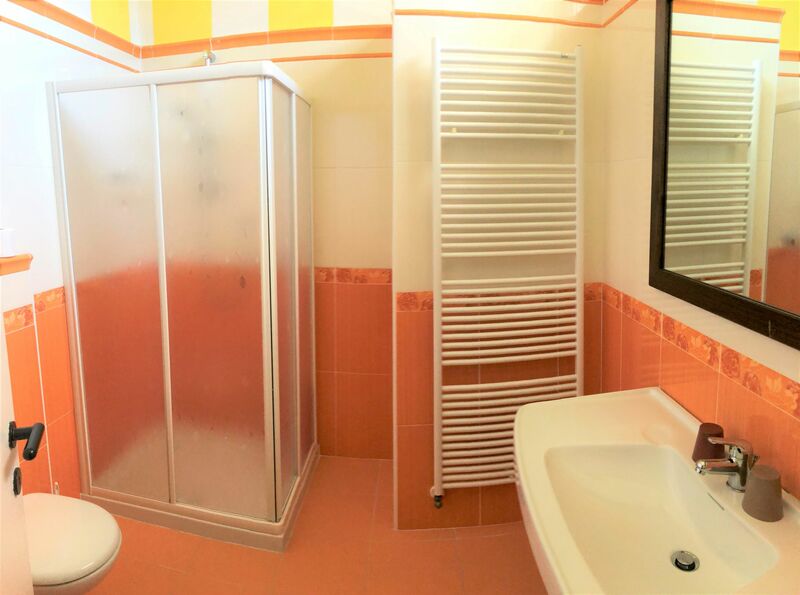 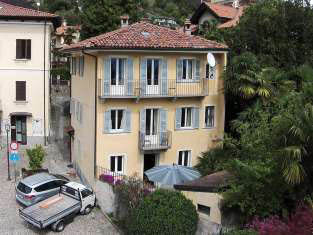 Quiet, nicely furnished one-bedroom apartment in terrace building in the centre of Cannero with terrace and small garden with barbeque. 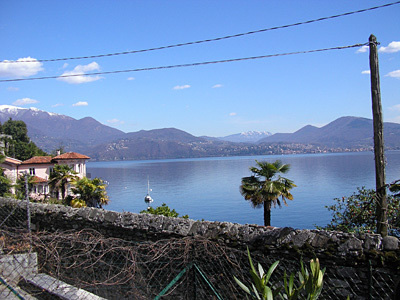 Lovely view over the old port and the lake. 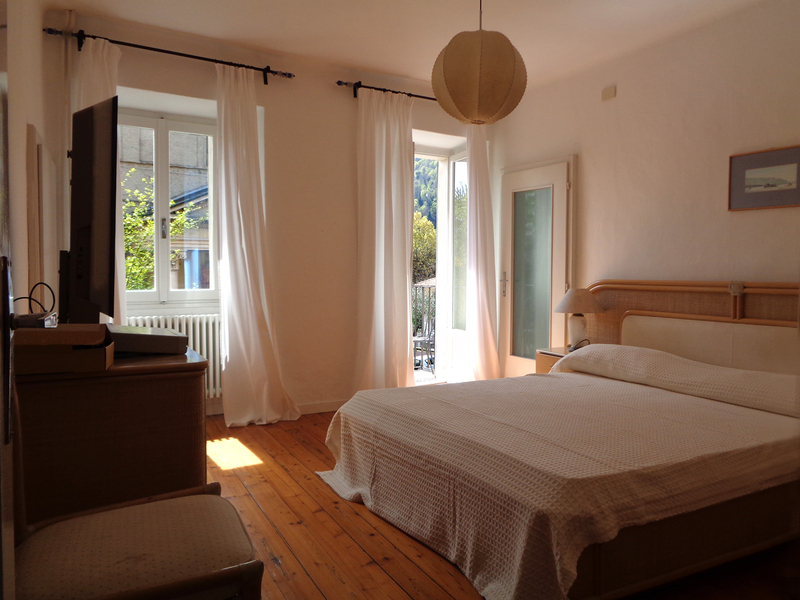 Rooms: living room with built-in kitchen and large panoramic window/door to the garden, bedroom and shower bath. 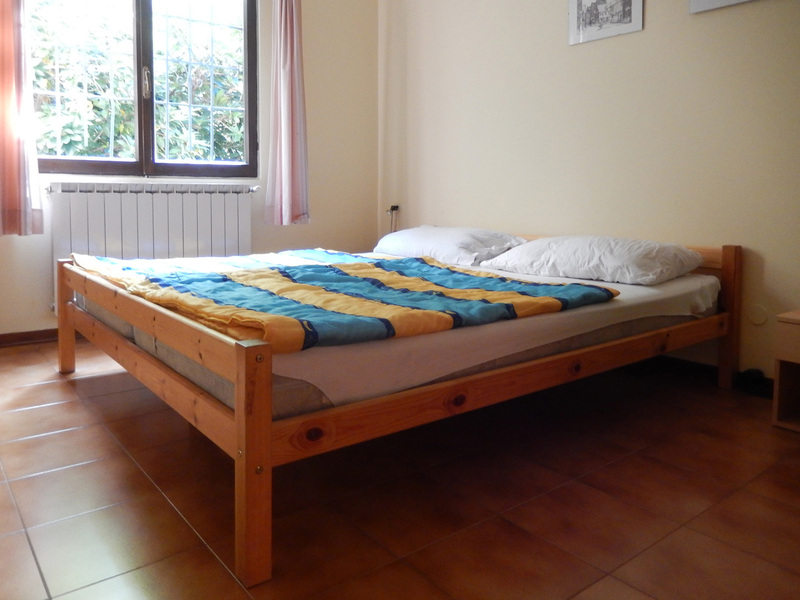 Places to sleep: bedroom with double bed and double sleeping couch in the living room. 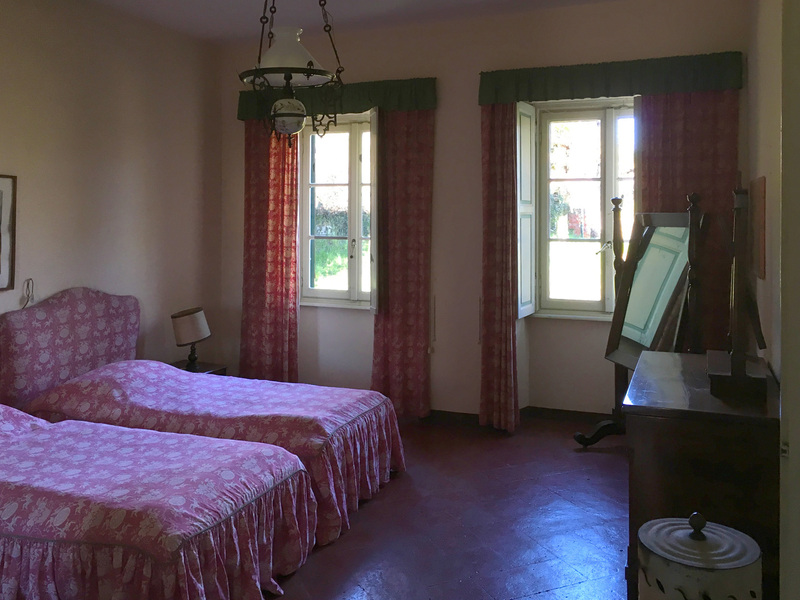 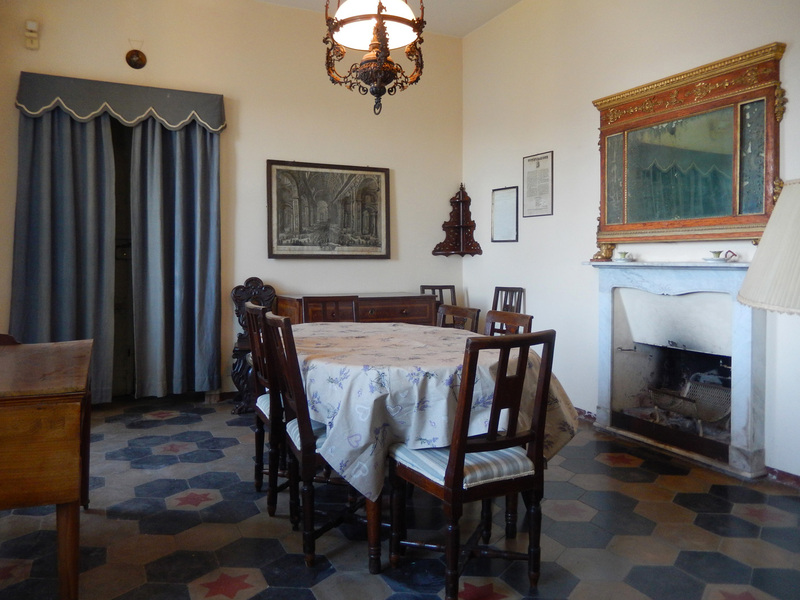 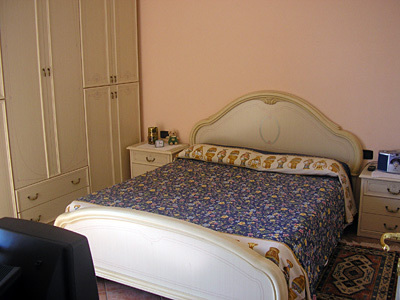 Vacation in another epoch in an authentic and original villa of the 19th century with a magnificent park (ca. 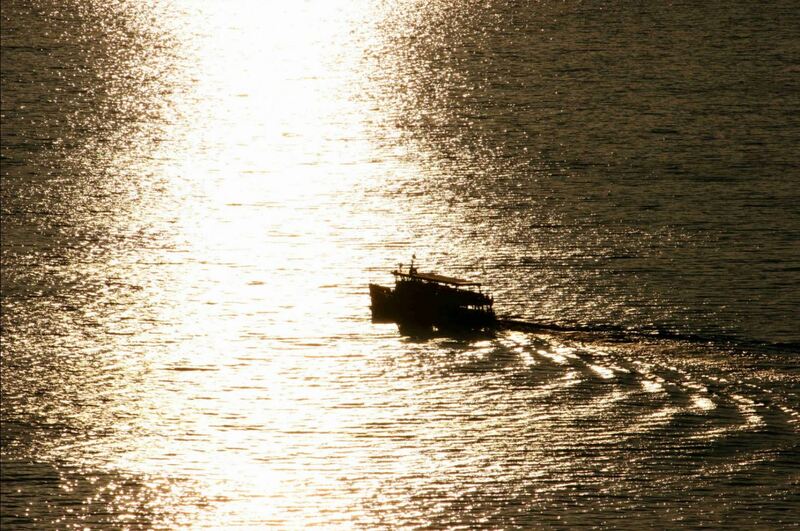 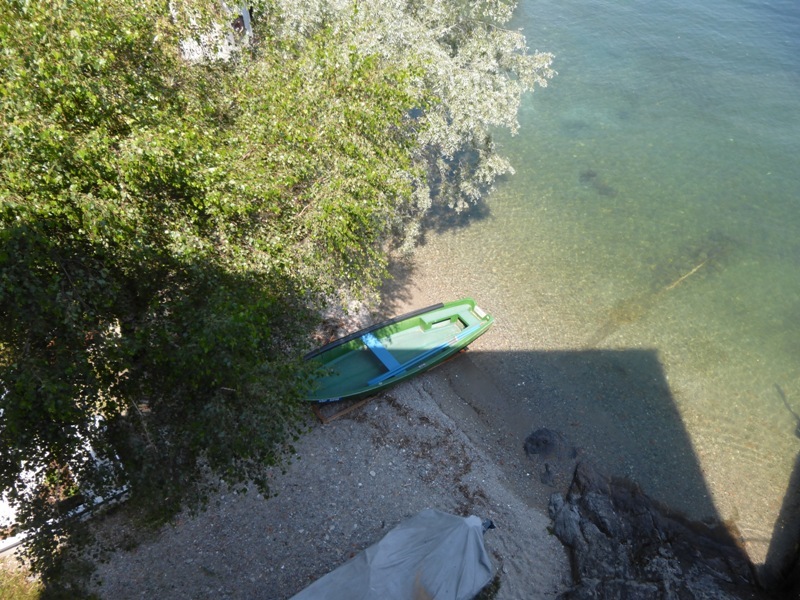 9.500 qm property space) and beautiful lake view. 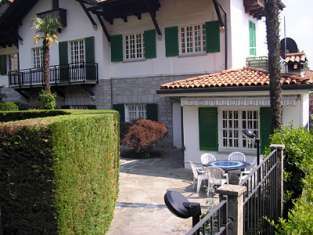 The villa (ca. 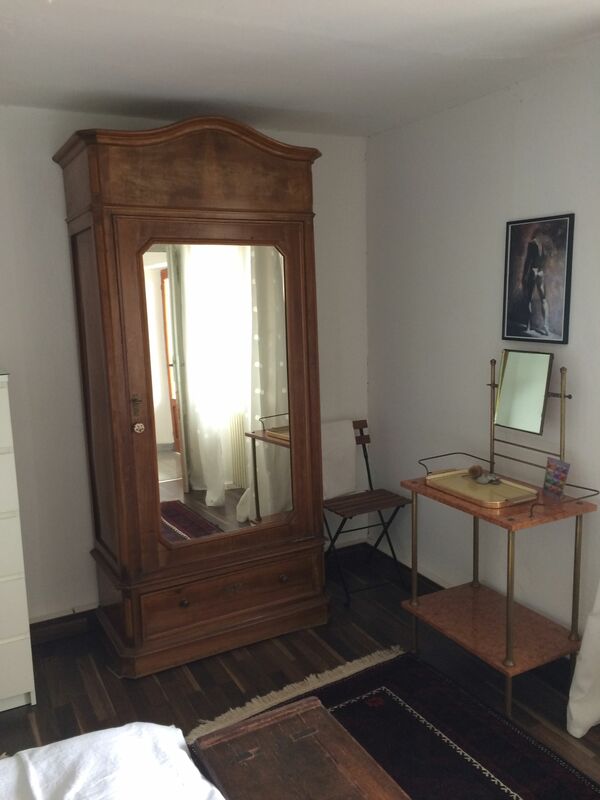 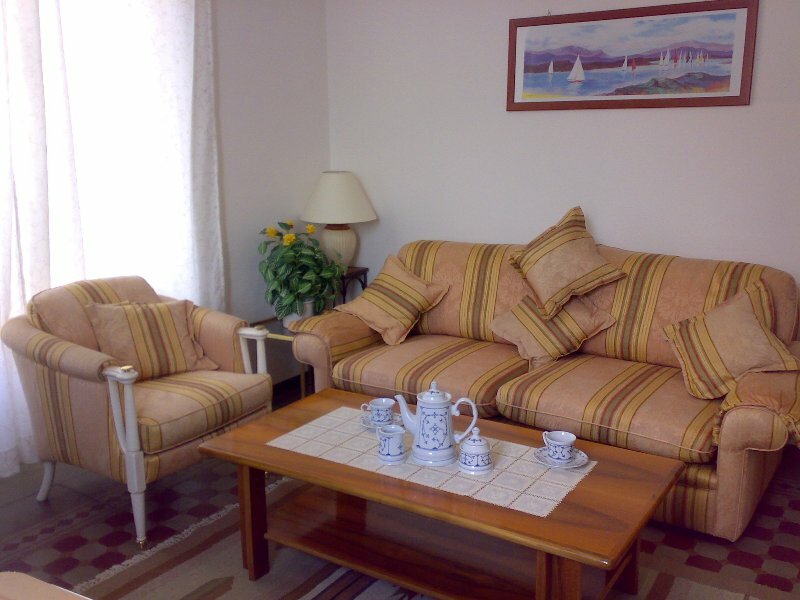 300 qm living space) inside has only antique furniture. 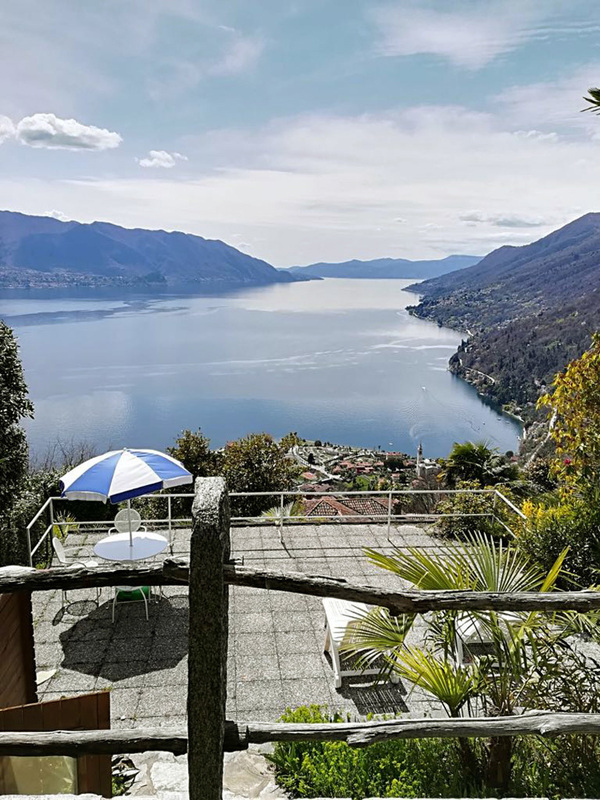 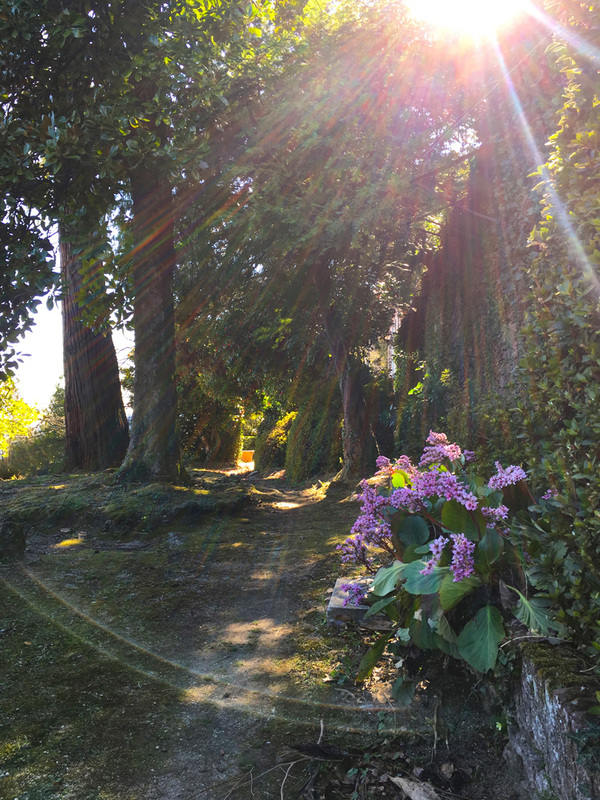 Far from traffic and noise and in harmony with the lake and nature is this villa the ideal place for nature lovers to find quietness and relaxation. 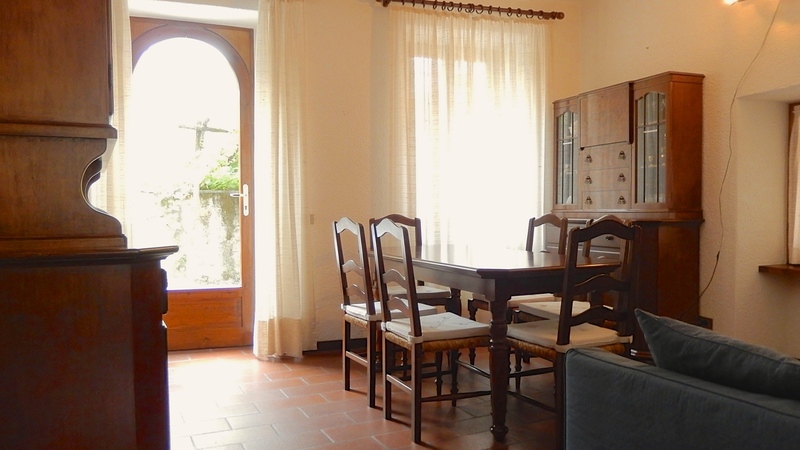 Rooms: living room, dining room, eat-in kitchen, laundry room, 5 bedrooms, 3 bathrooms. 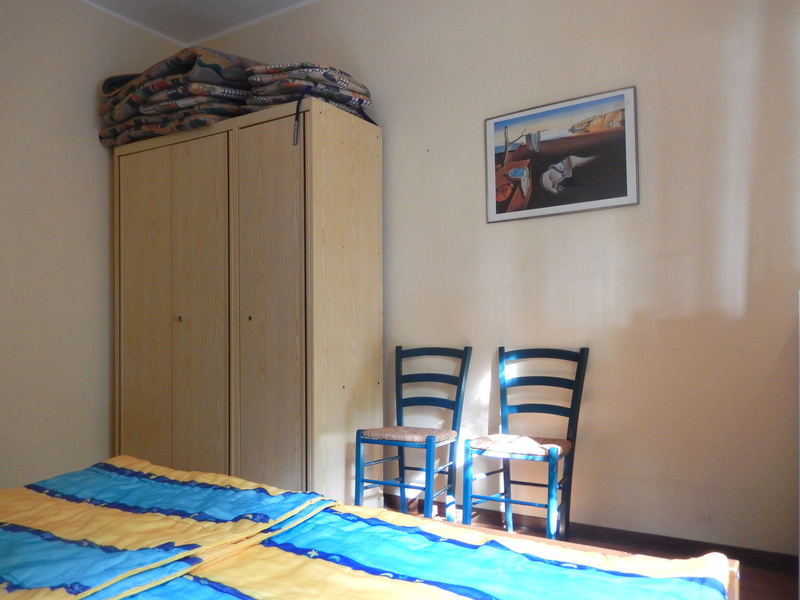 Places to sleep: 2 bedrooms with double bed, 1 bedroom with 2 single beds (joinable) and 2 bedrooms with one single bed each. 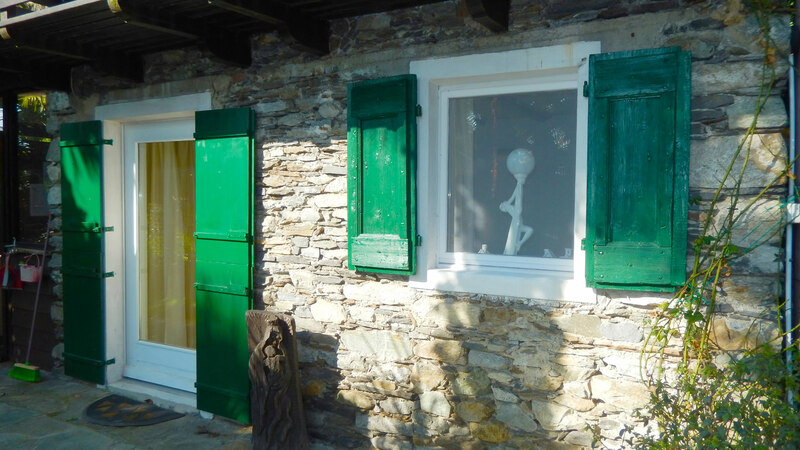 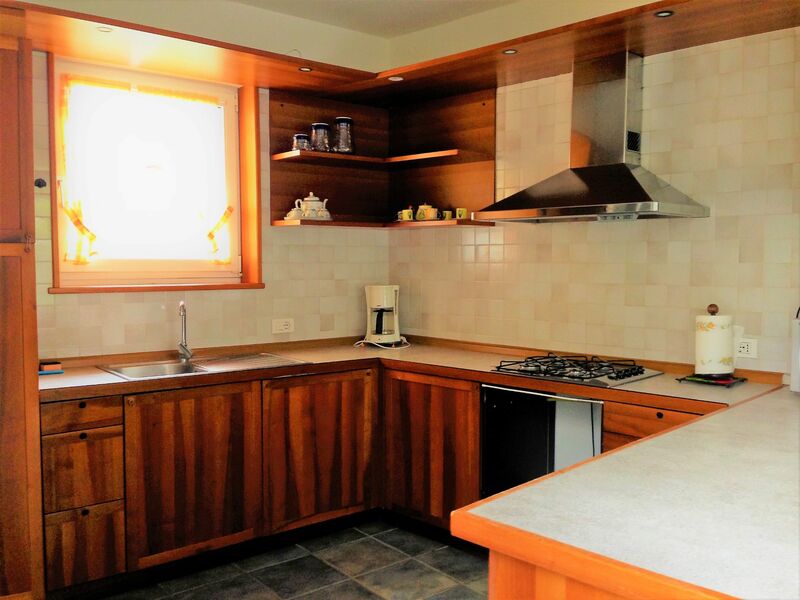 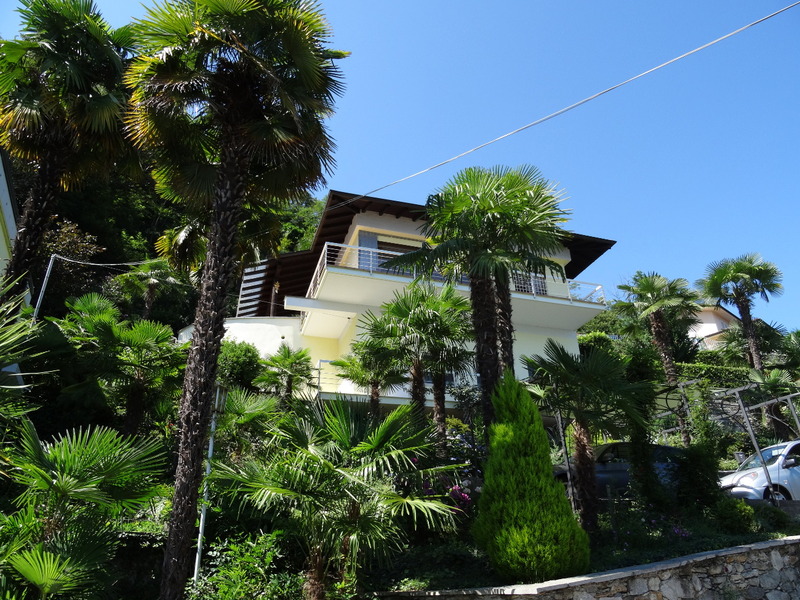 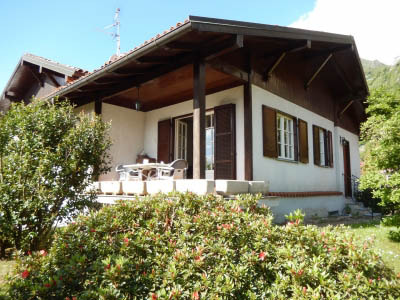 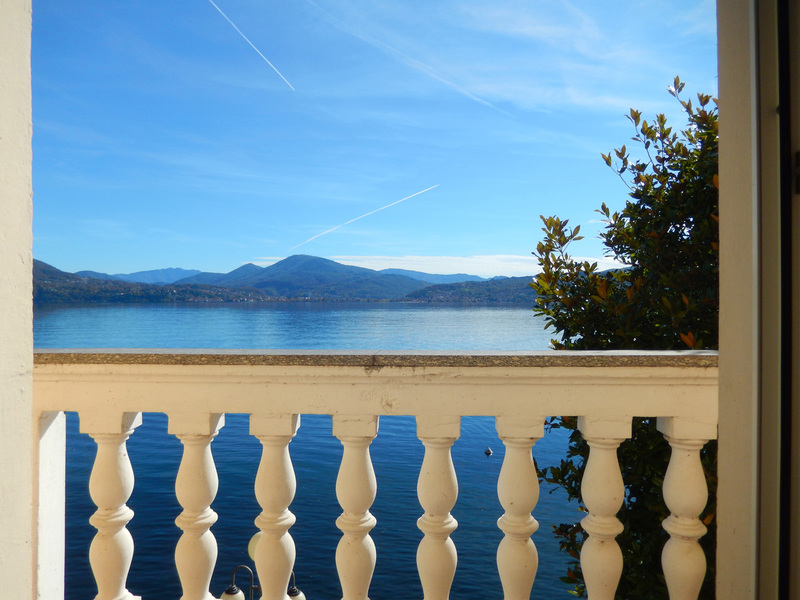 House with terrace and beautiful lake view situated at the entrance of a residential area. 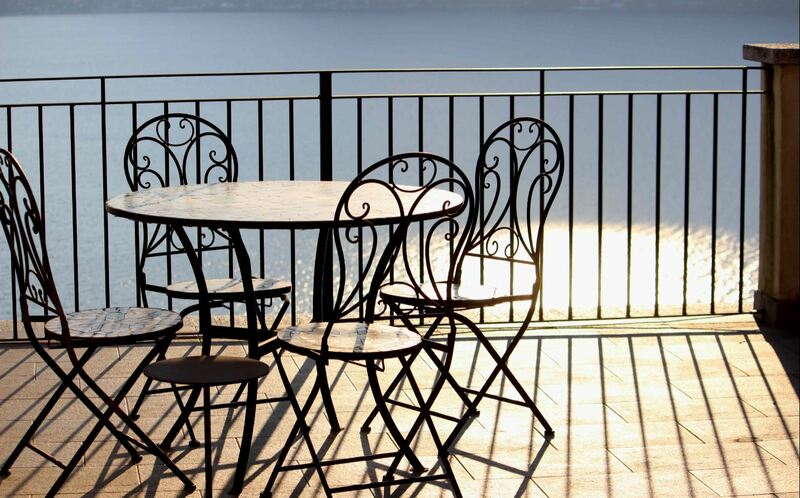 The terrace invites to enjoy and relax outside. 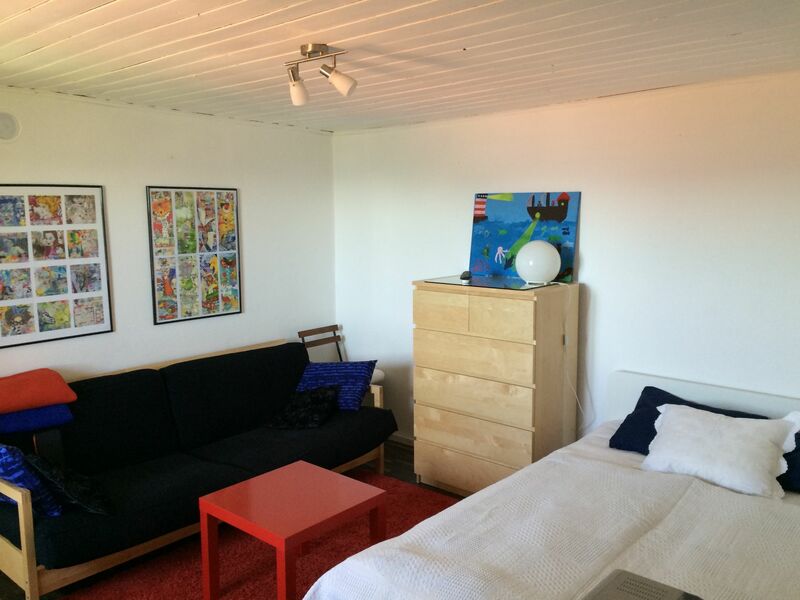 Rooms: livingroom with balcony, kitchen, 2 bedrooms, bath and WC. 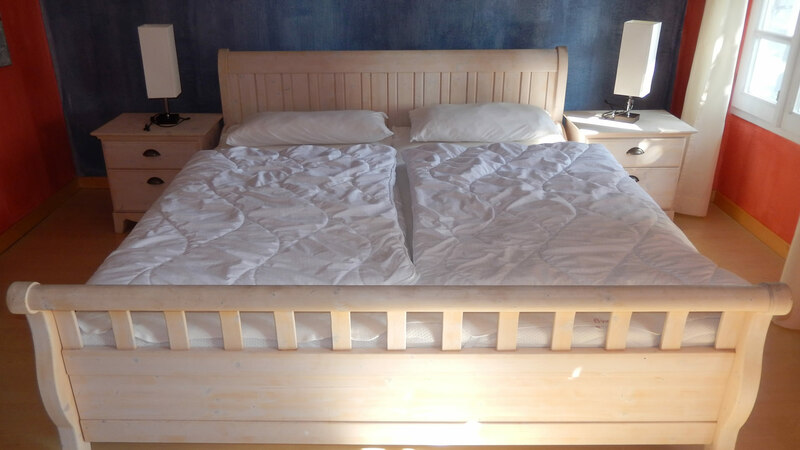 Places to sleep: double bed in both bedrooms. 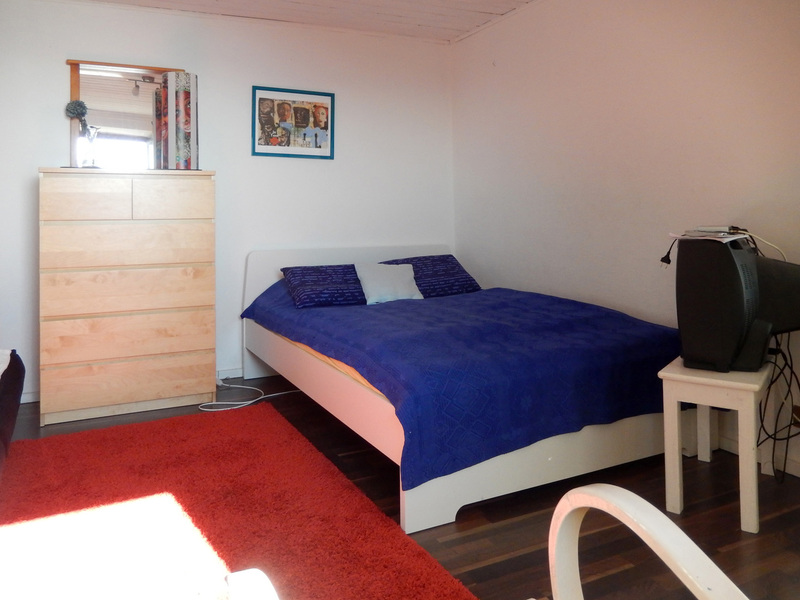 Rooms: live-in kitchen, livingroom (bunk bed), bedroom with shower. 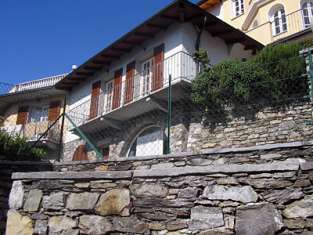 Balcony and terrace. 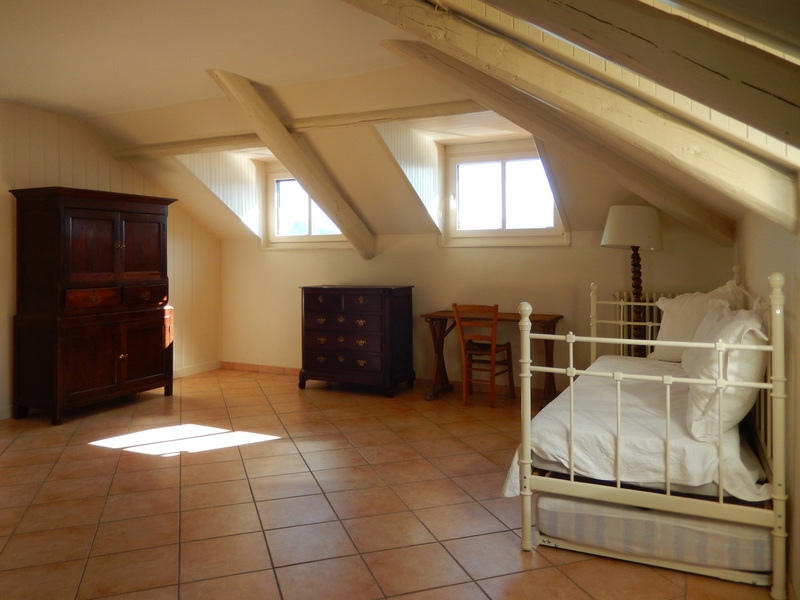 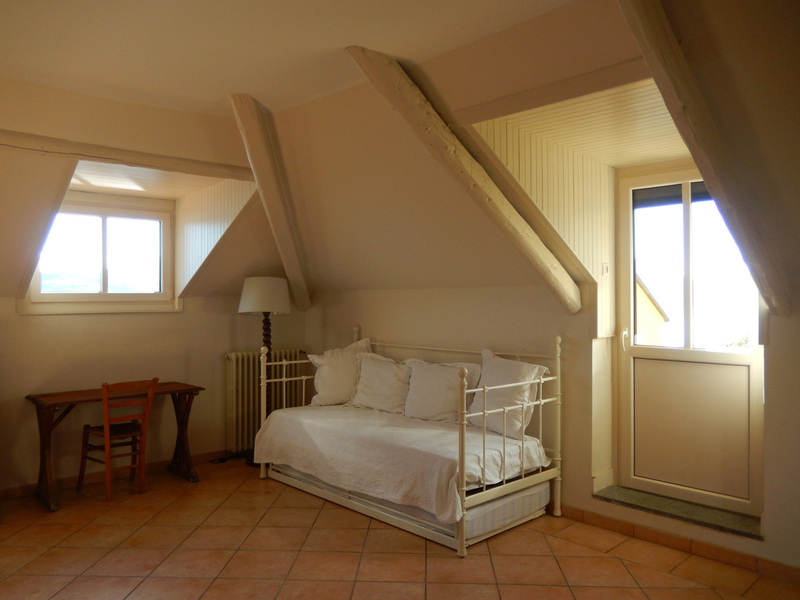 Places to sleep: bedroom wth double bed + French bed in the livingroom. 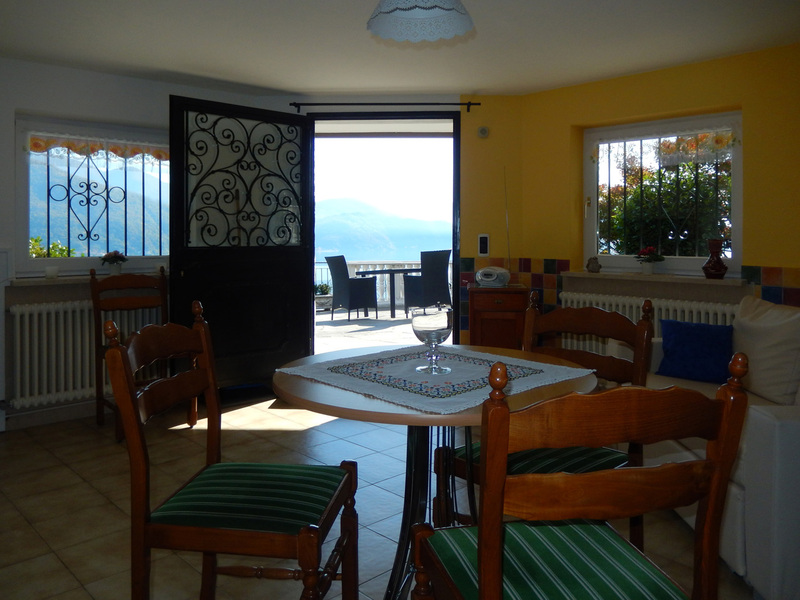 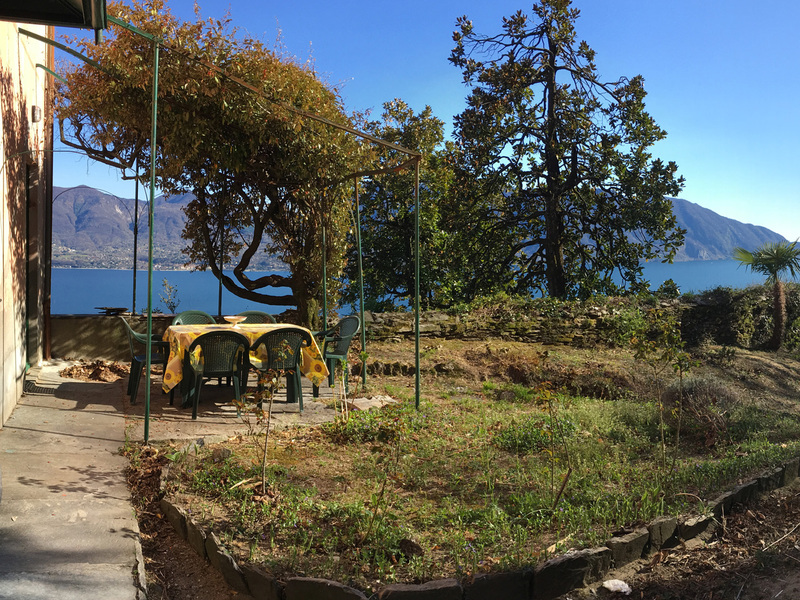 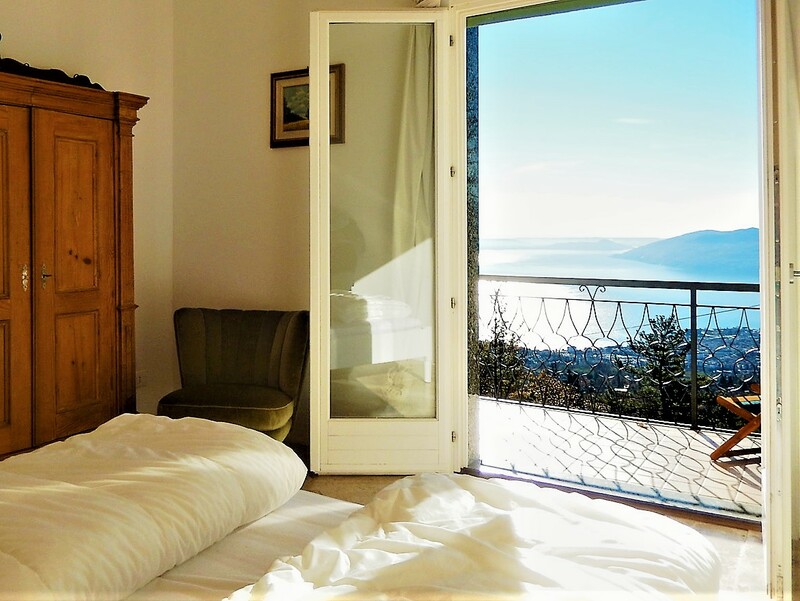 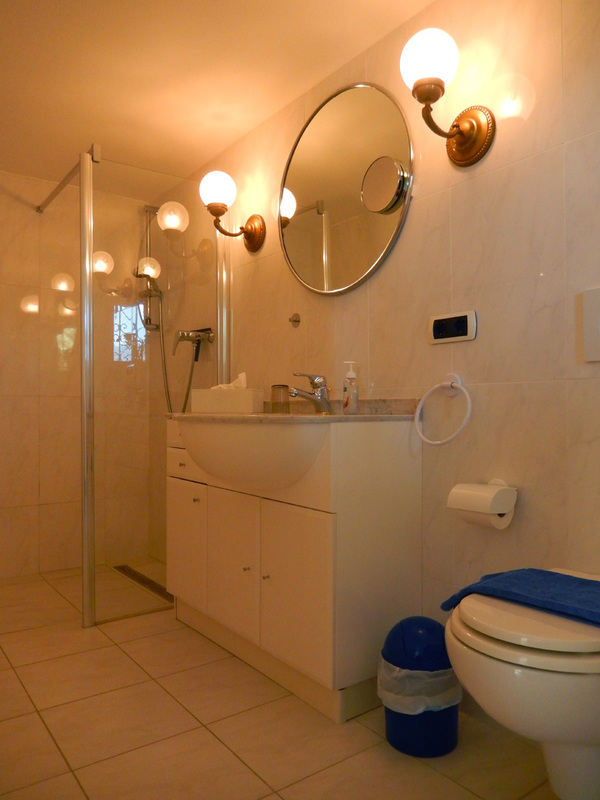 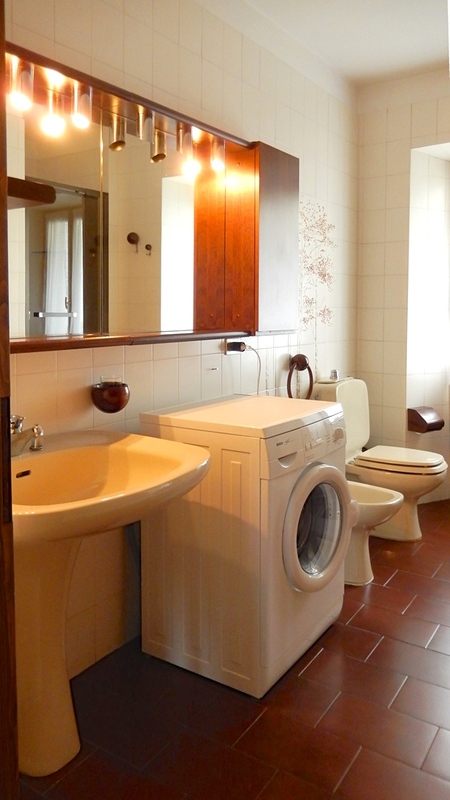 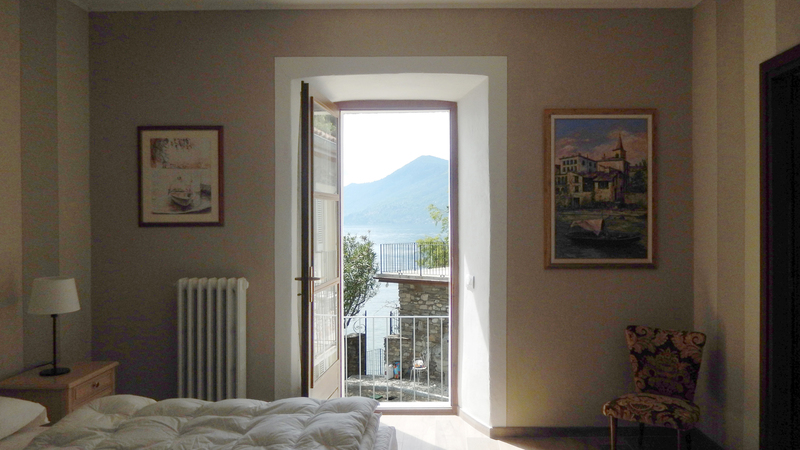 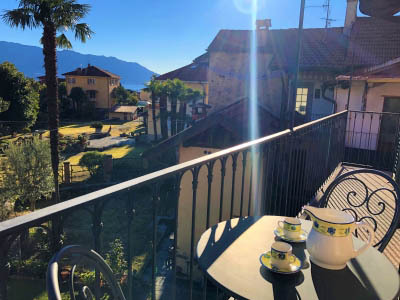 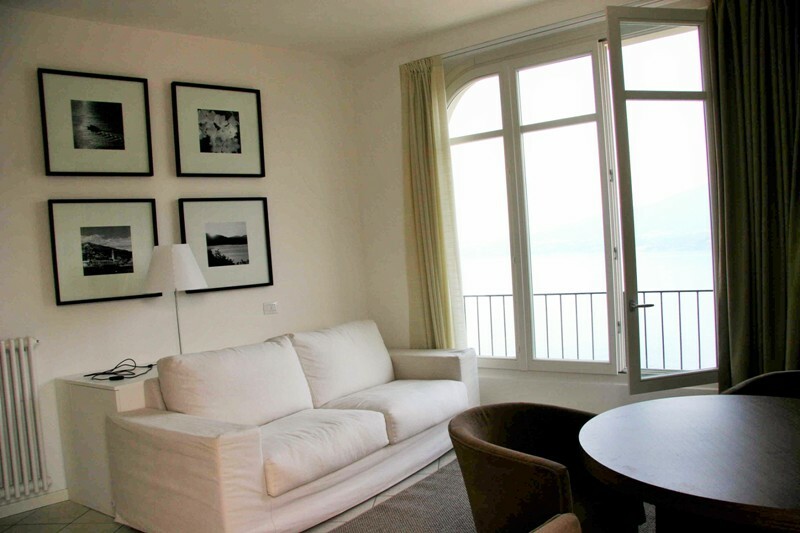 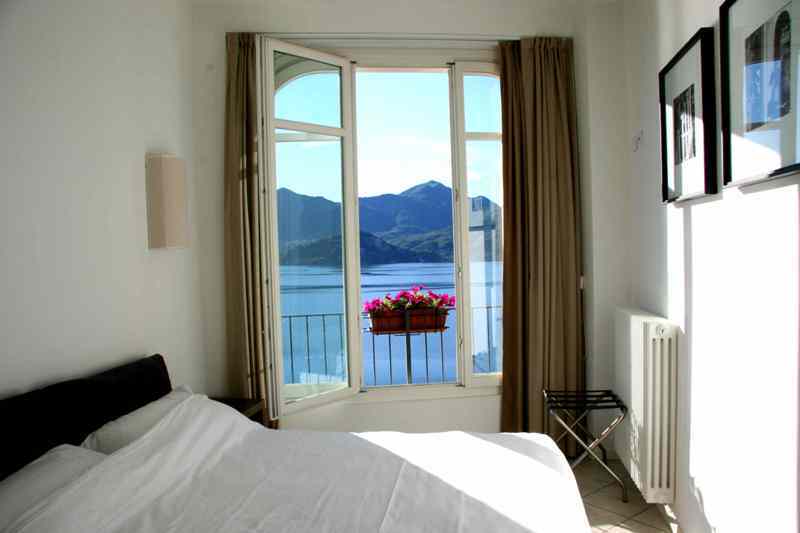 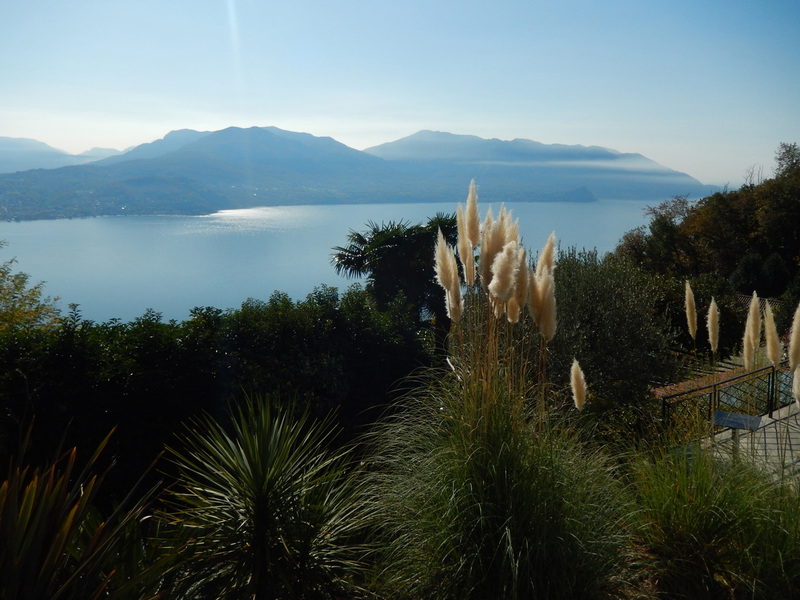 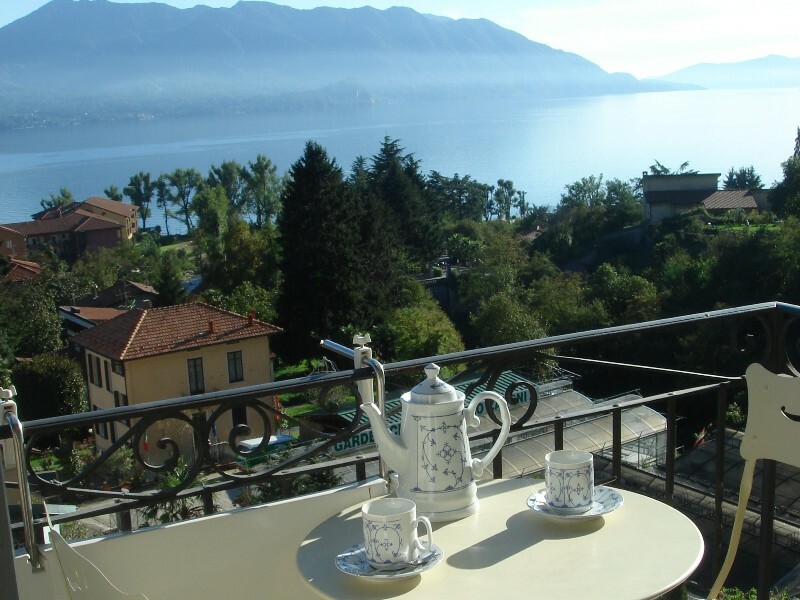 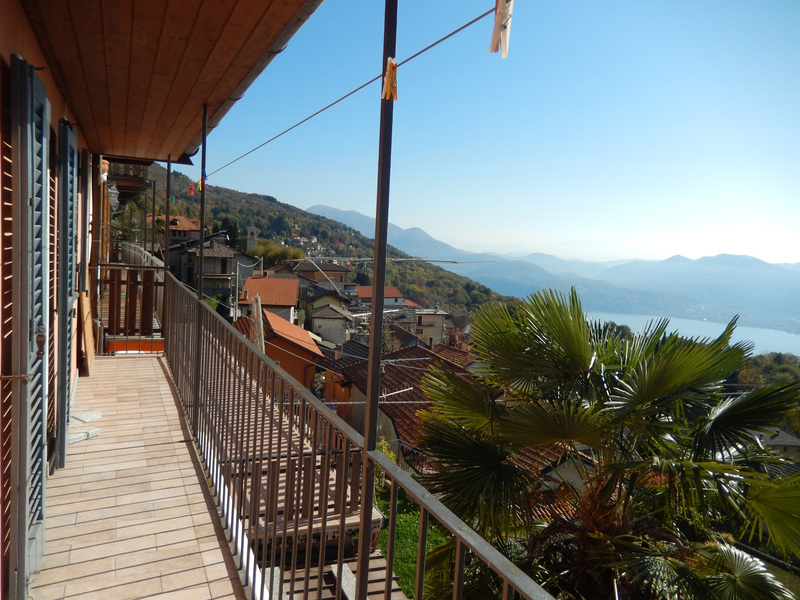 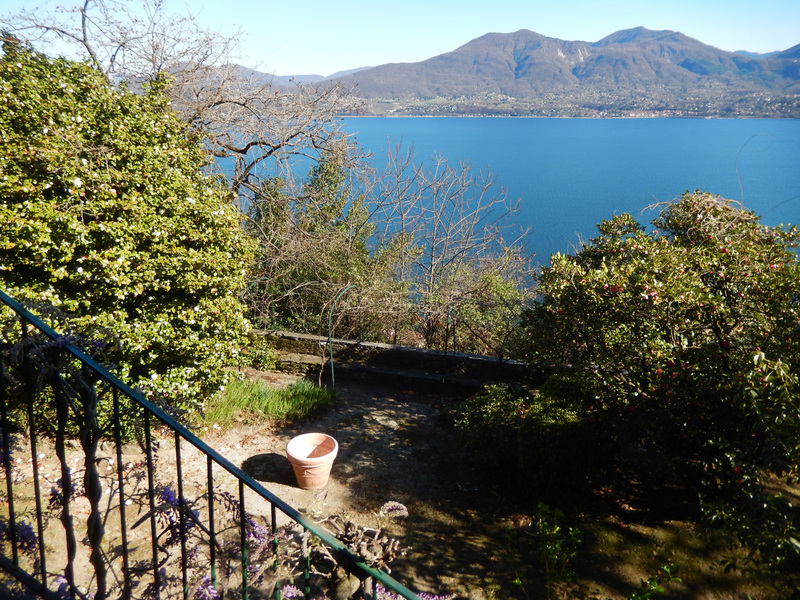 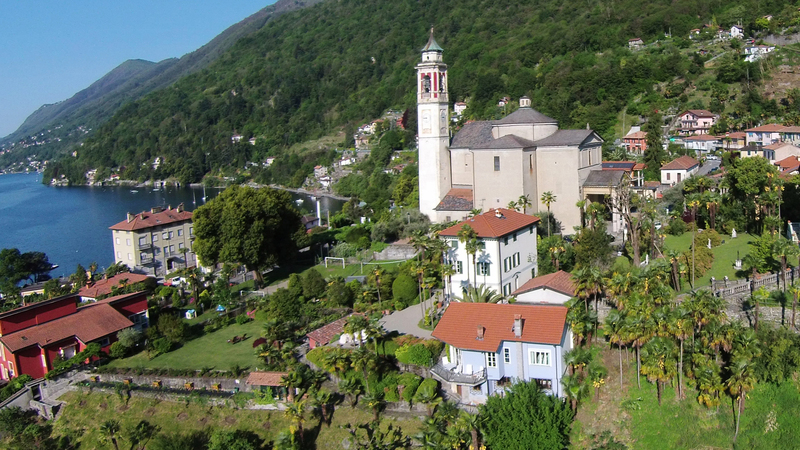 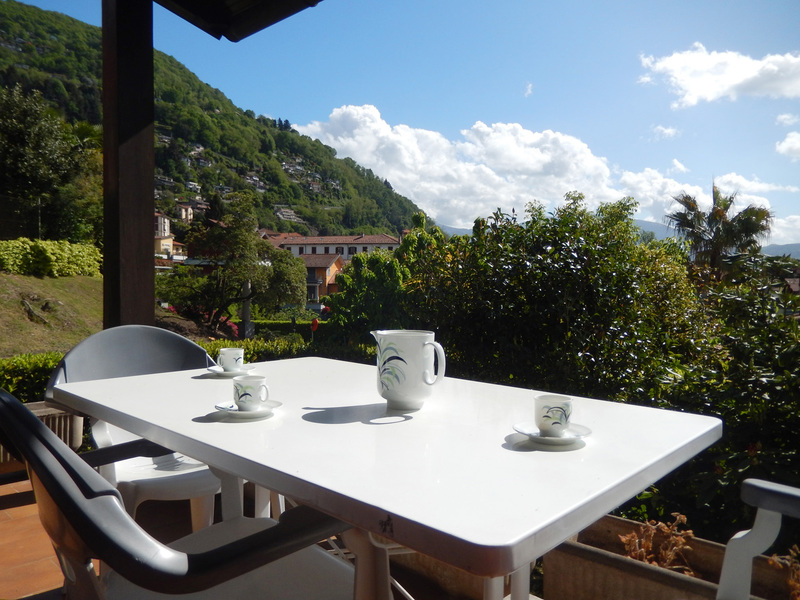 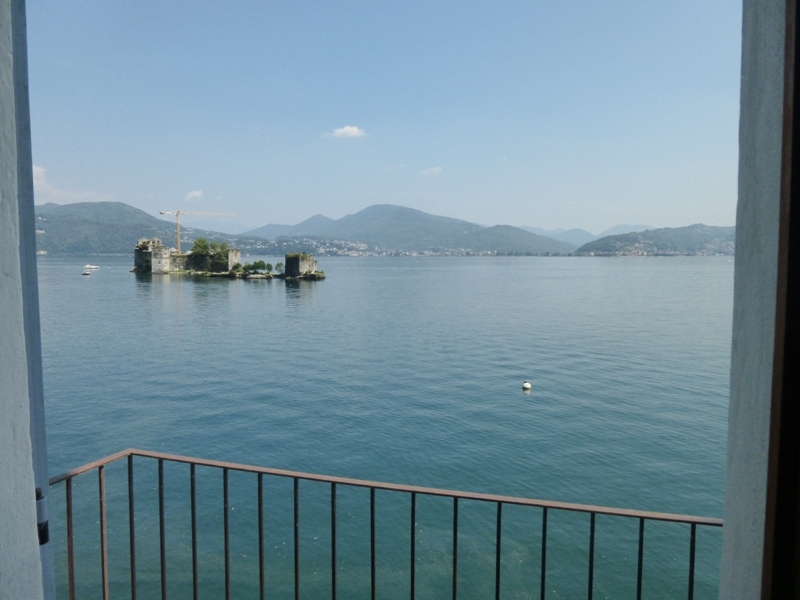 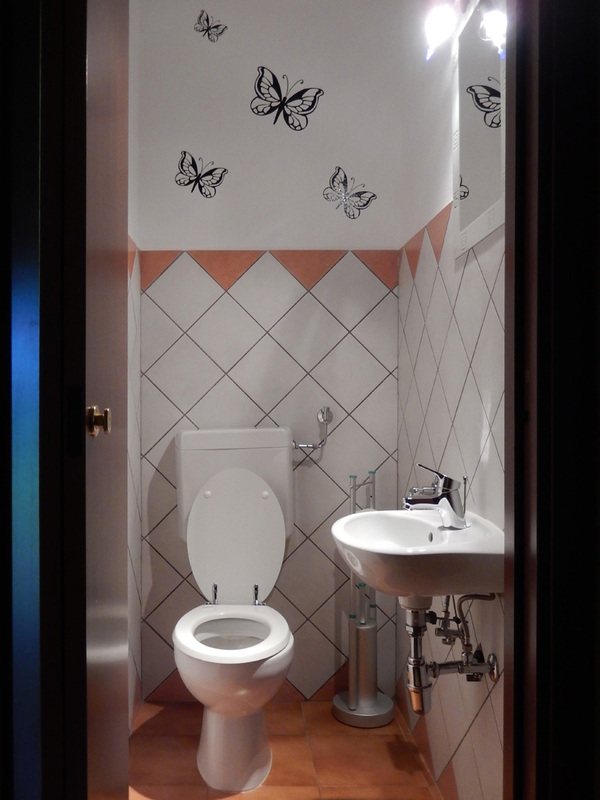 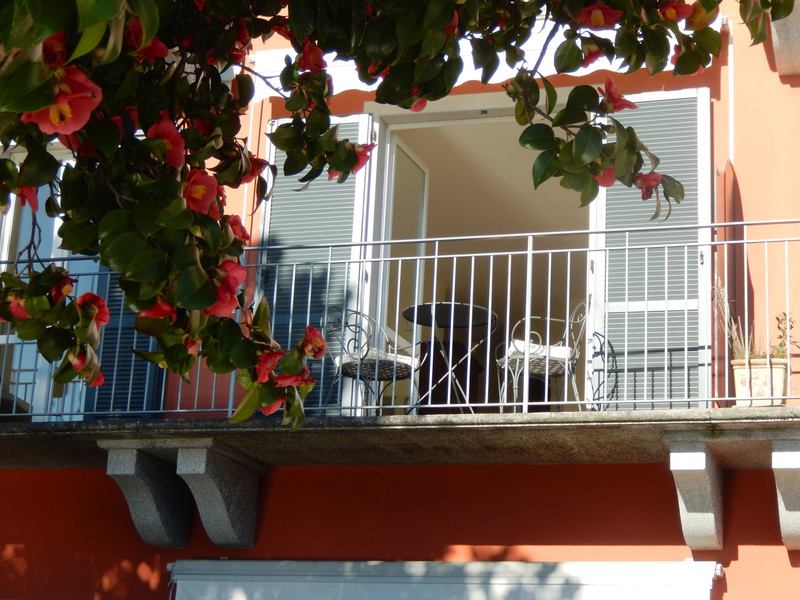 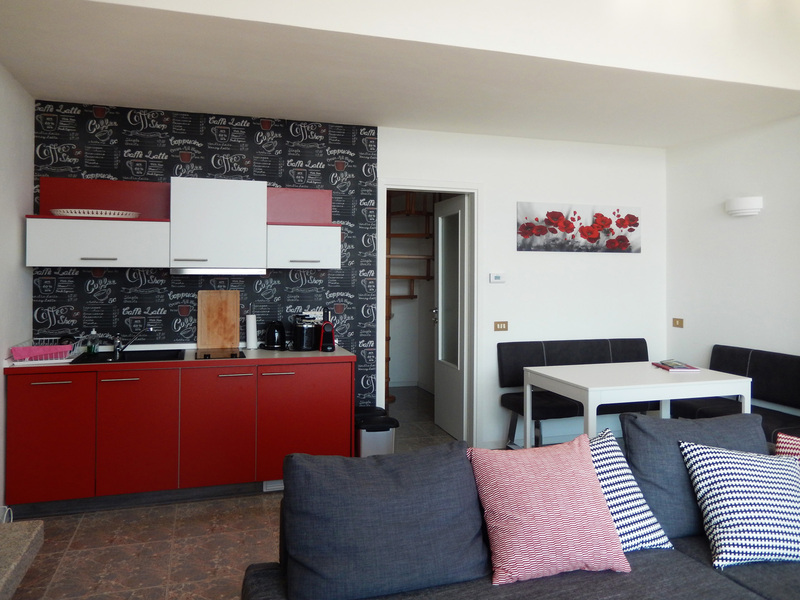 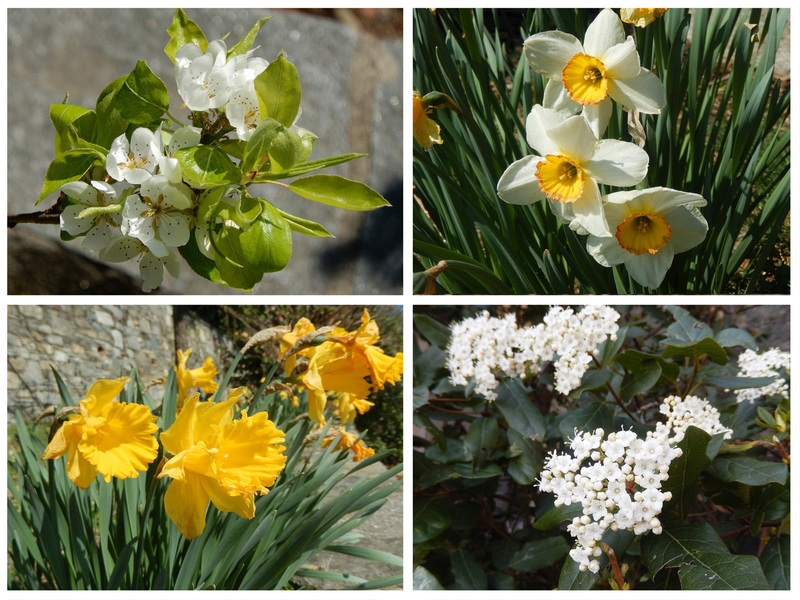 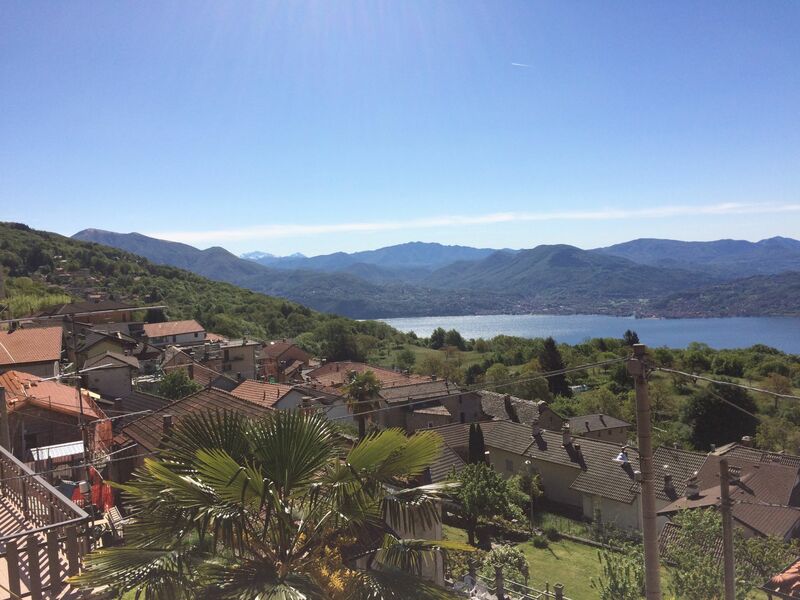 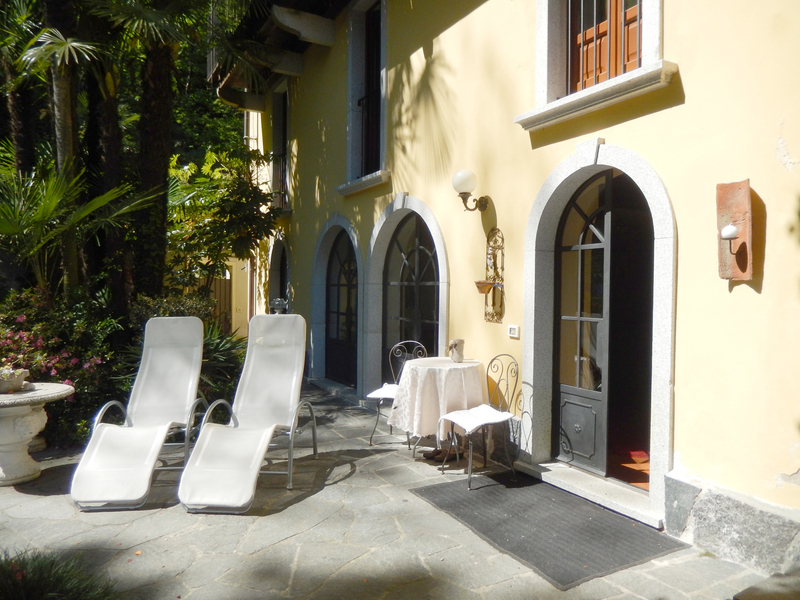 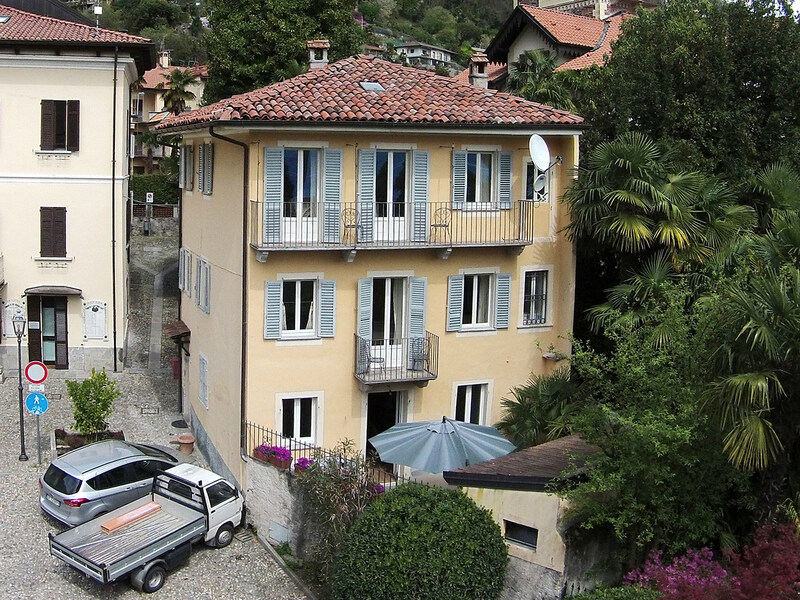 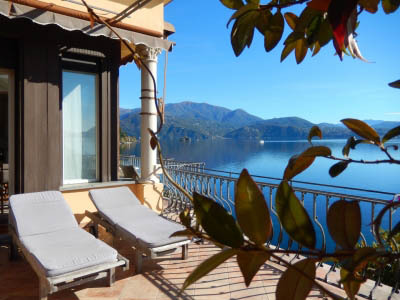 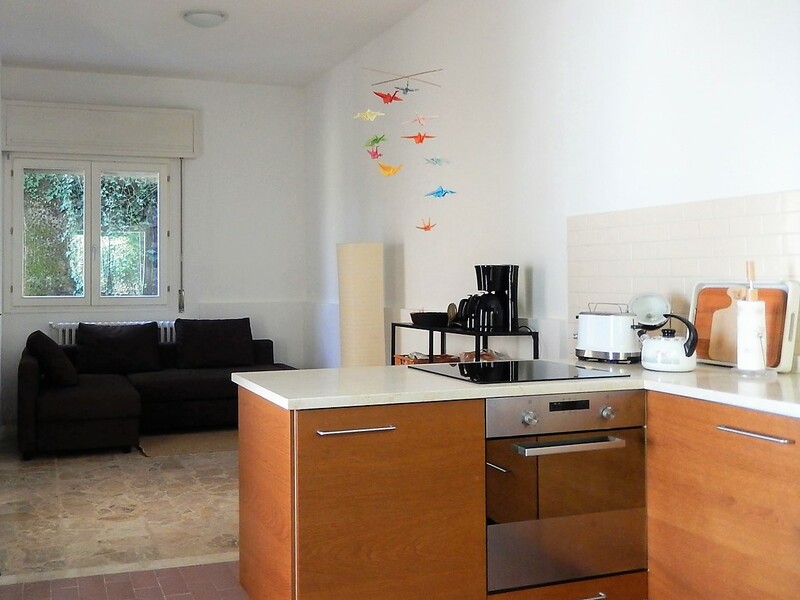 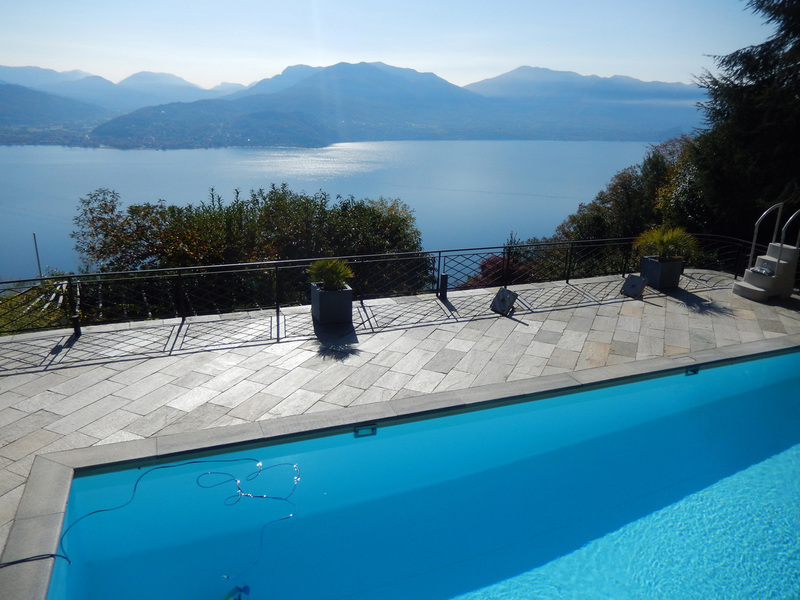 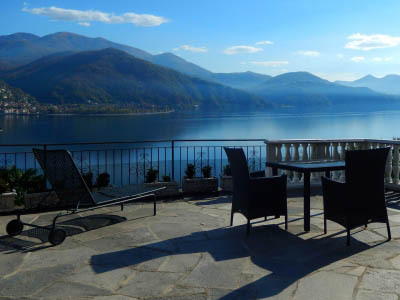 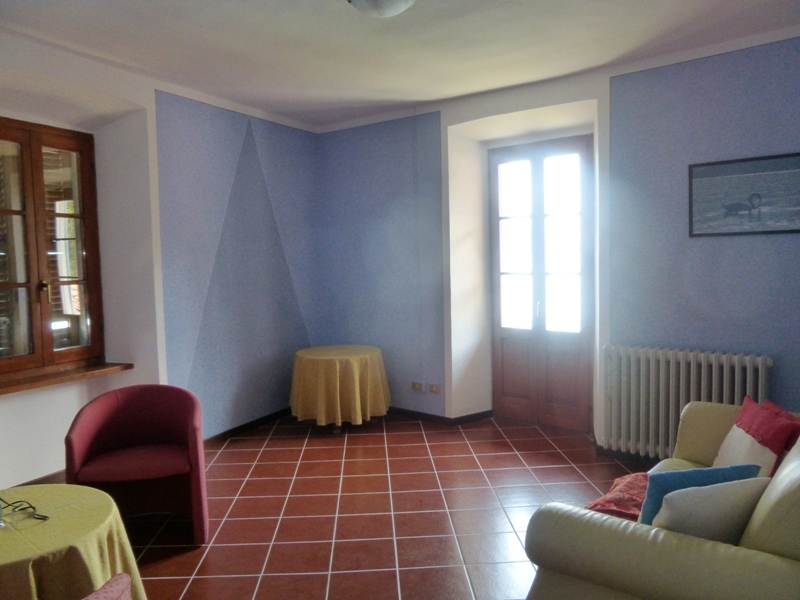 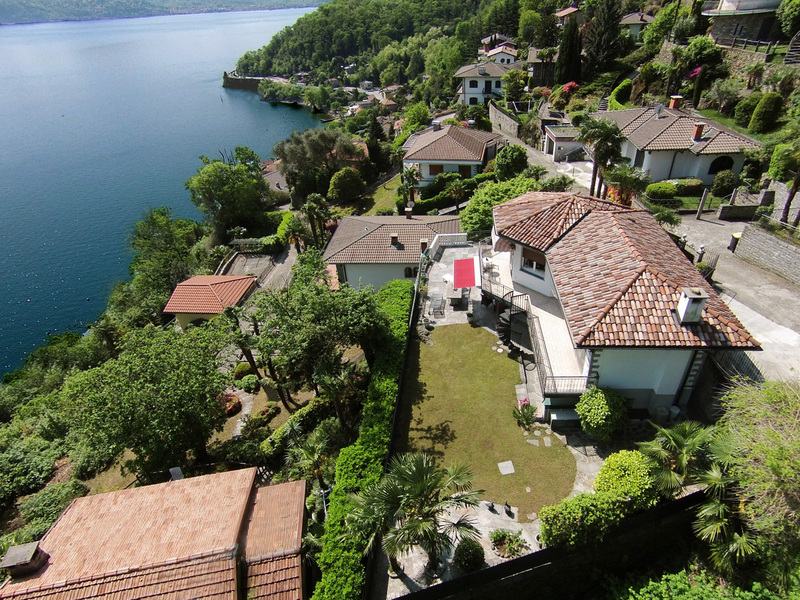 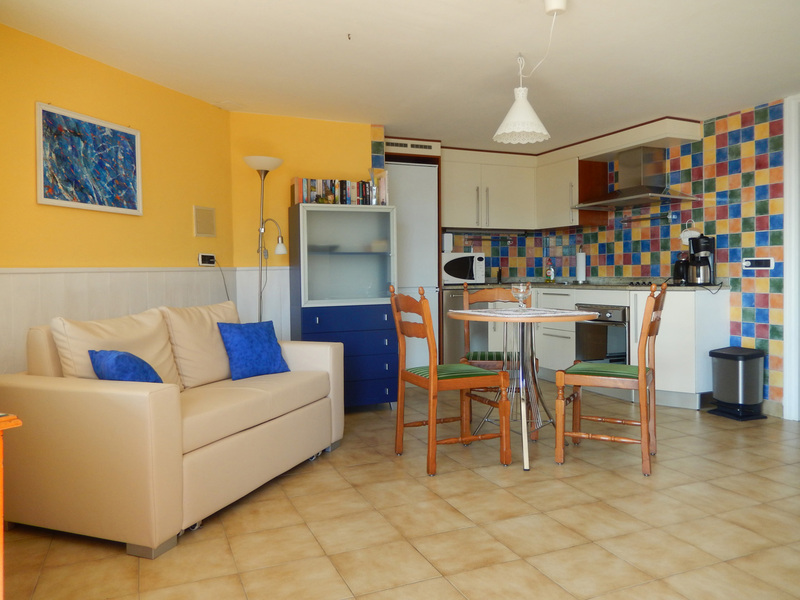 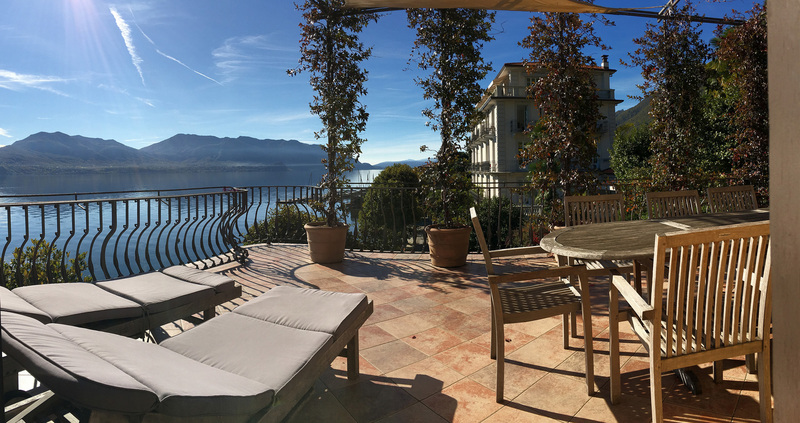 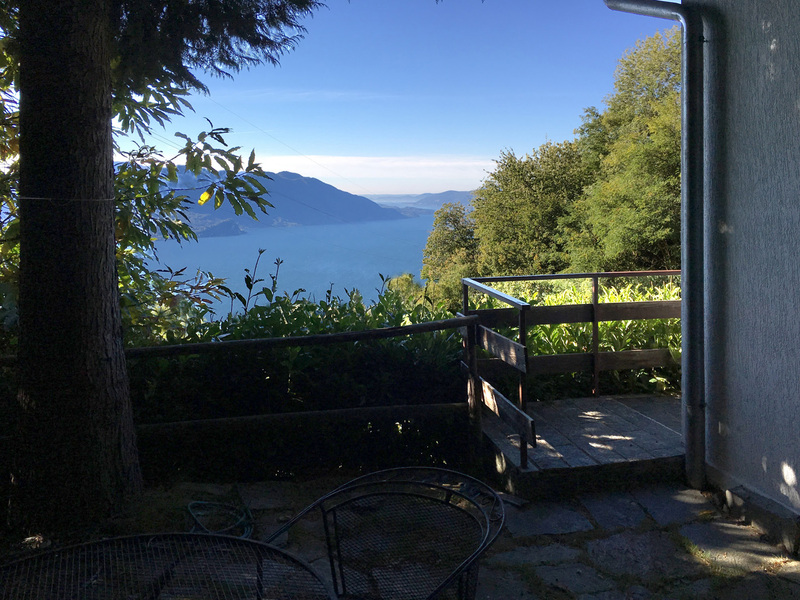 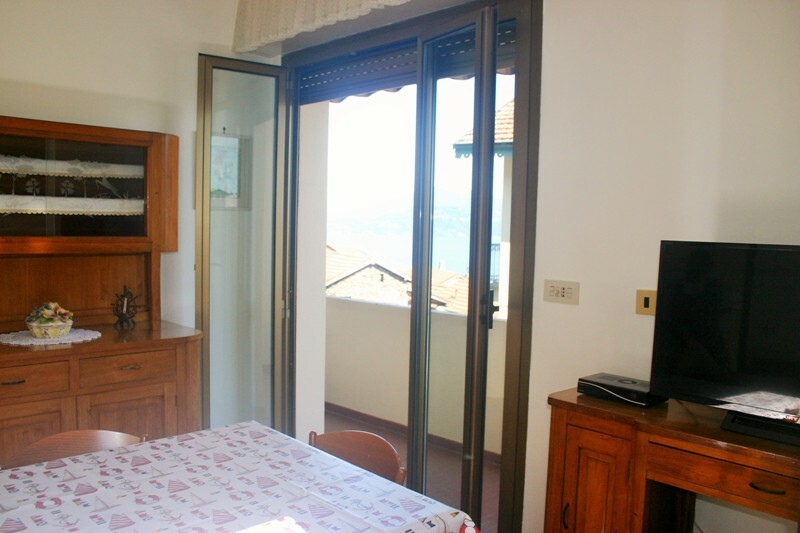 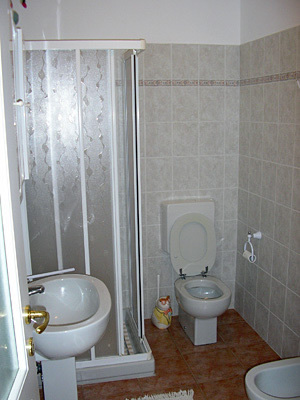 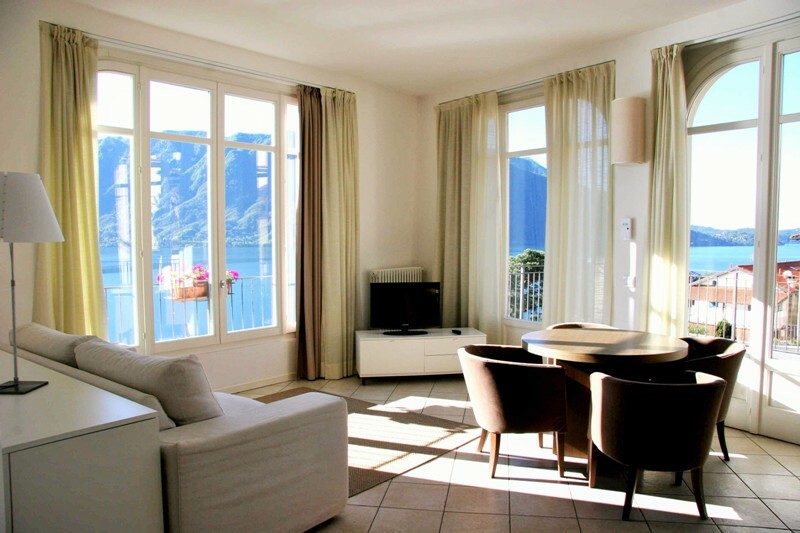 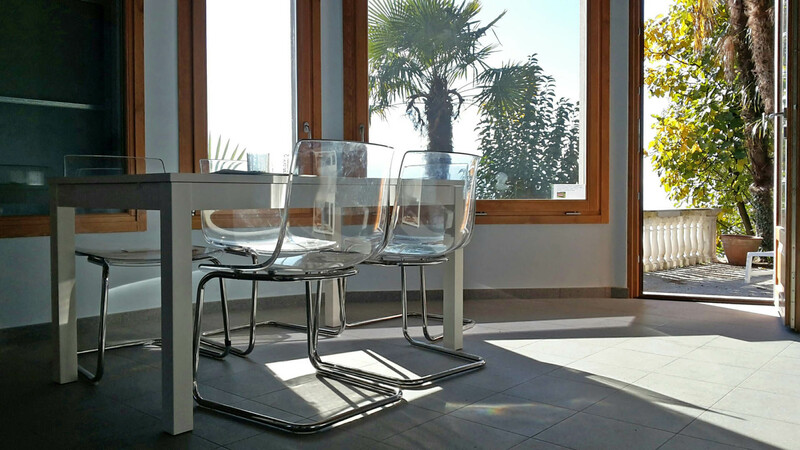 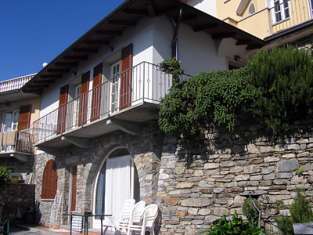 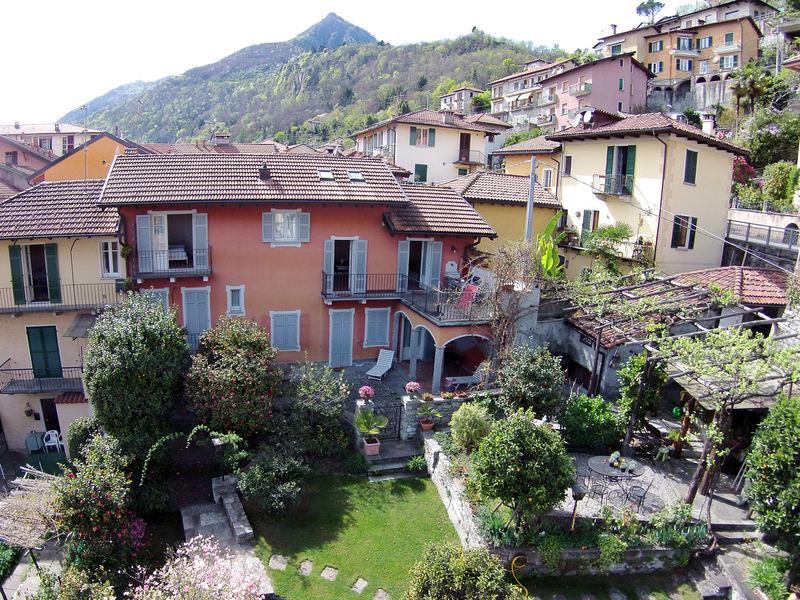 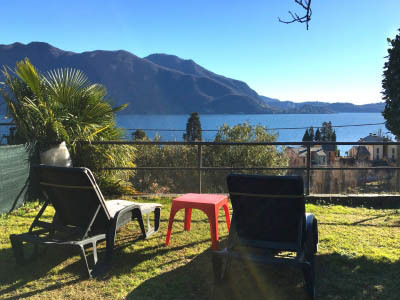 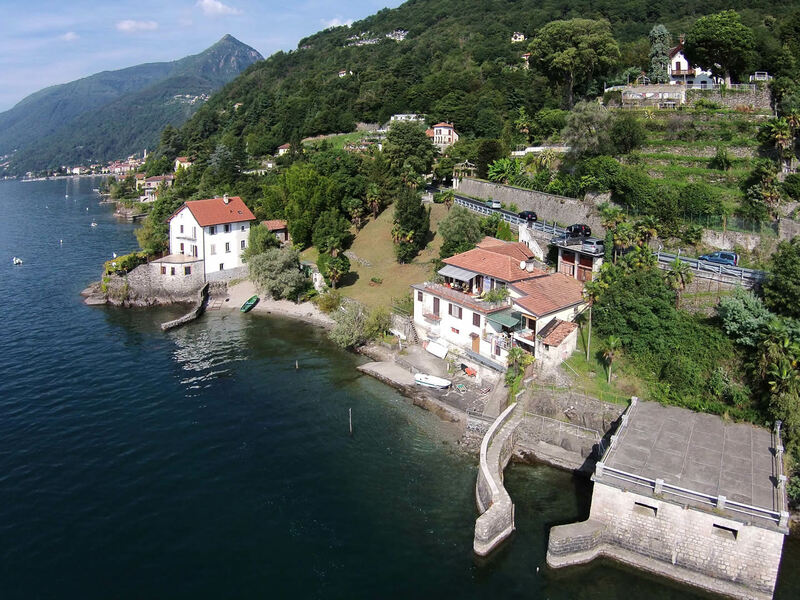 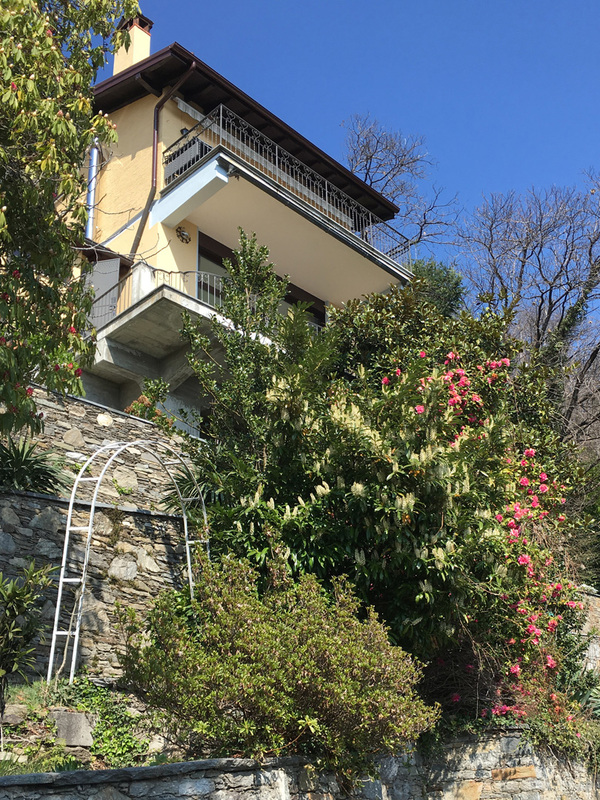 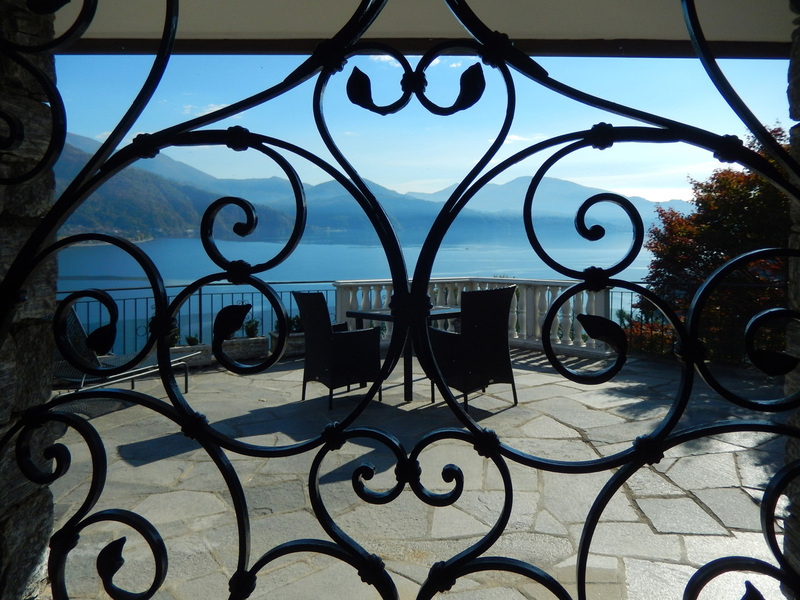 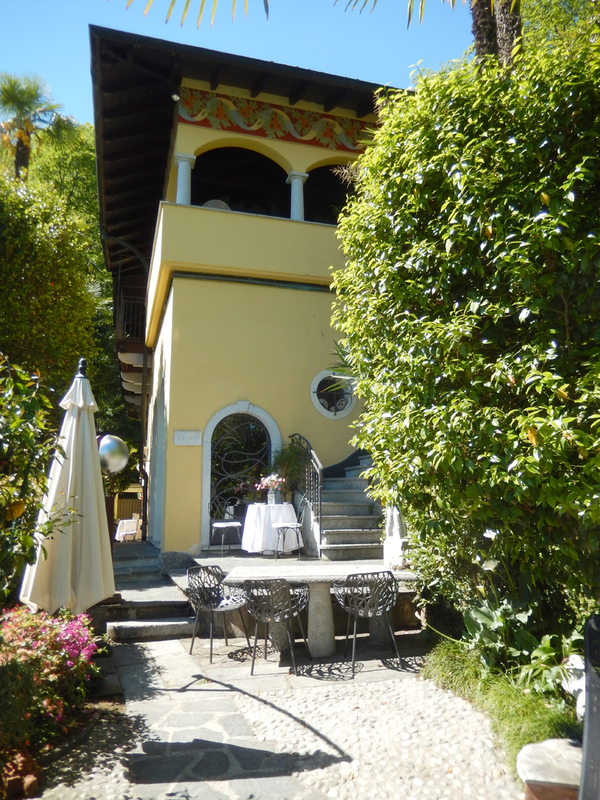 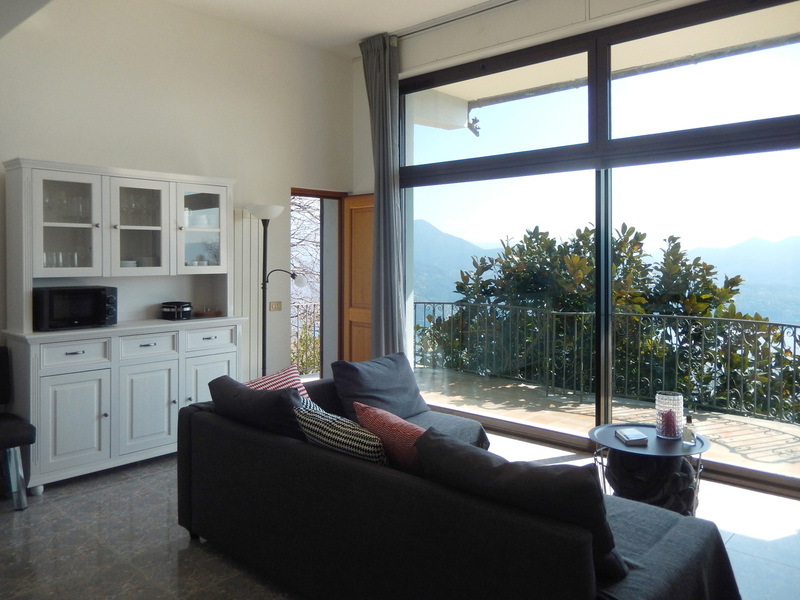 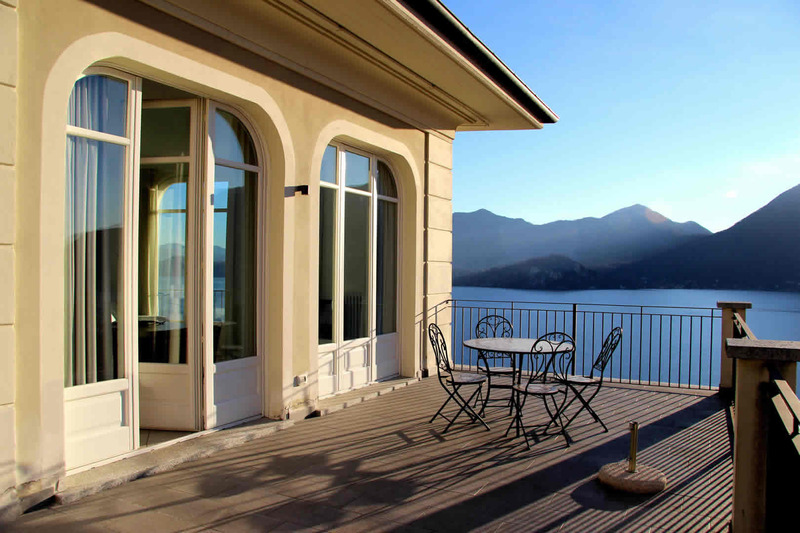 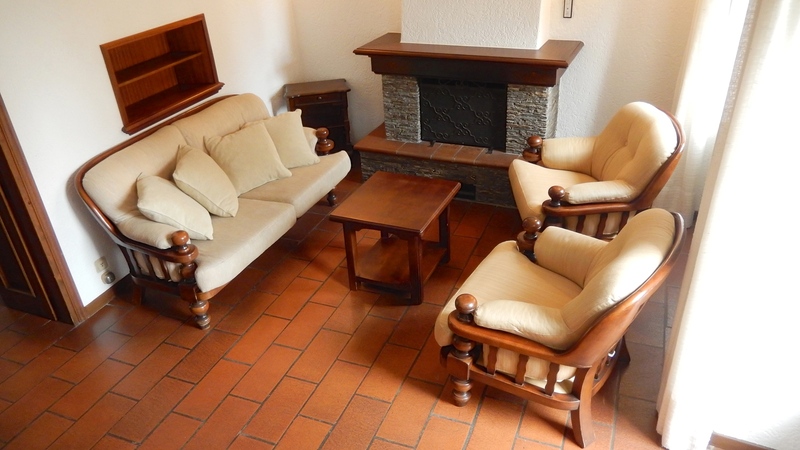 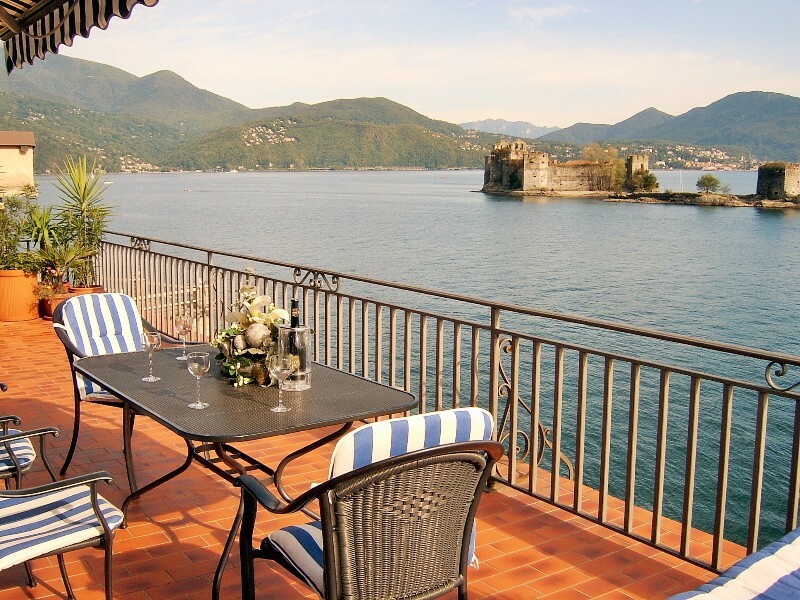 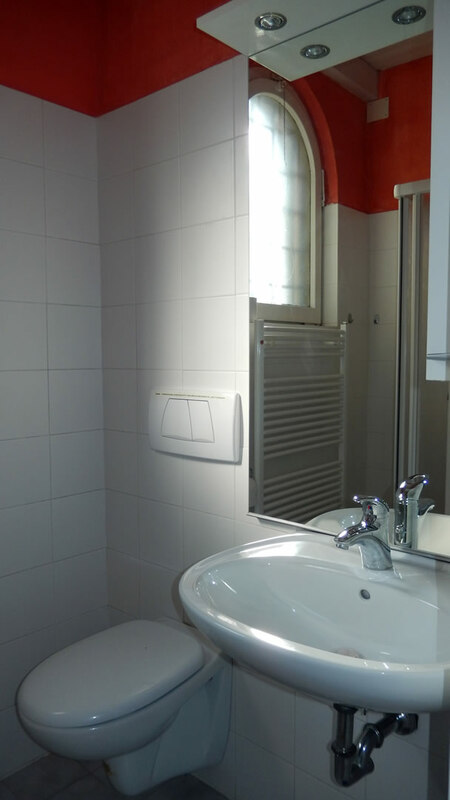 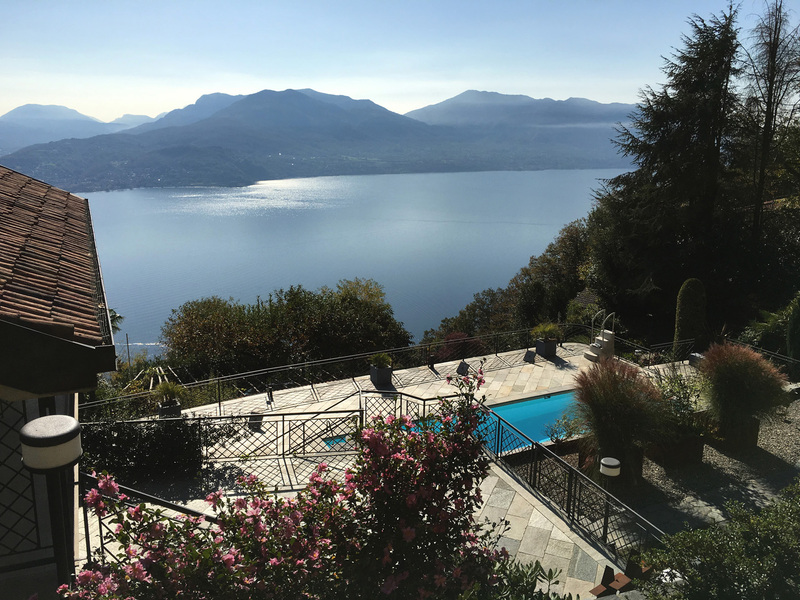 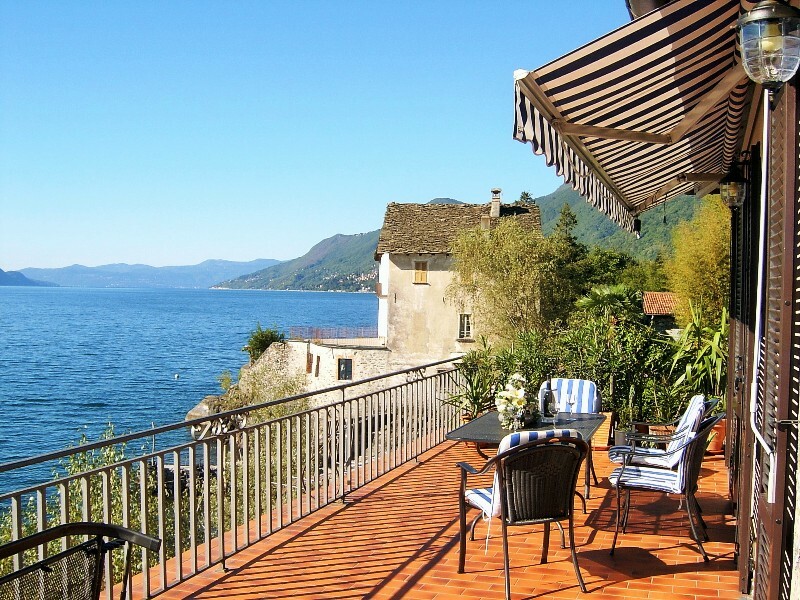 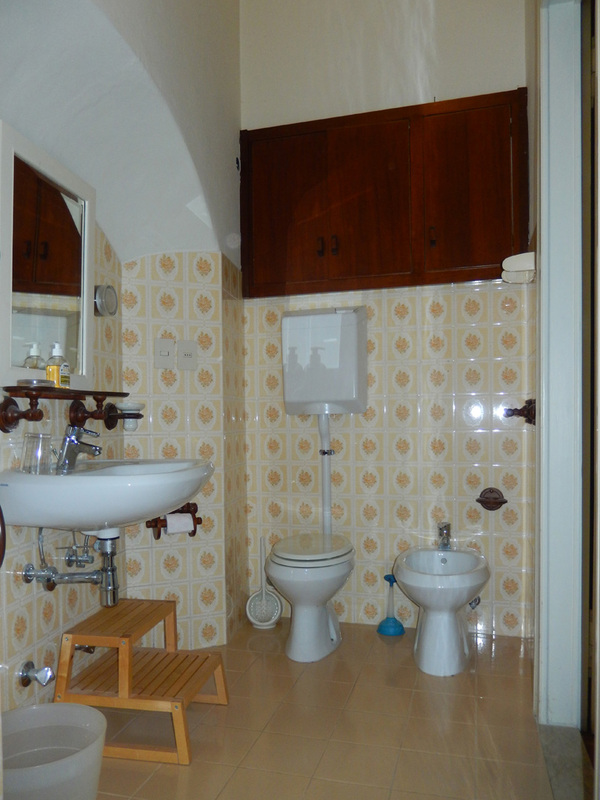 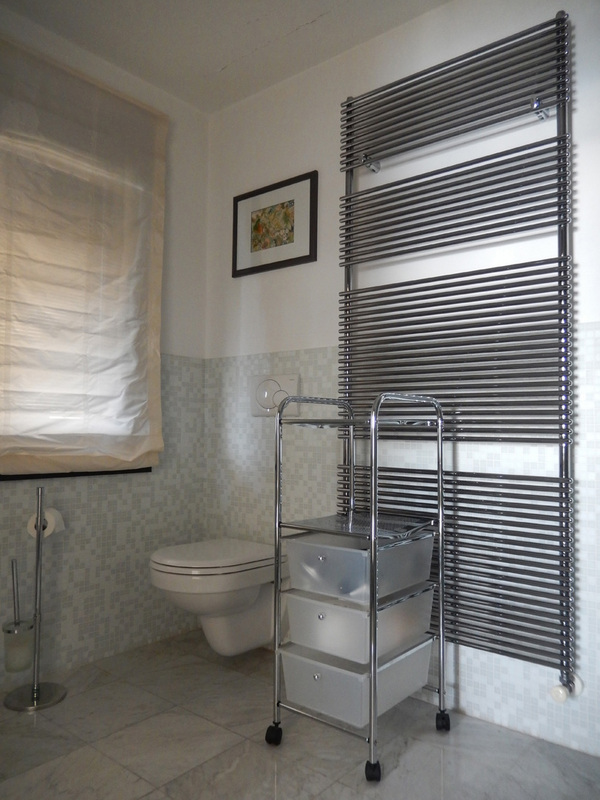 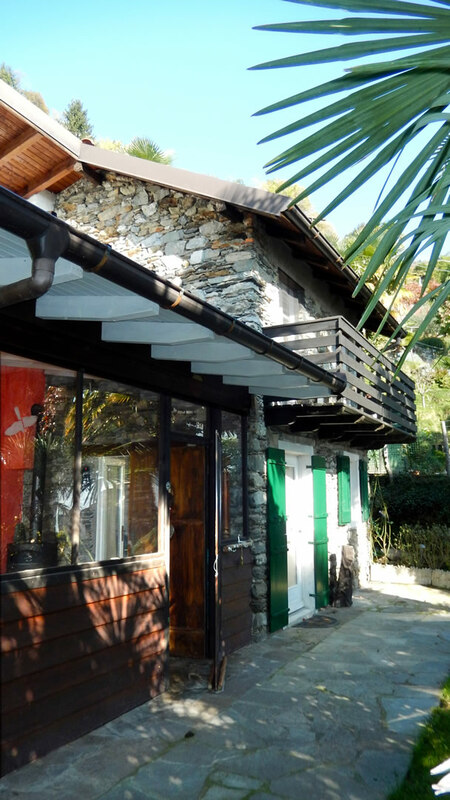 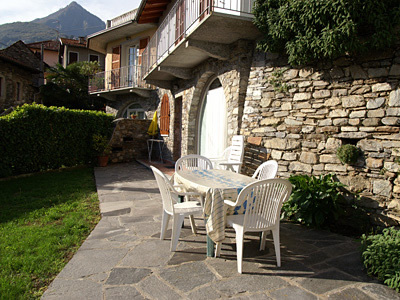 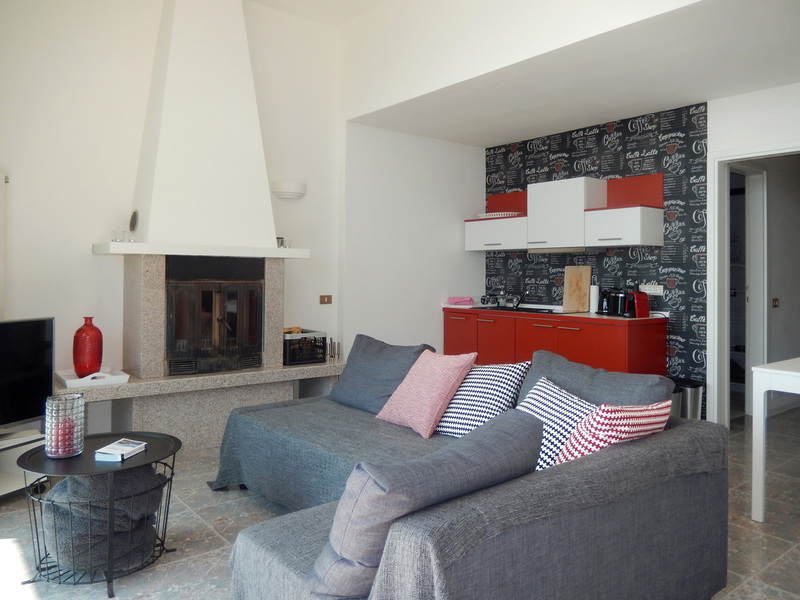 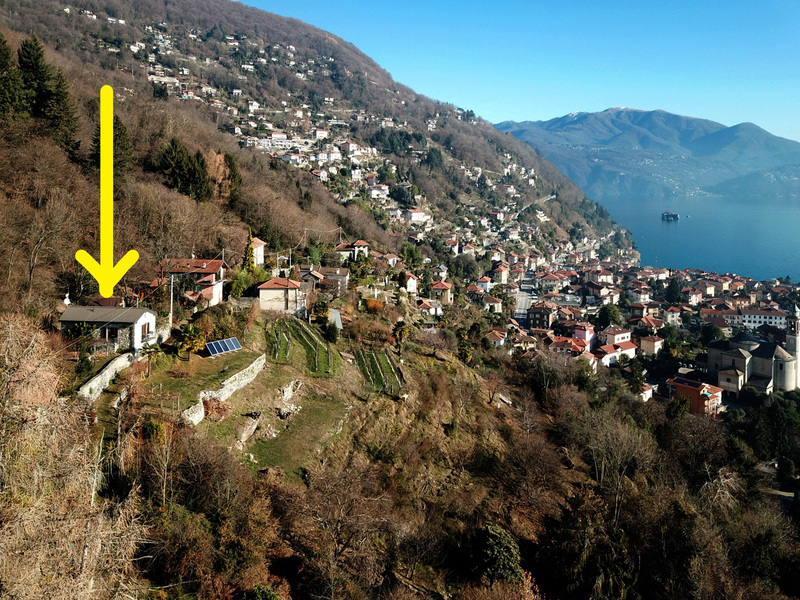 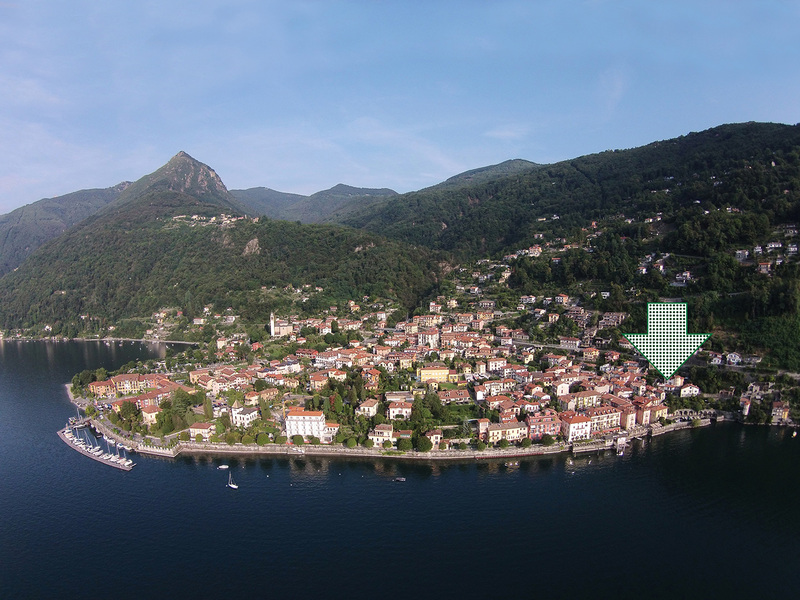 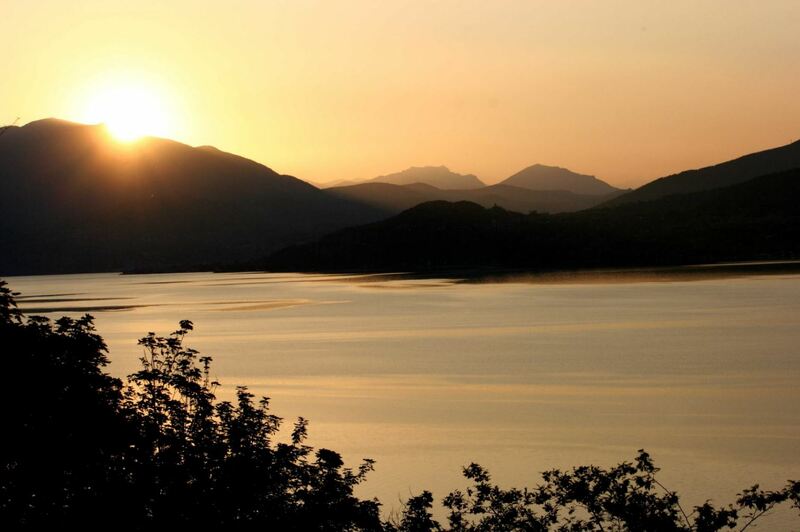 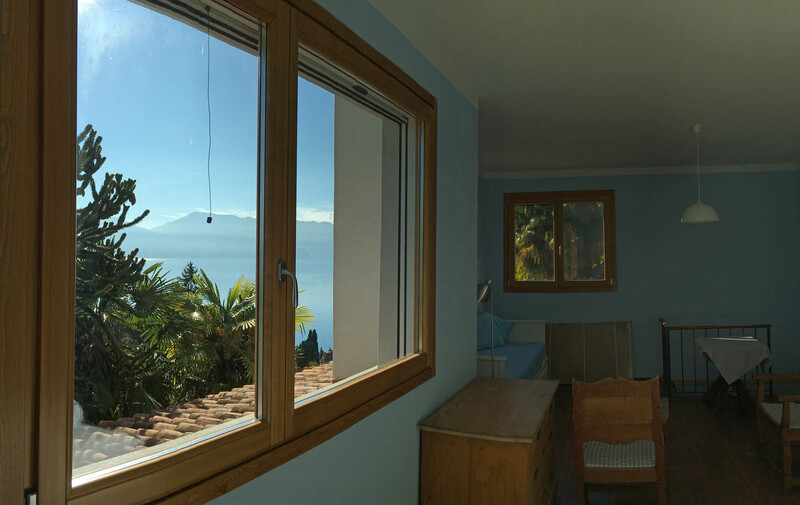 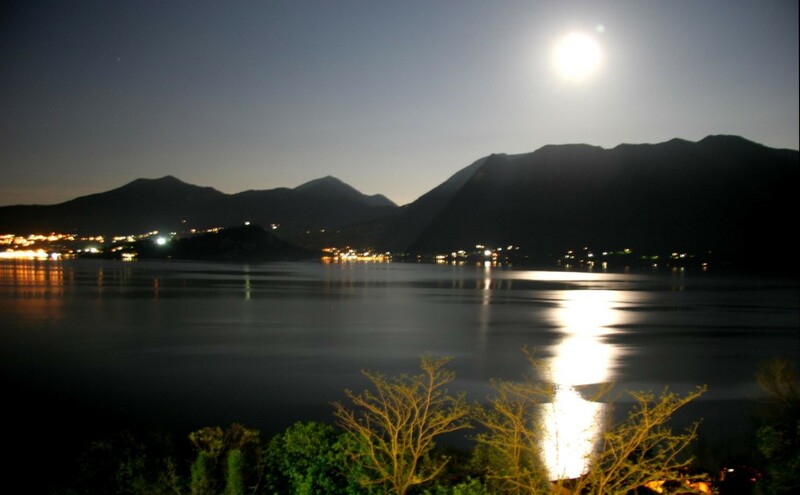 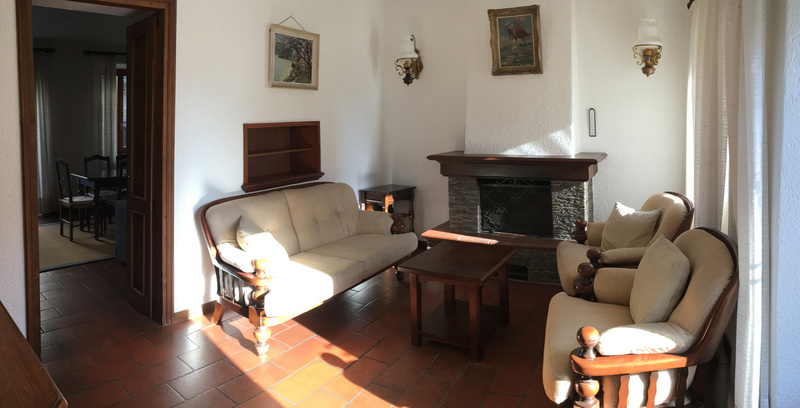 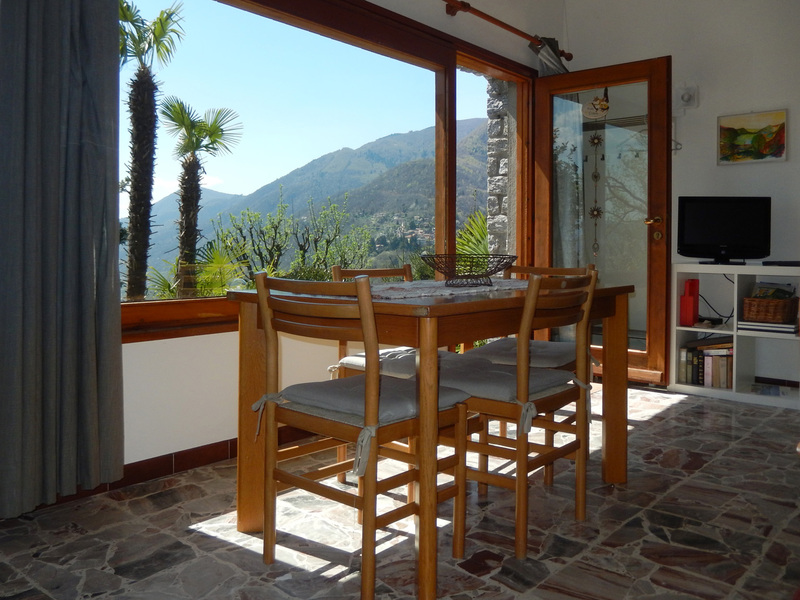 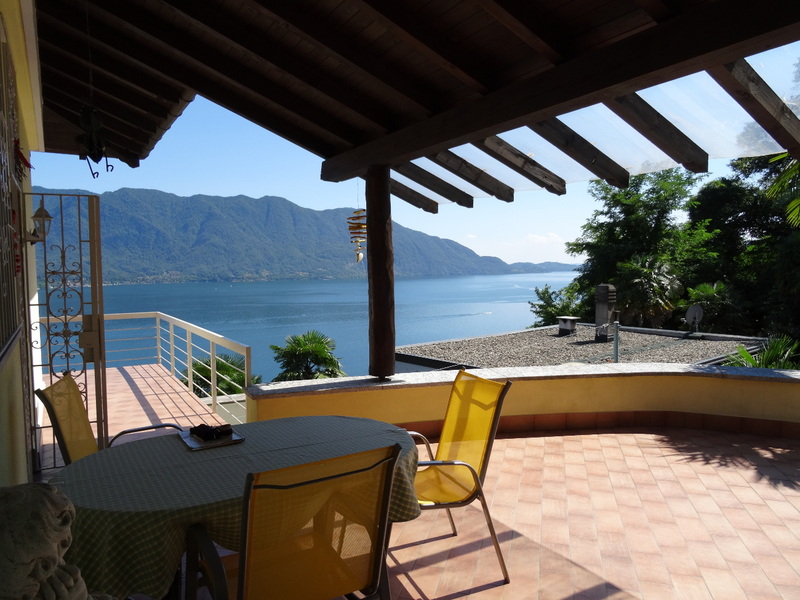 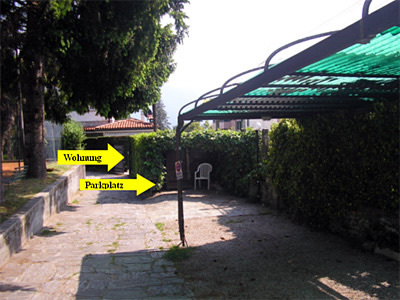 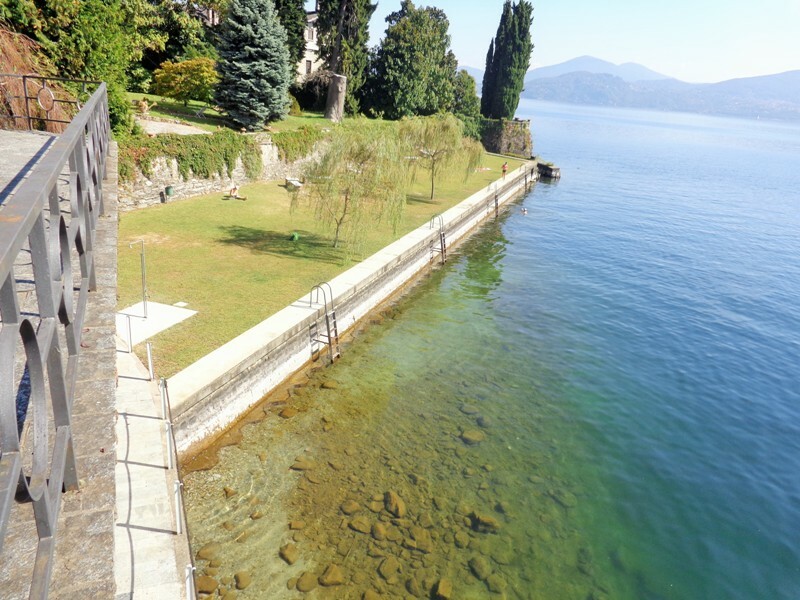 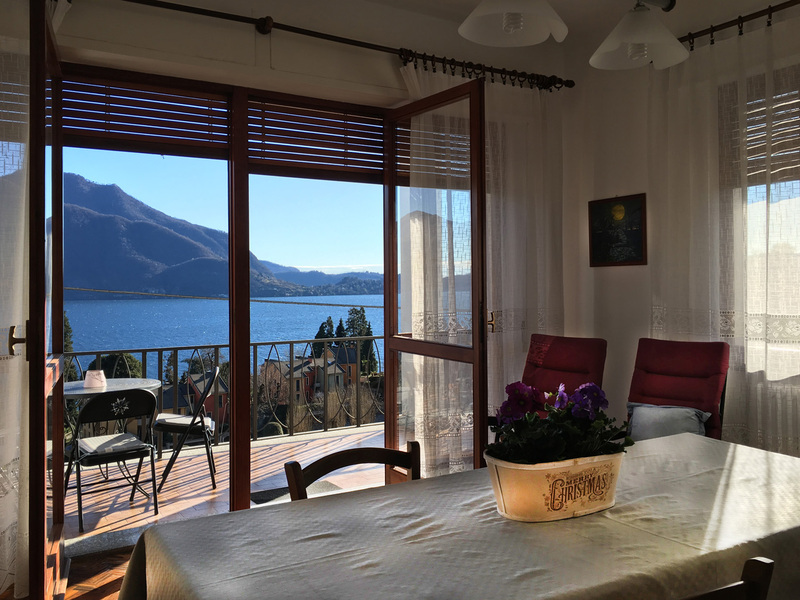 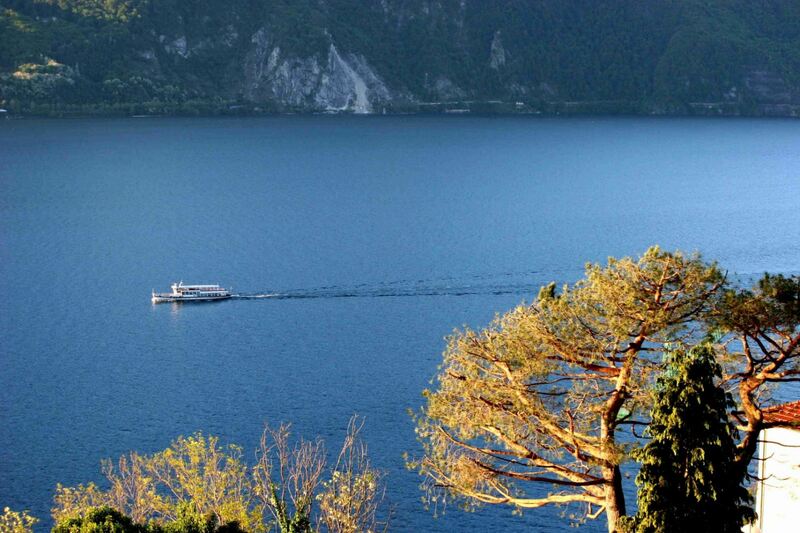 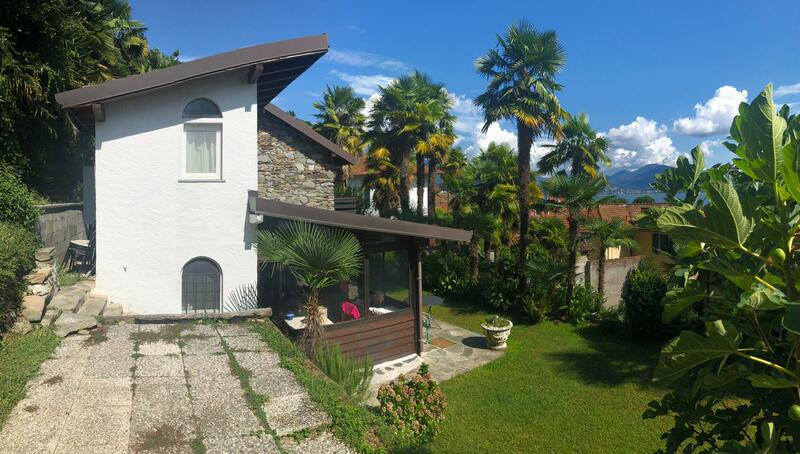 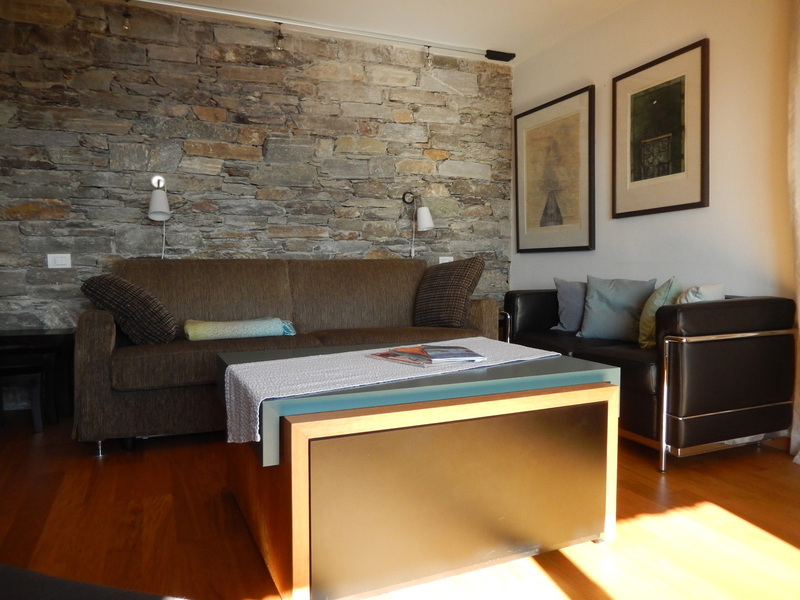 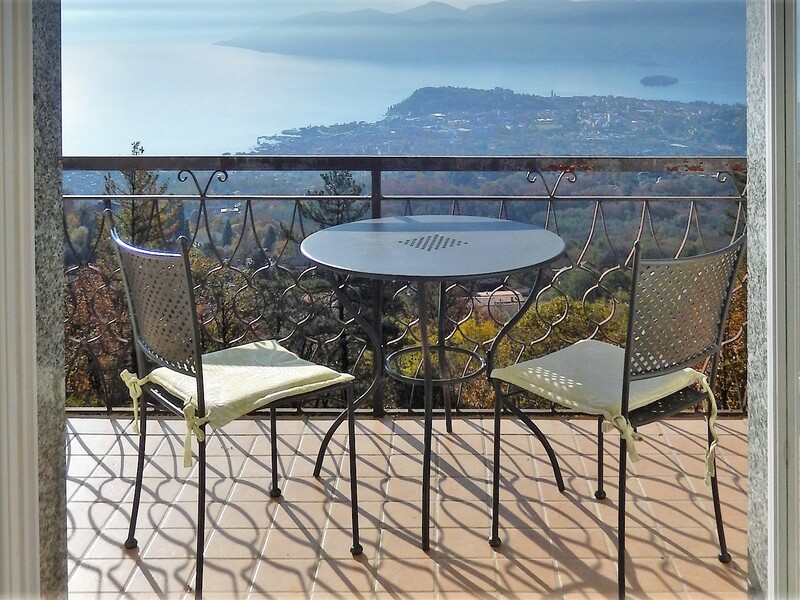 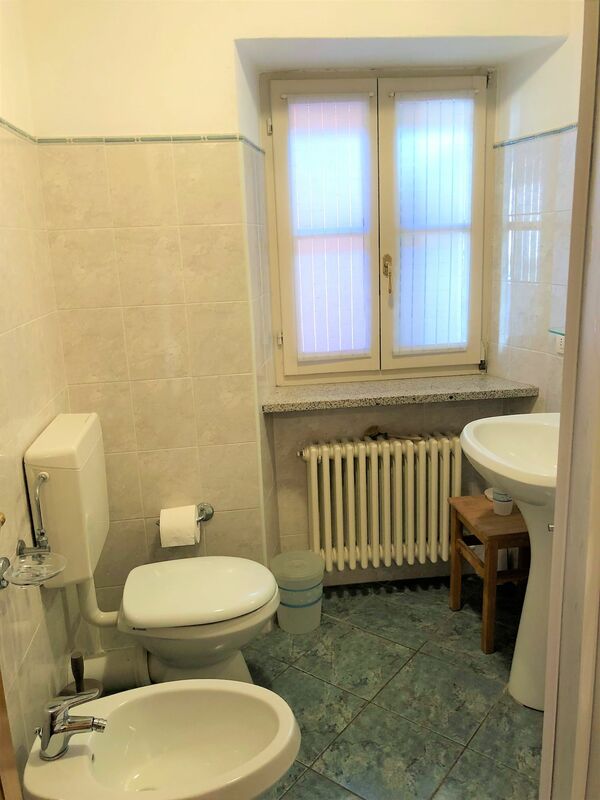 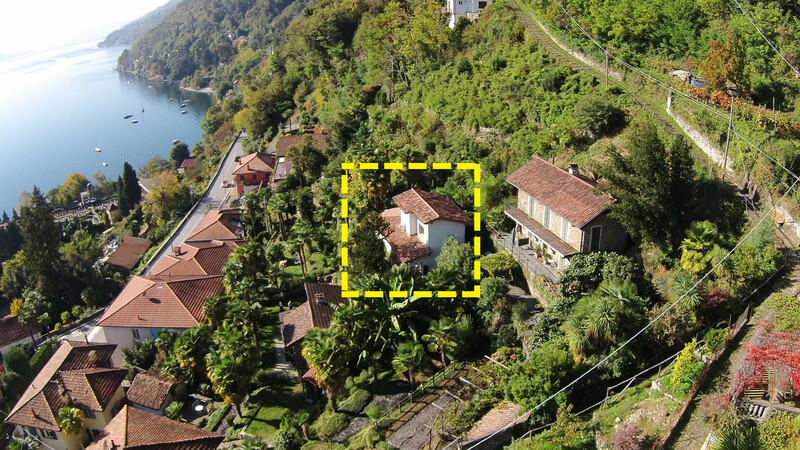 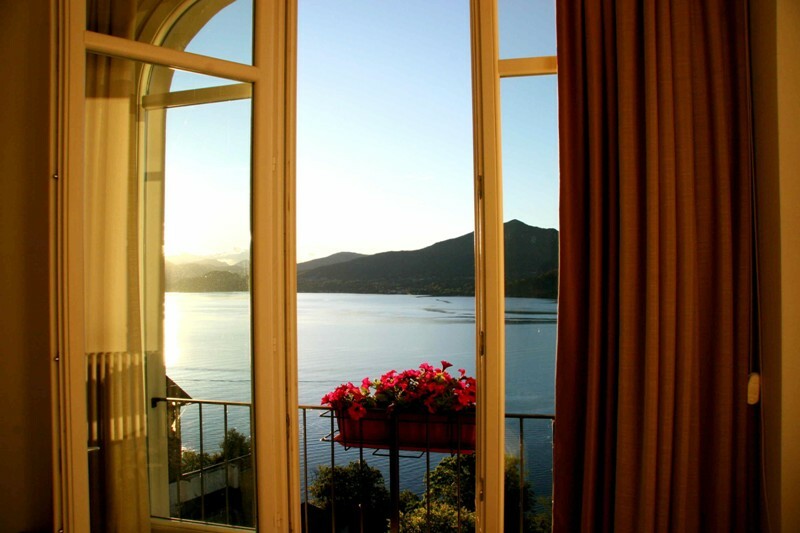 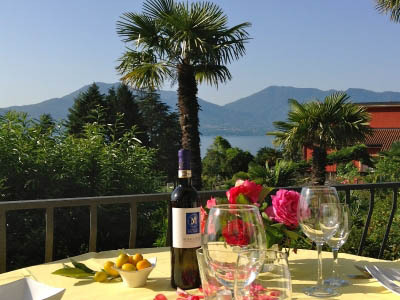 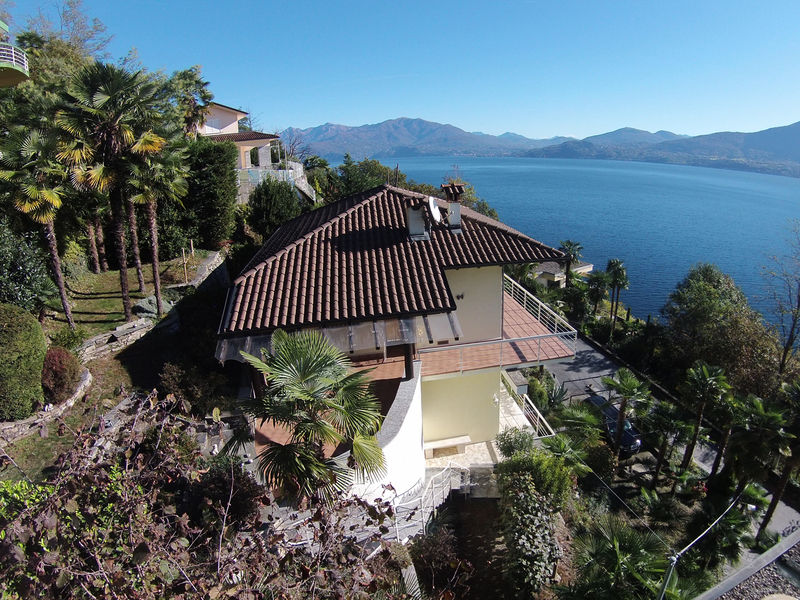 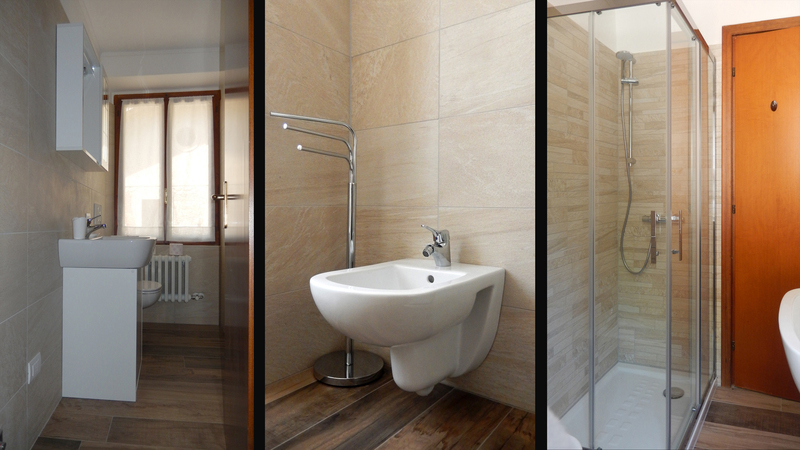 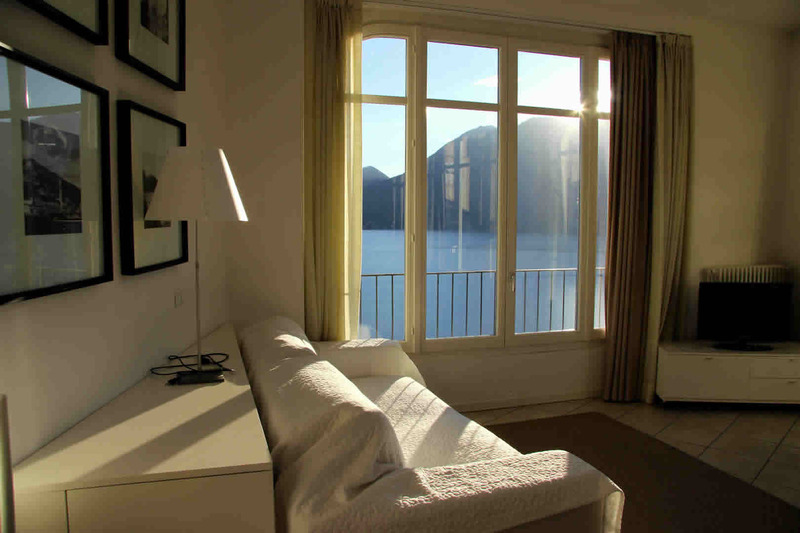 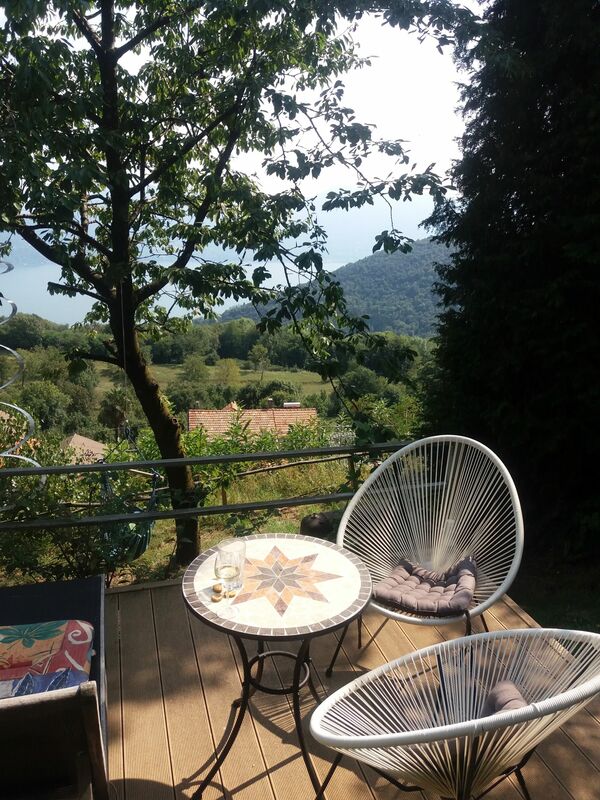 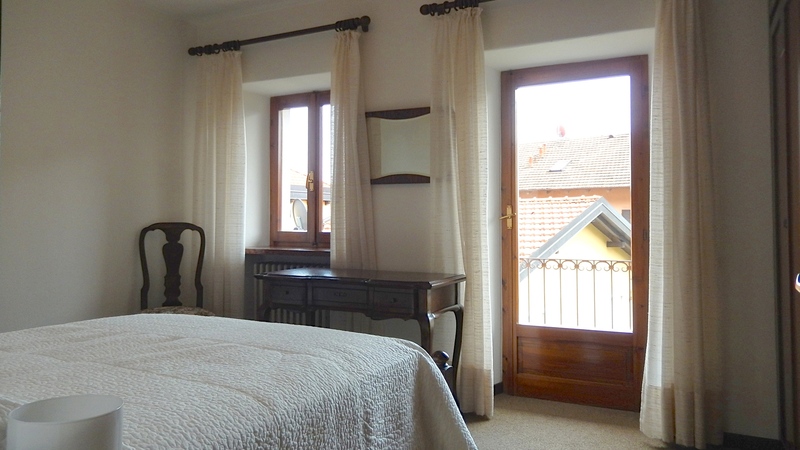 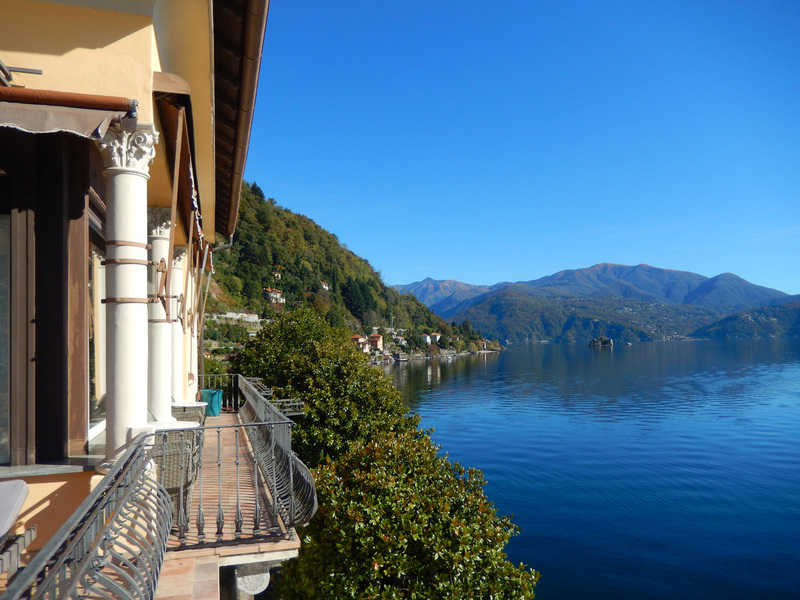 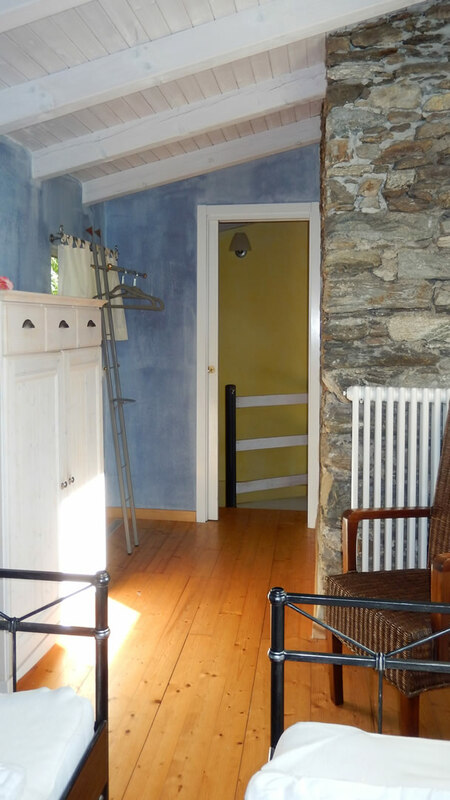 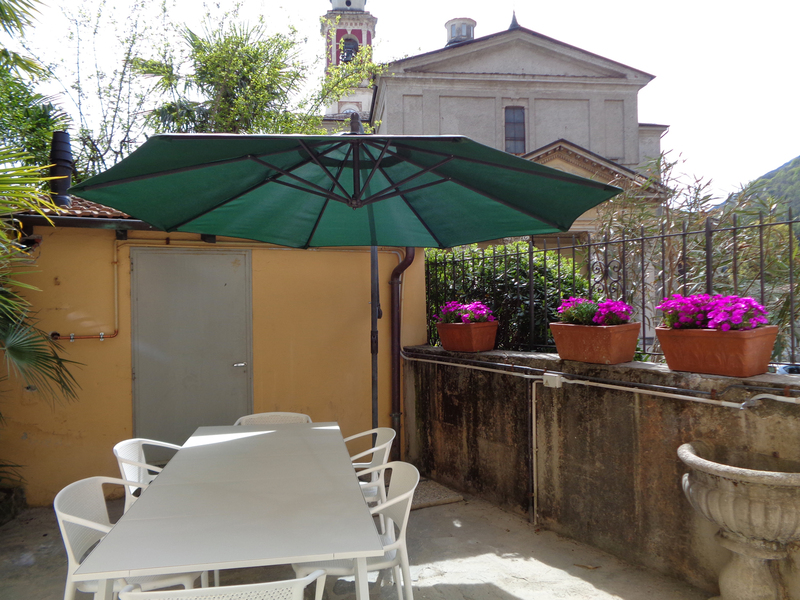 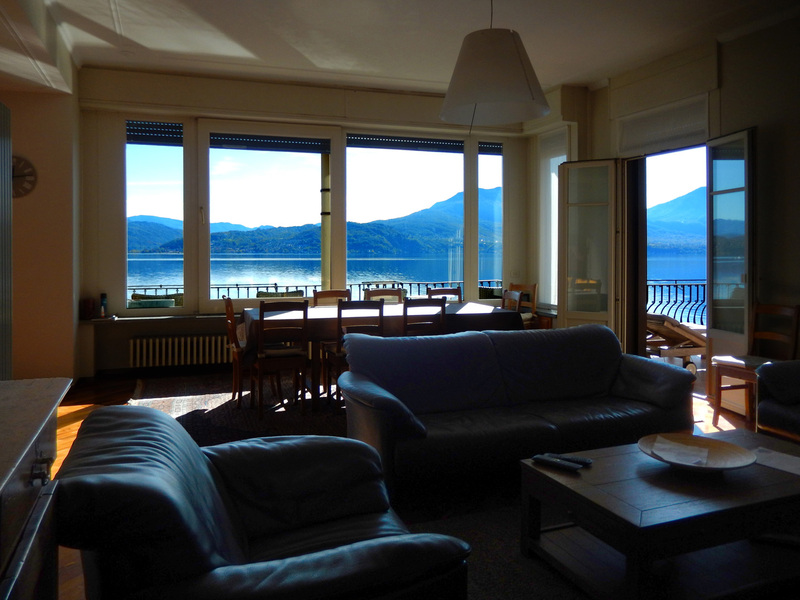 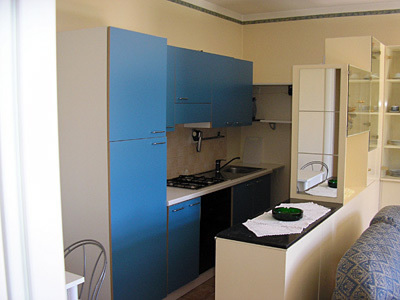 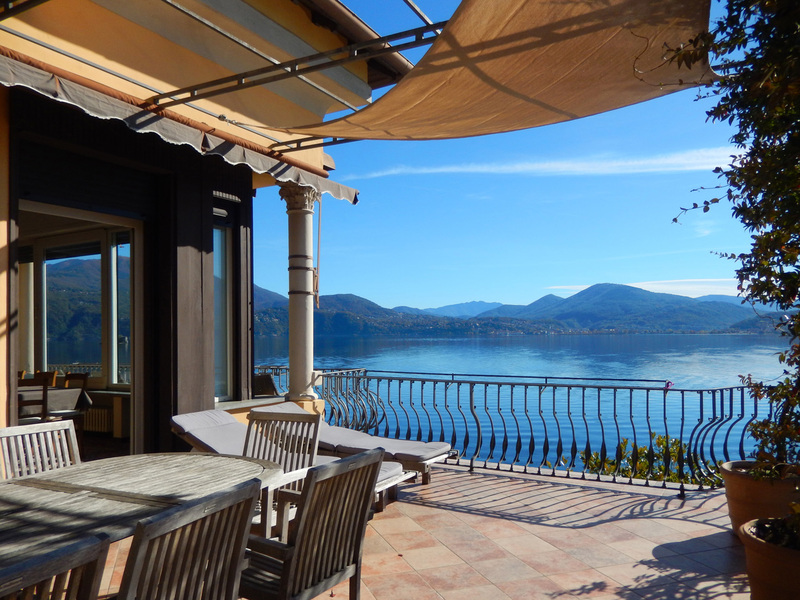 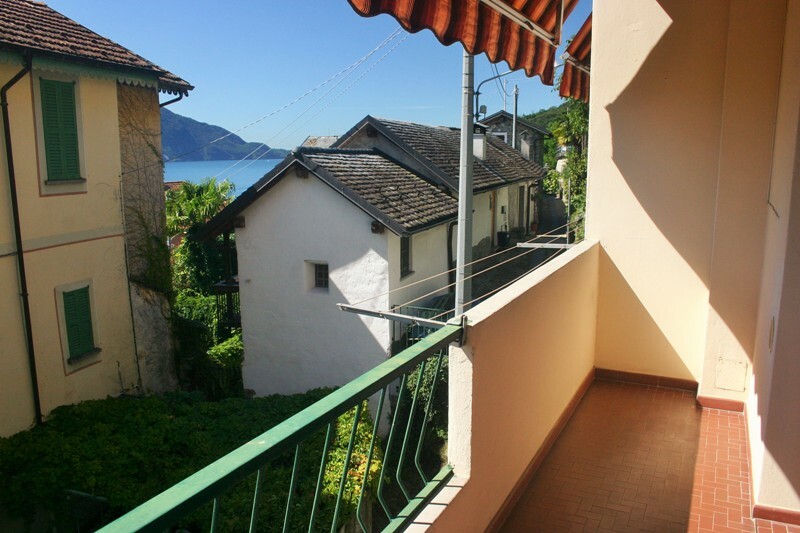 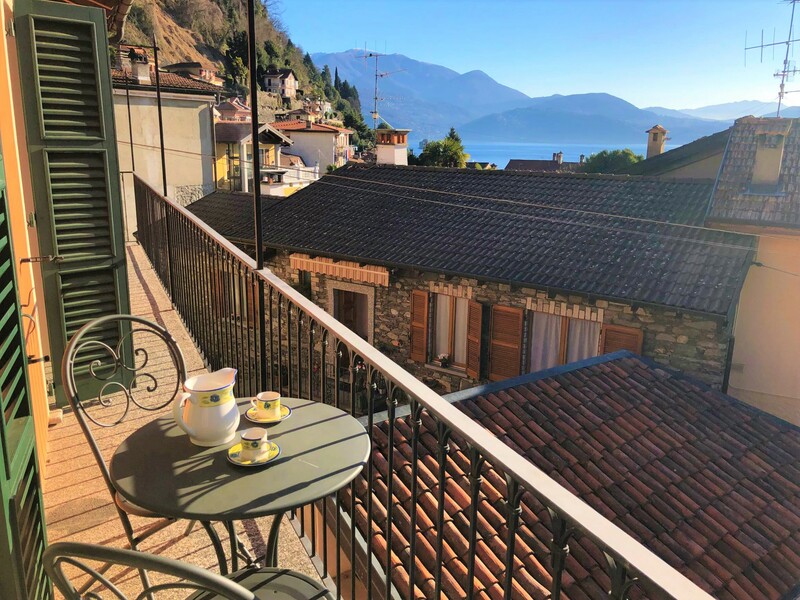 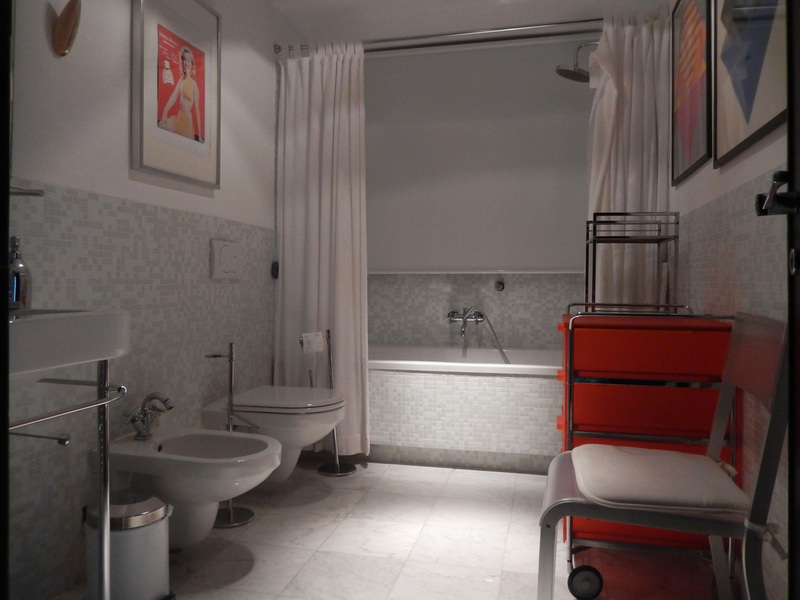 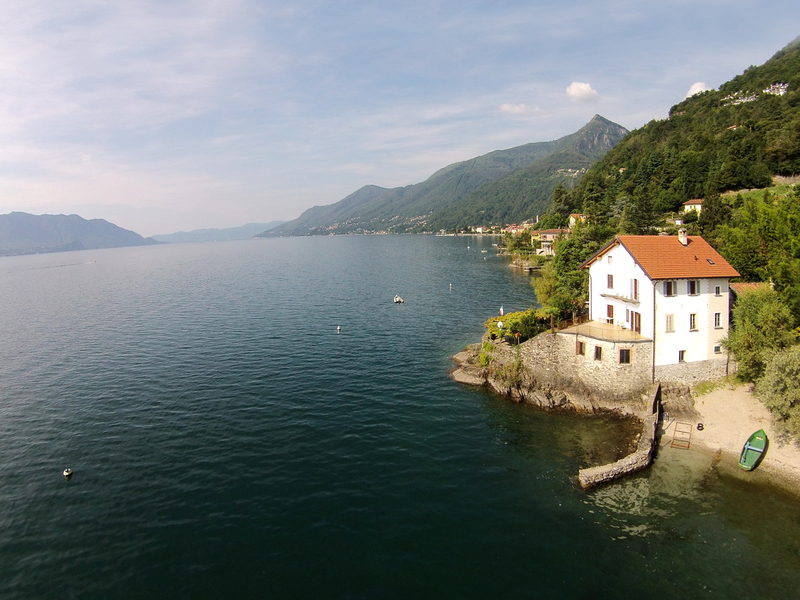 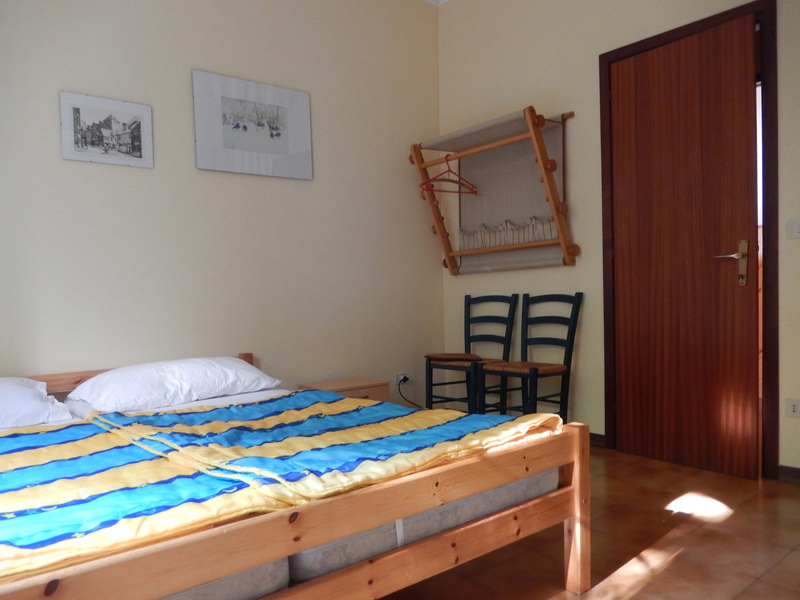 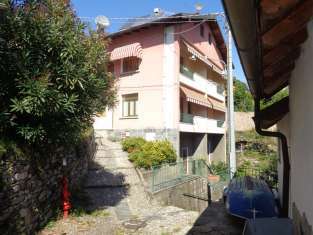 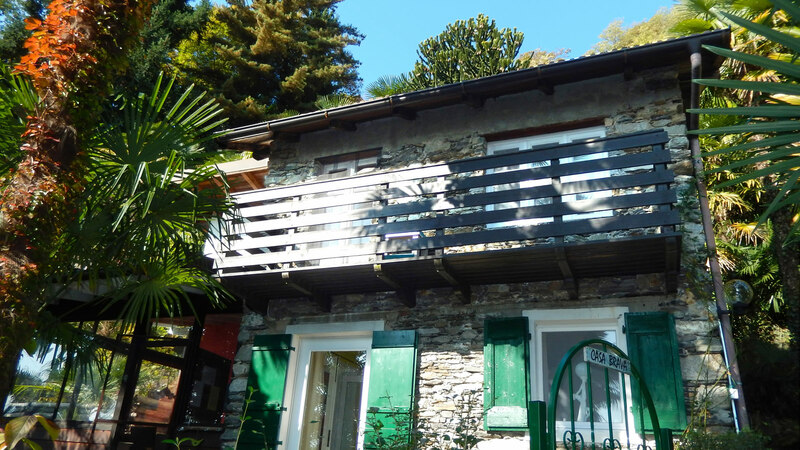 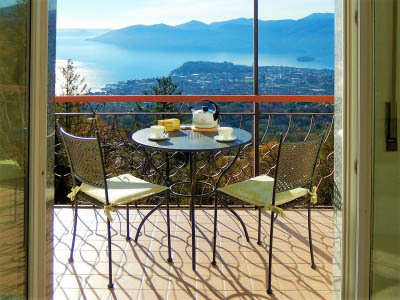 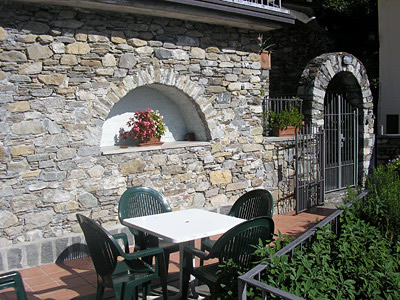 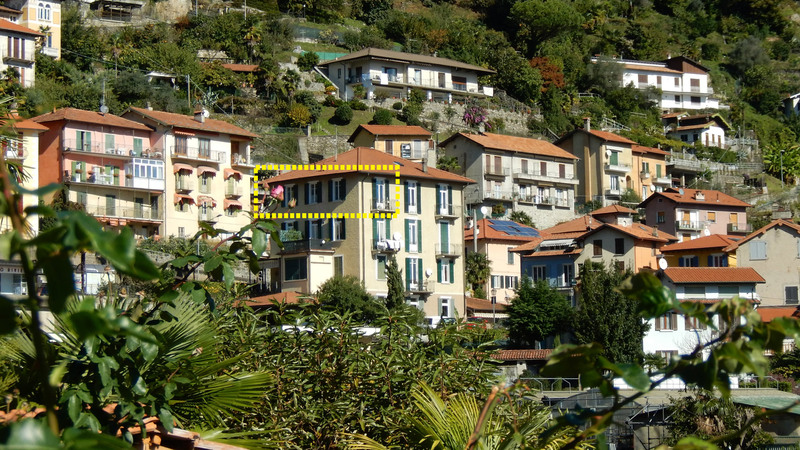 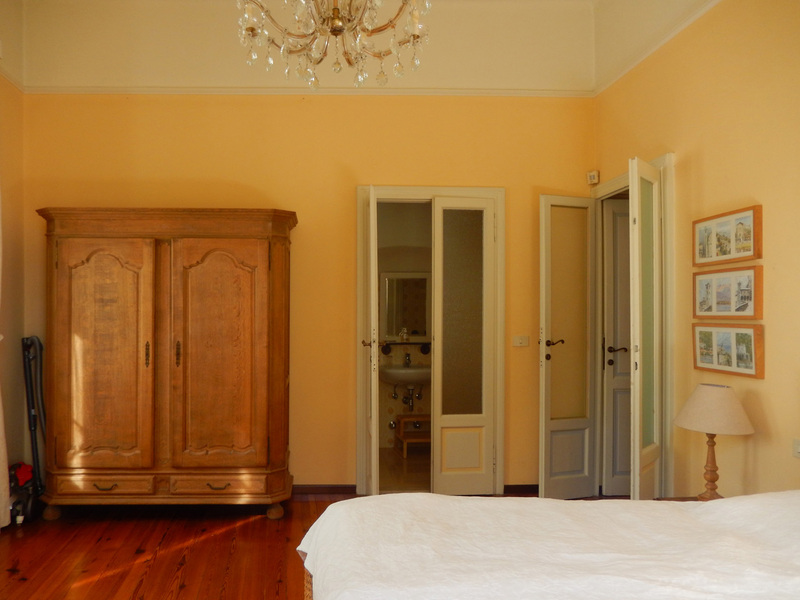 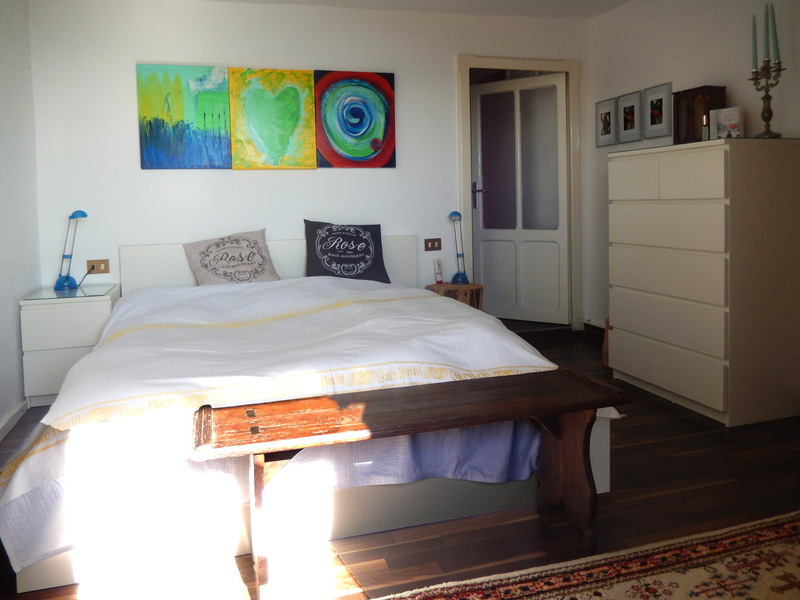 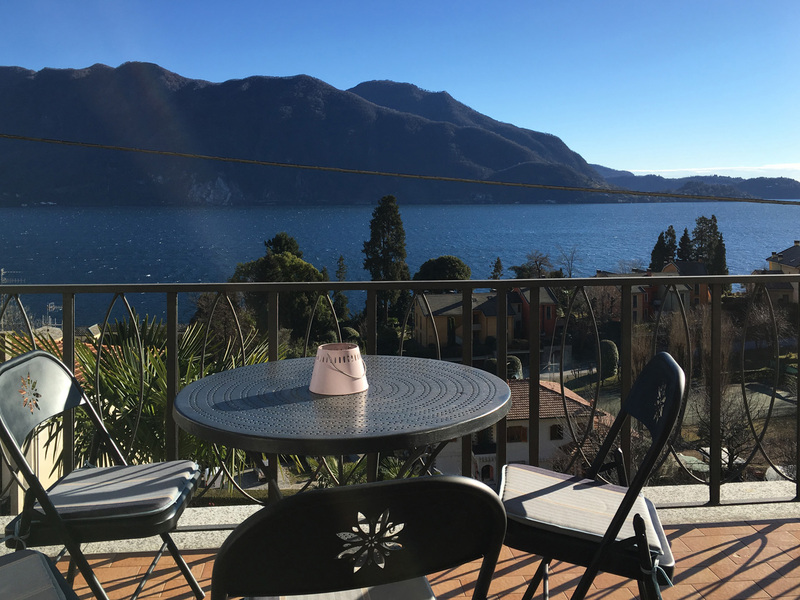 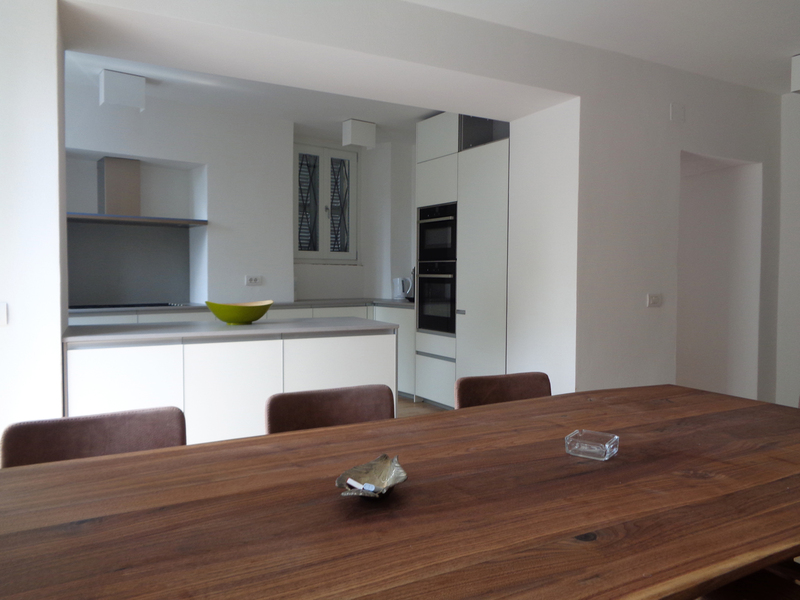 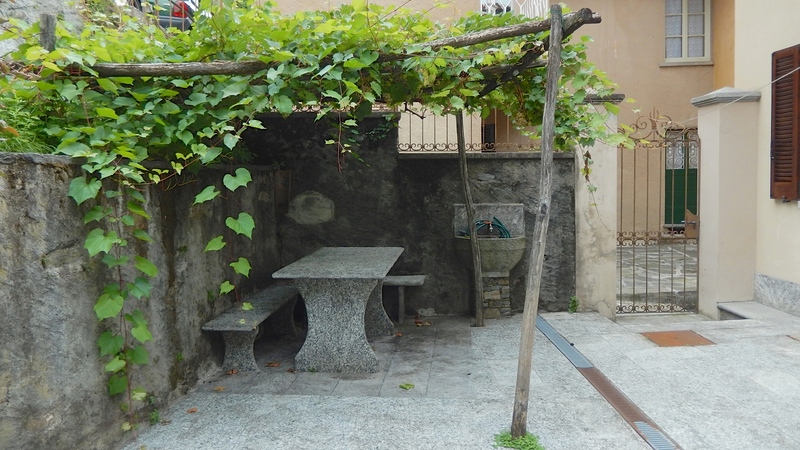 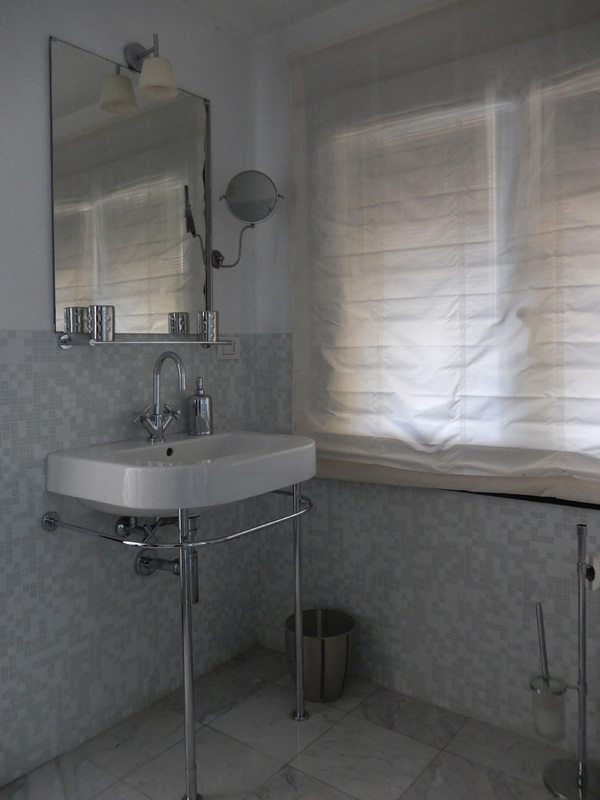 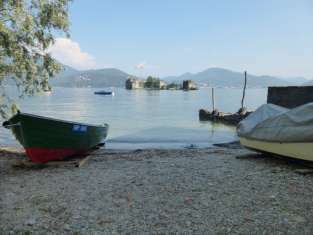 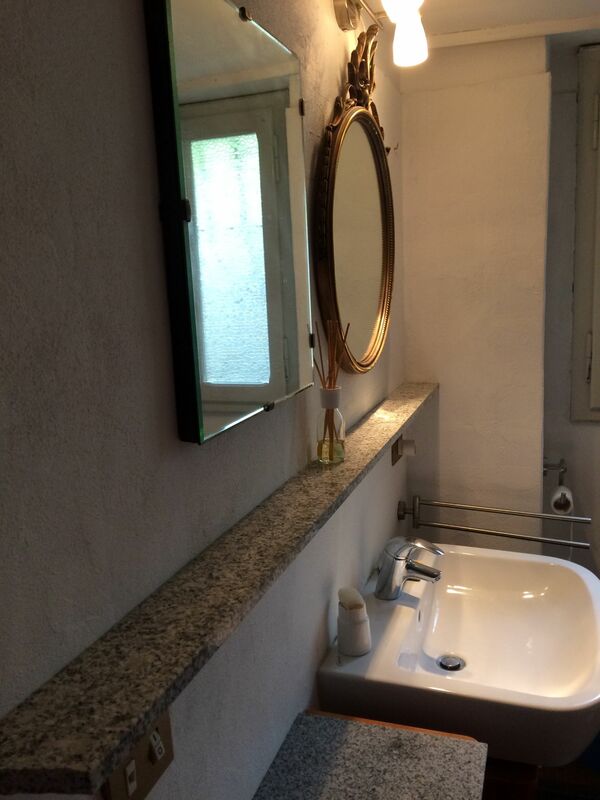 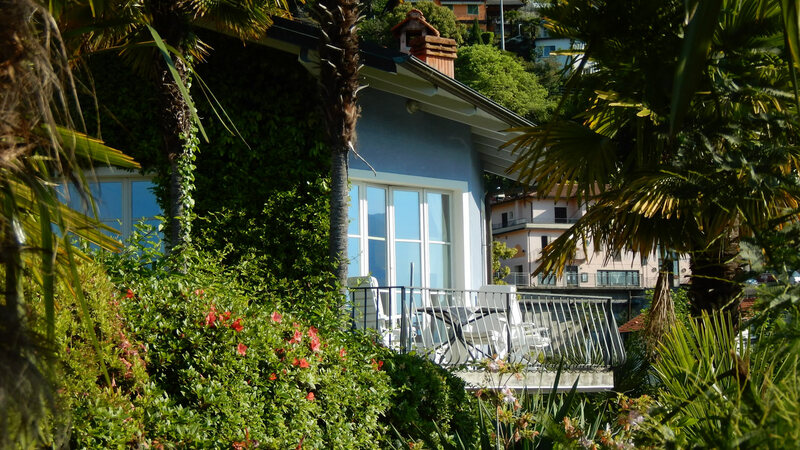 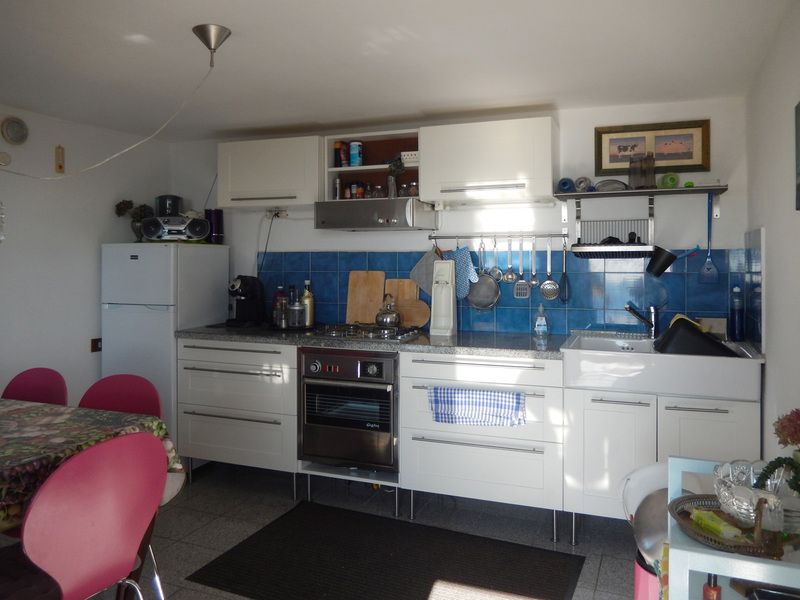 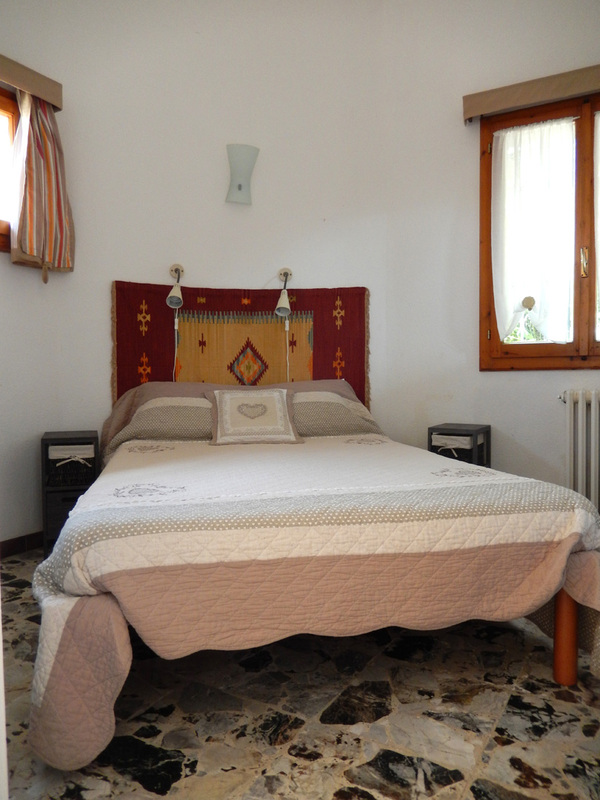 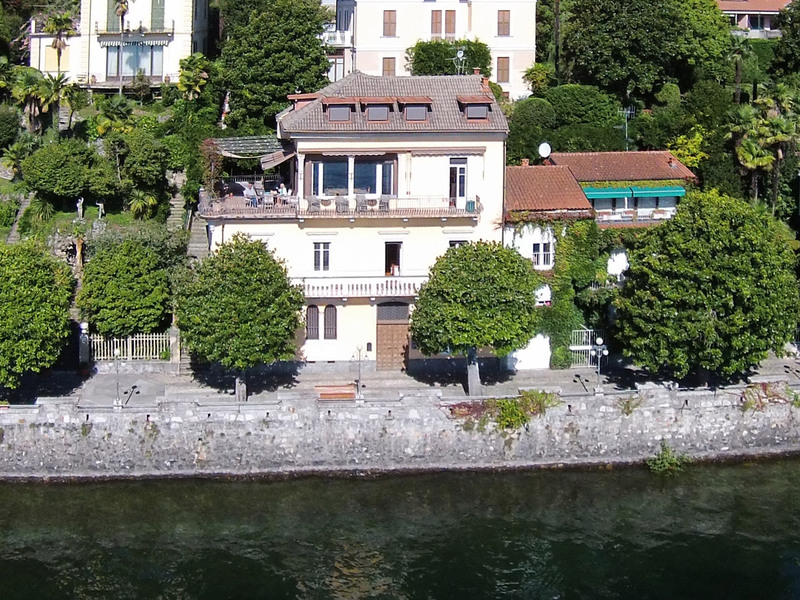 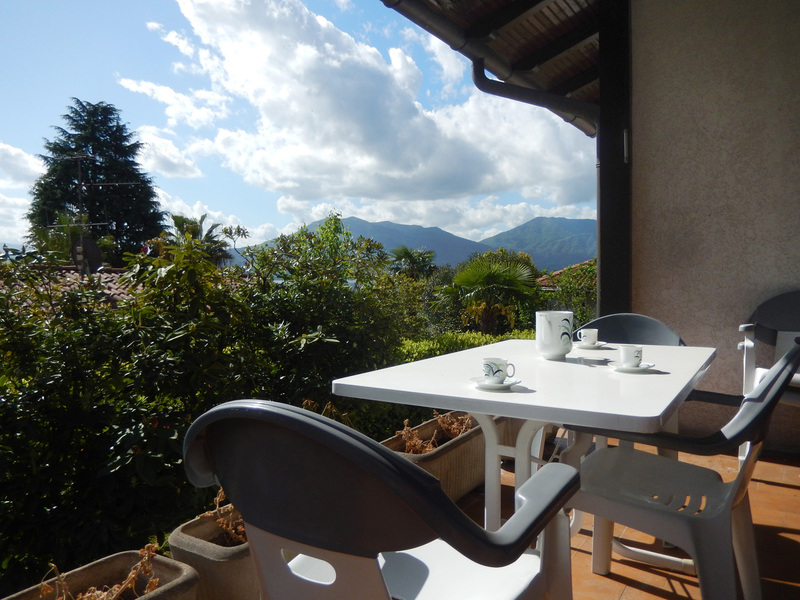 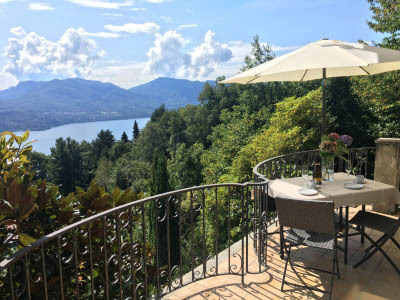 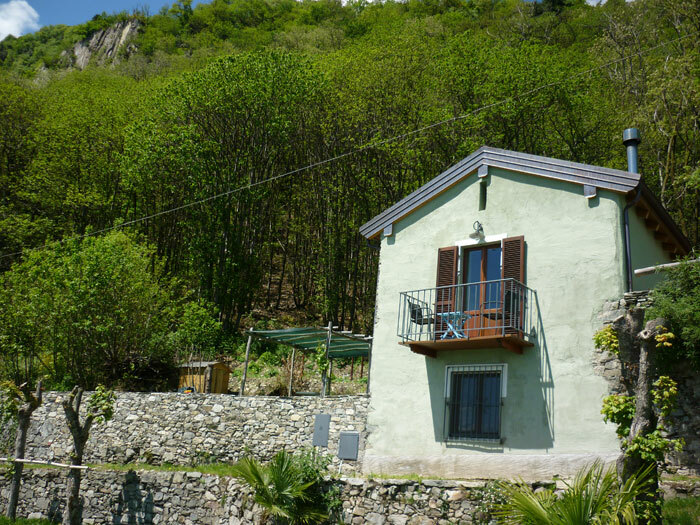 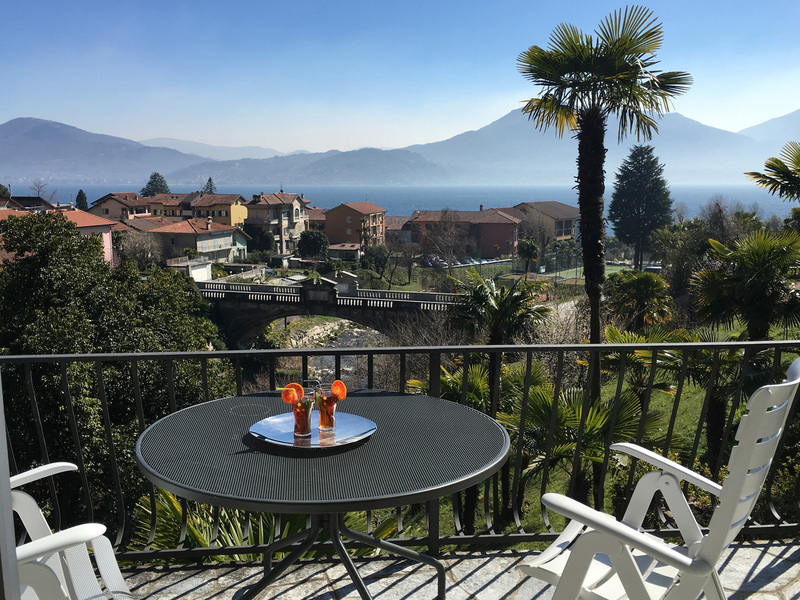 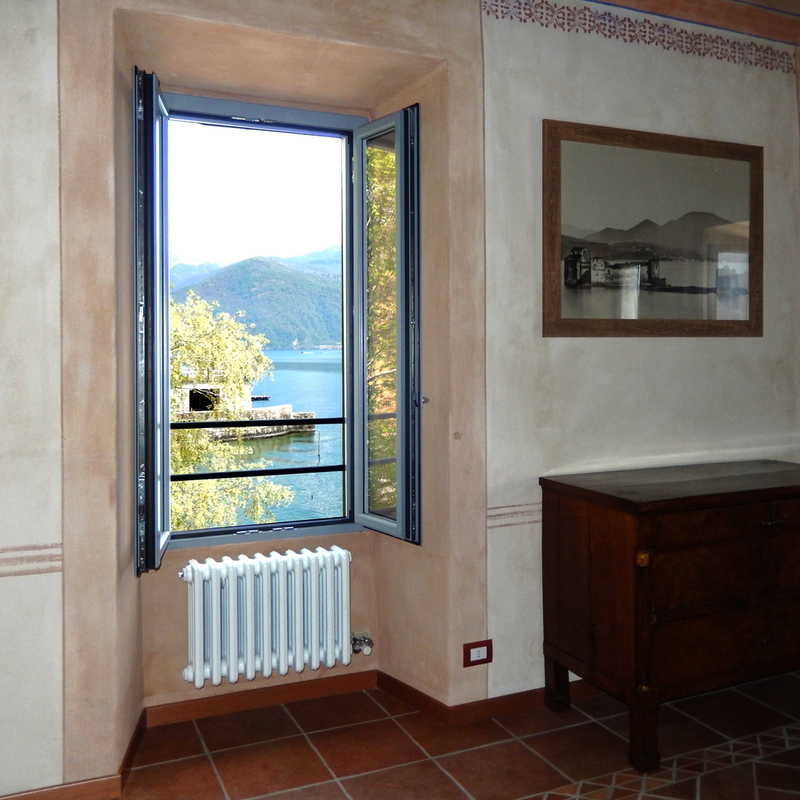 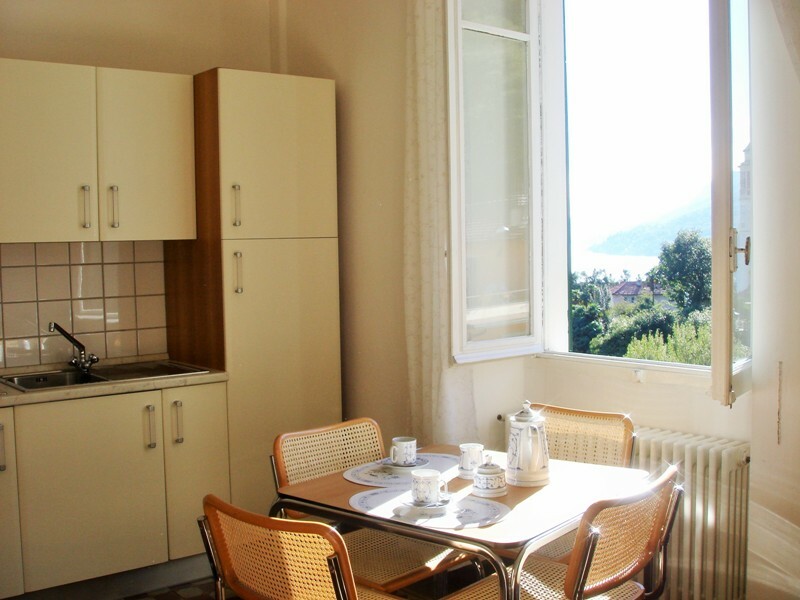 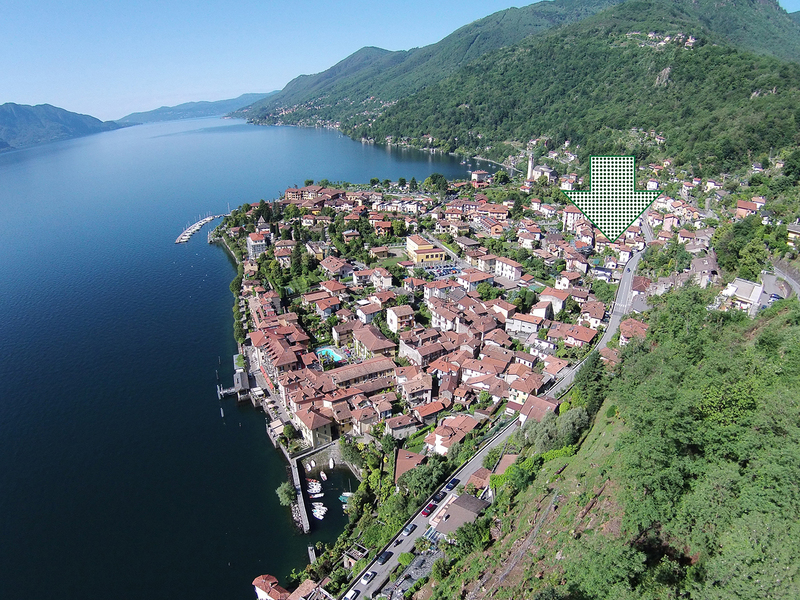 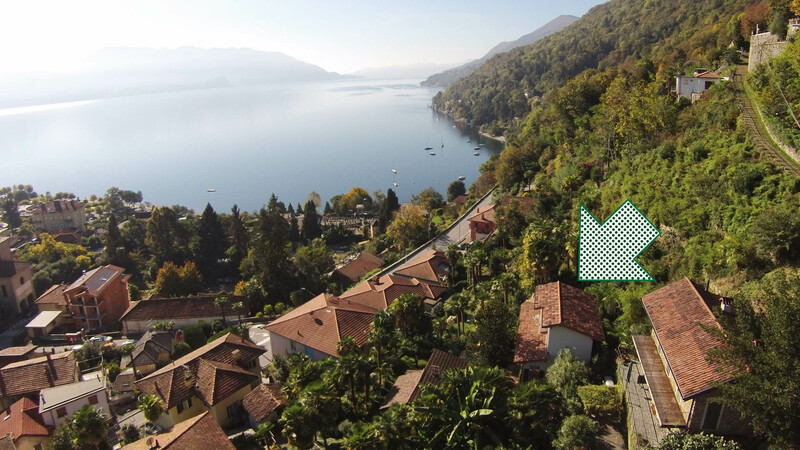 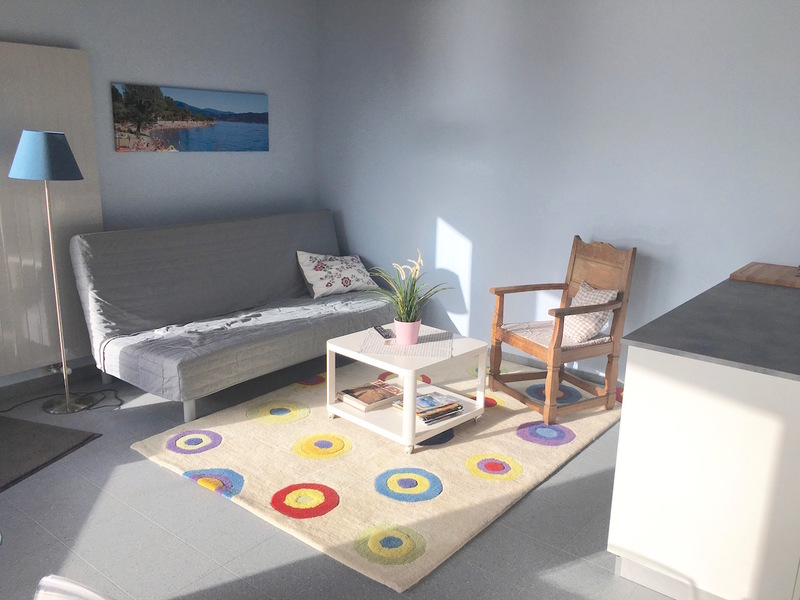 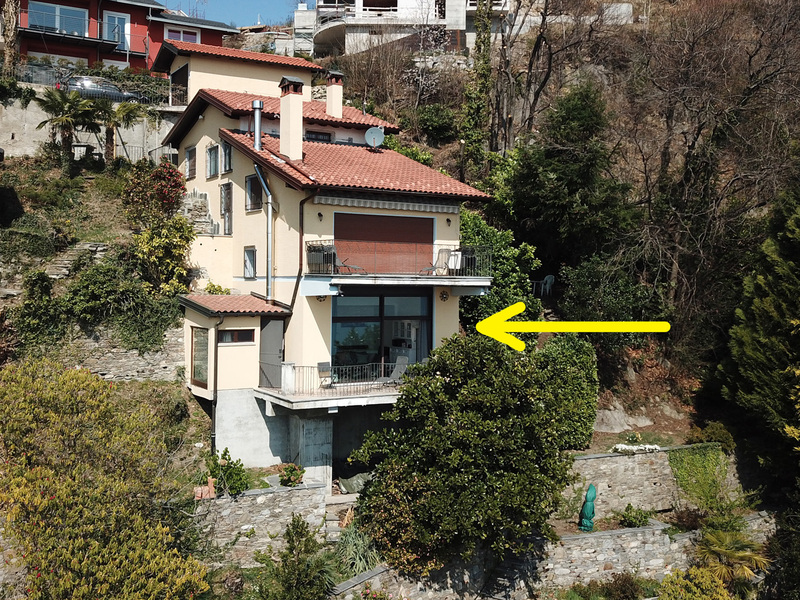 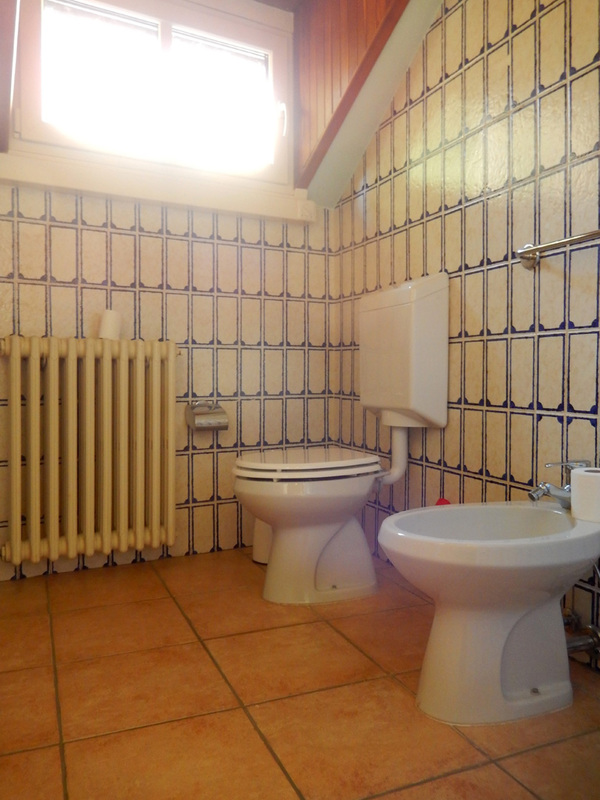 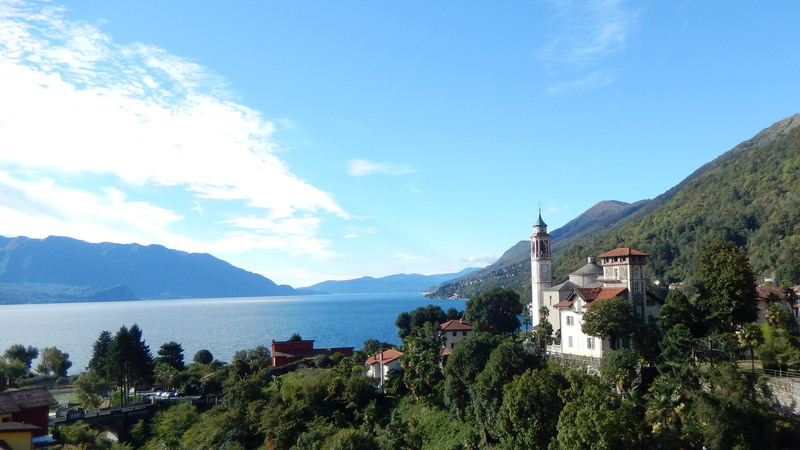 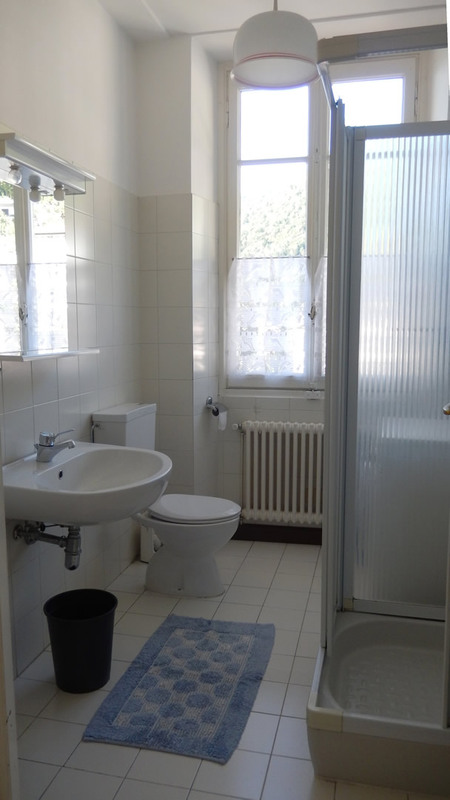 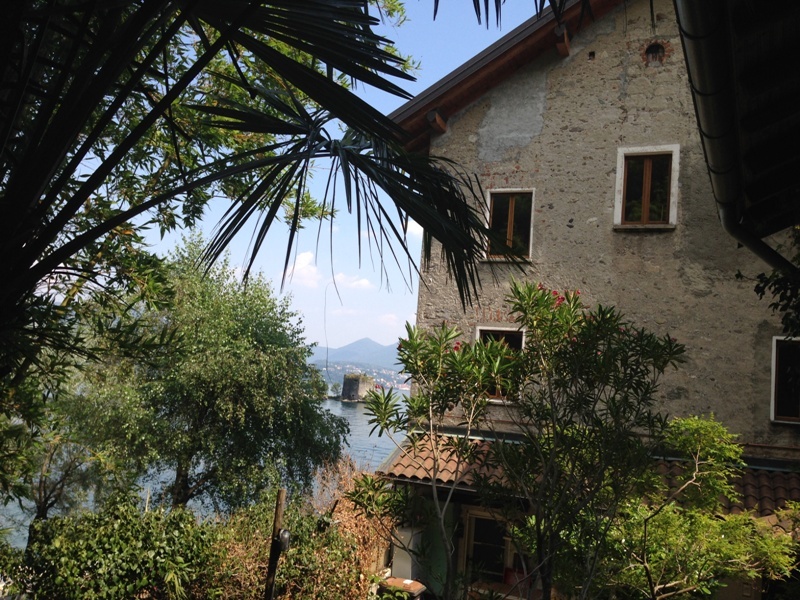 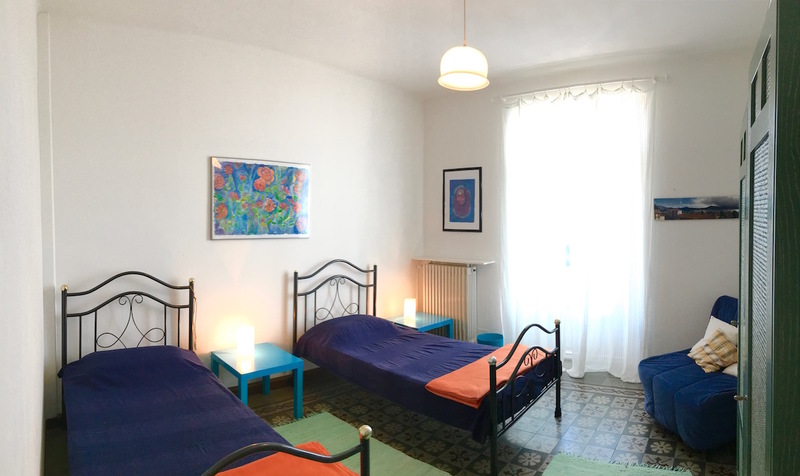 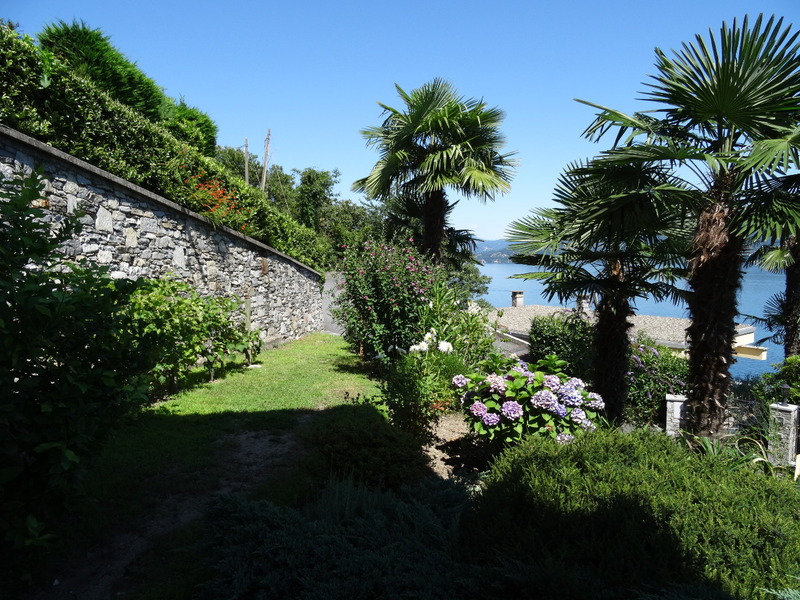 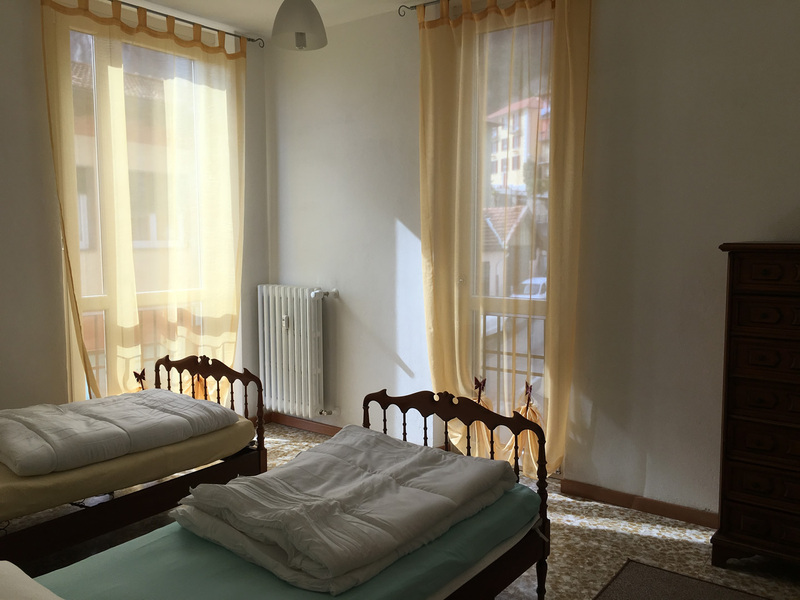 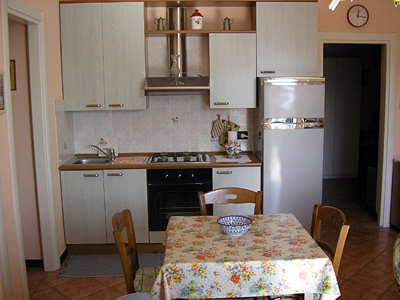 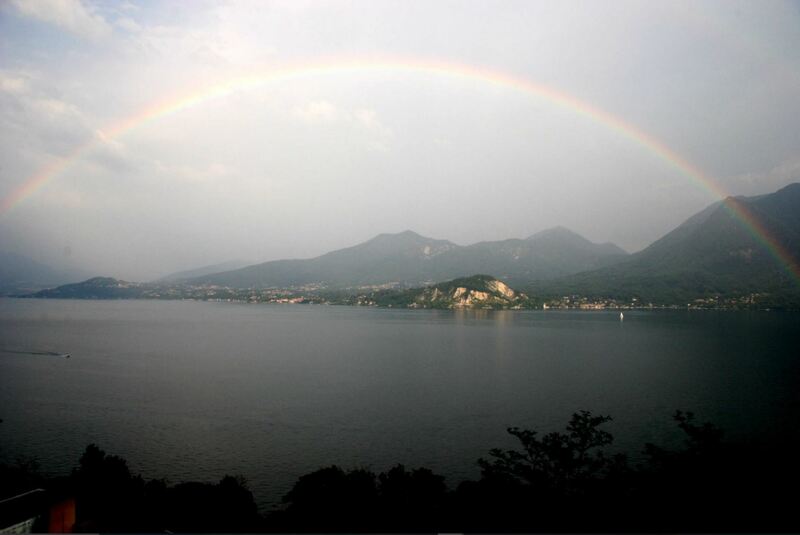 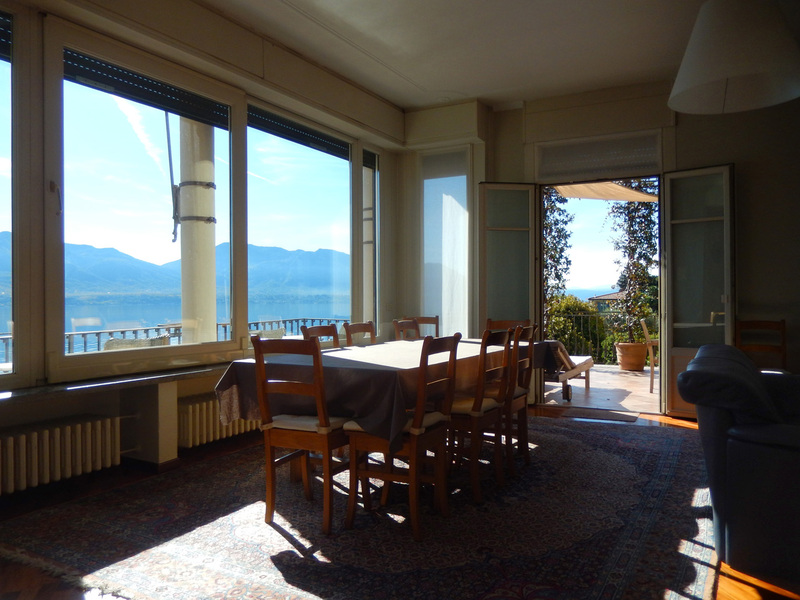 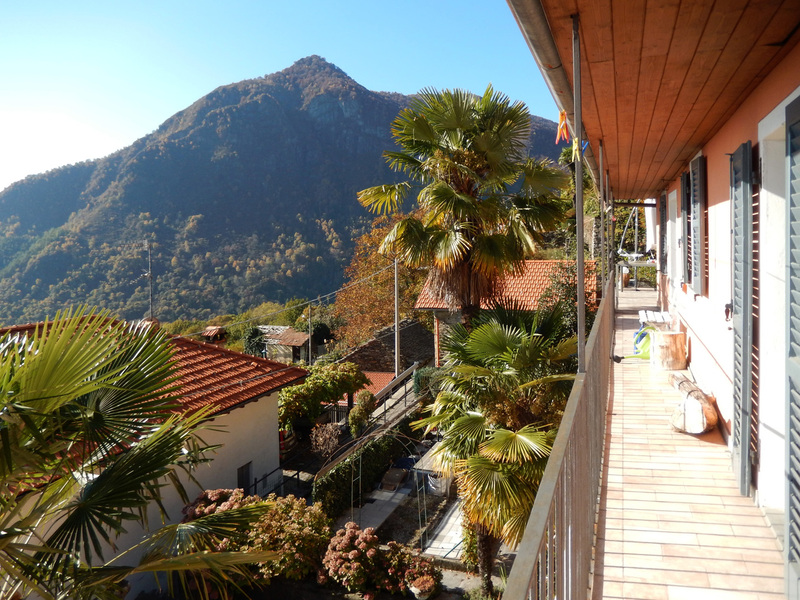 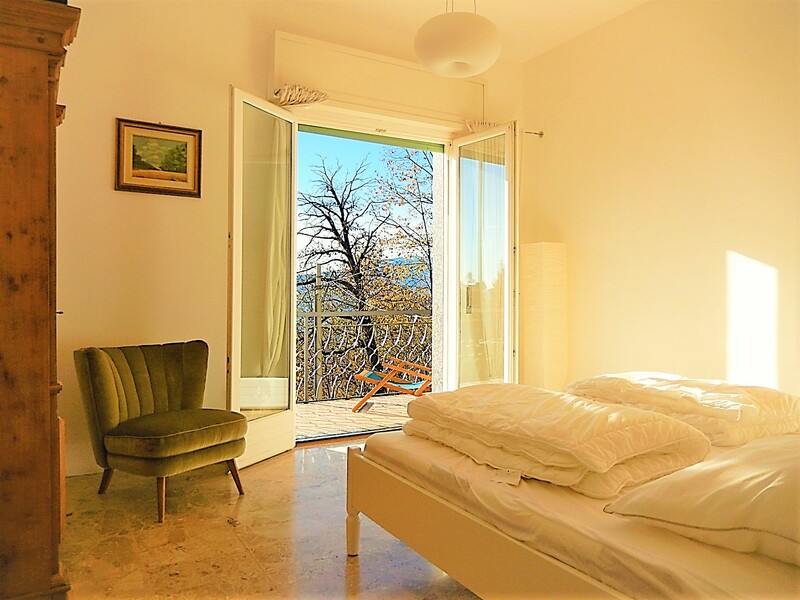 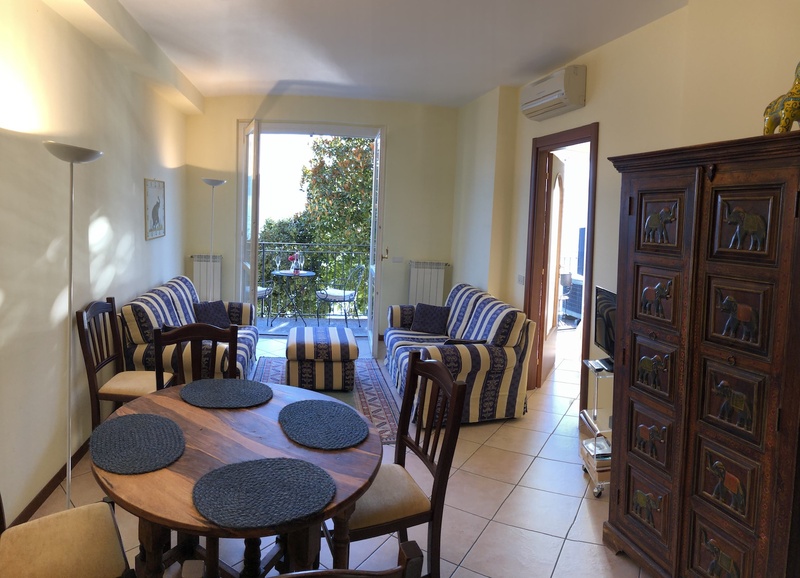 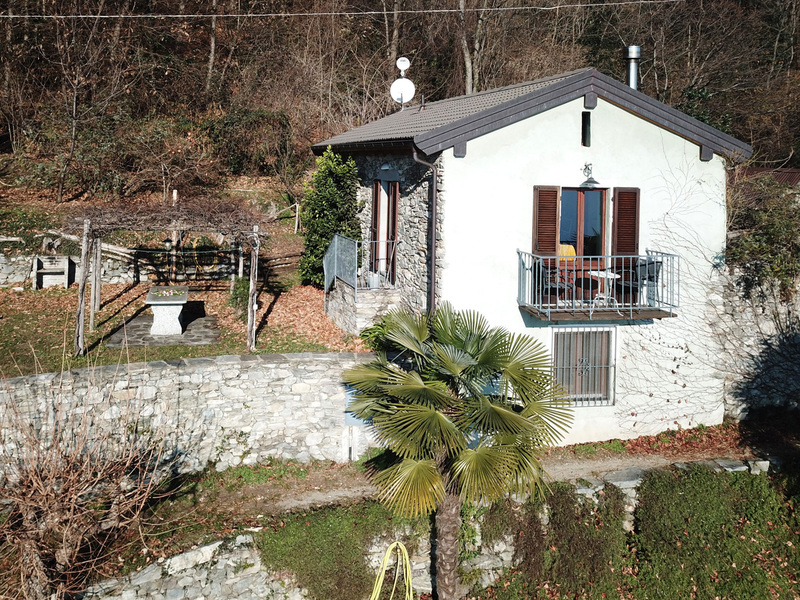 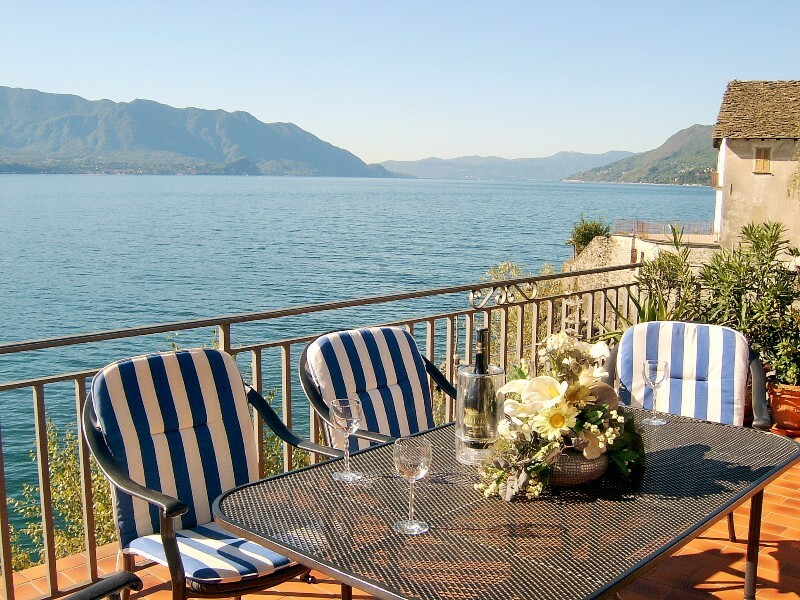 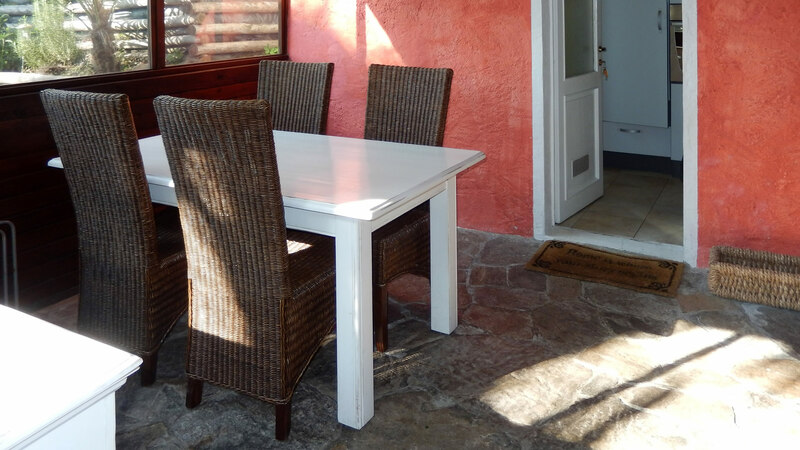 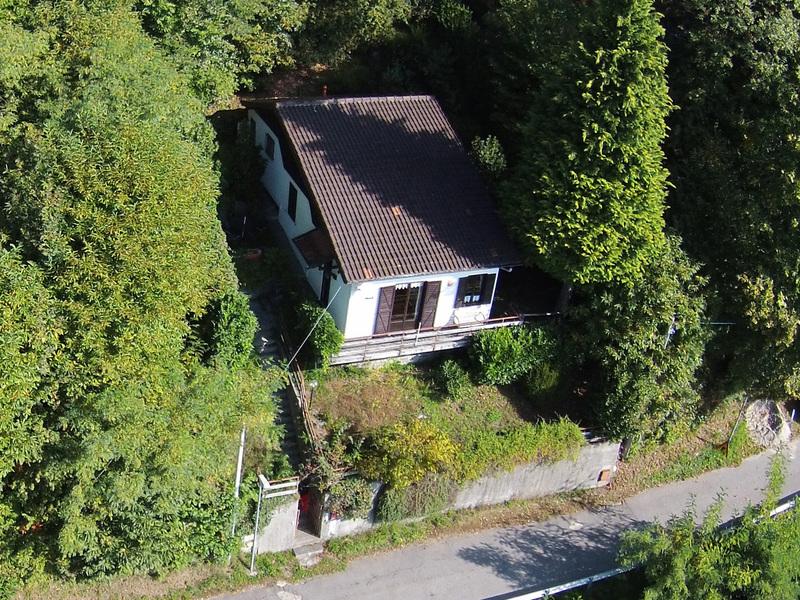 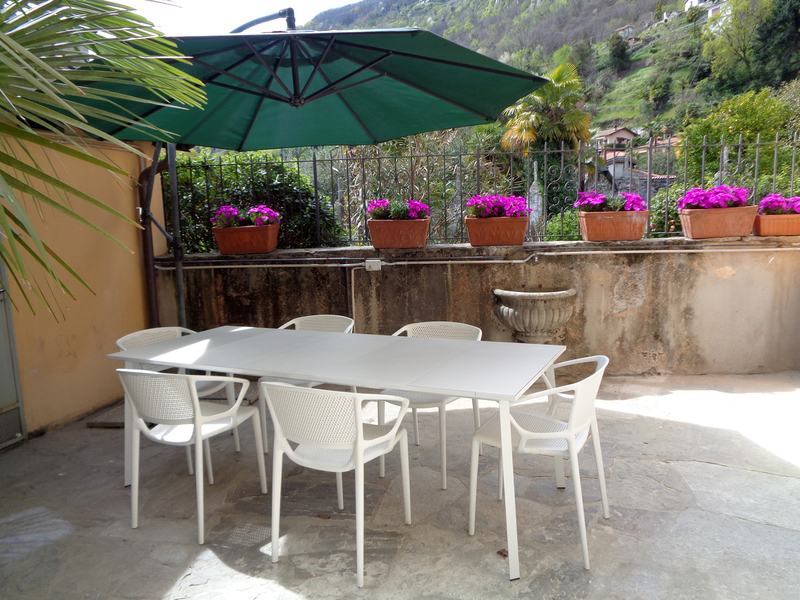 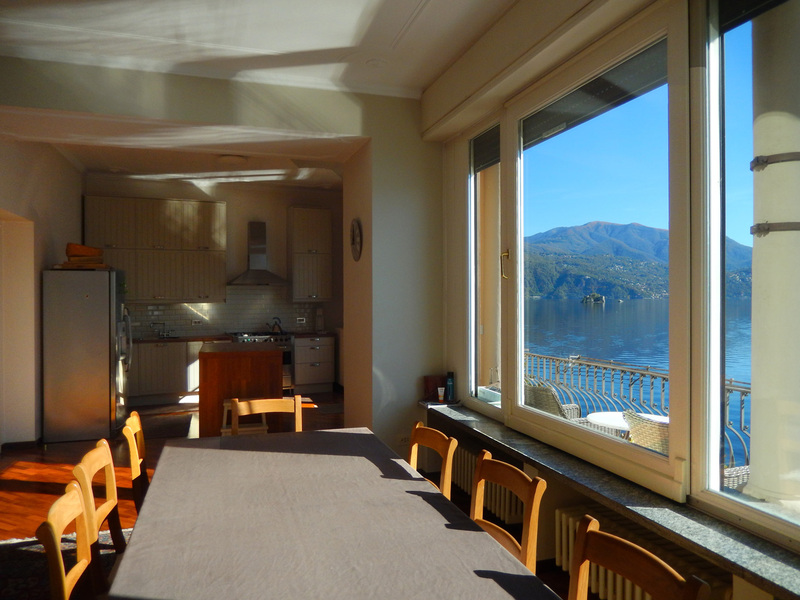 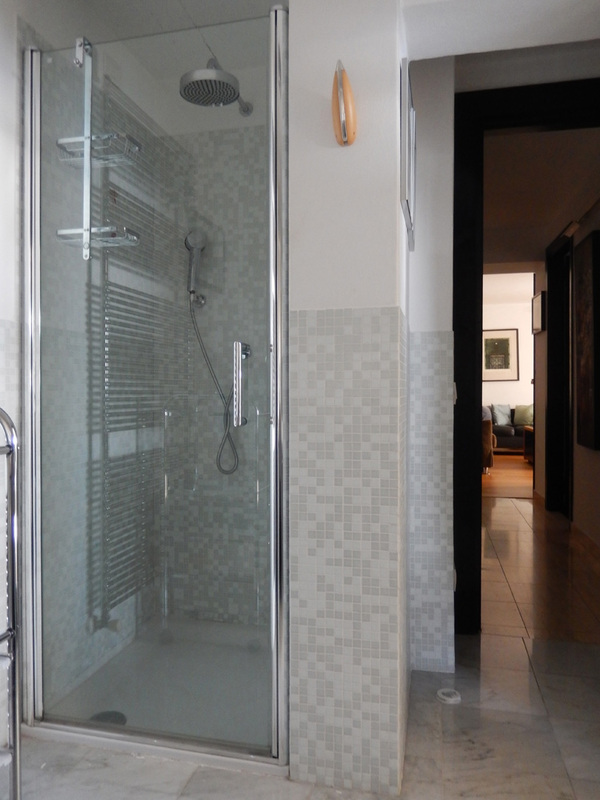 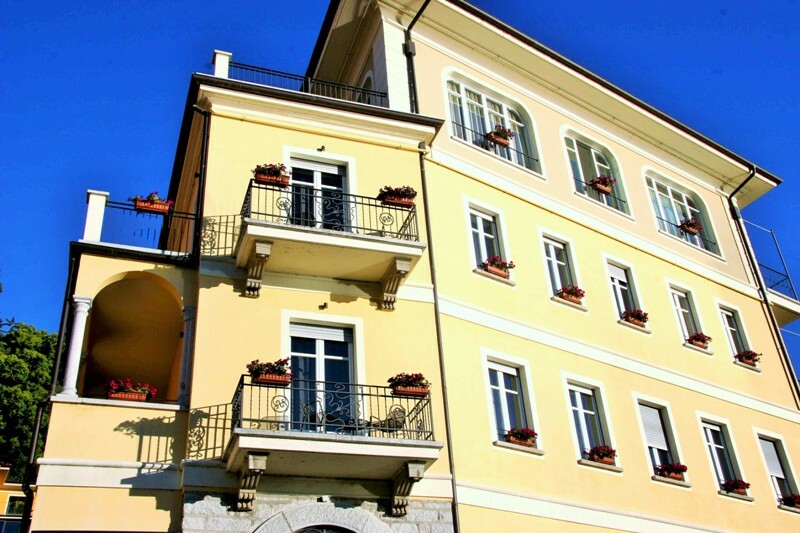 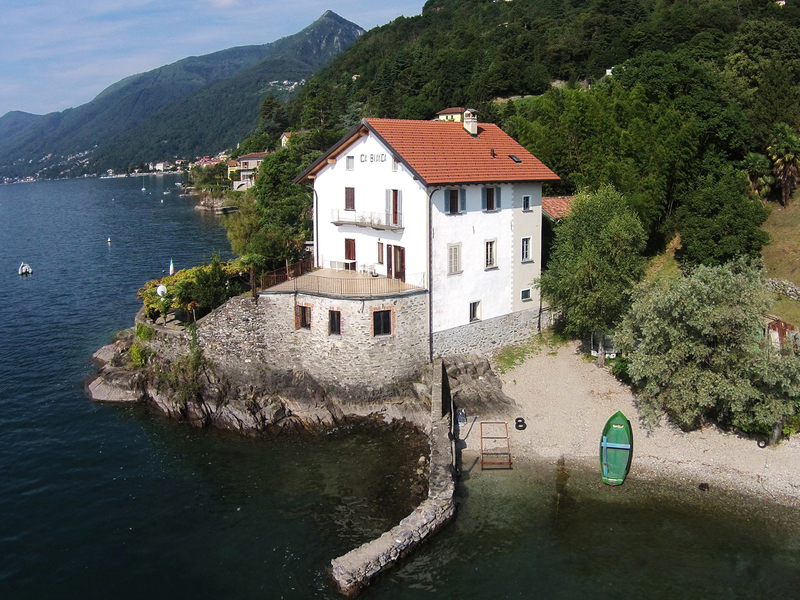 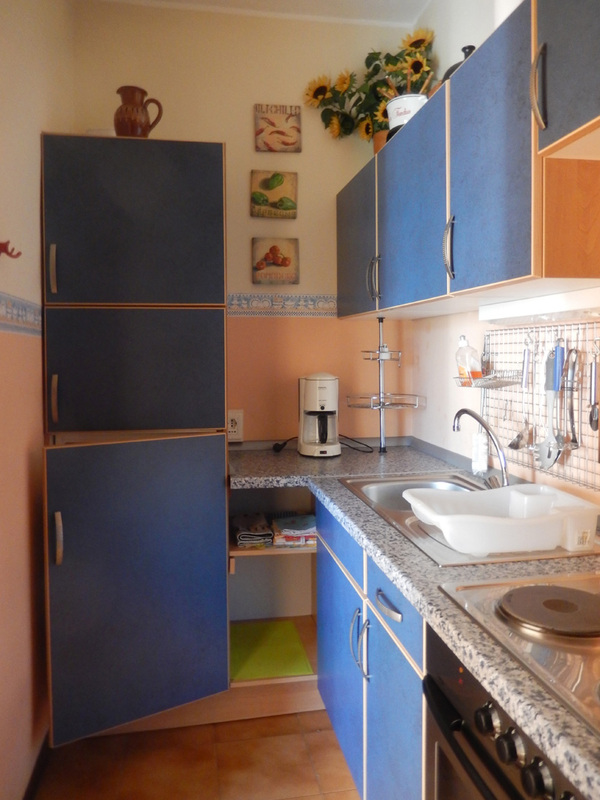 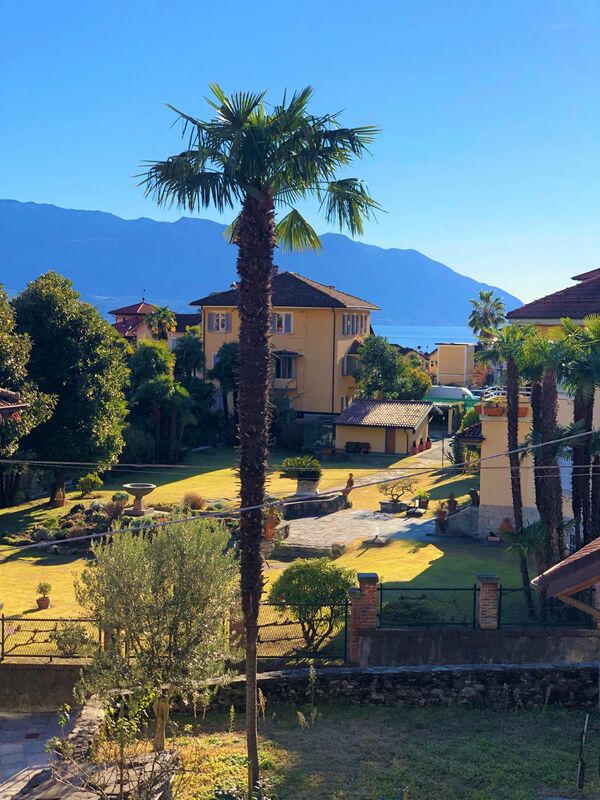 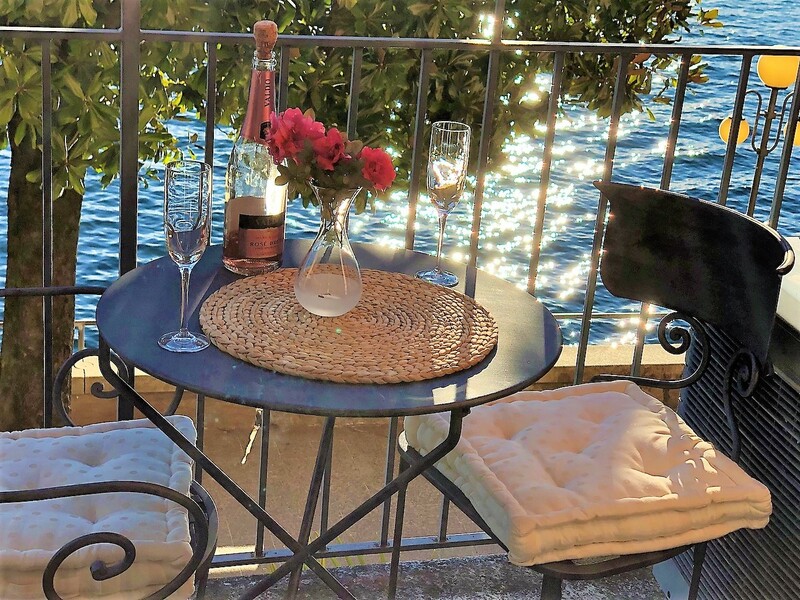 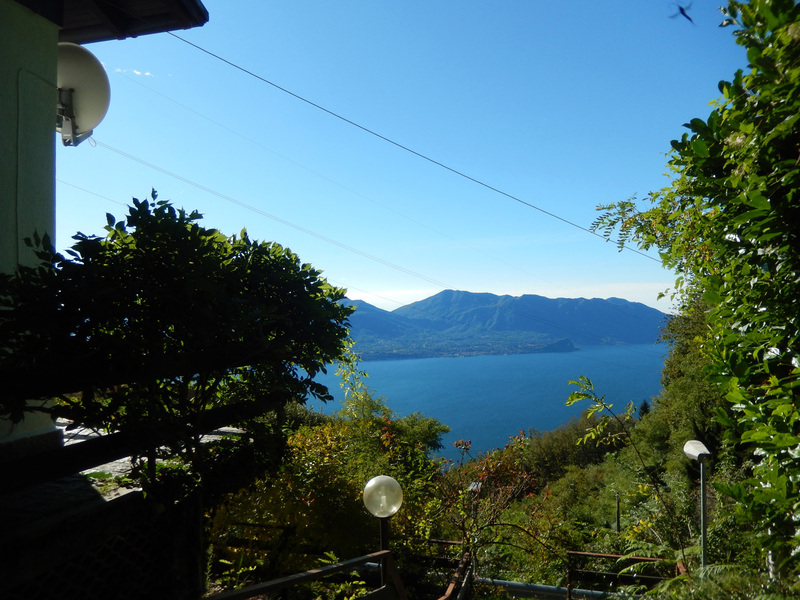 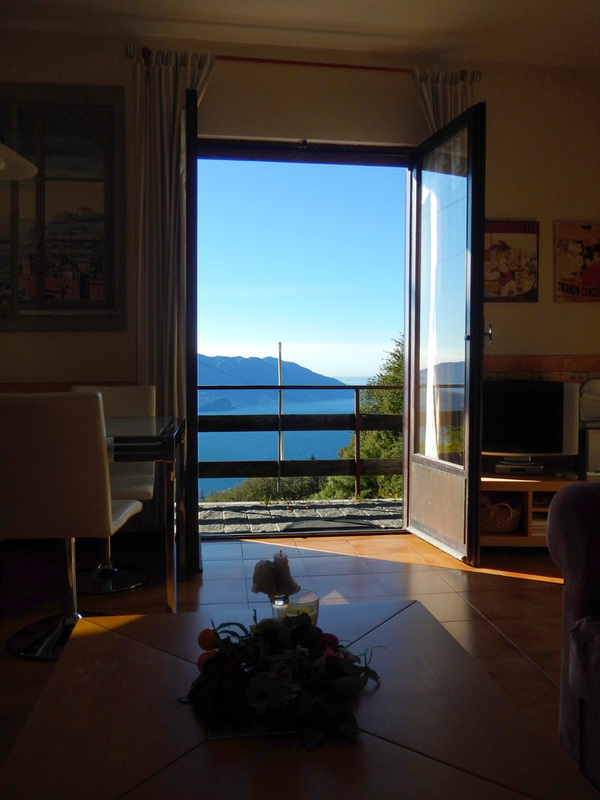 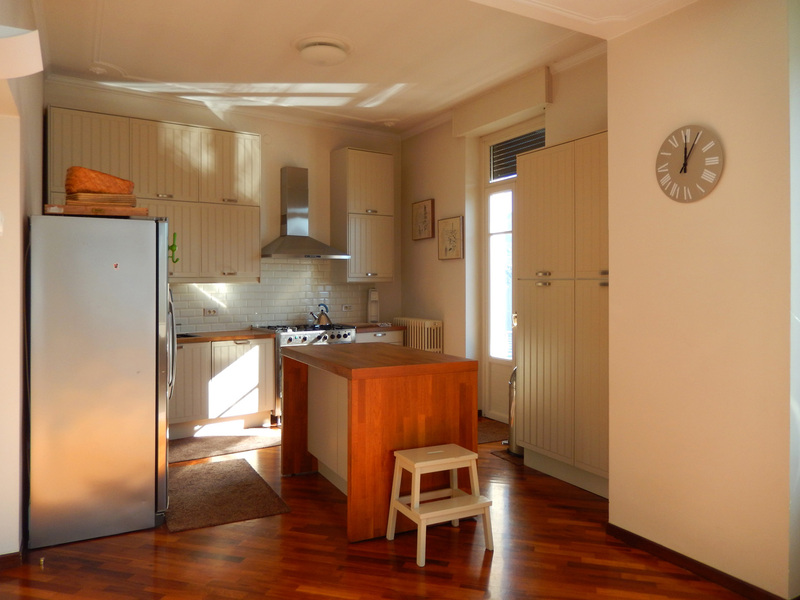 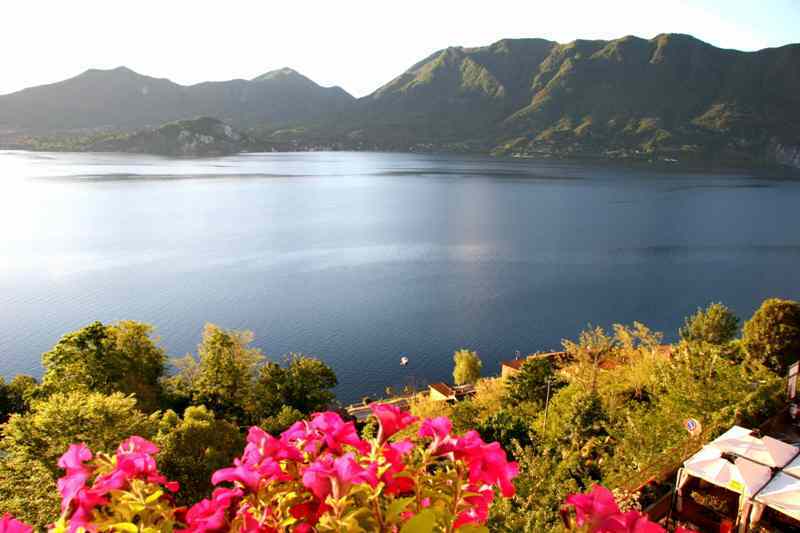 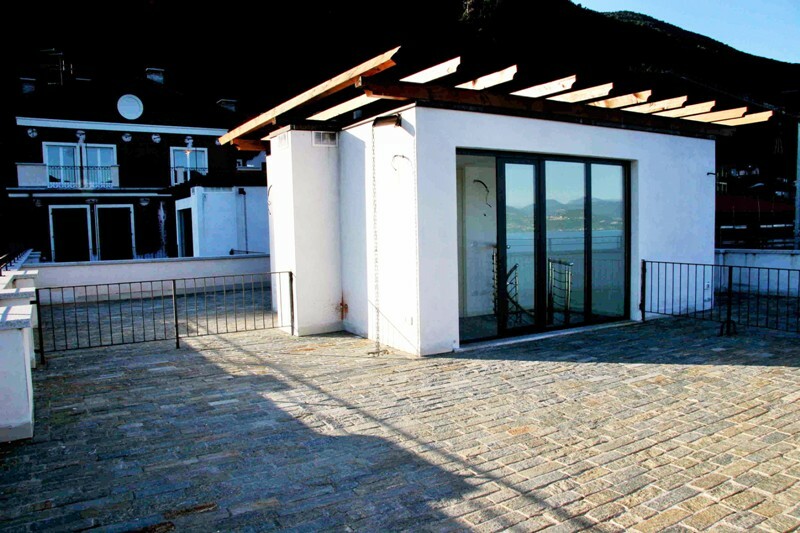 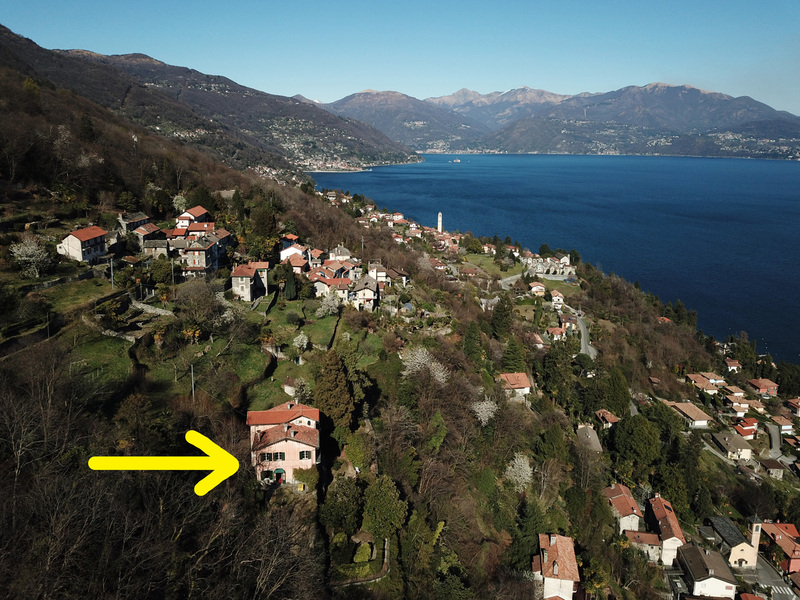 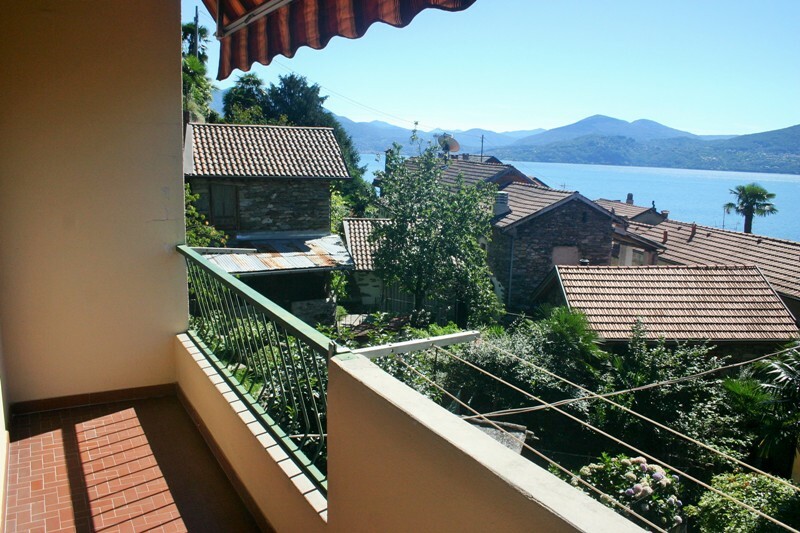 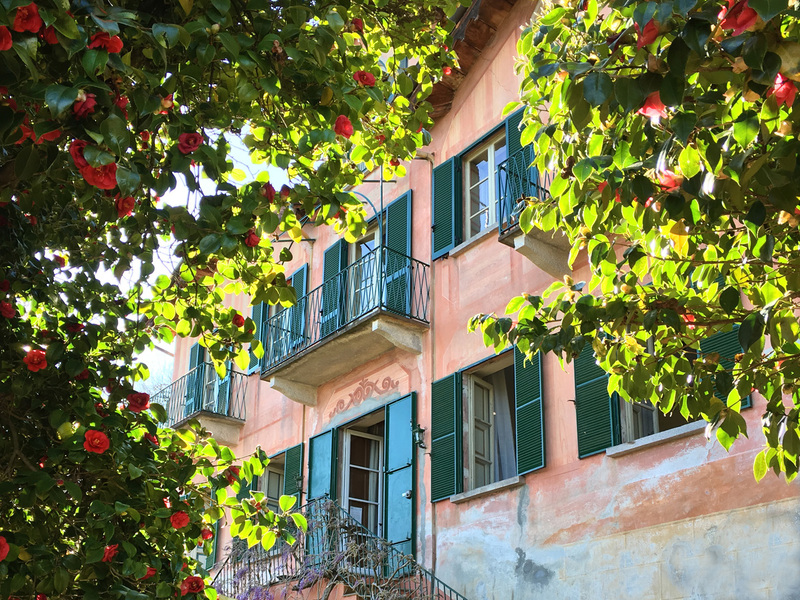 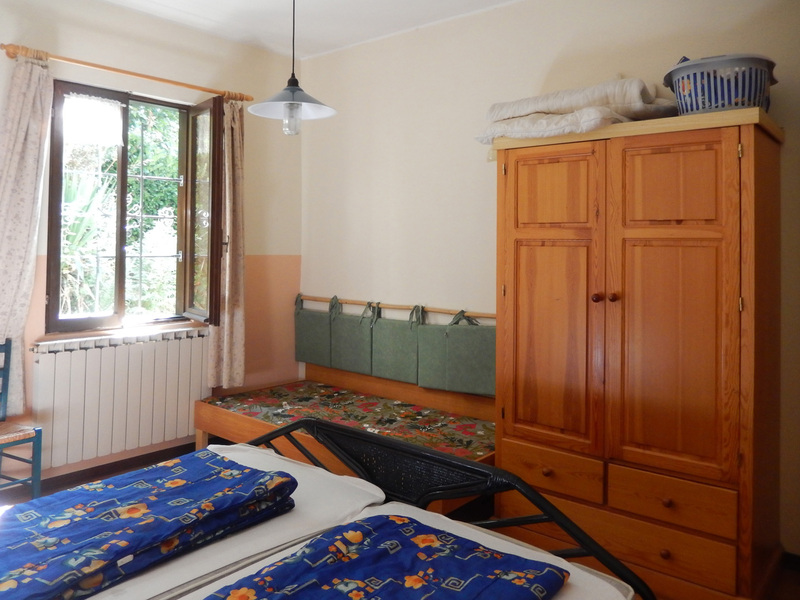 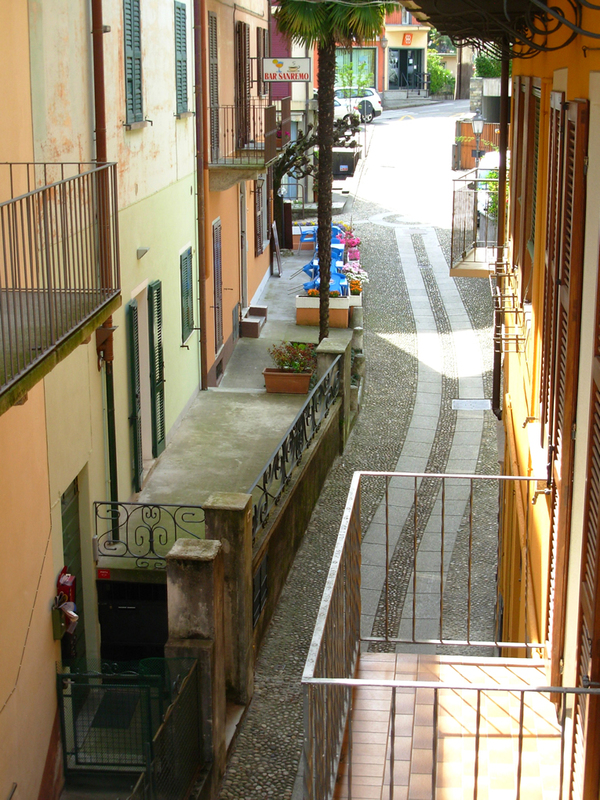 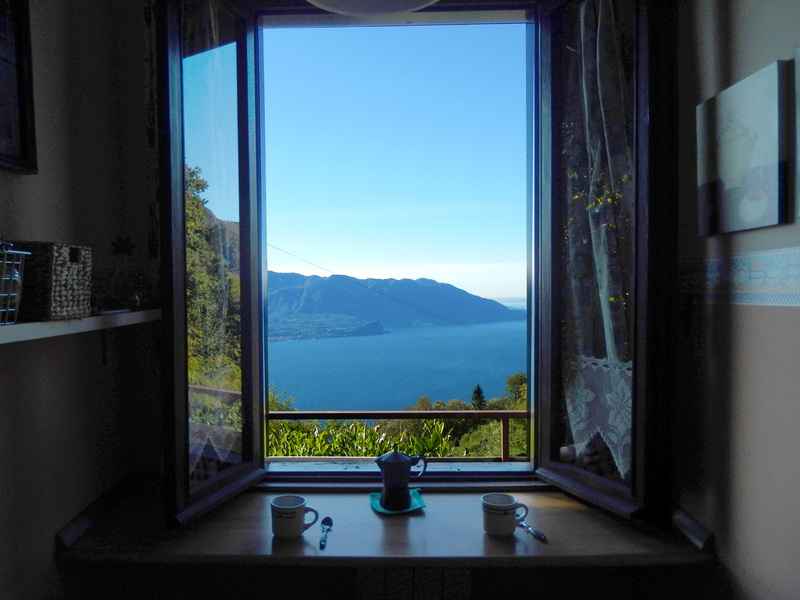 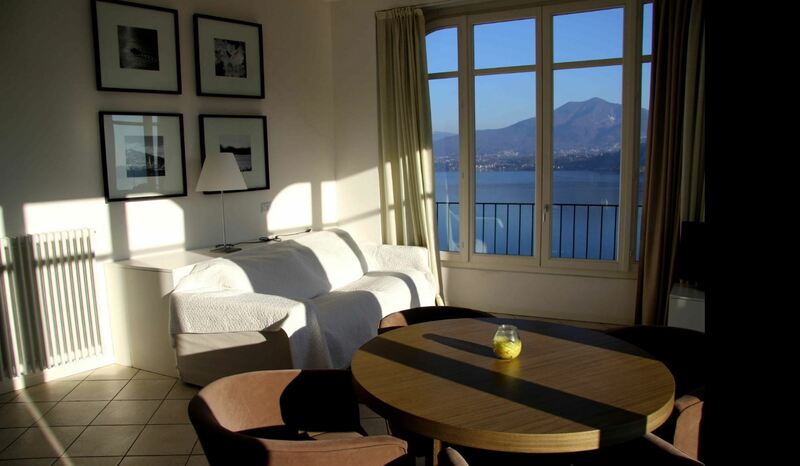 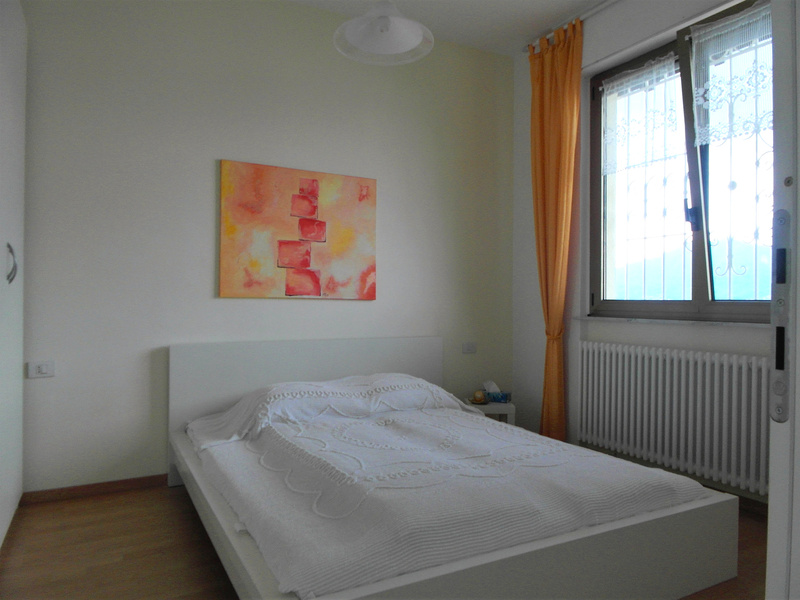 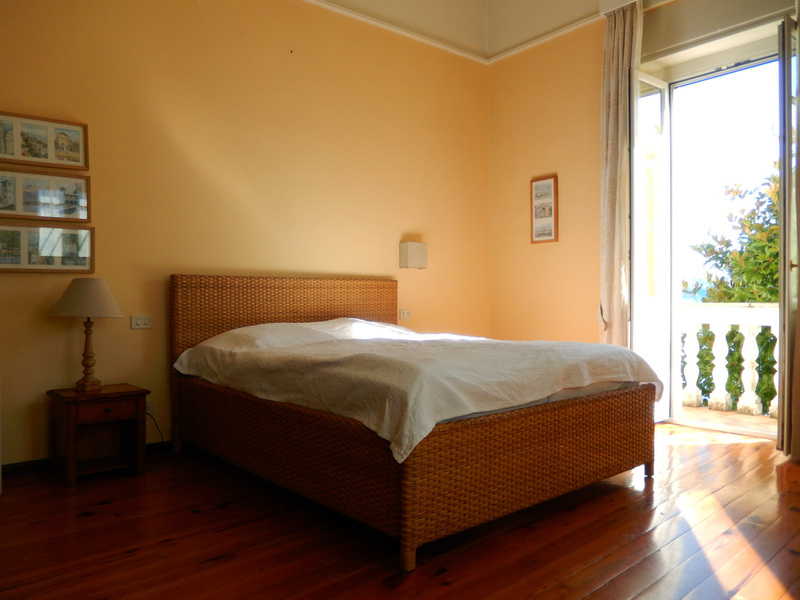 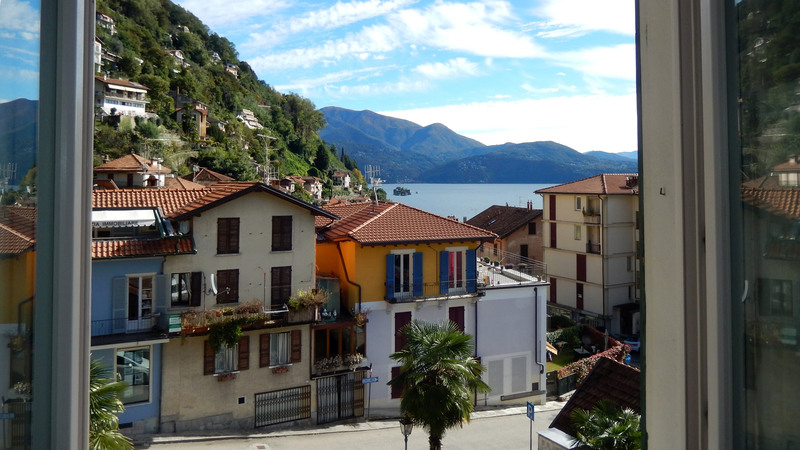 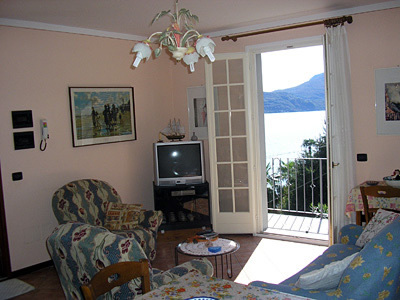 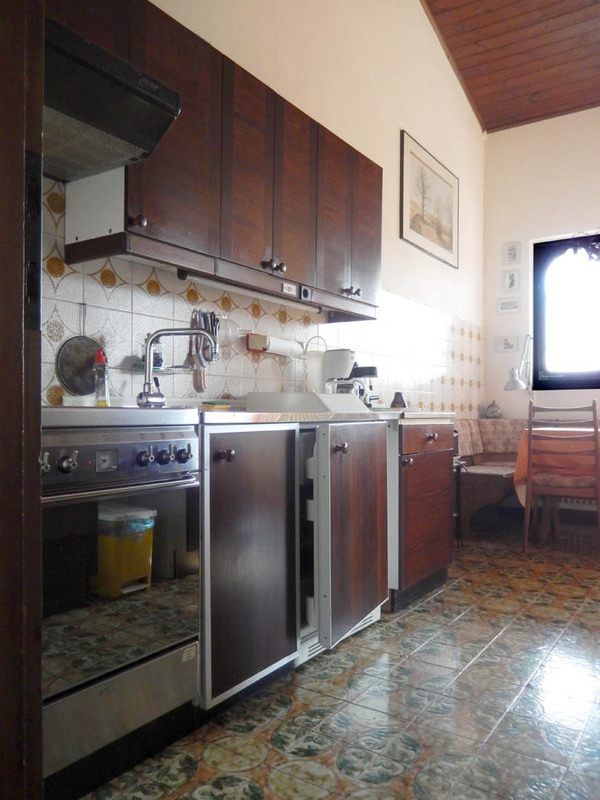 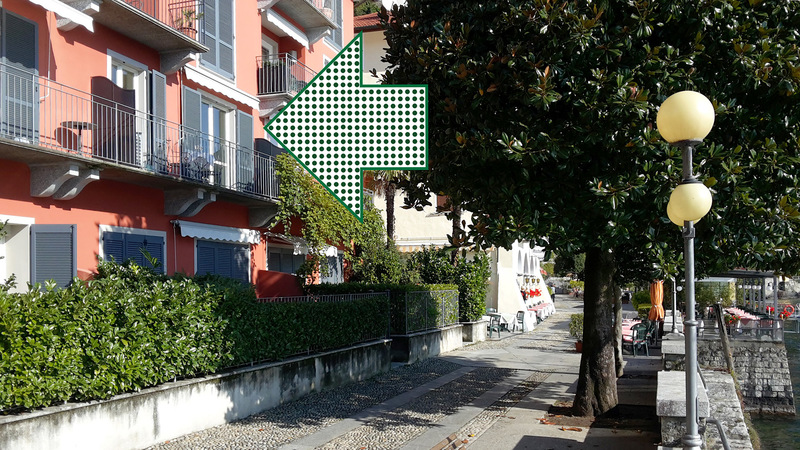 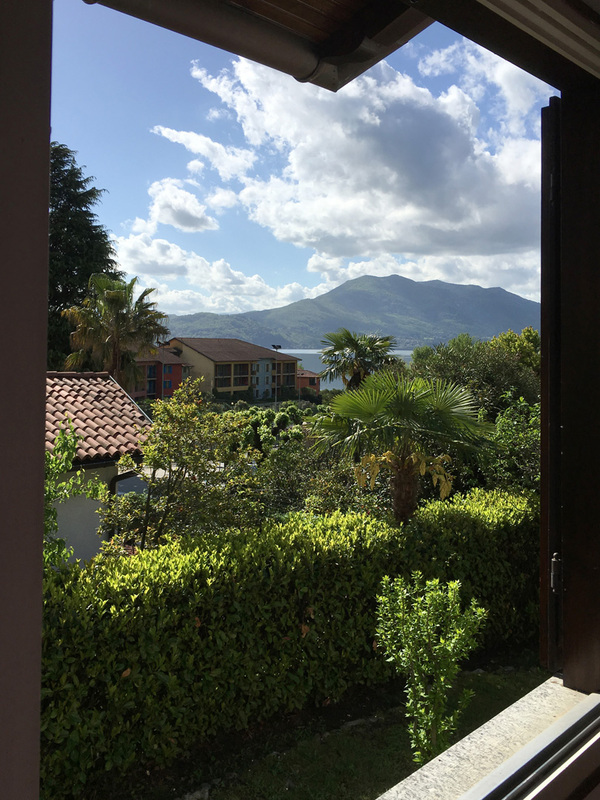 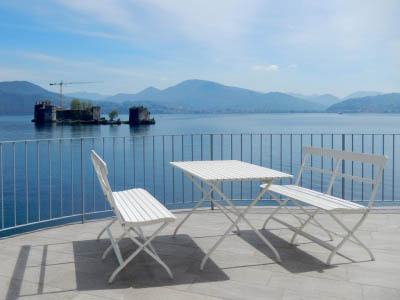 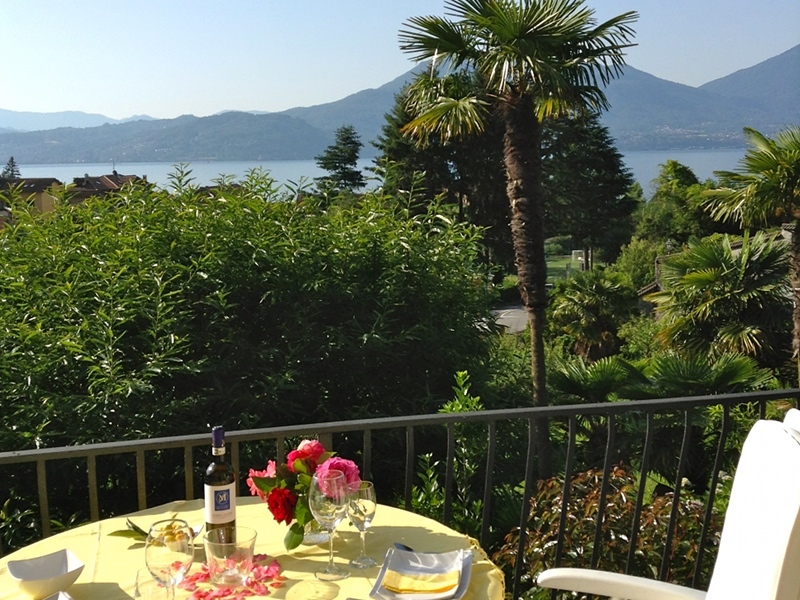 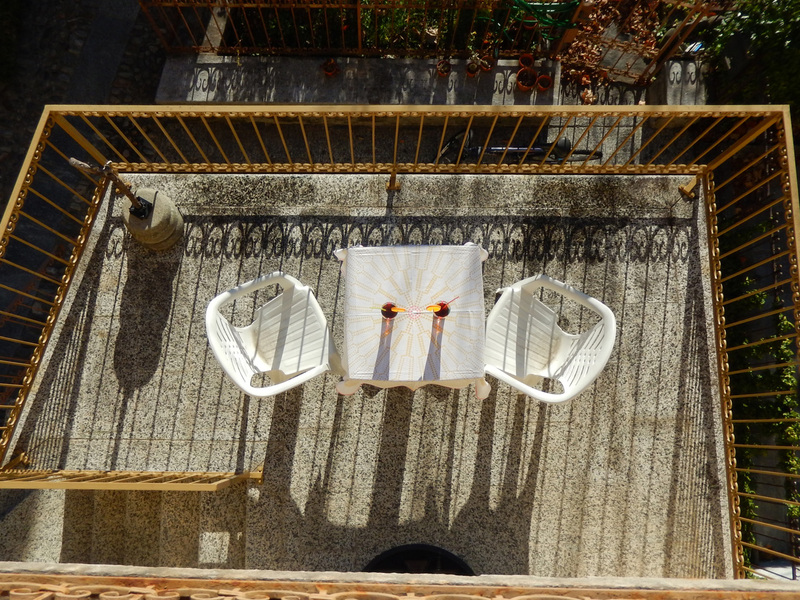 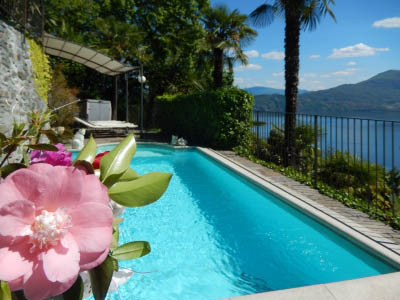 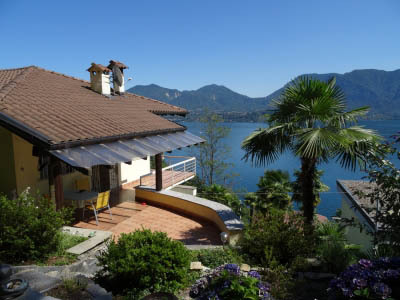 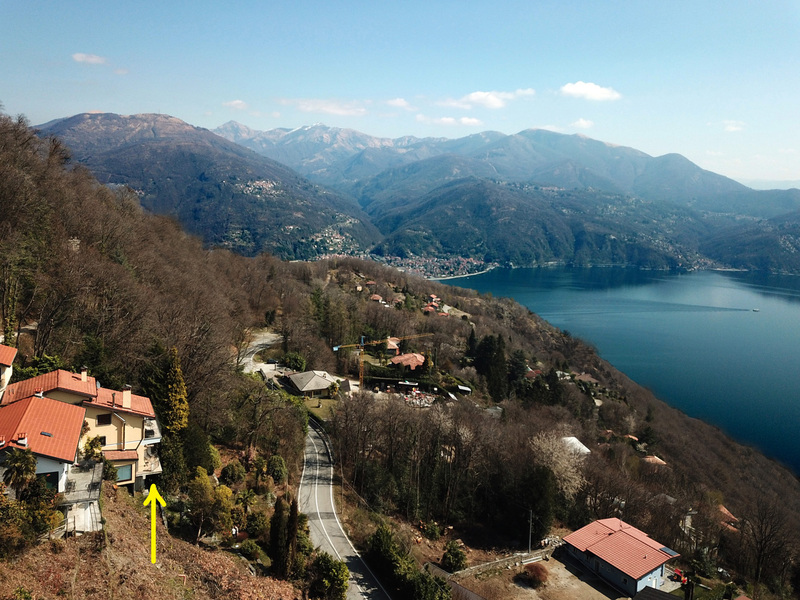 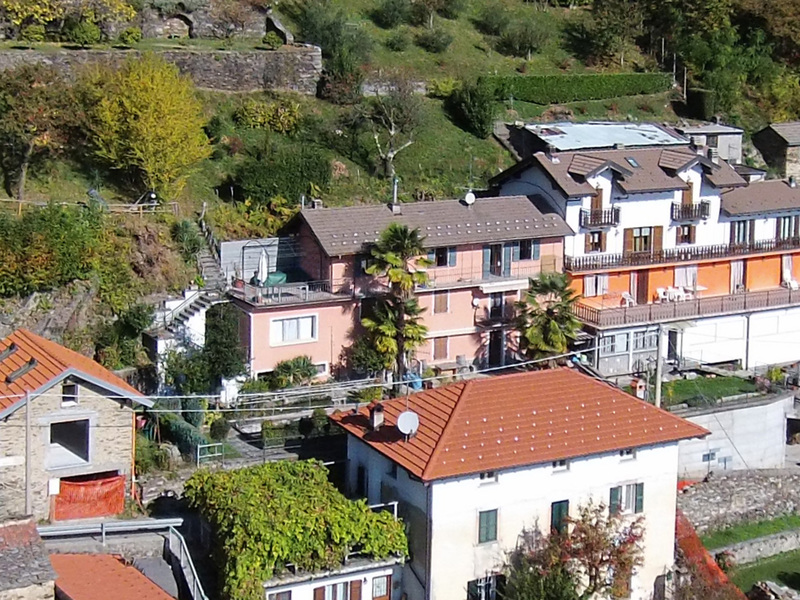 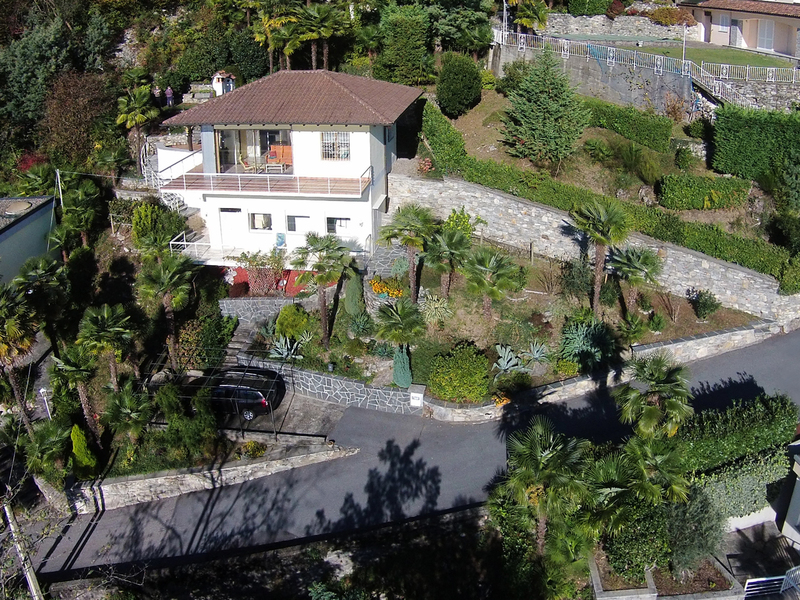 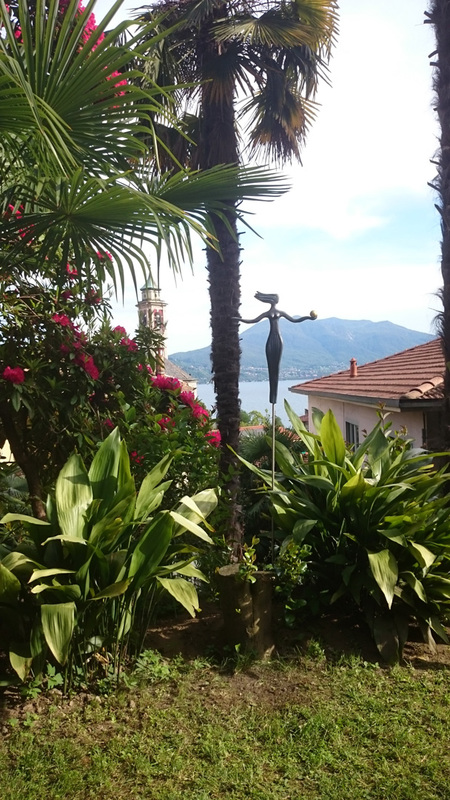 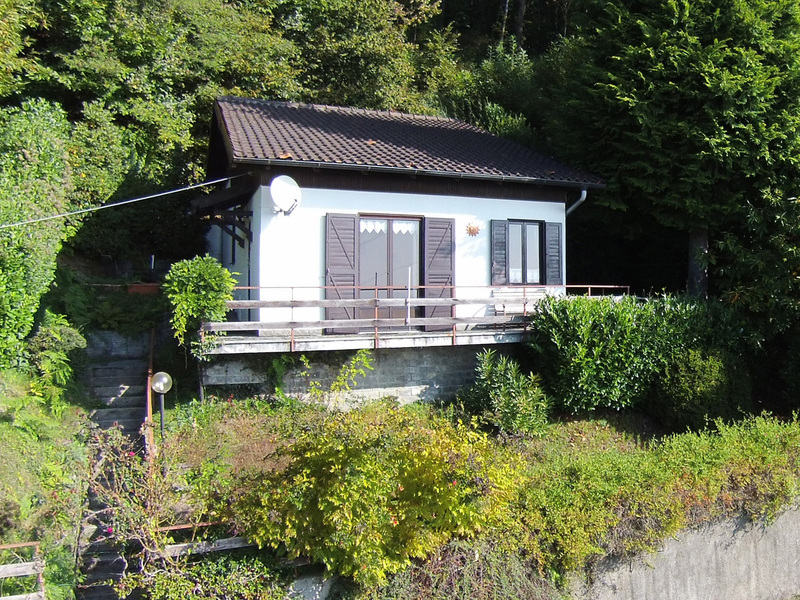 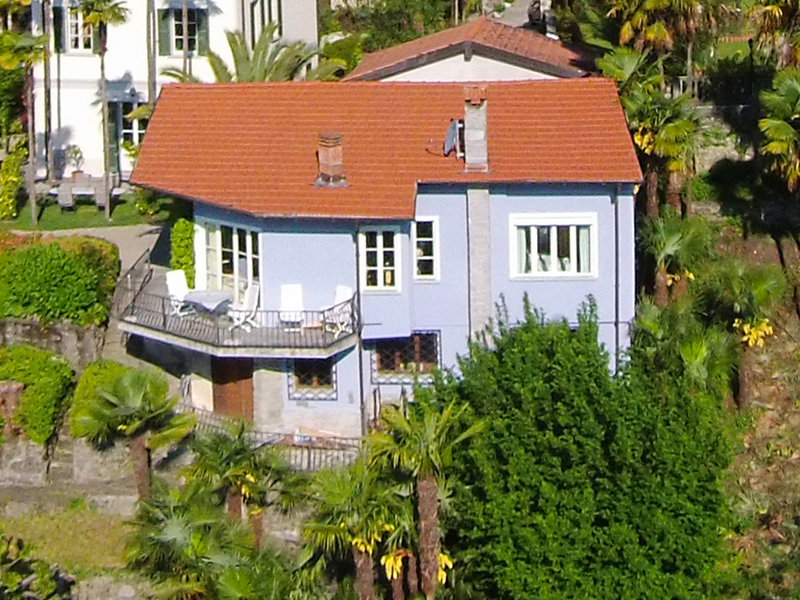 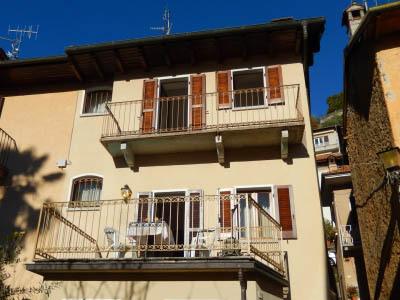 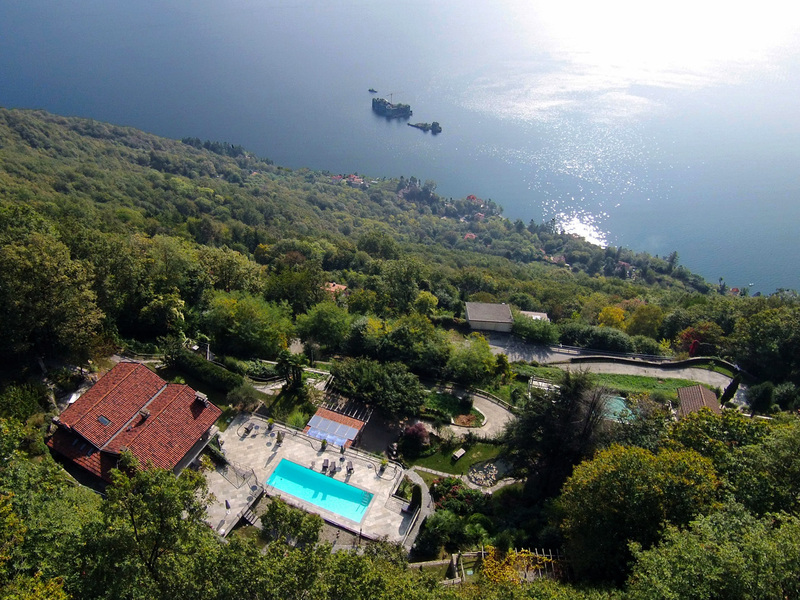 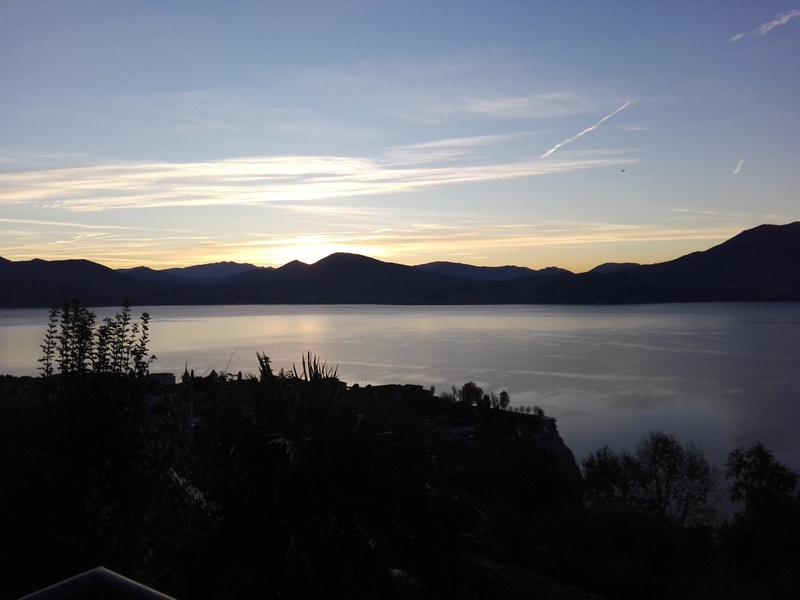 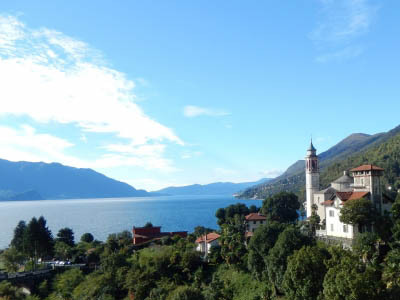 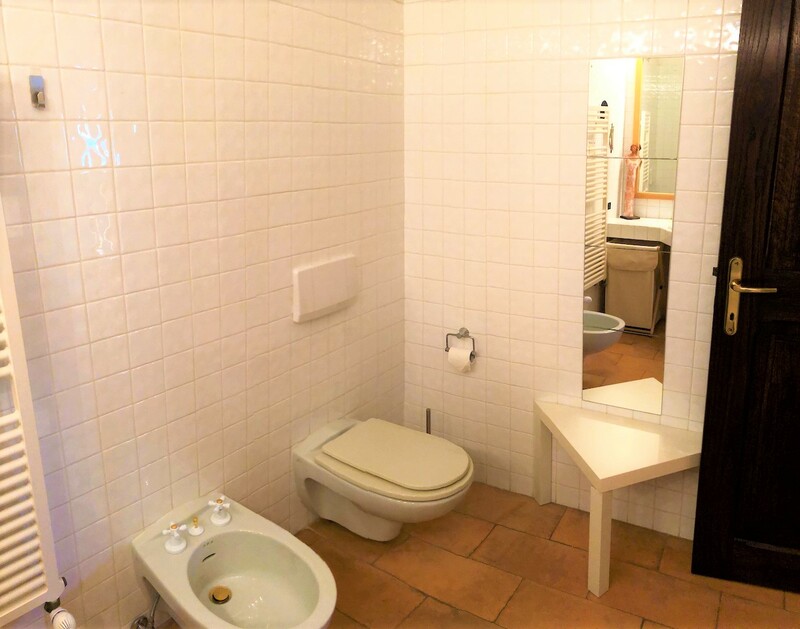 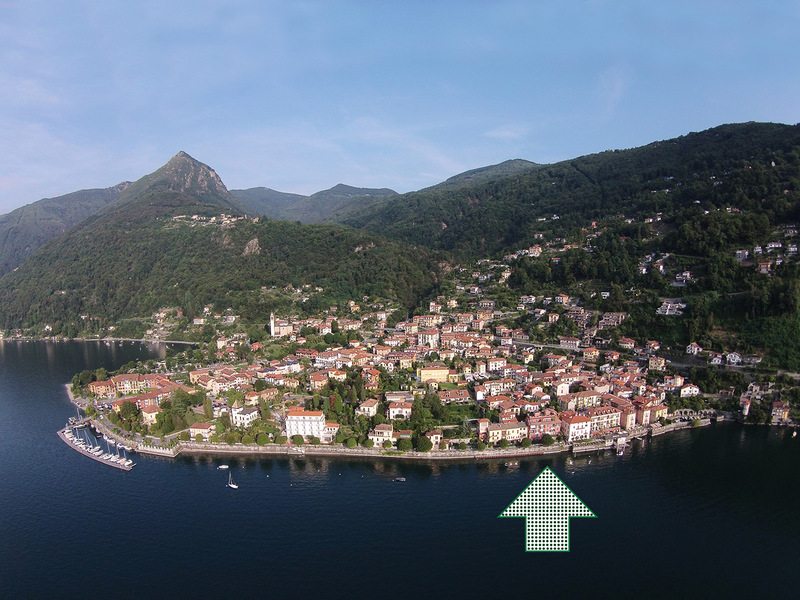 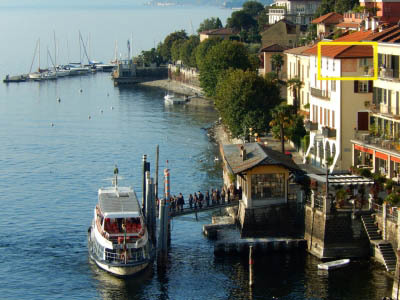 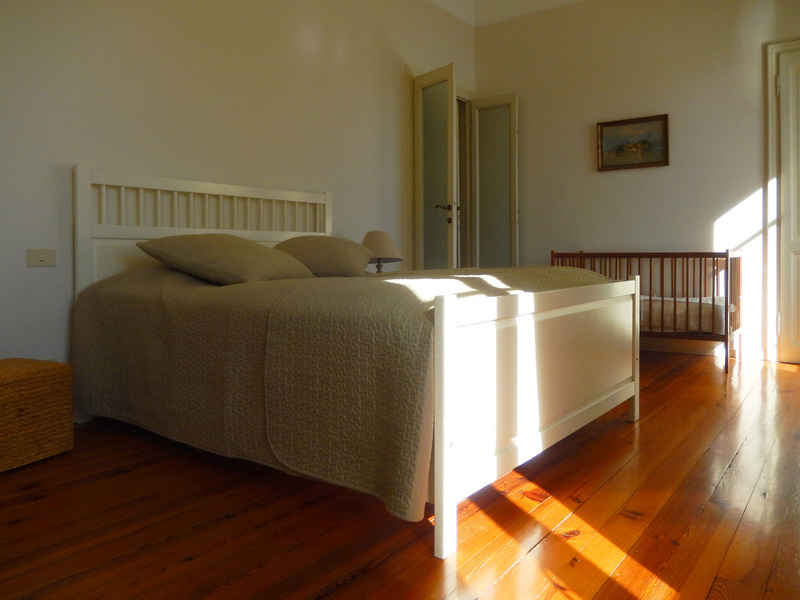 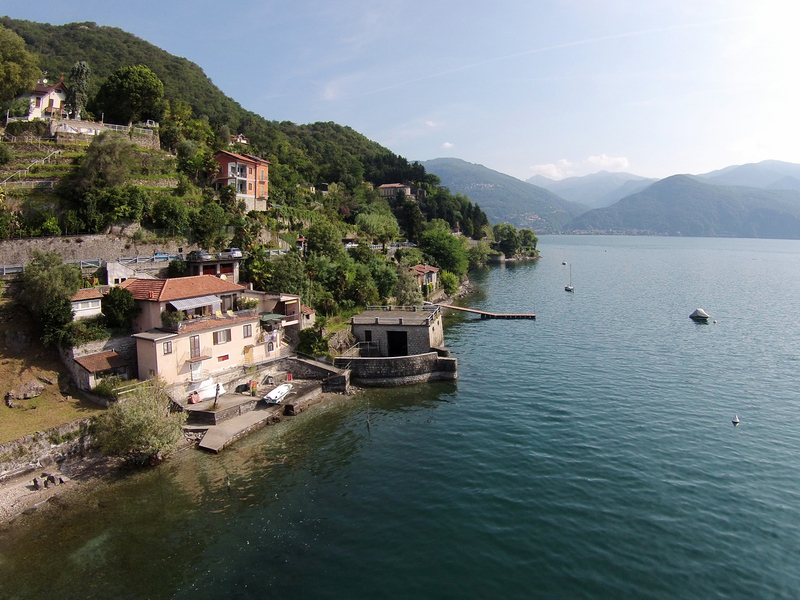 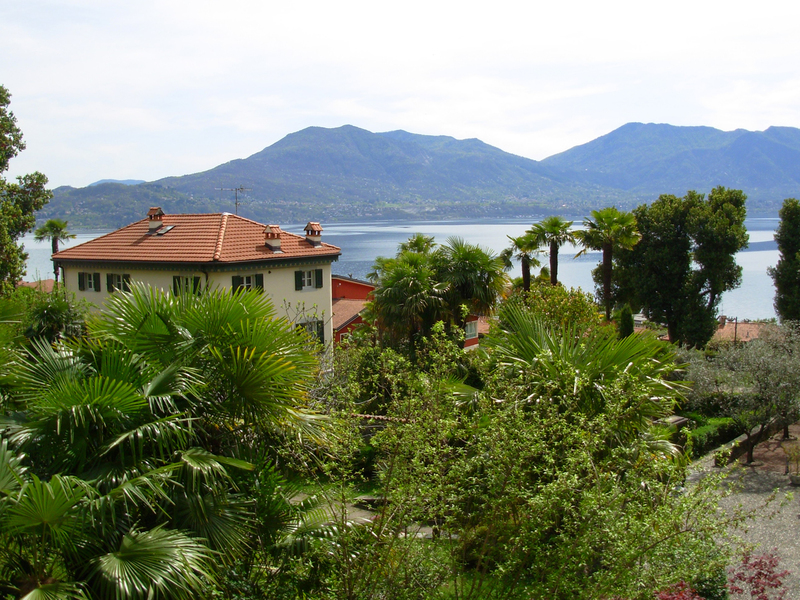 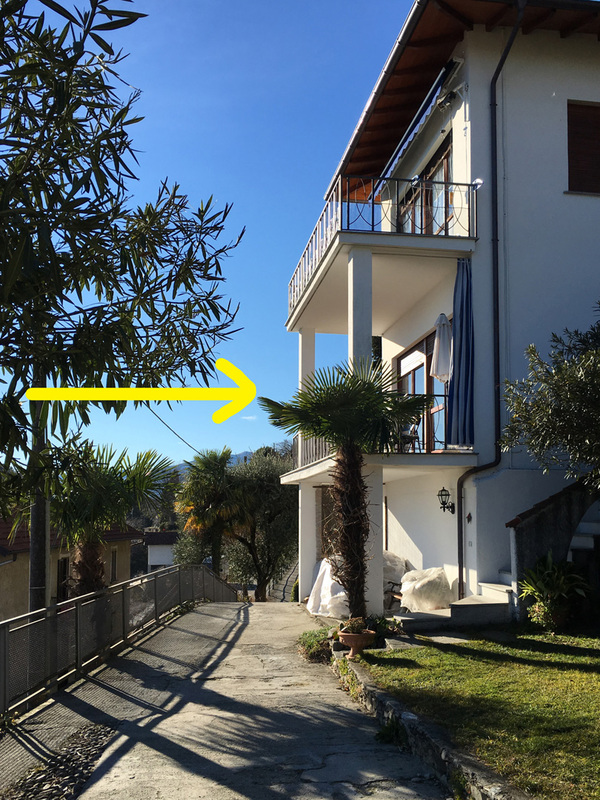 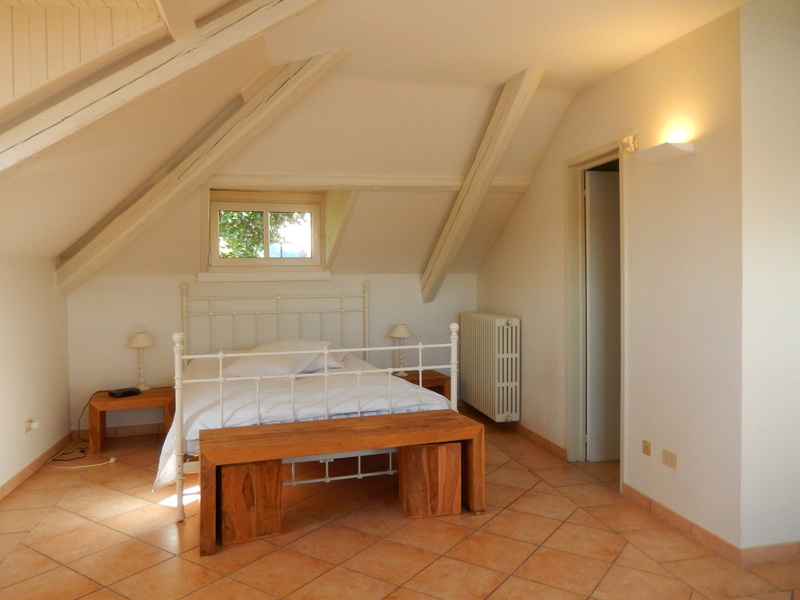 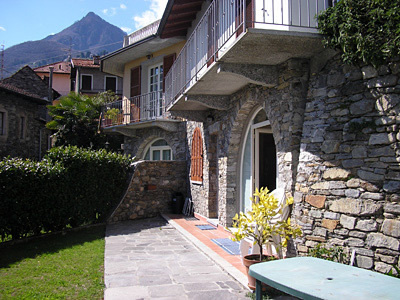 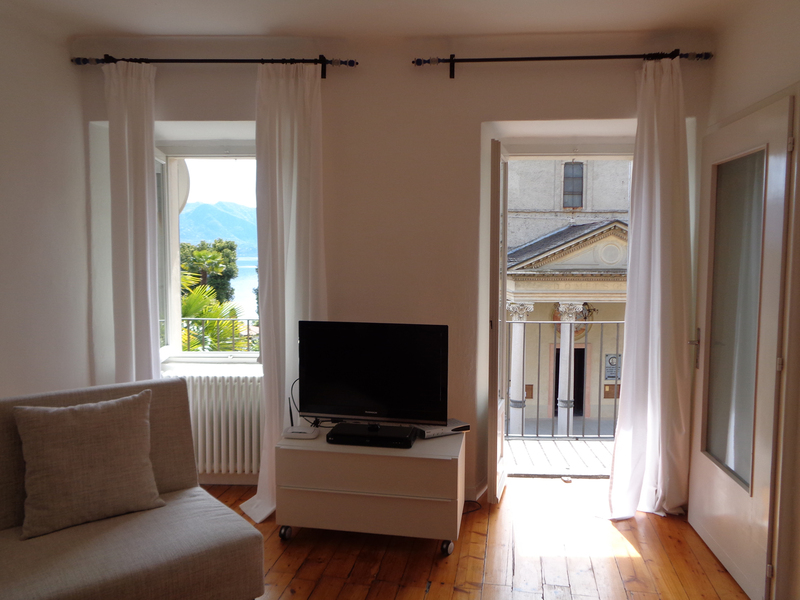 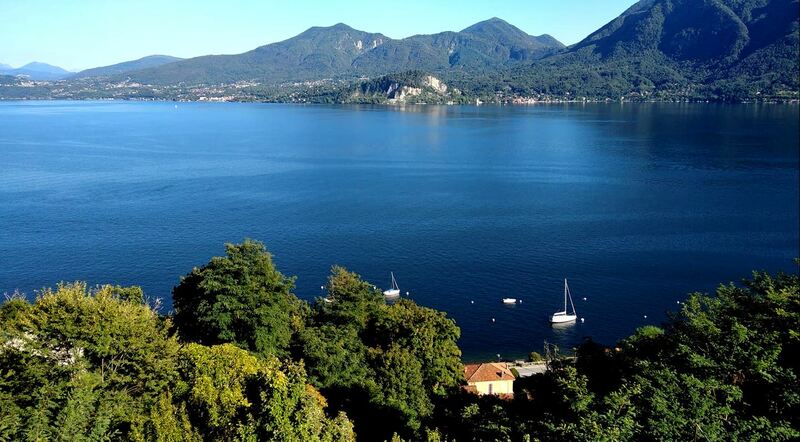 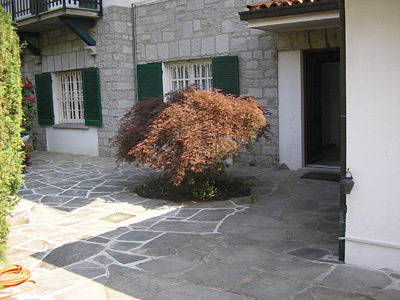 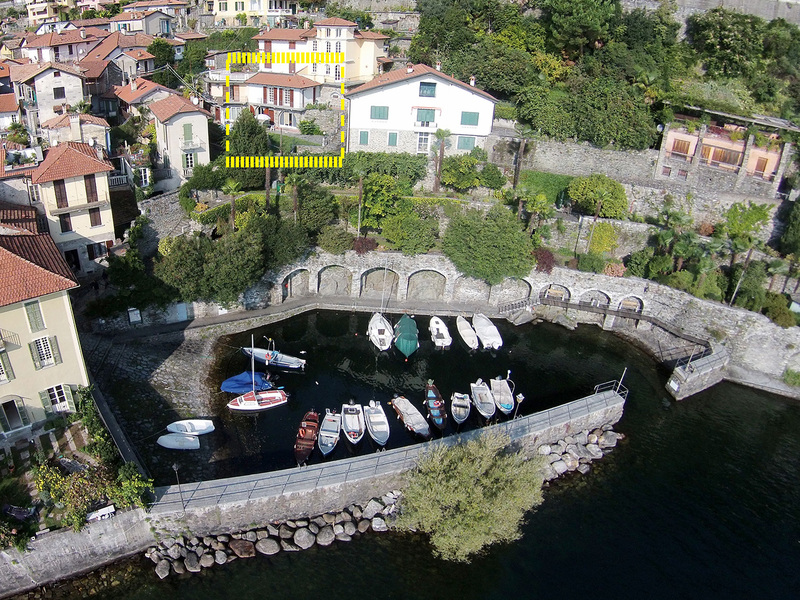 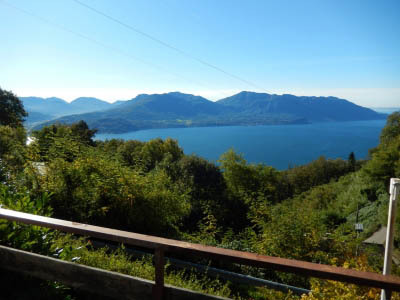 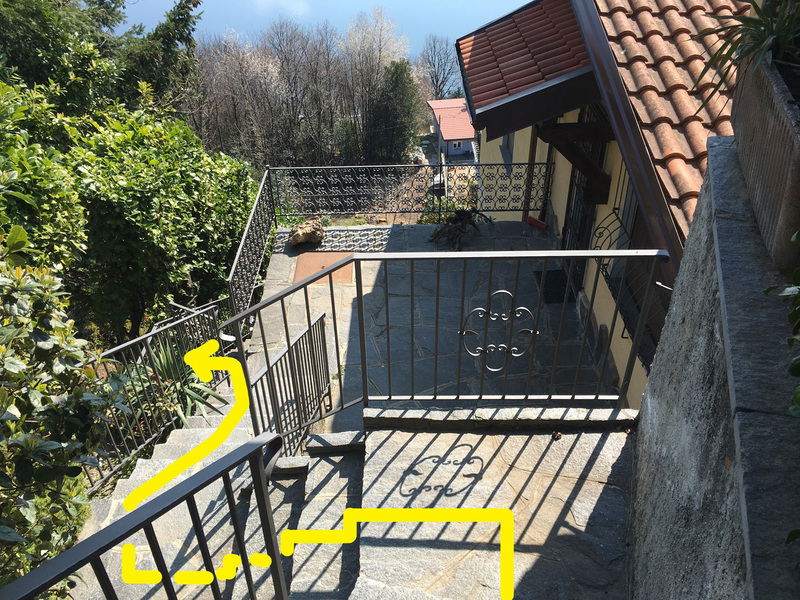 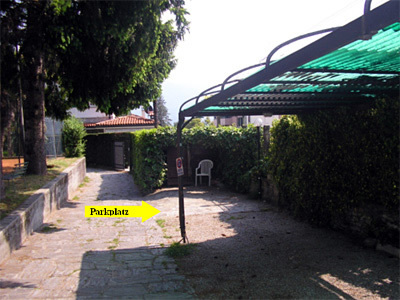 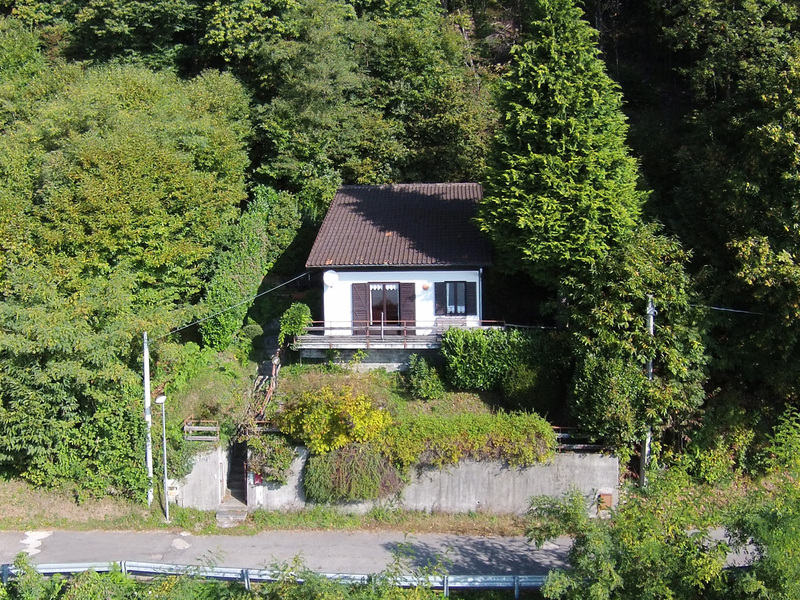 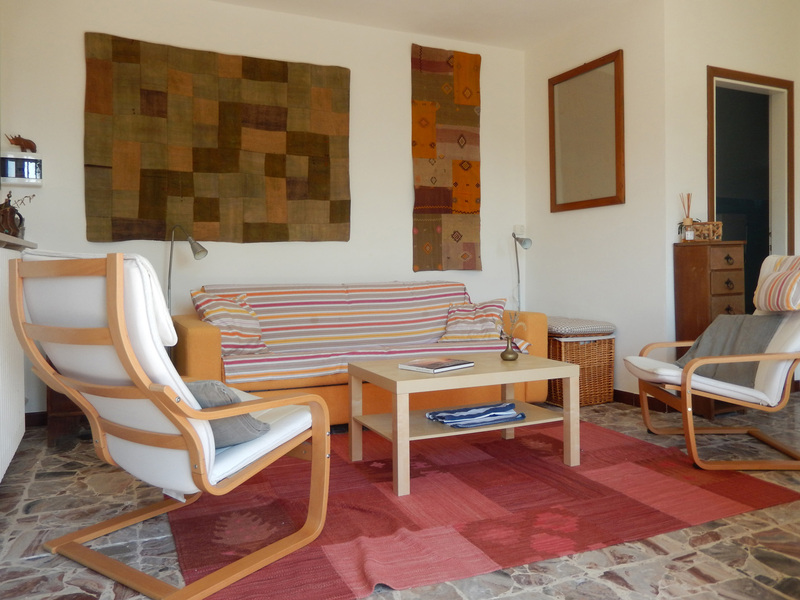 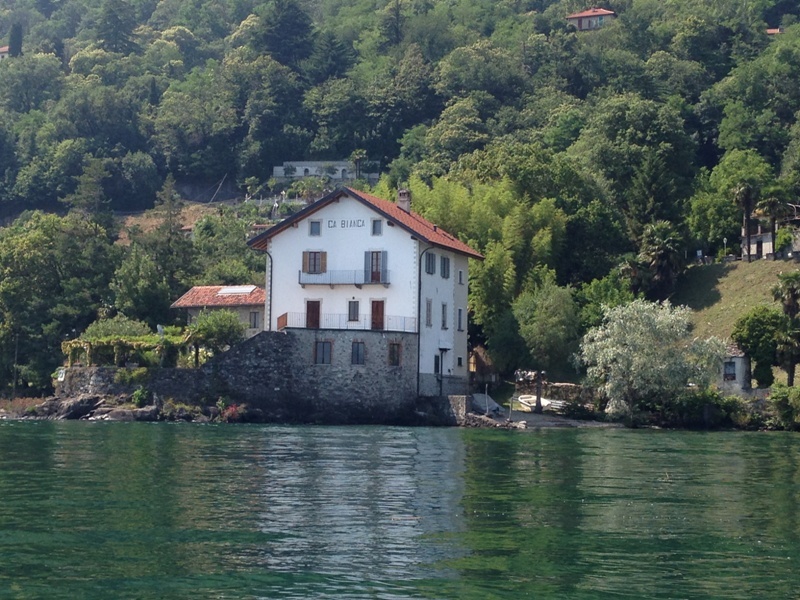 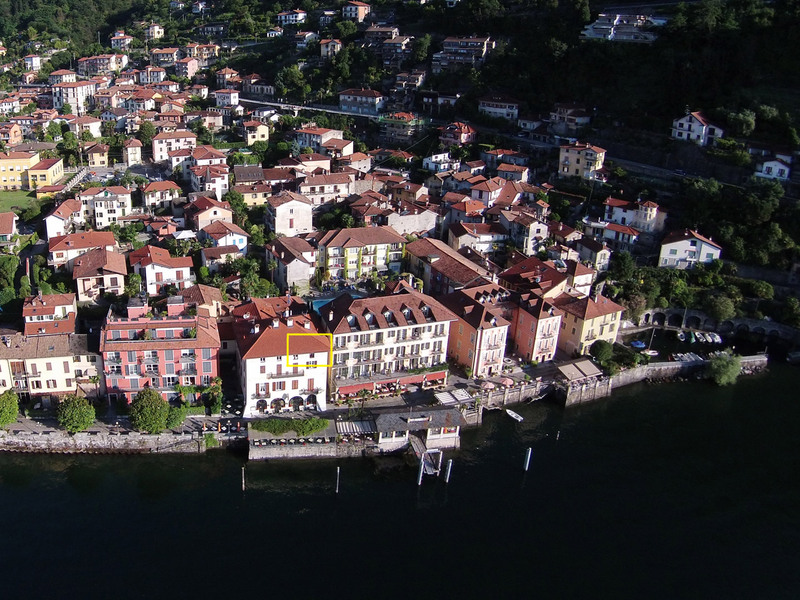 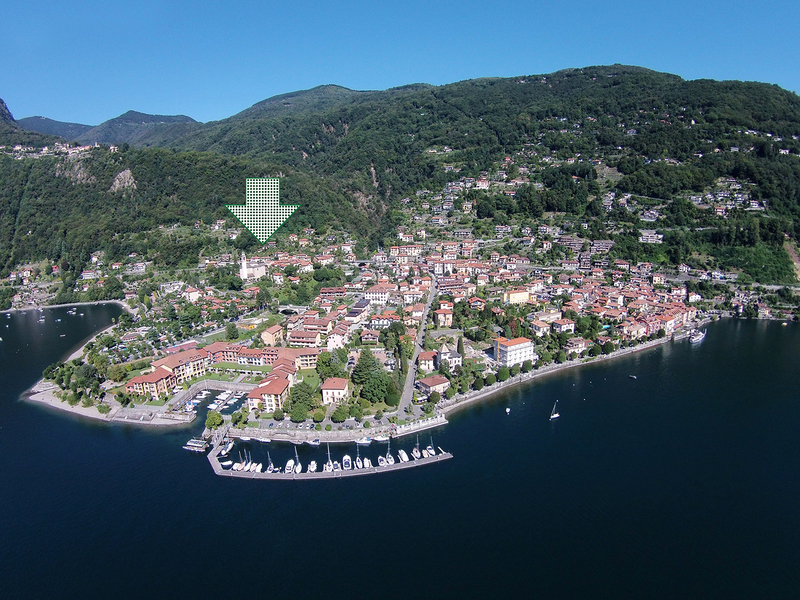 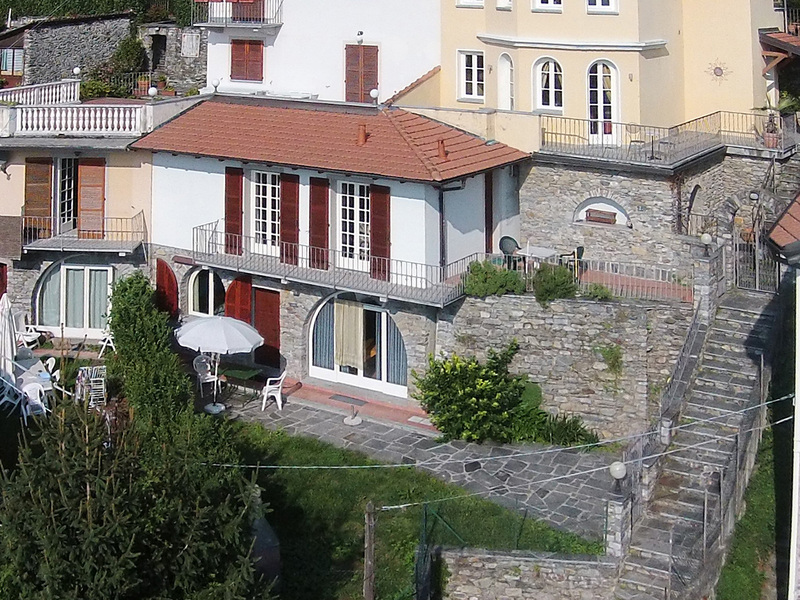 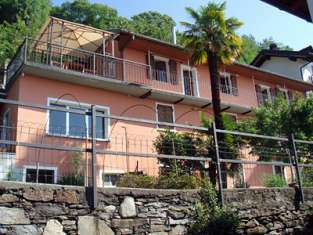 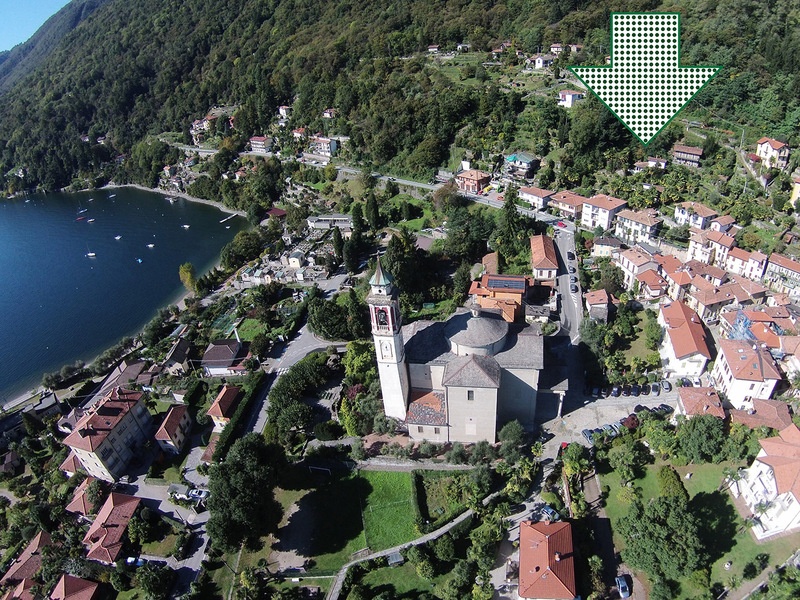 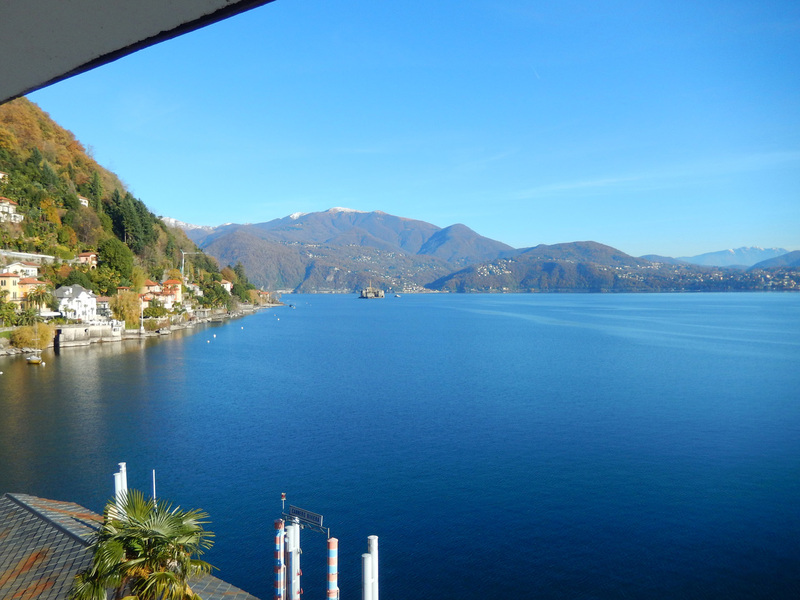 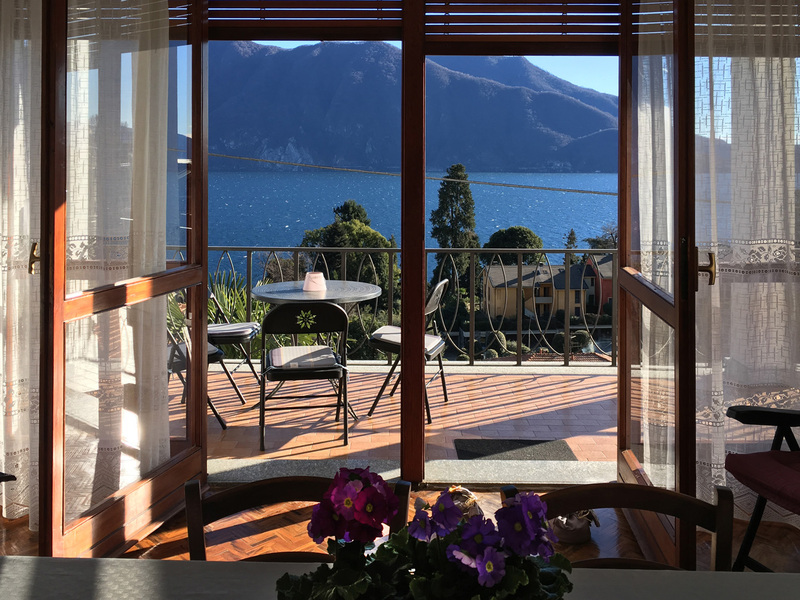 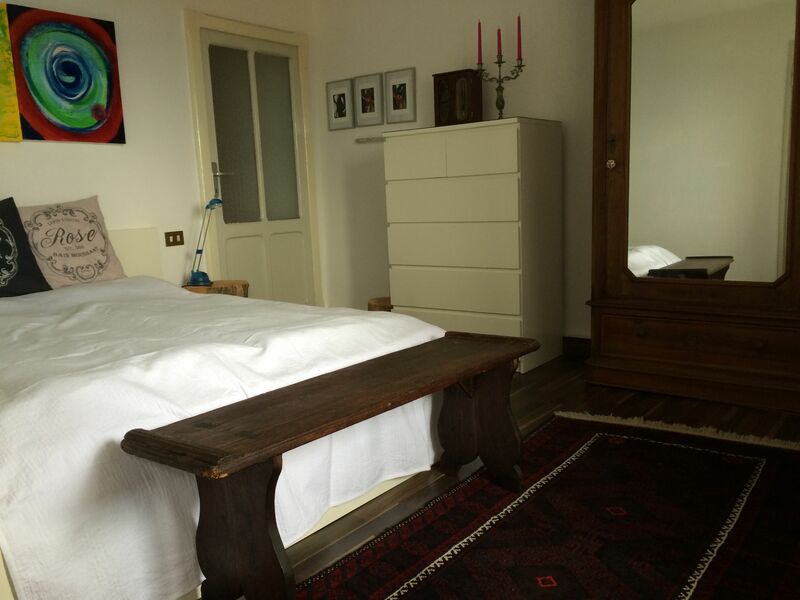 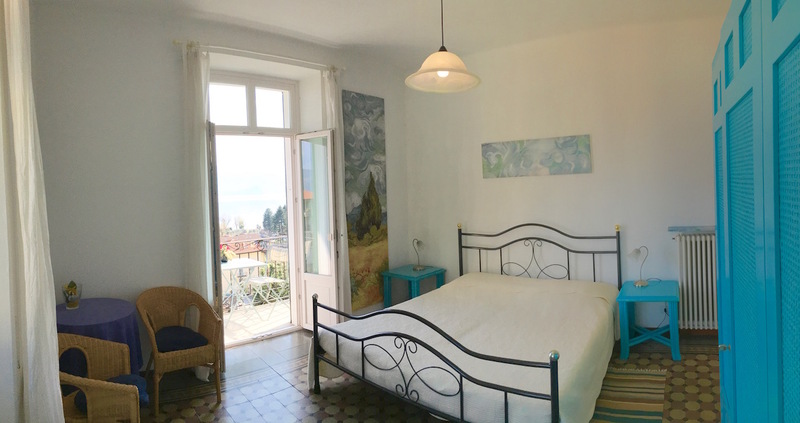 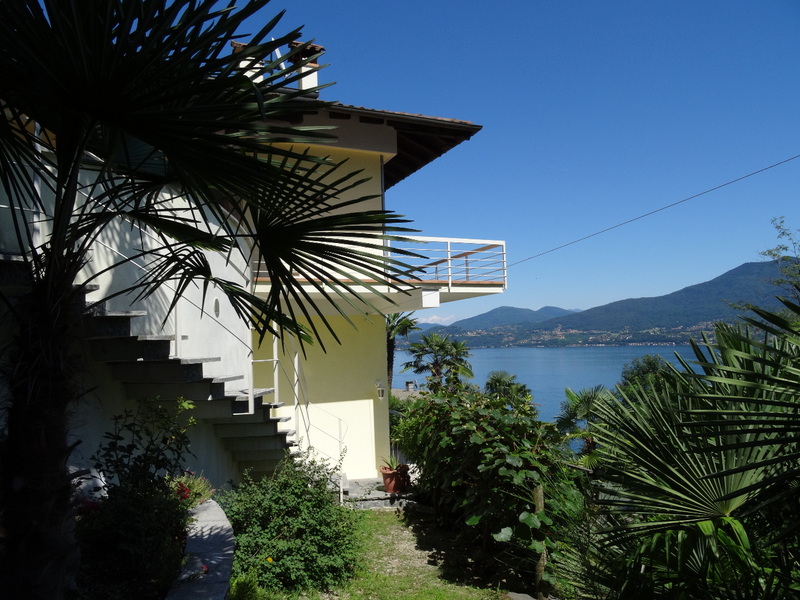 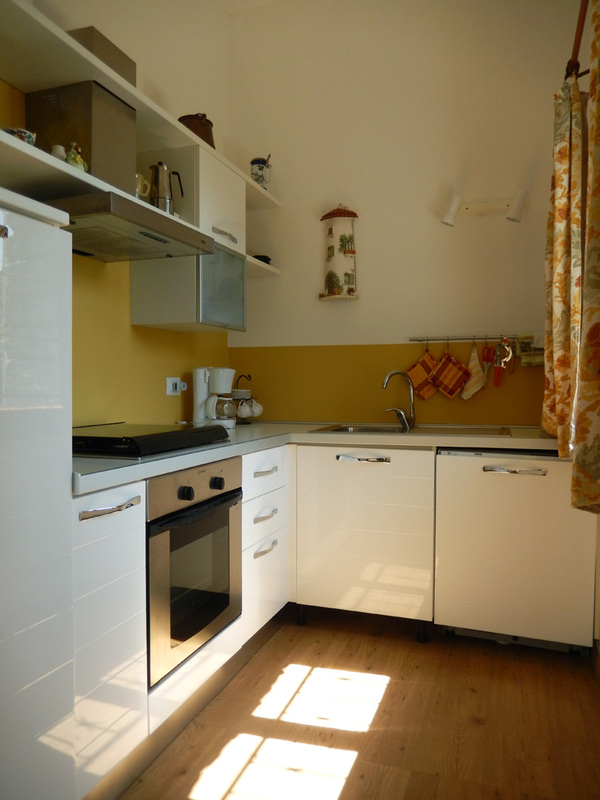 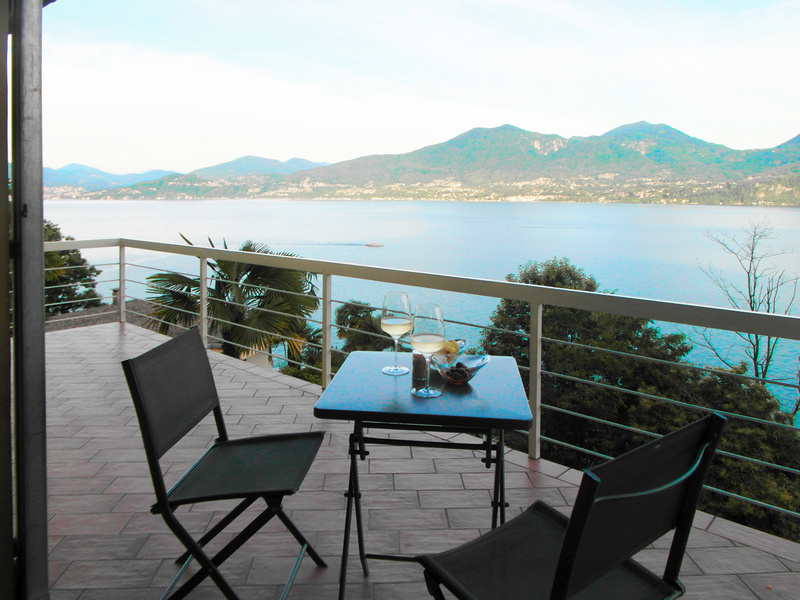 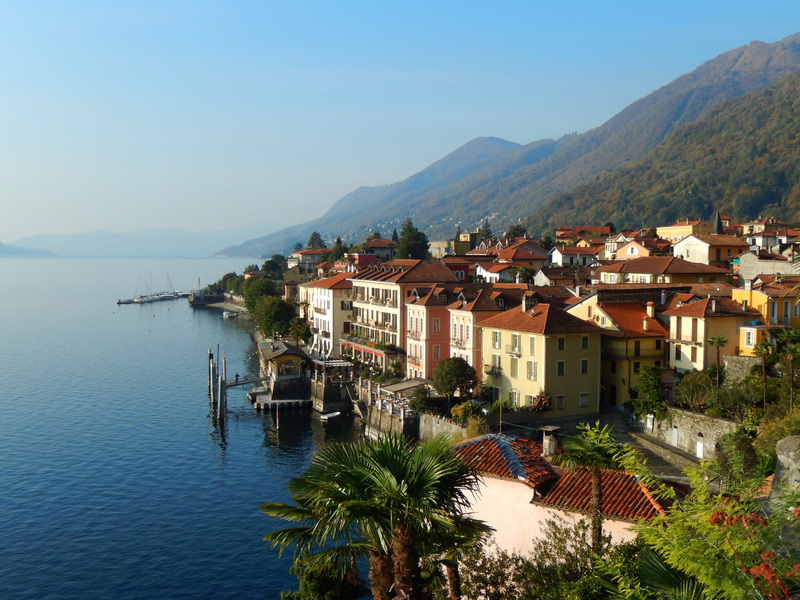 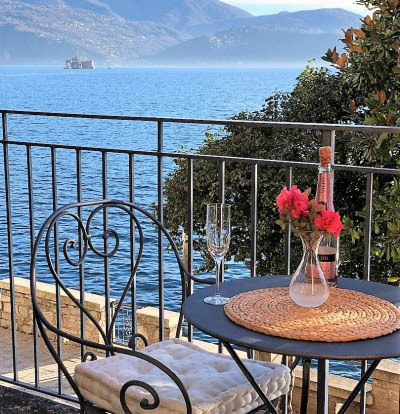 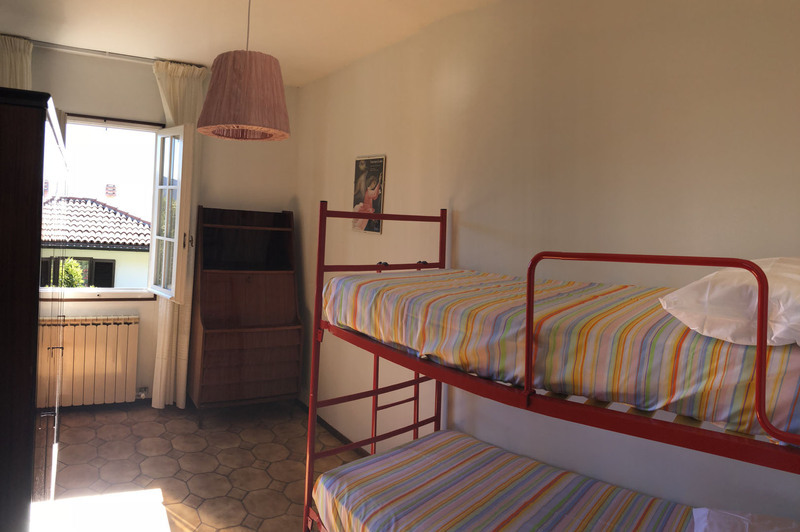 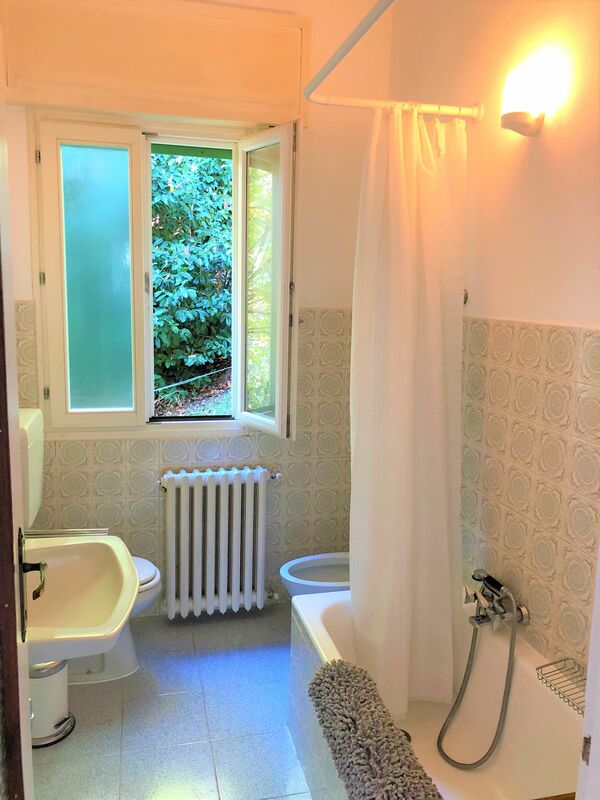 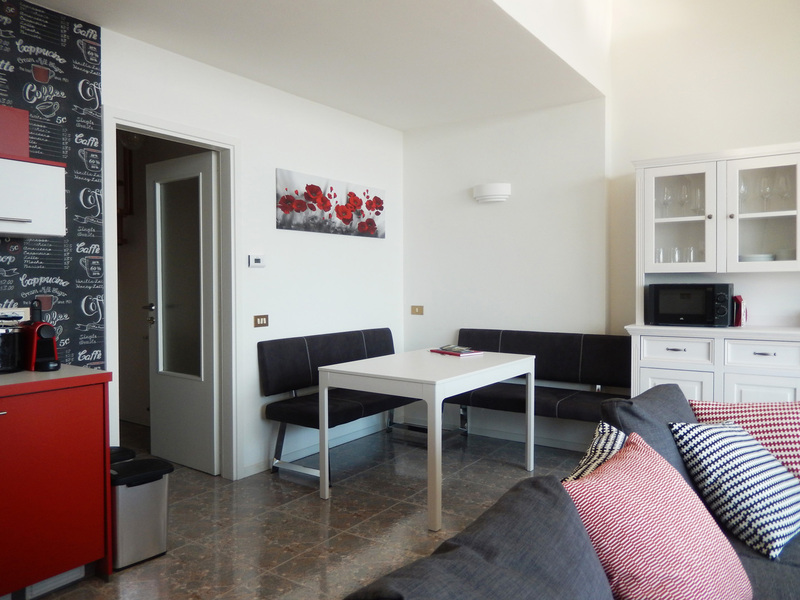 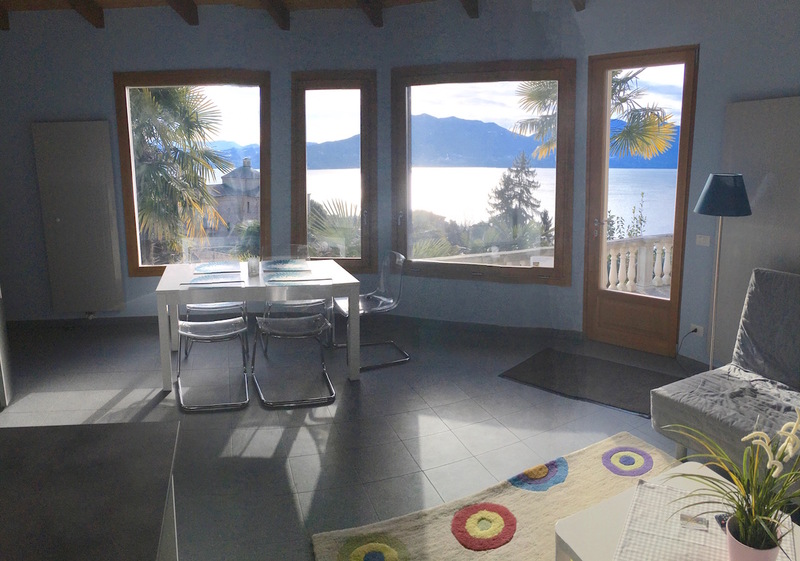 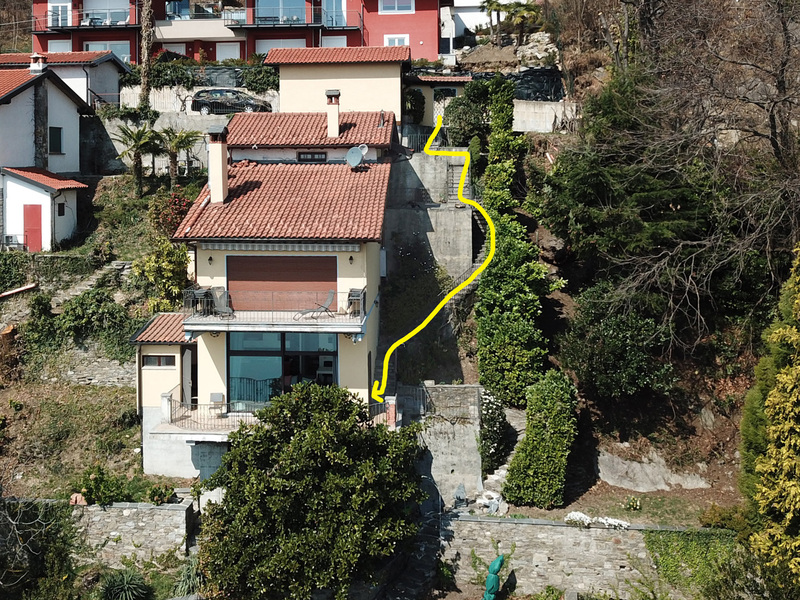 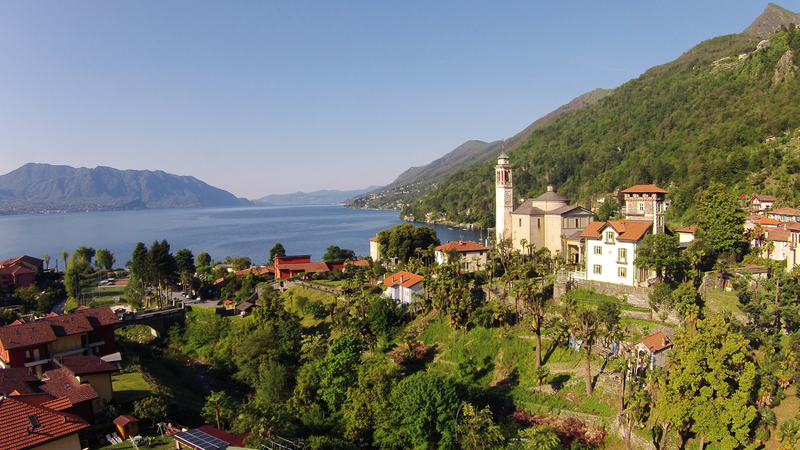 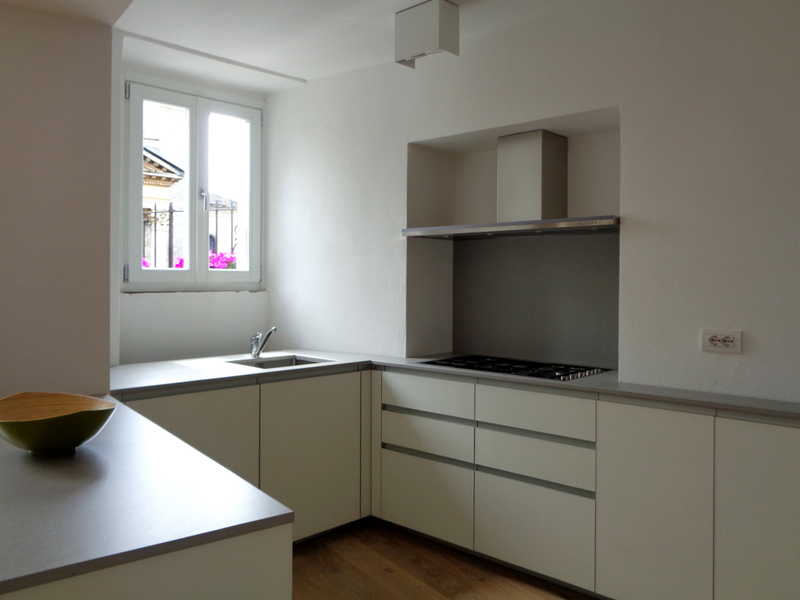 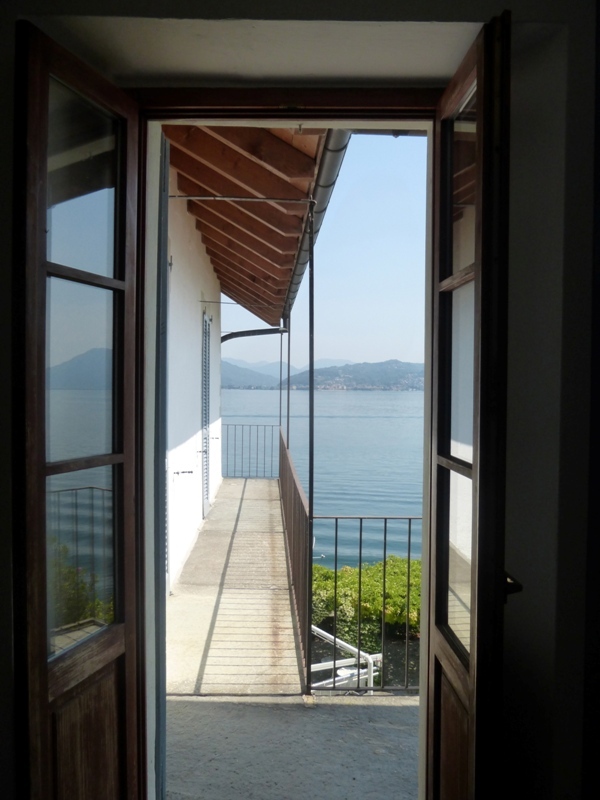 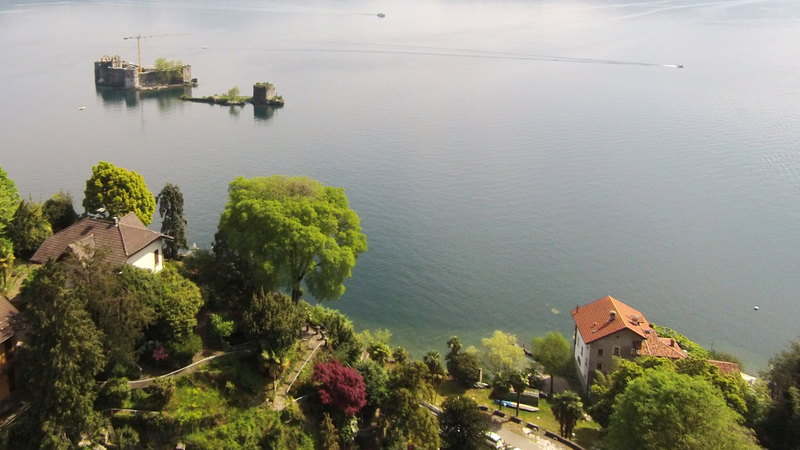 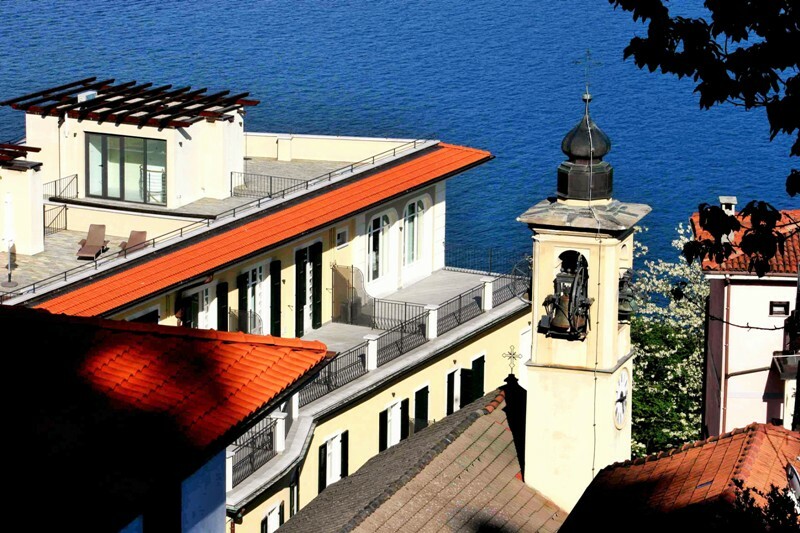 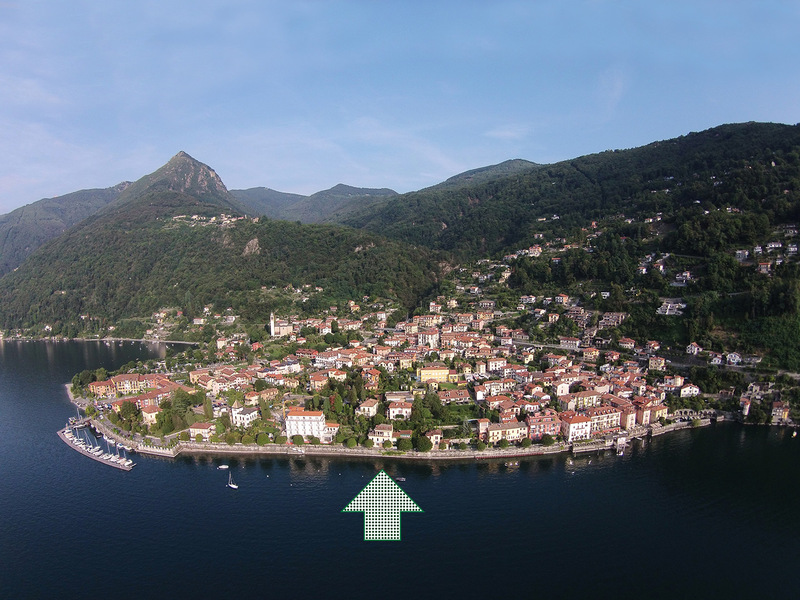 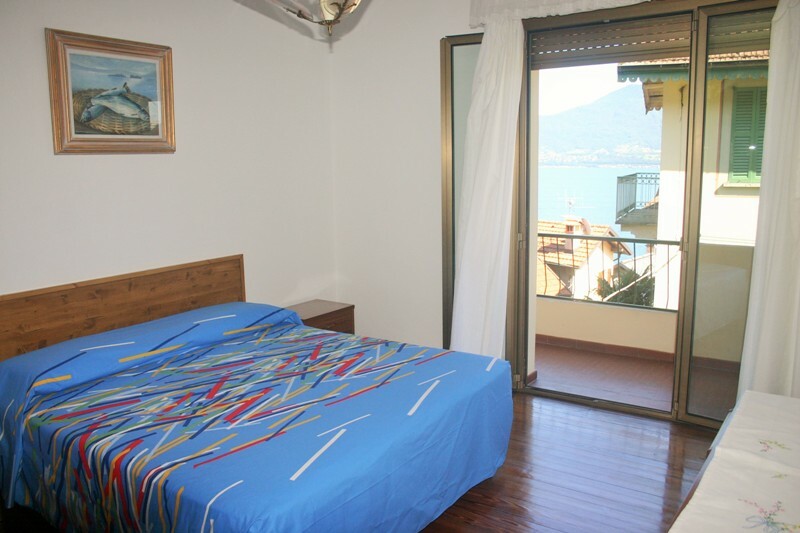 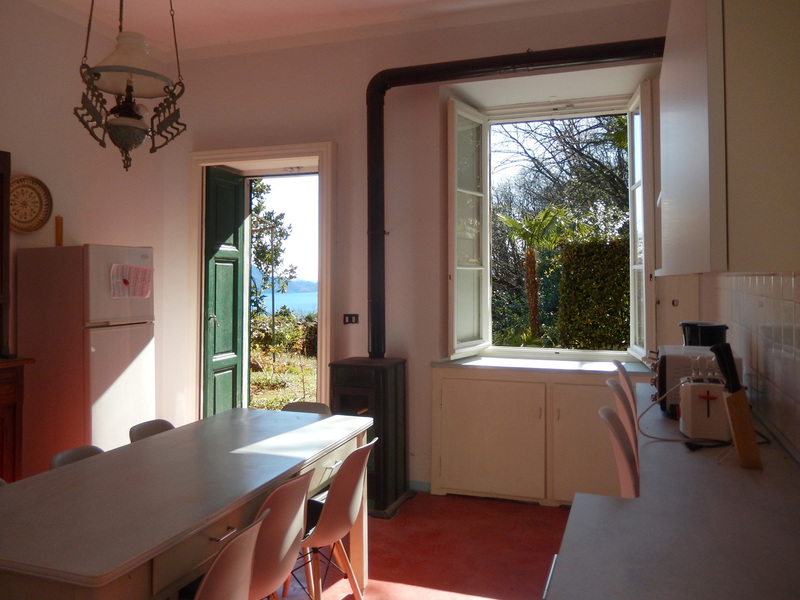 Sunny and renovated vacation apartment of a two-family-house with balcony and wonderful view on the lake and Verbania. 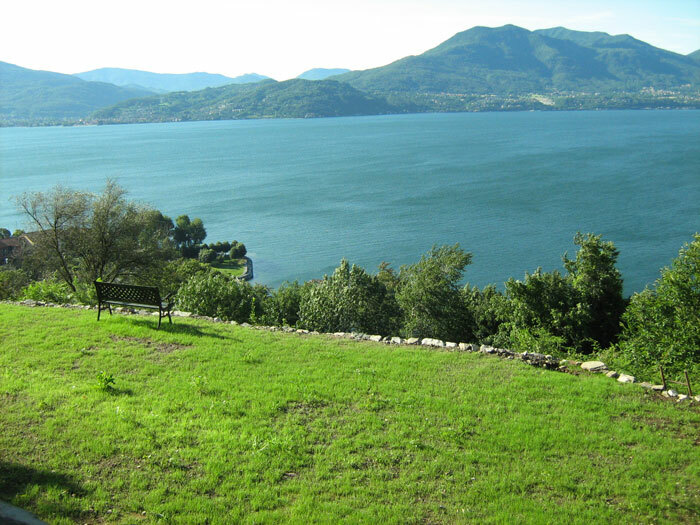 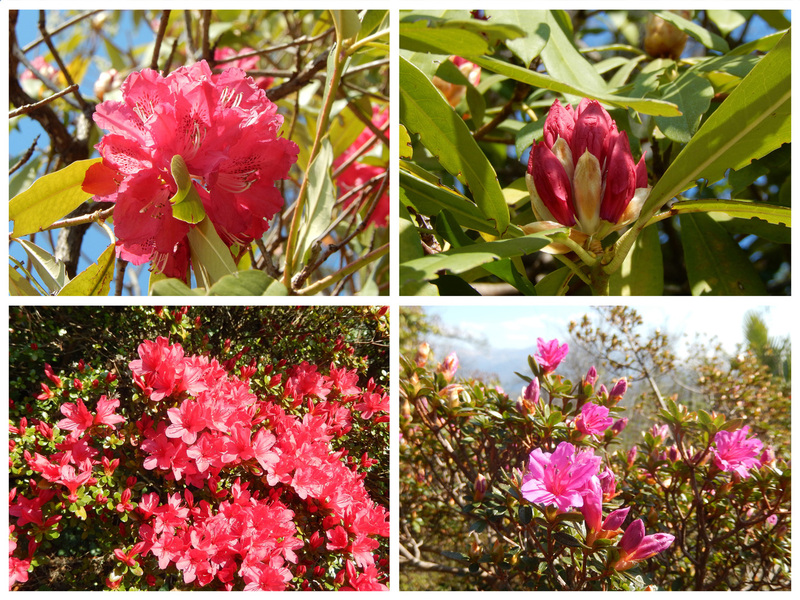 Beautiful hiking trails for the Val Grande National Park near the apartment. 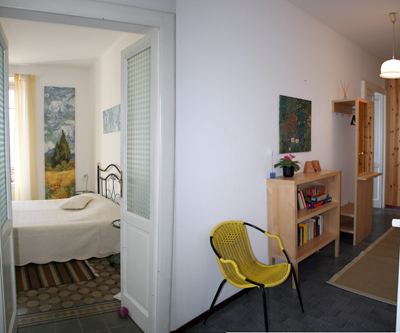 Rooms: livingroom with balcony, livingroom with kitchen area, bedroom and bathroom with shower. 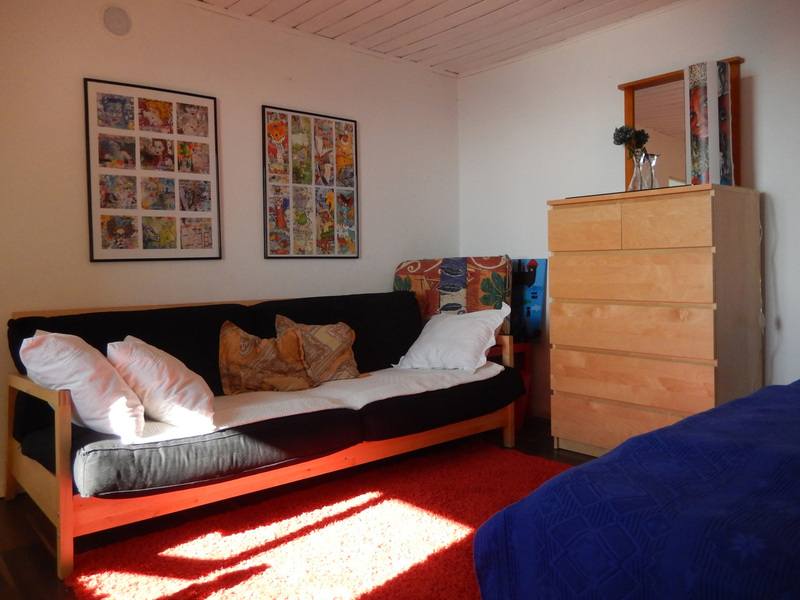 Places to sleep: double bed in bedroom and sofa bed in the livingroom. 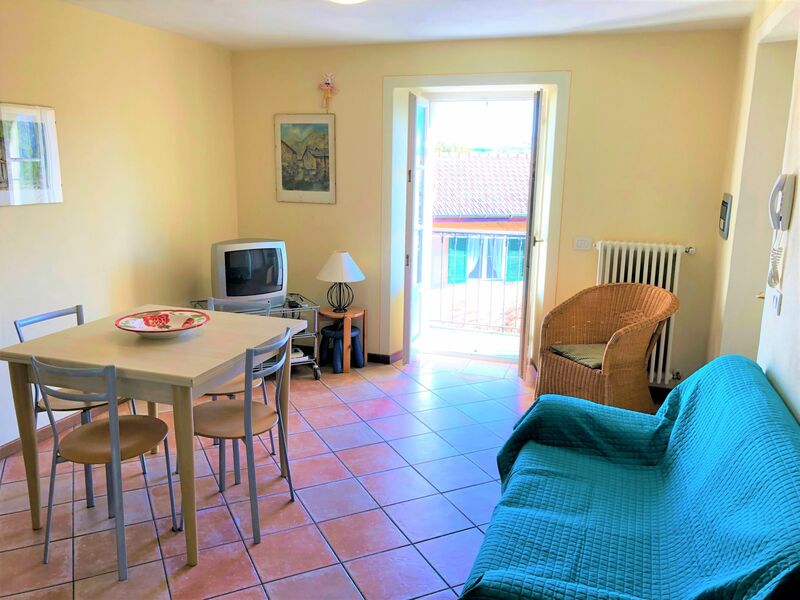 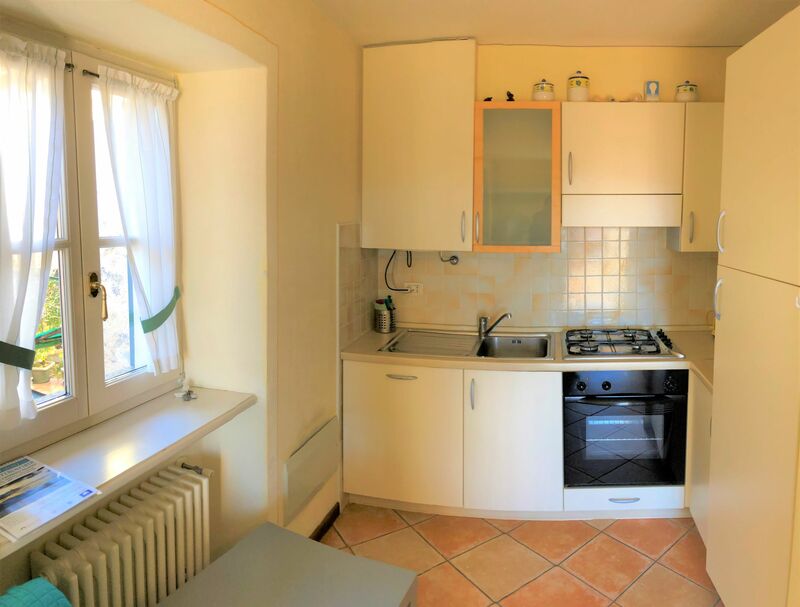 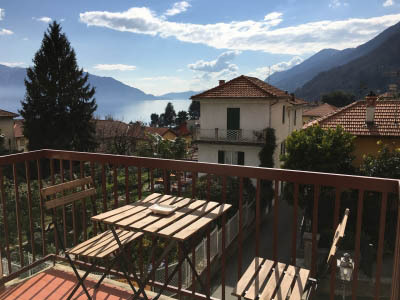 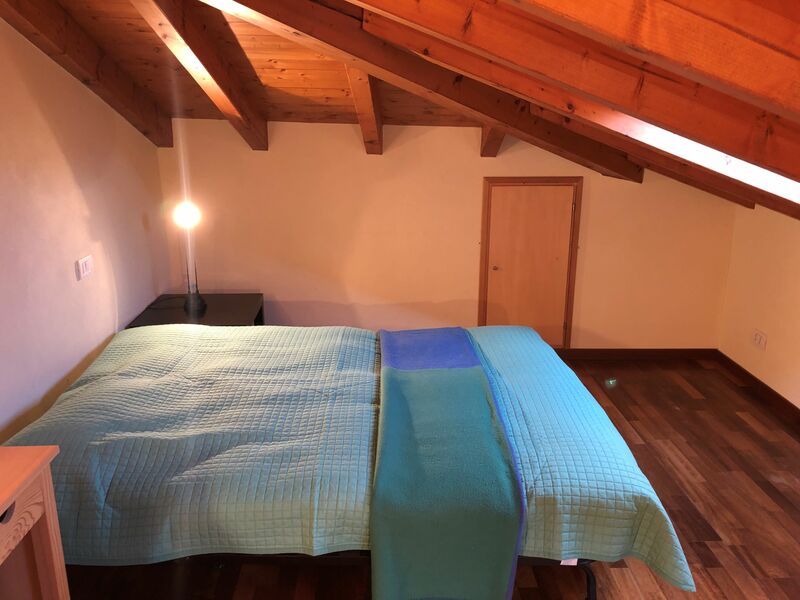 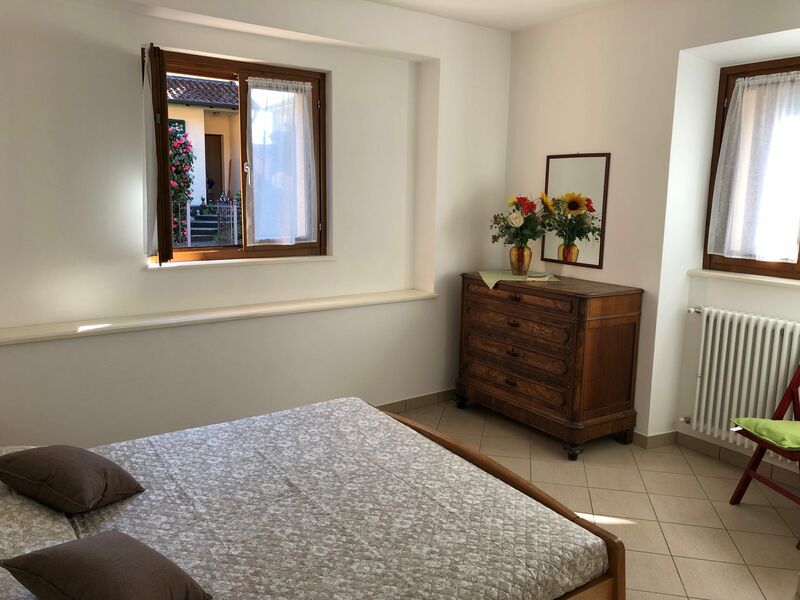 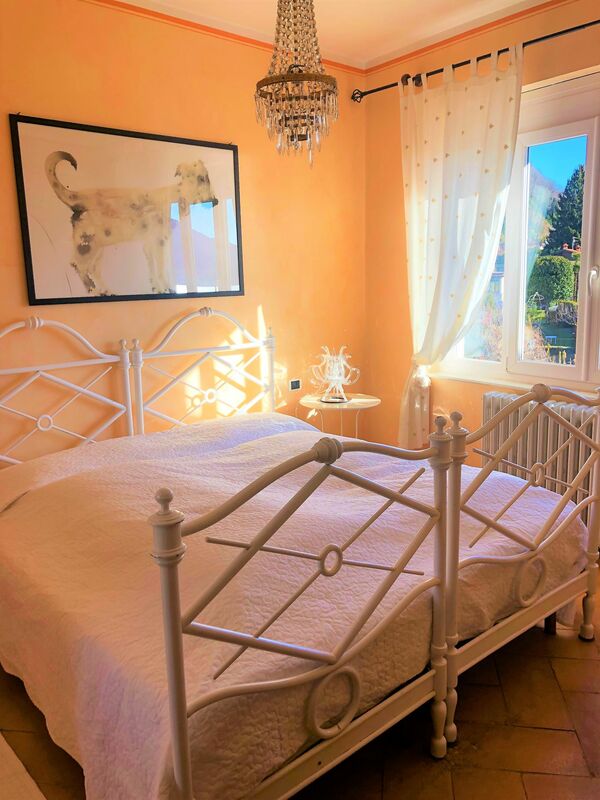 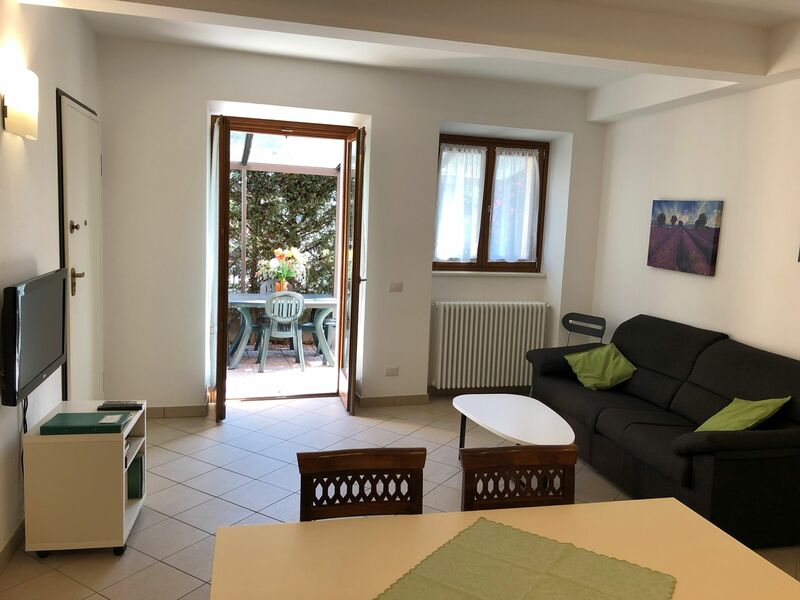 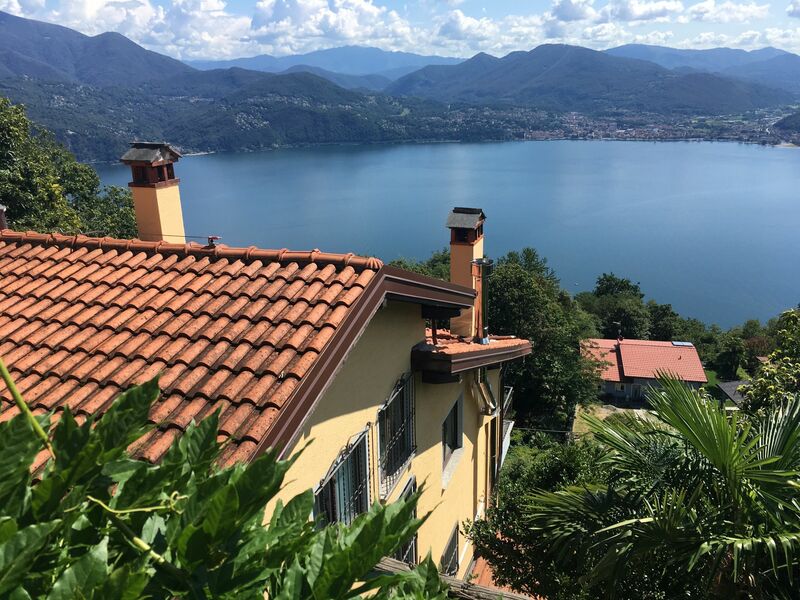 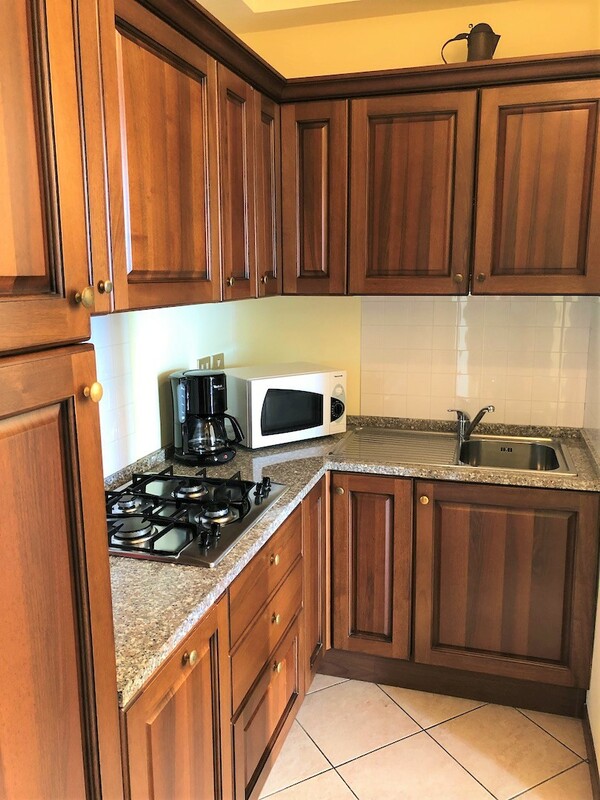 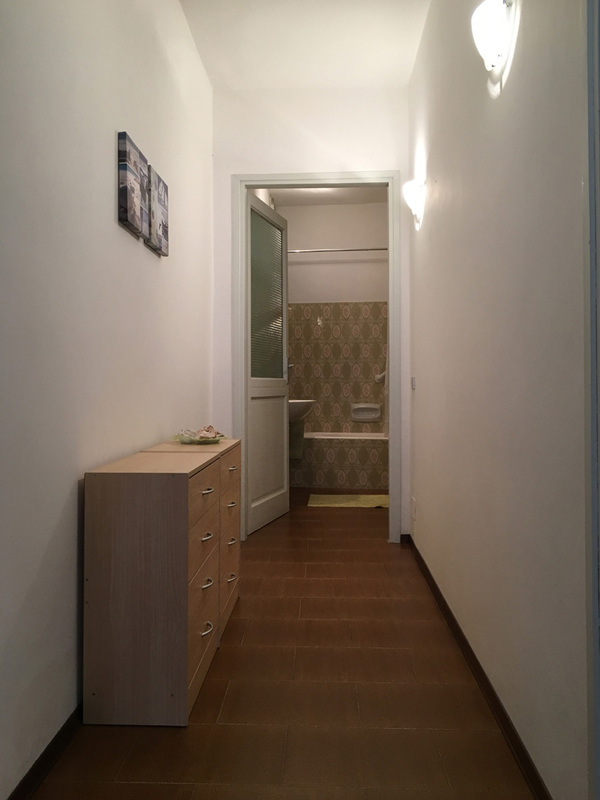 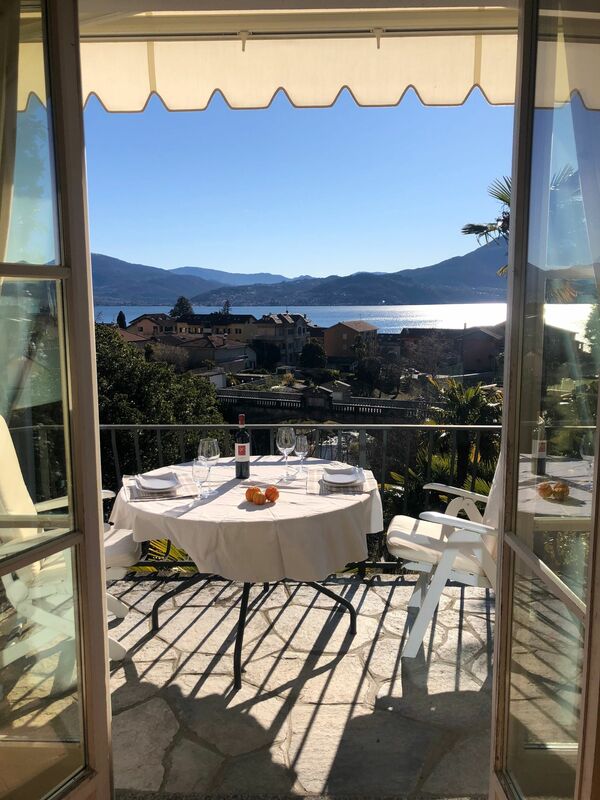 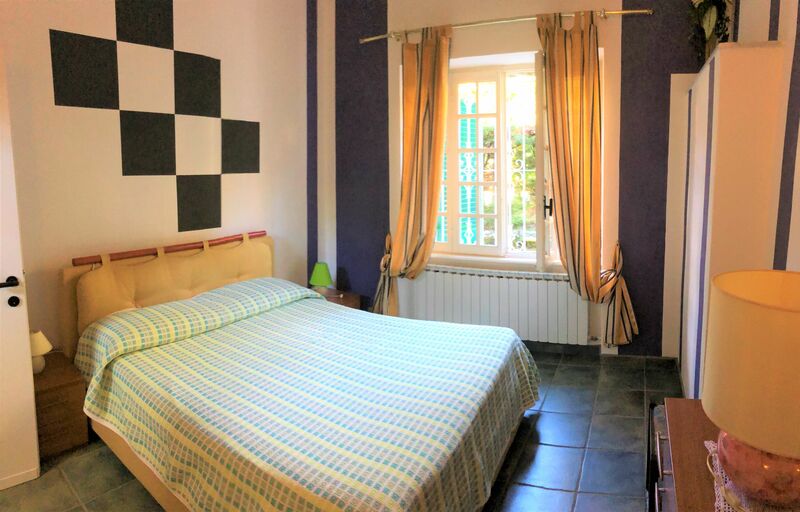 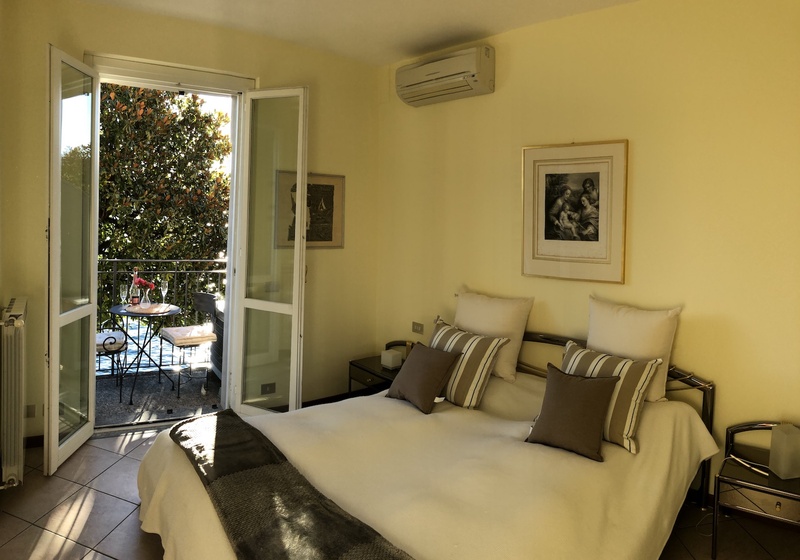 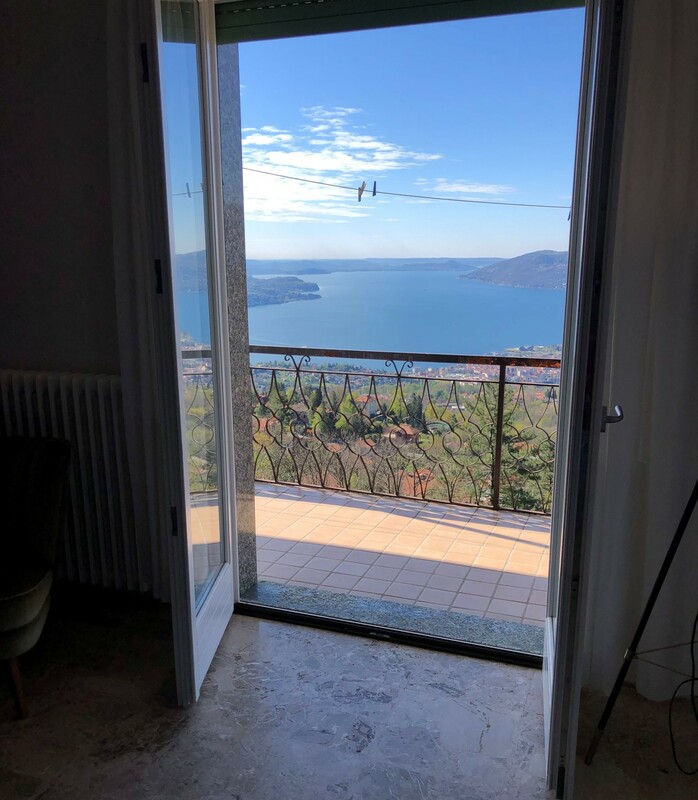 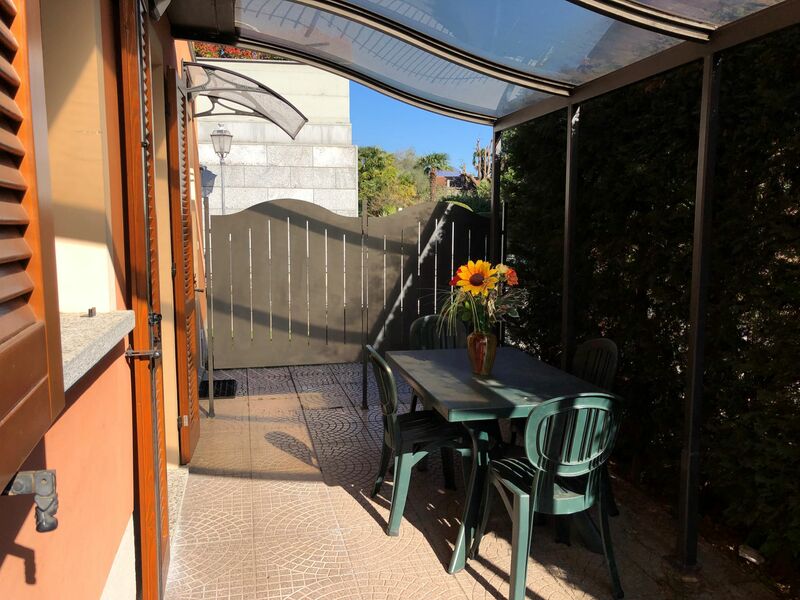 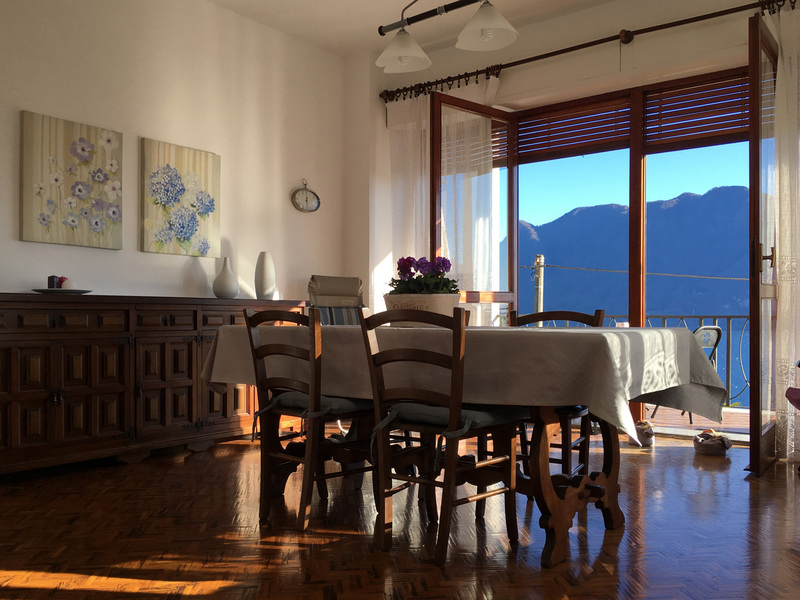 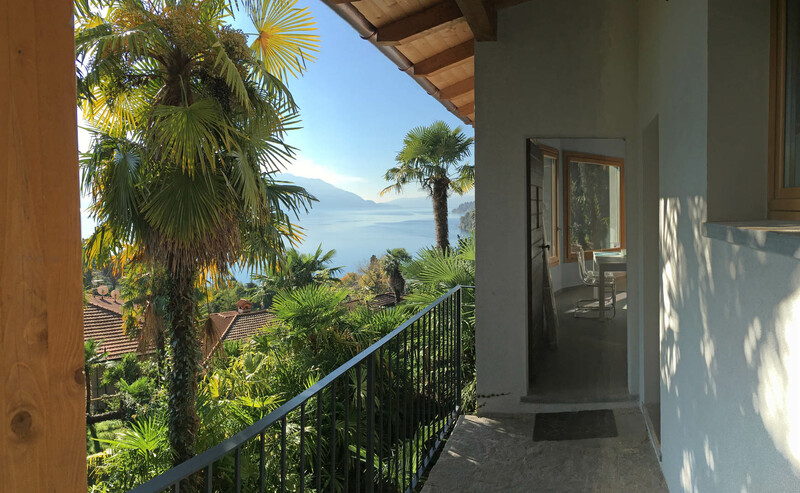 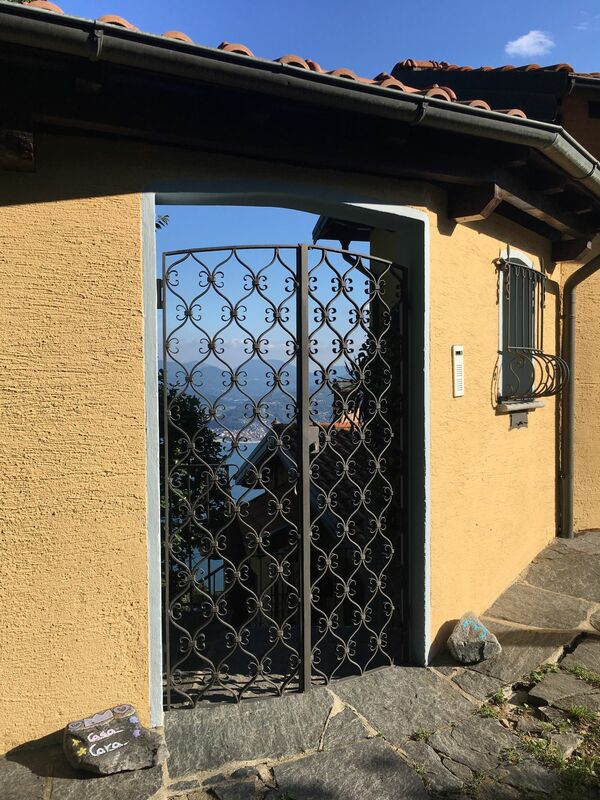 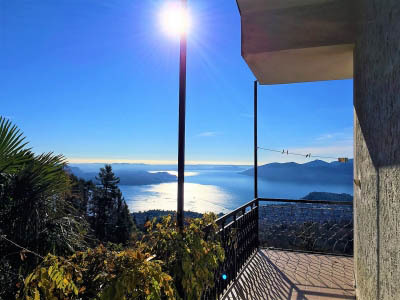 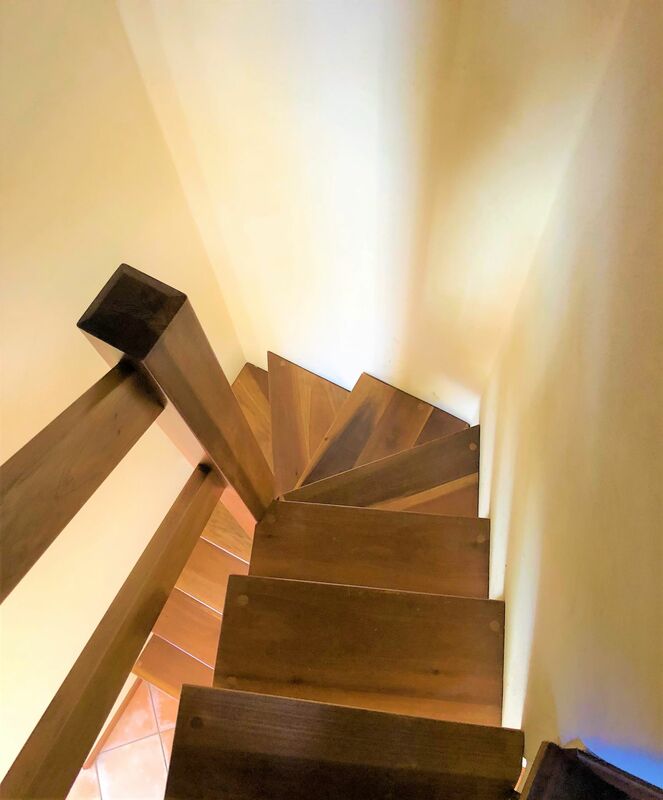 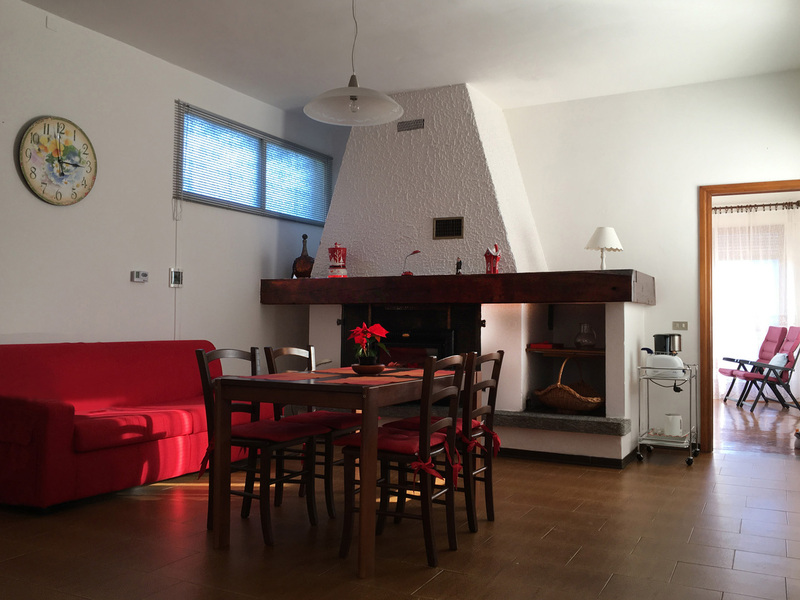 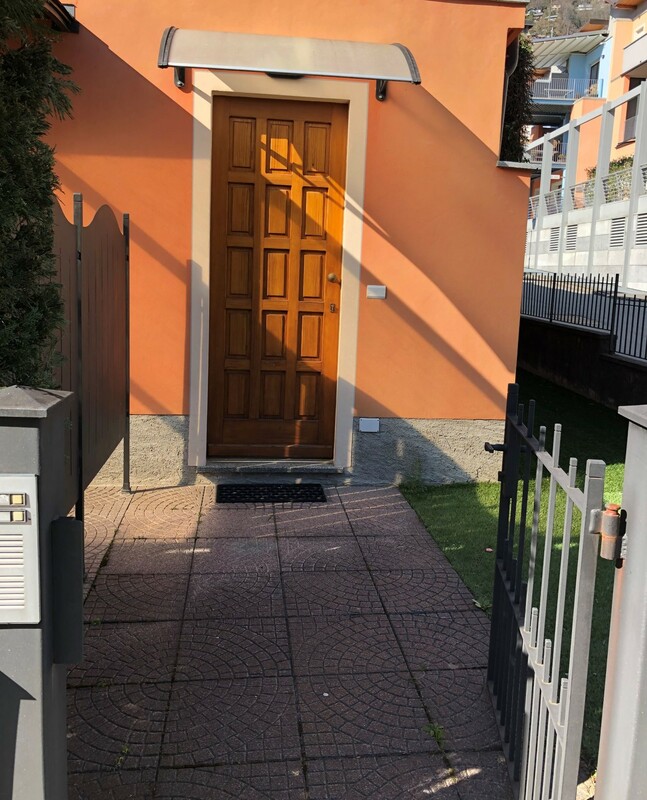 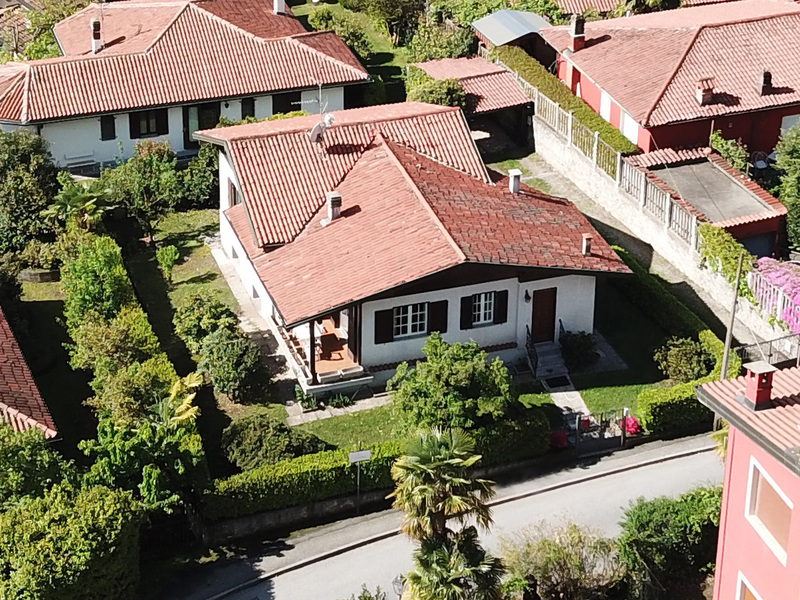 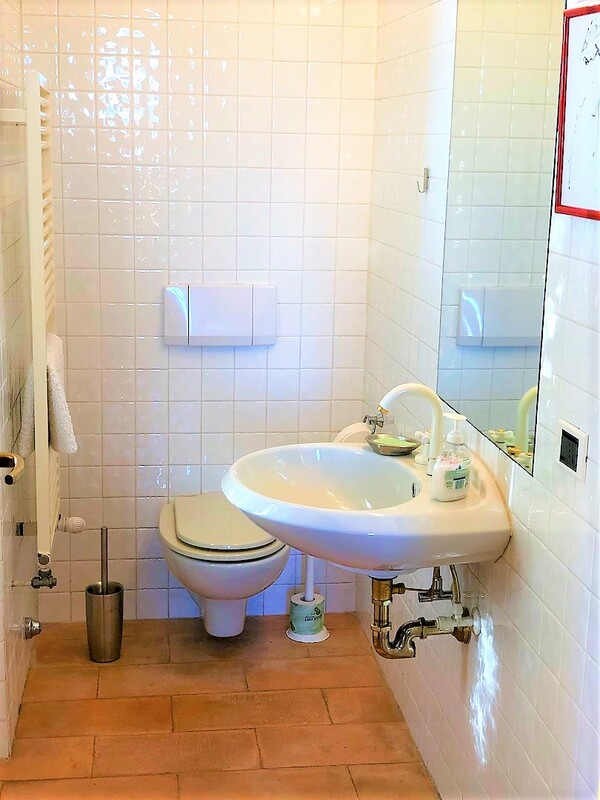 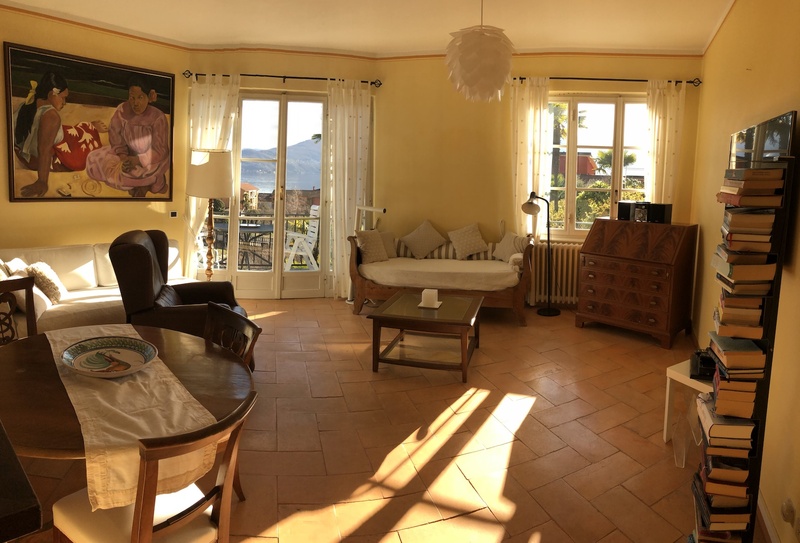 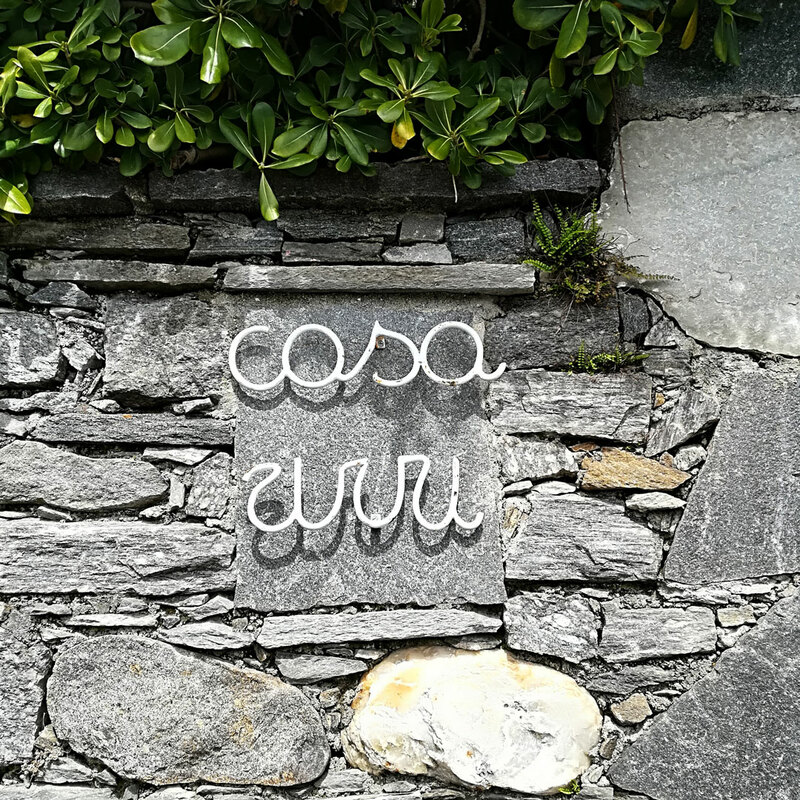 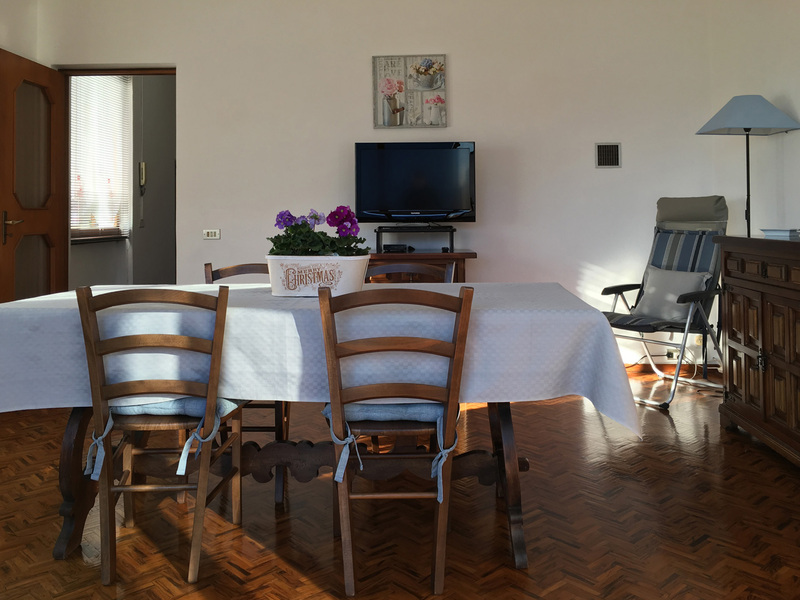 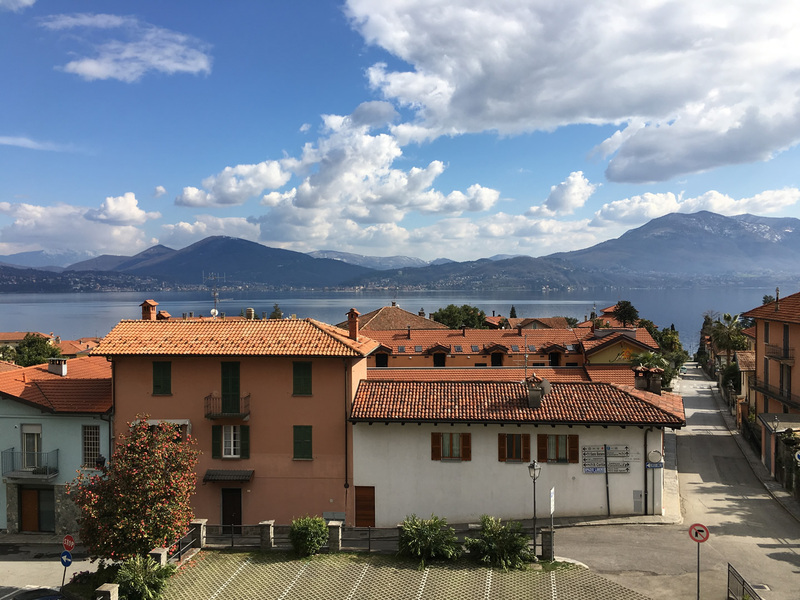 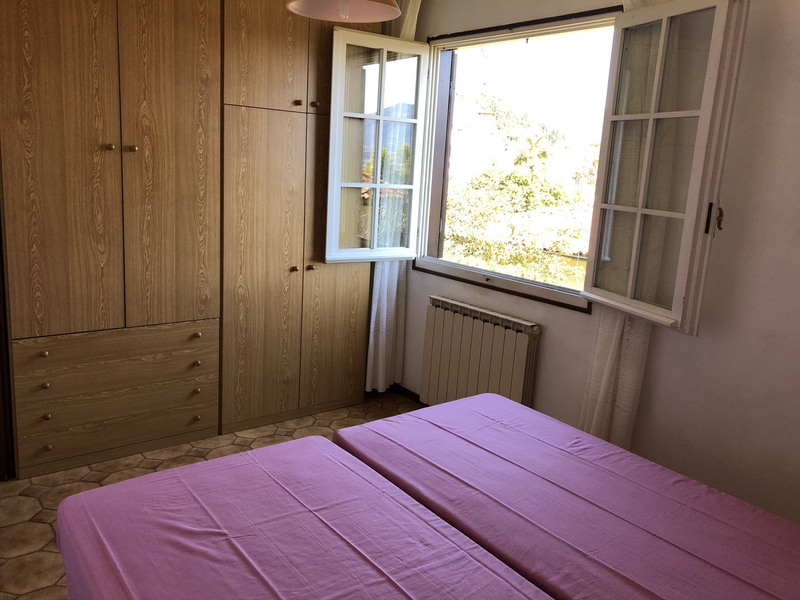 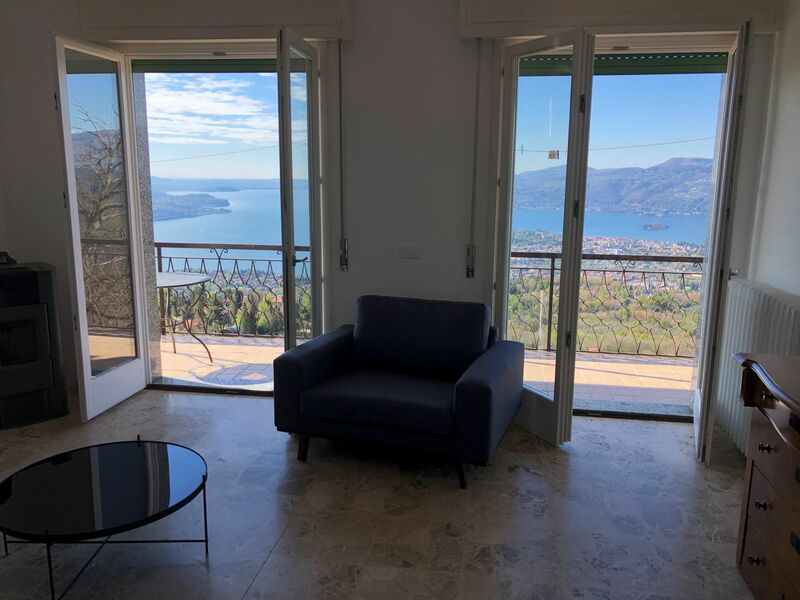 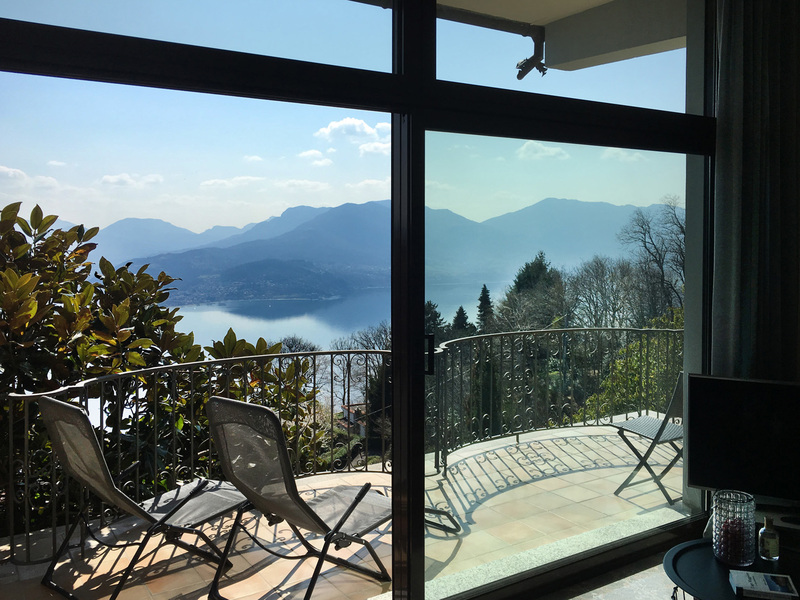 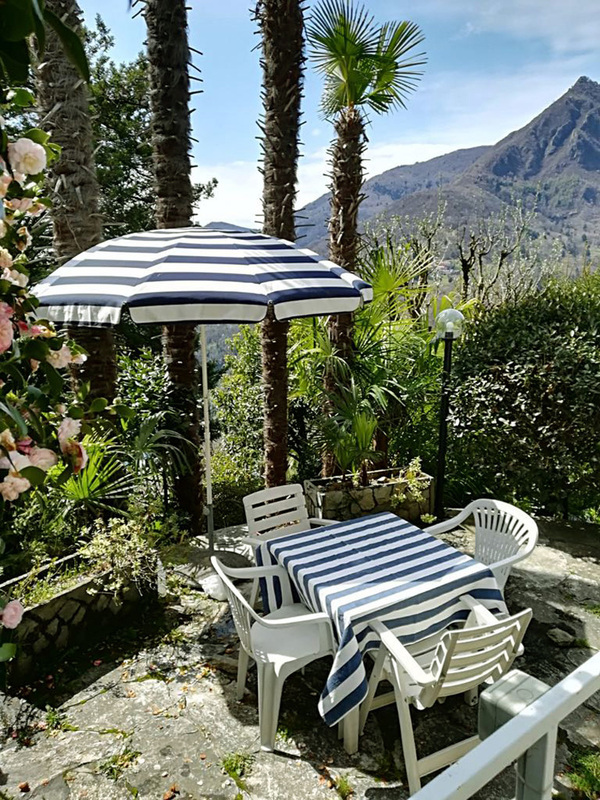 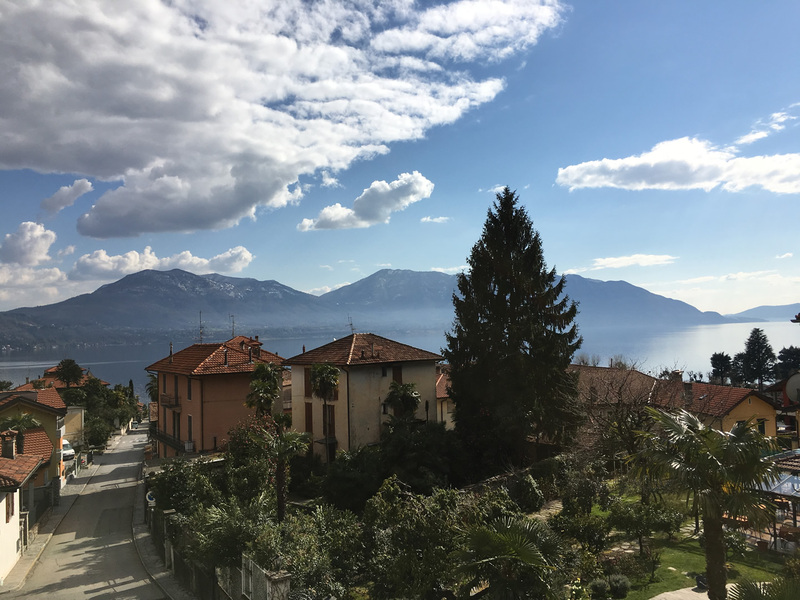 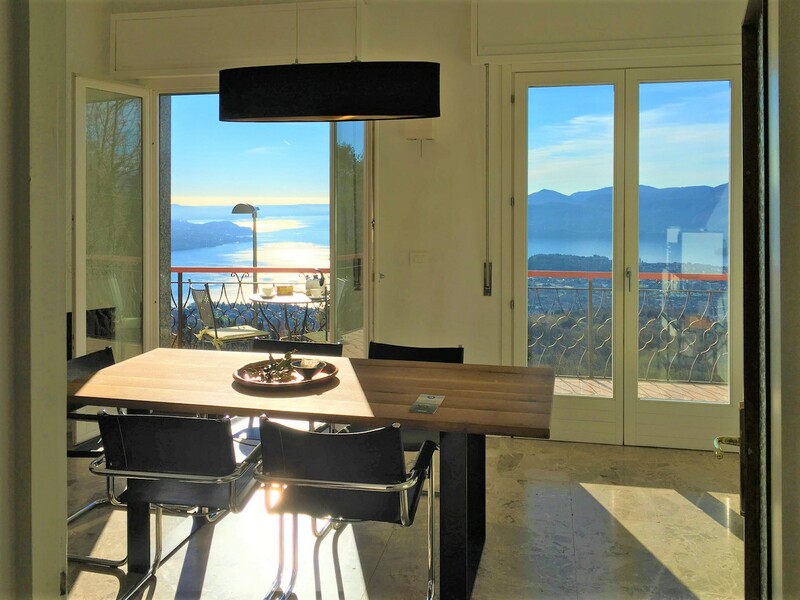 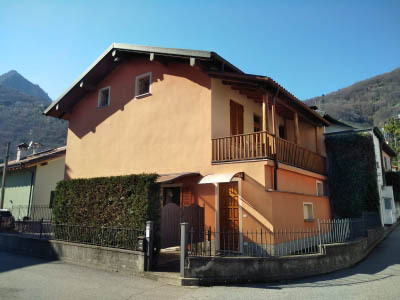 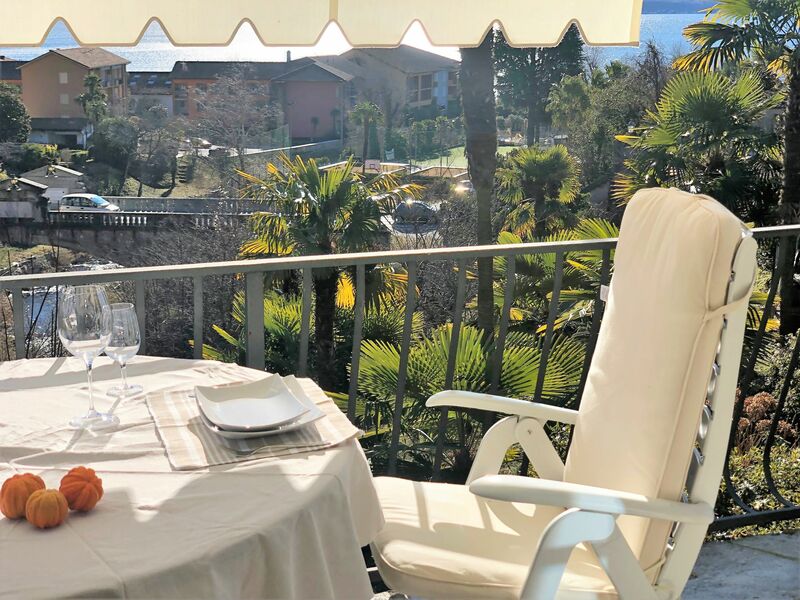 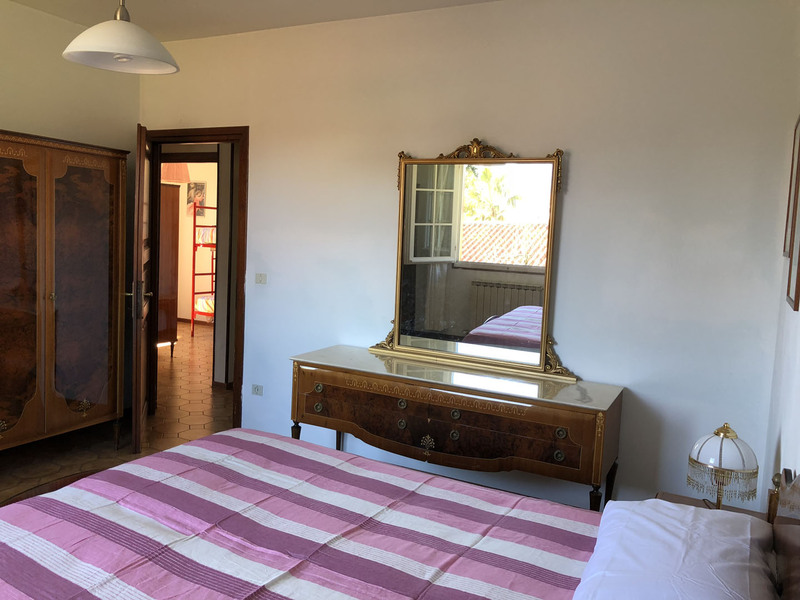 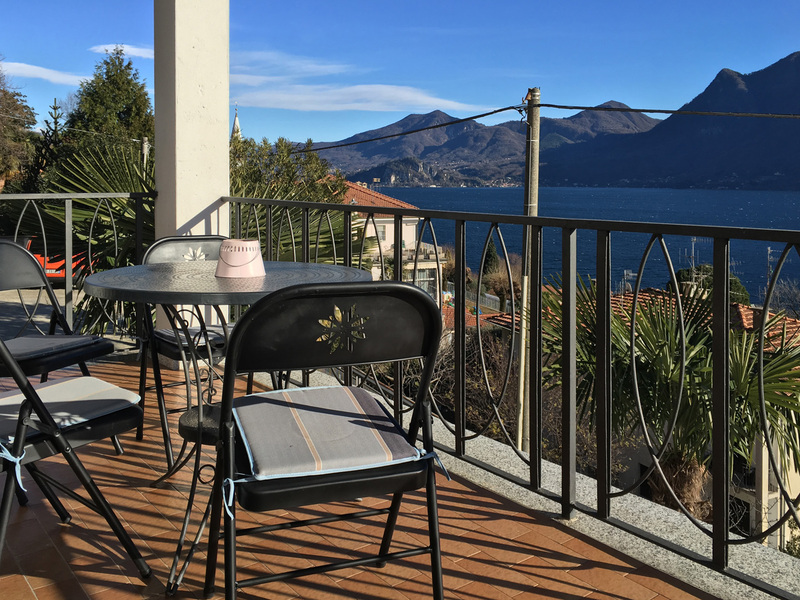 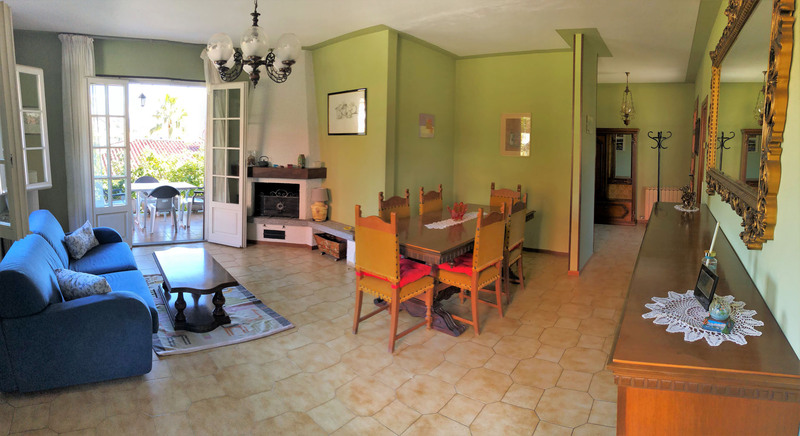 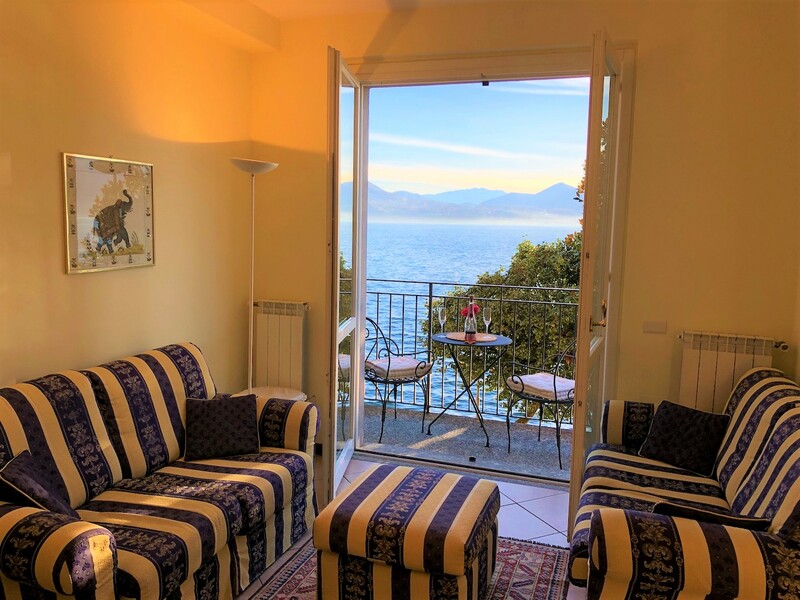 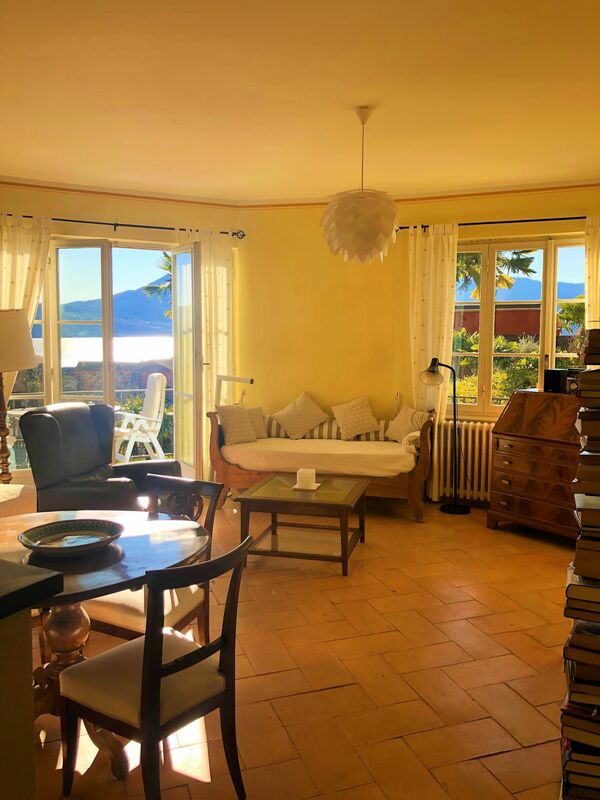 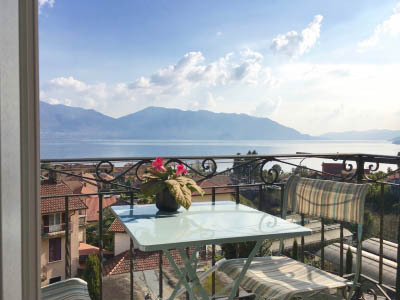 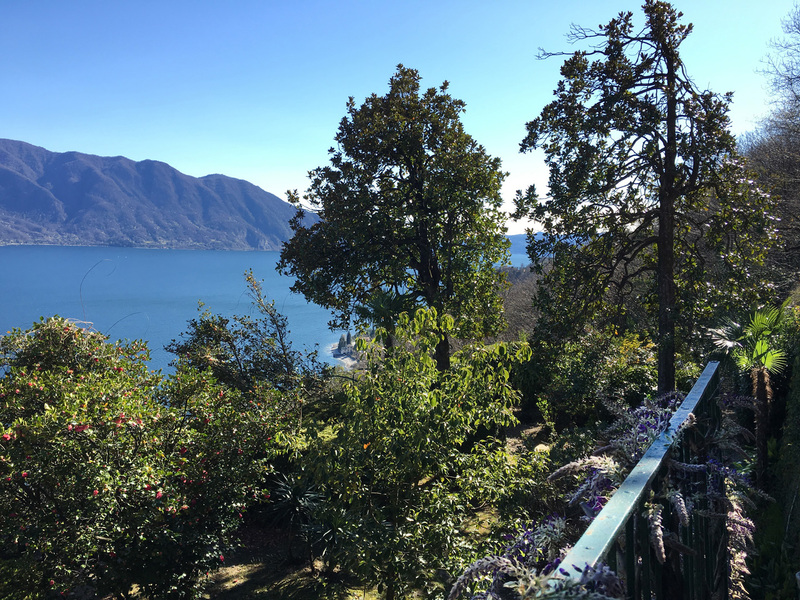 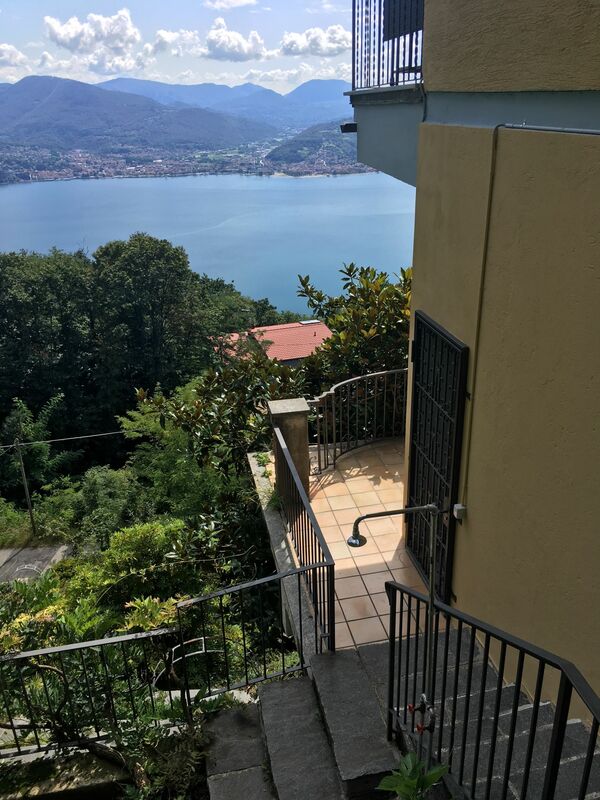 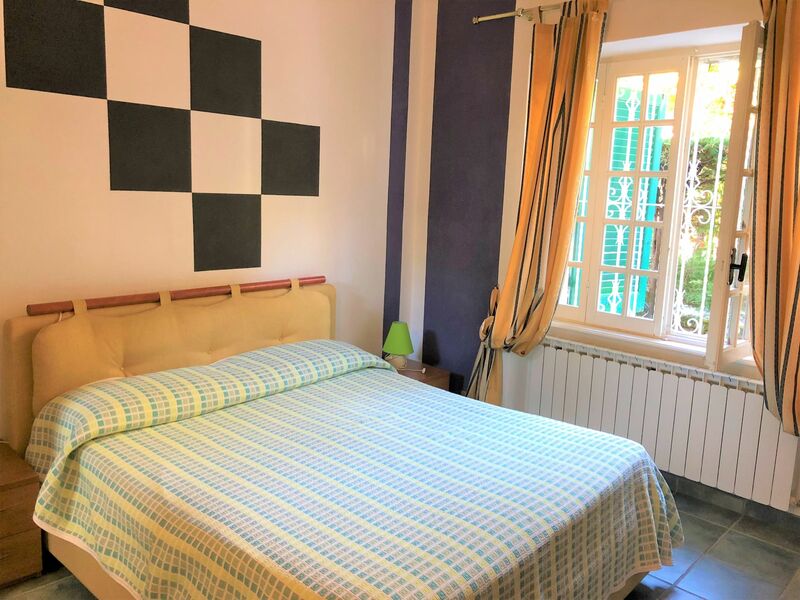 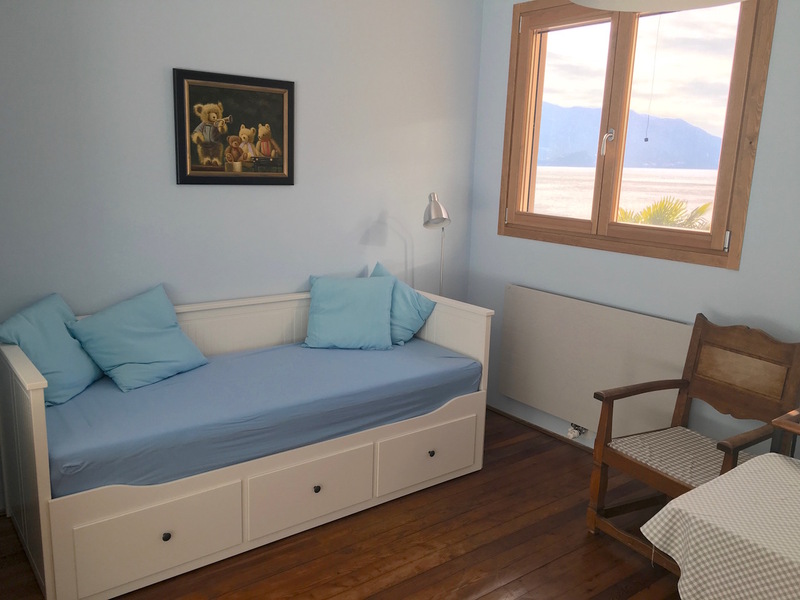 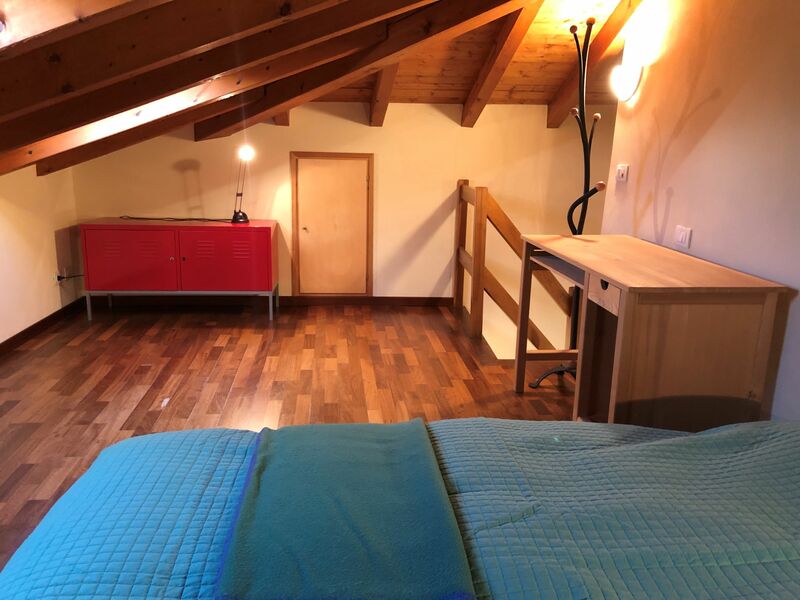 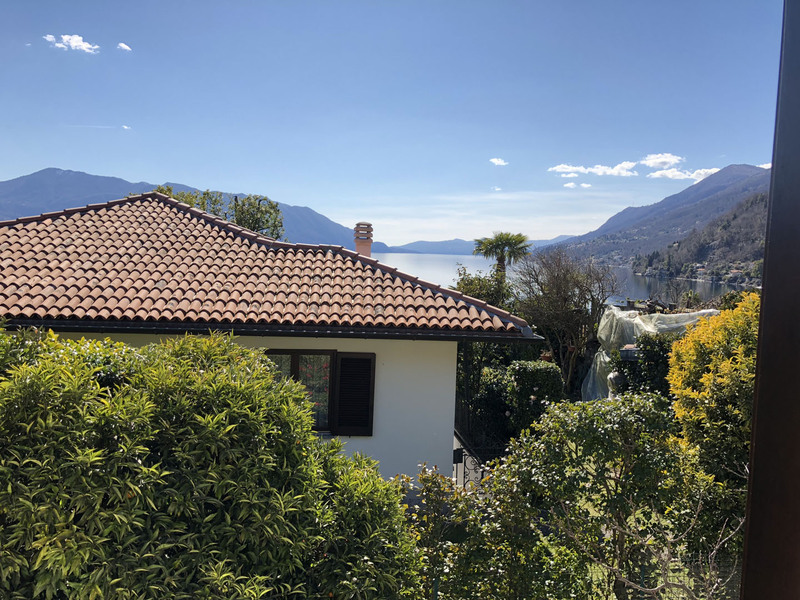 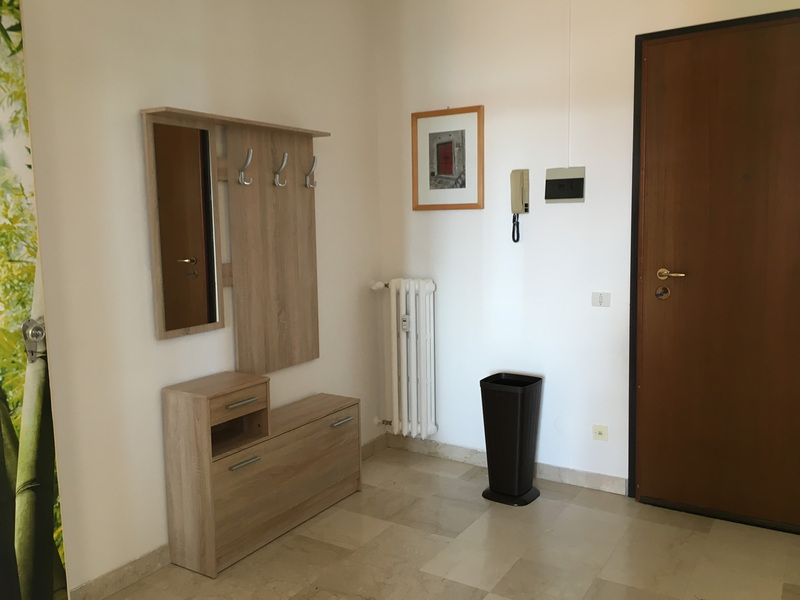 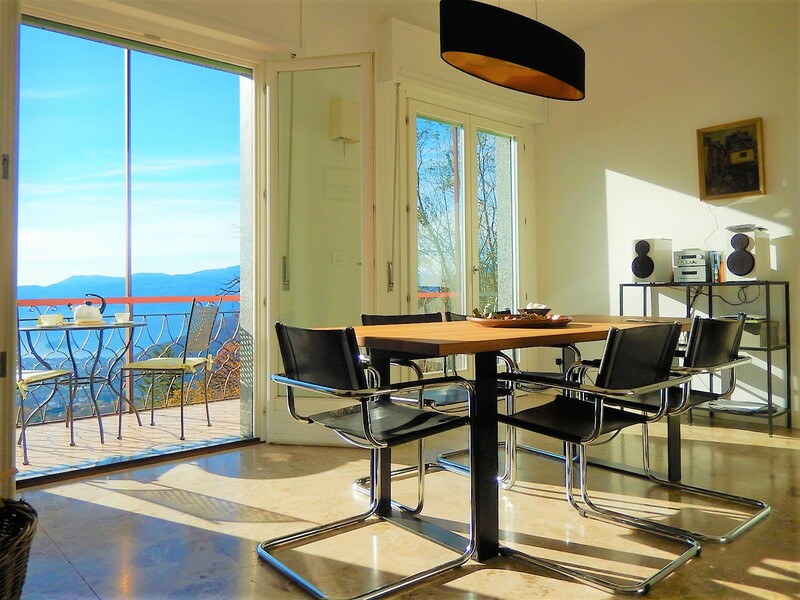 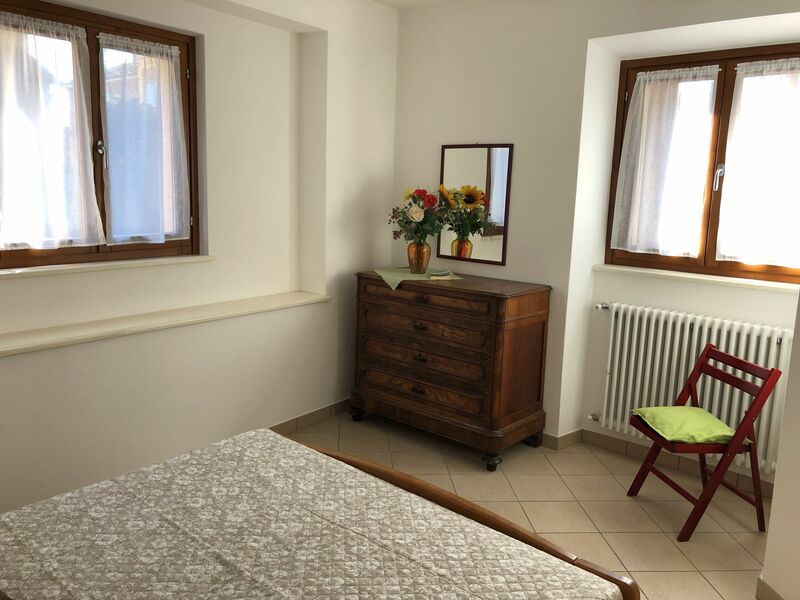 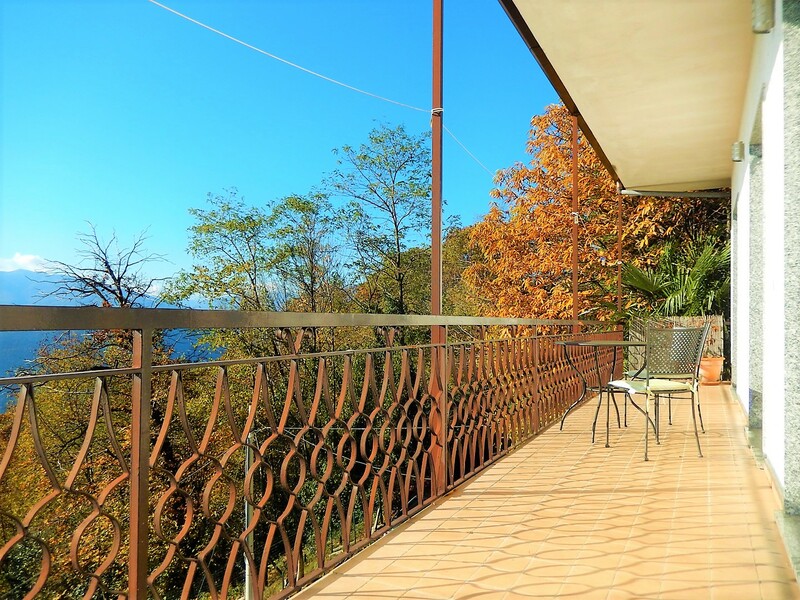 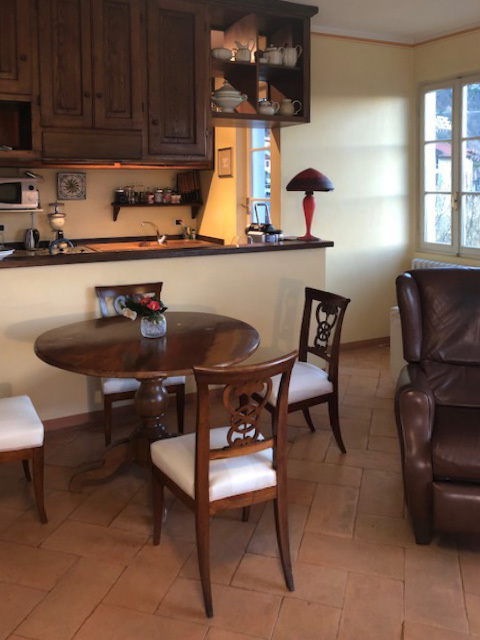 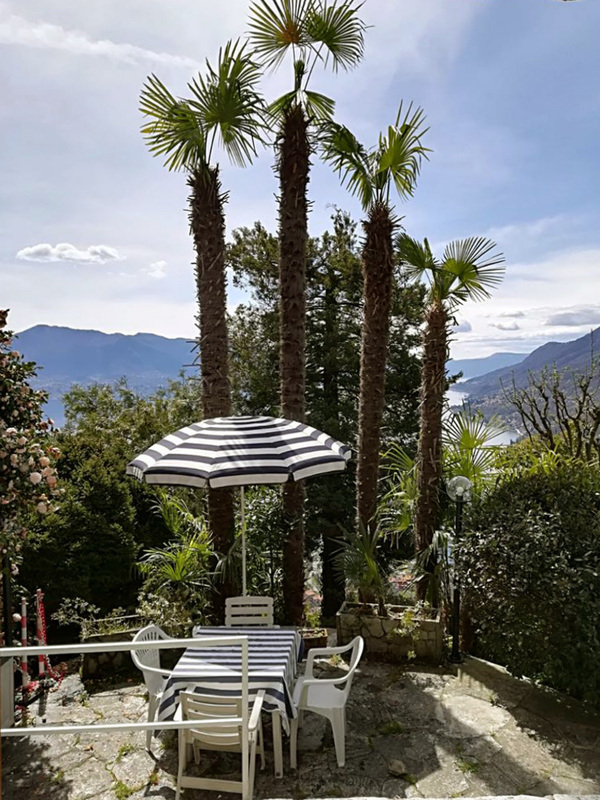 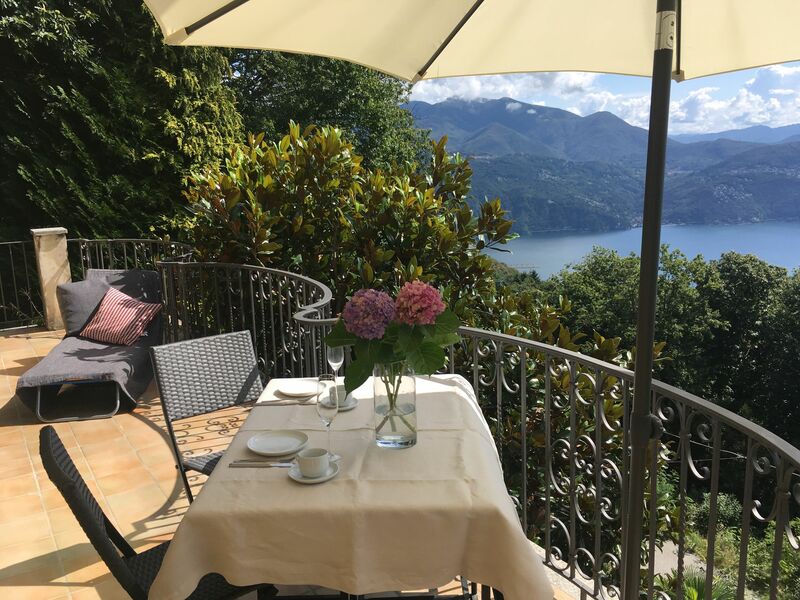 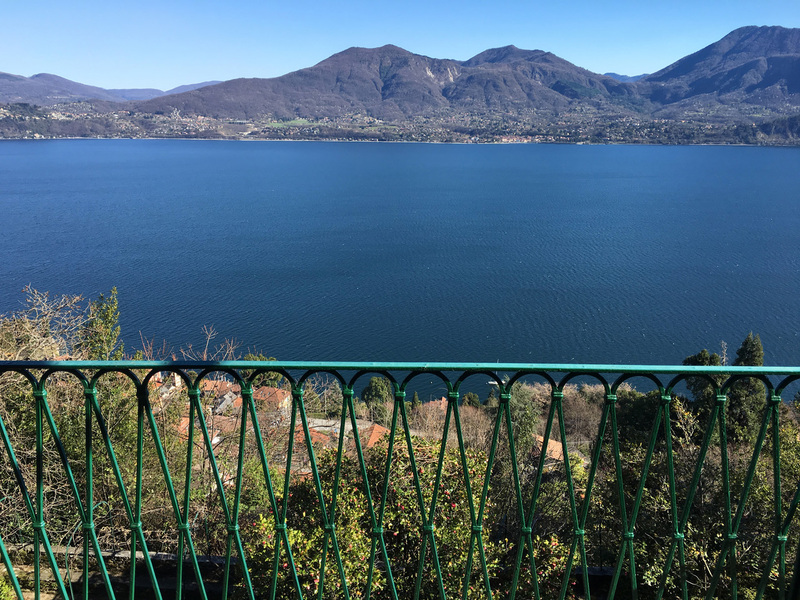 Apartment on the second foor of a two-family-house, very sunny and carefully renovated, with balcony and beautiful view on the lake and Verbania. 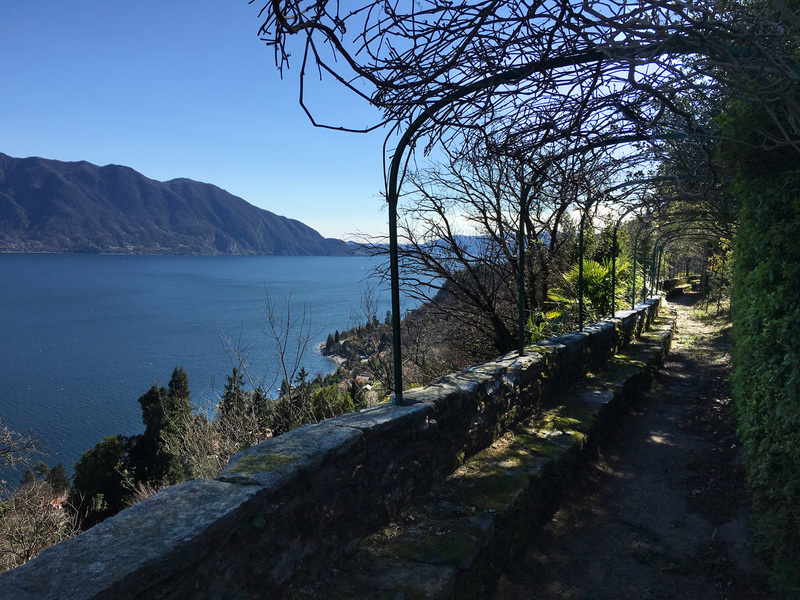 Beautiful hiking trails for the Val Grande National Park near the apartment. 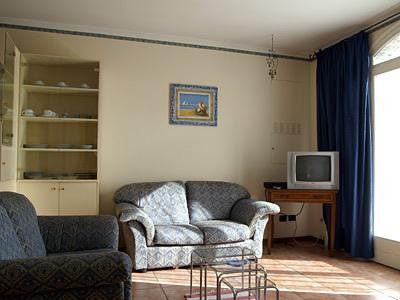 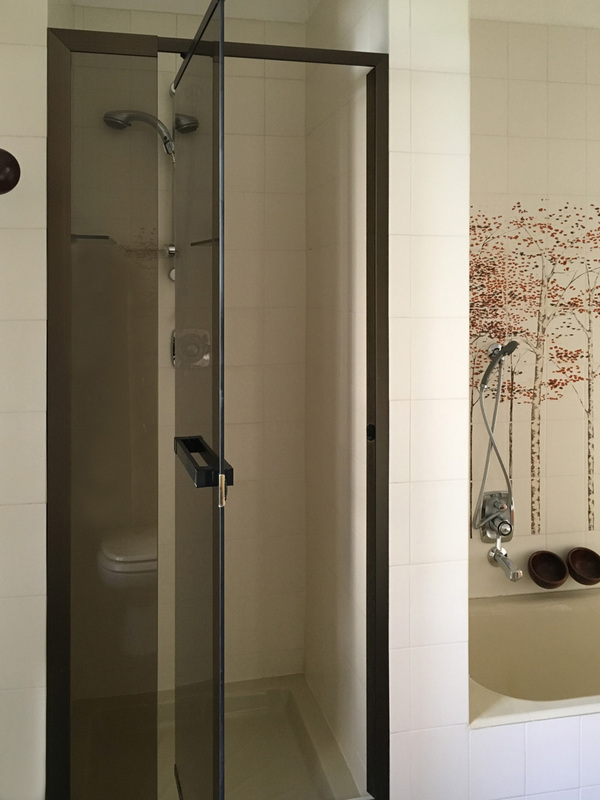 Rooms: livingroom with balcony, two bedrooms and bathroom with bathtub. 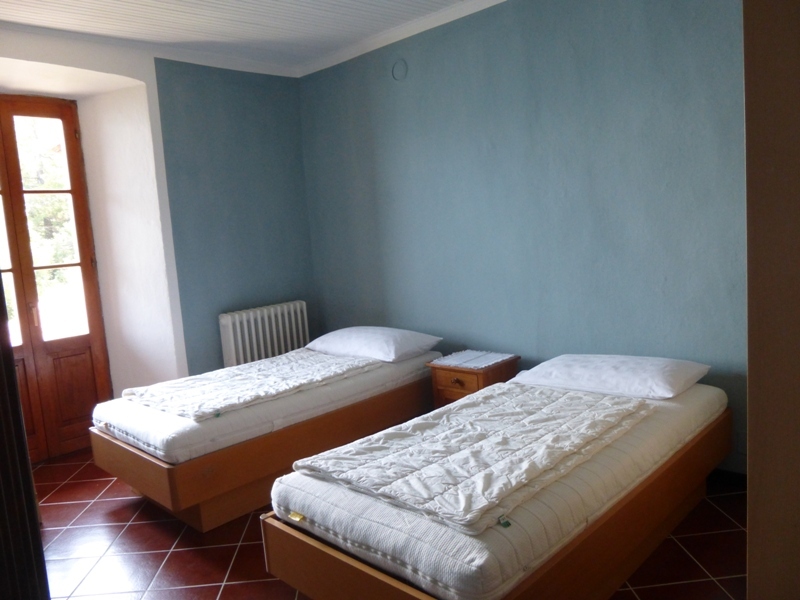 Places to sleep: two bedrooms with double bed. 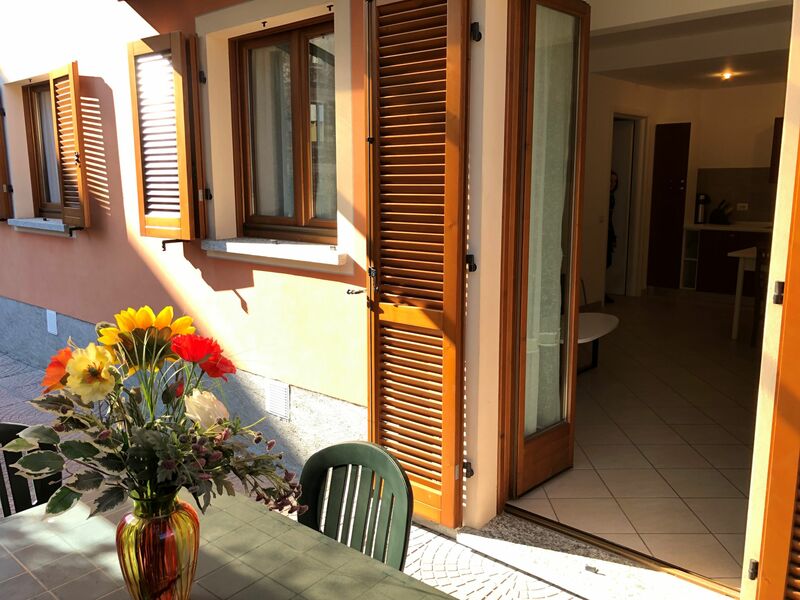 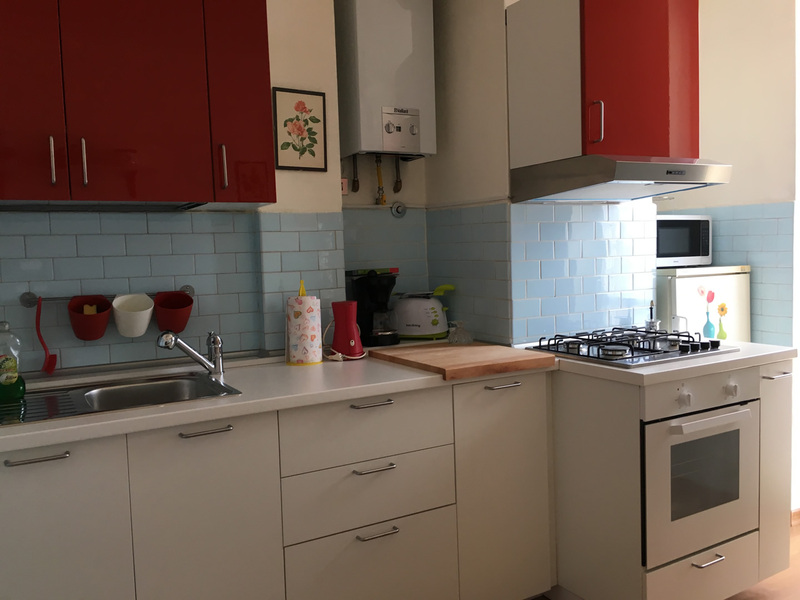 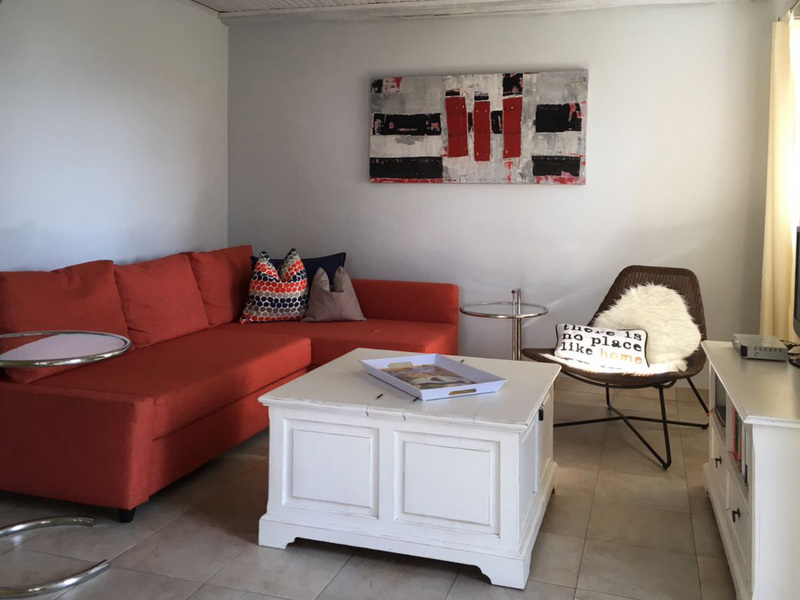 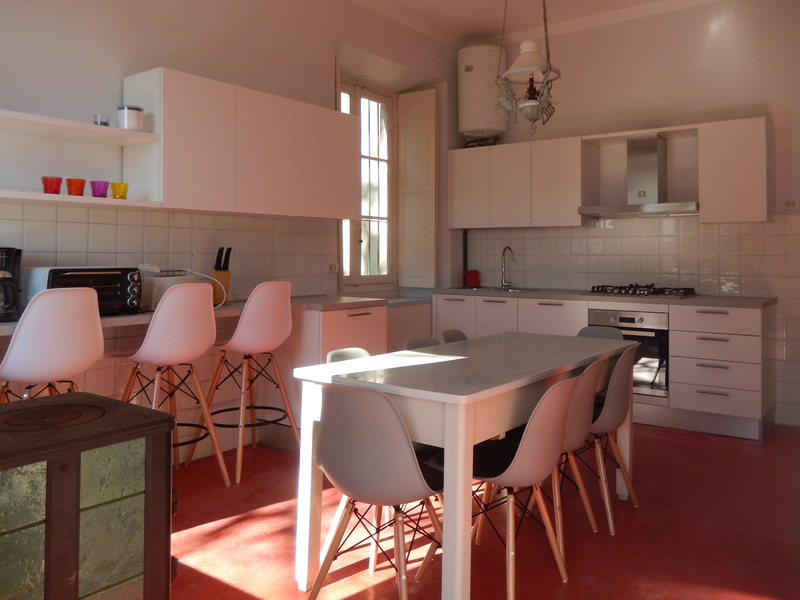 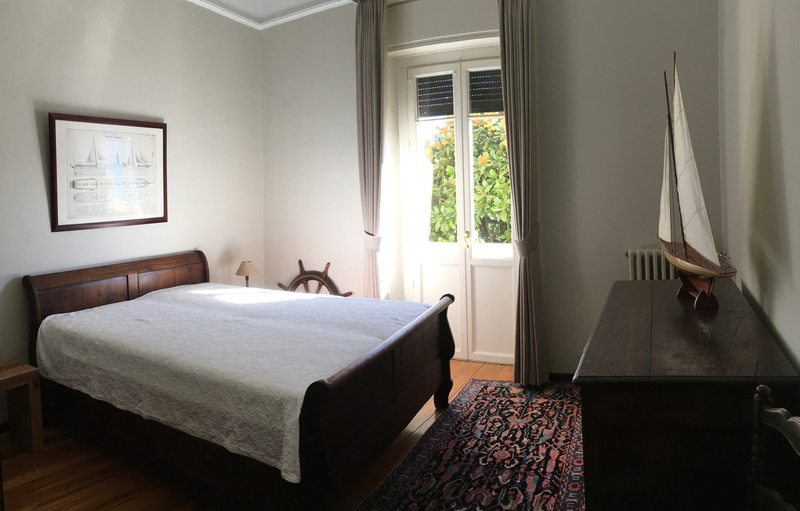 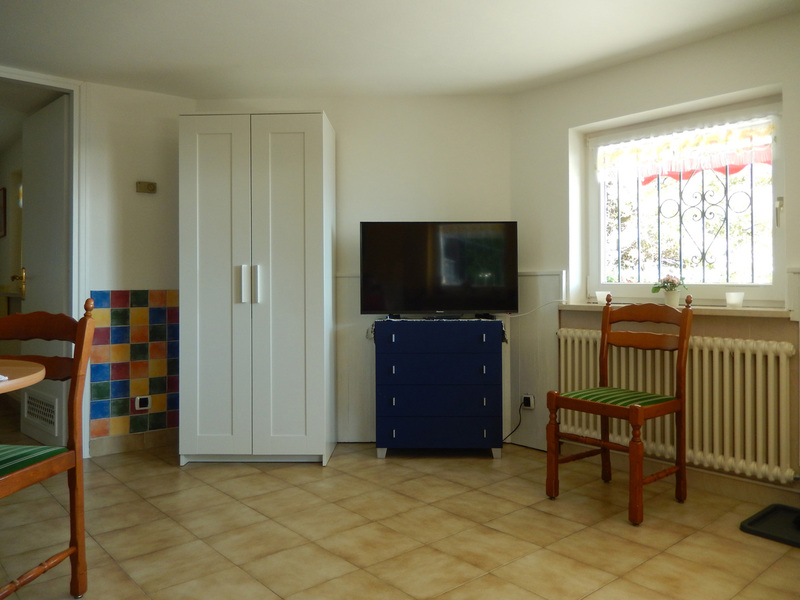 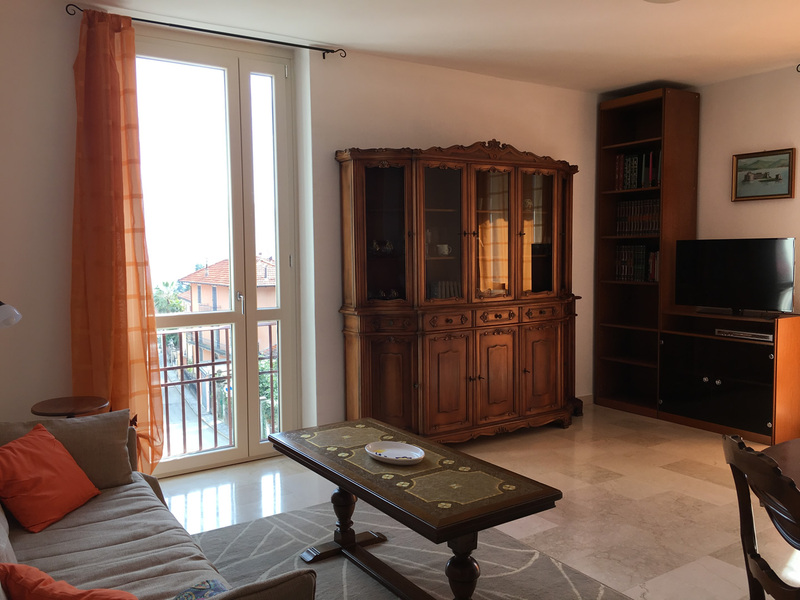 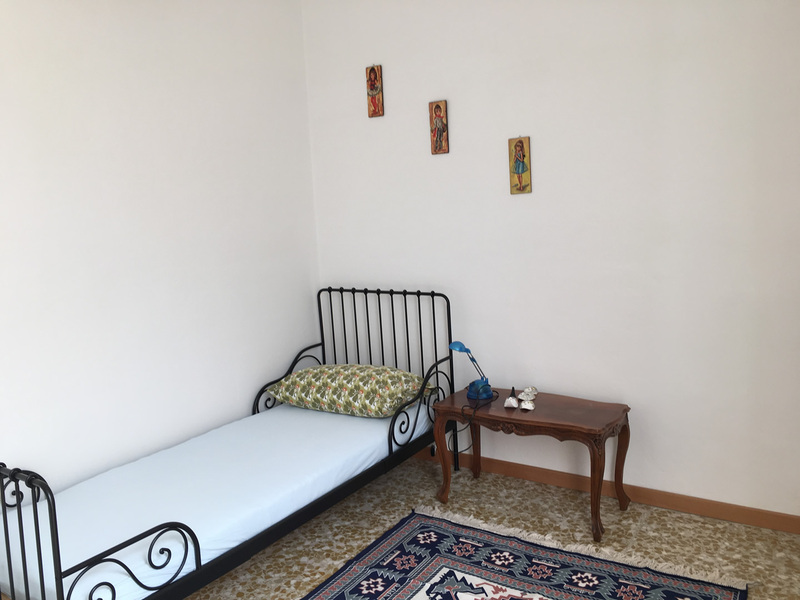 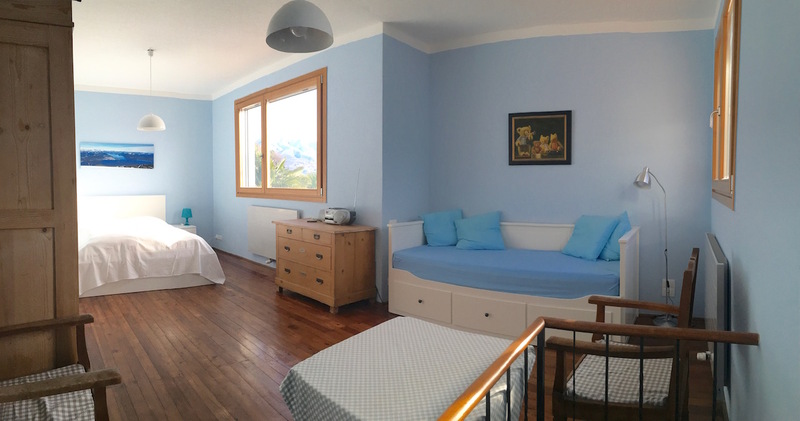 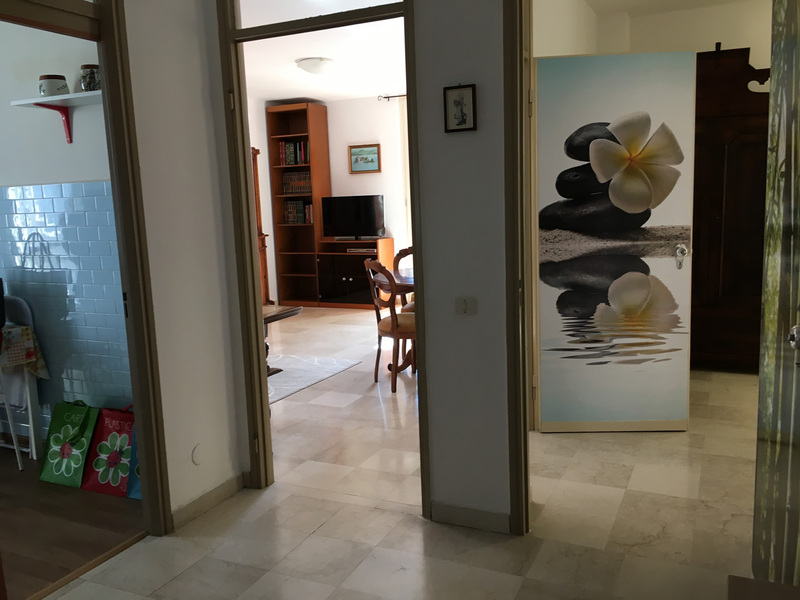 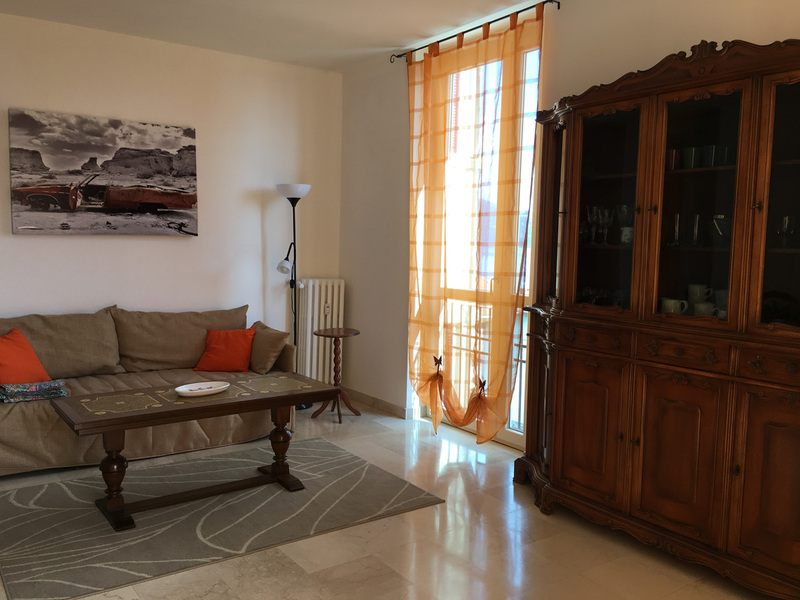 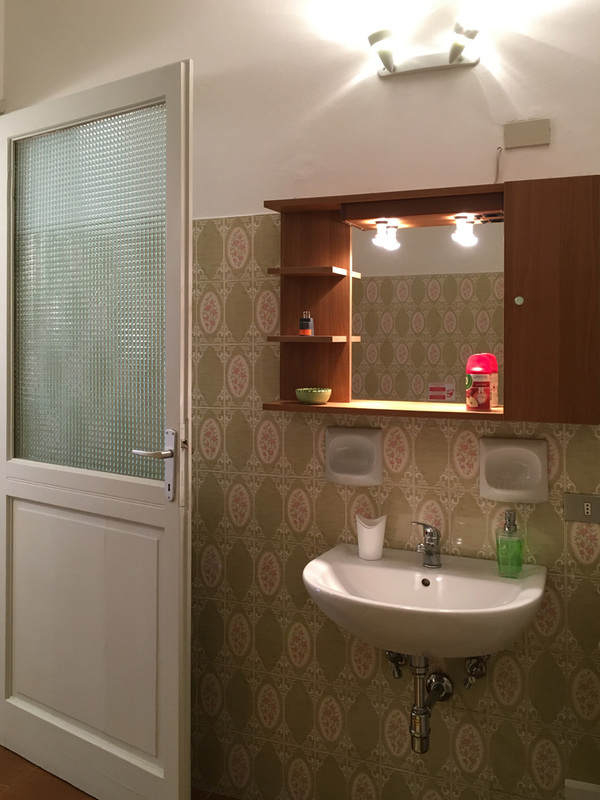 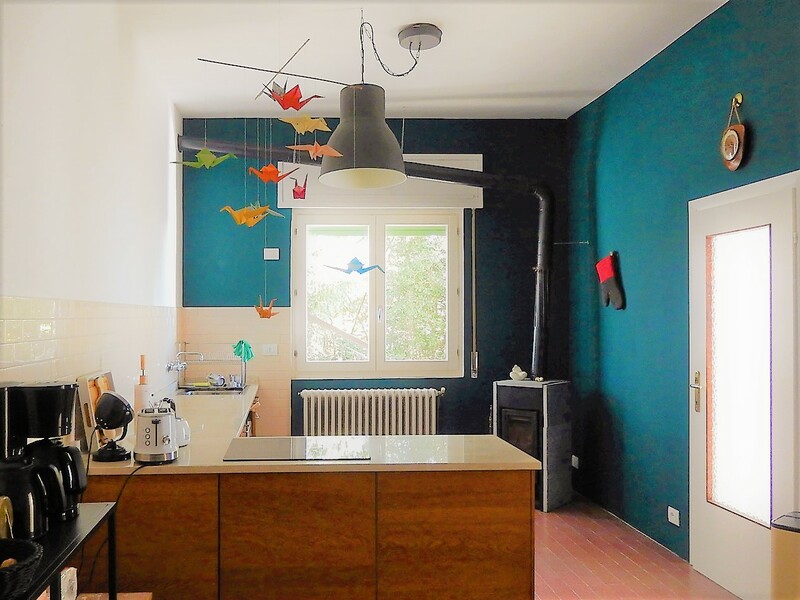 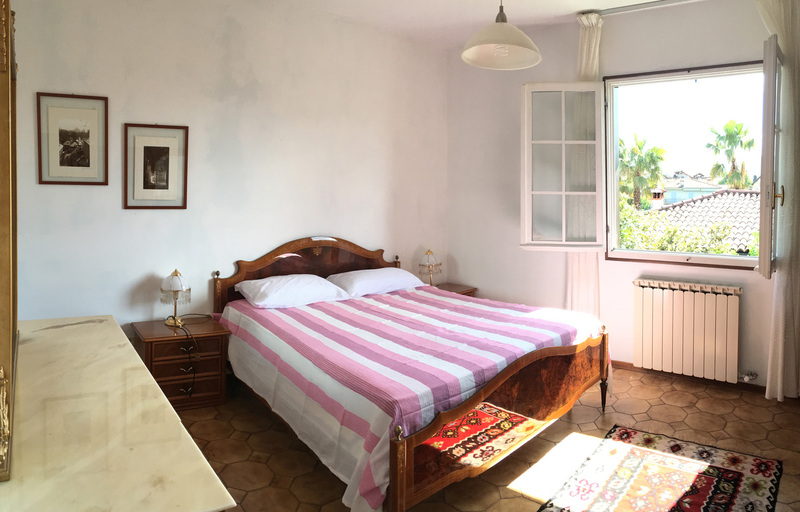 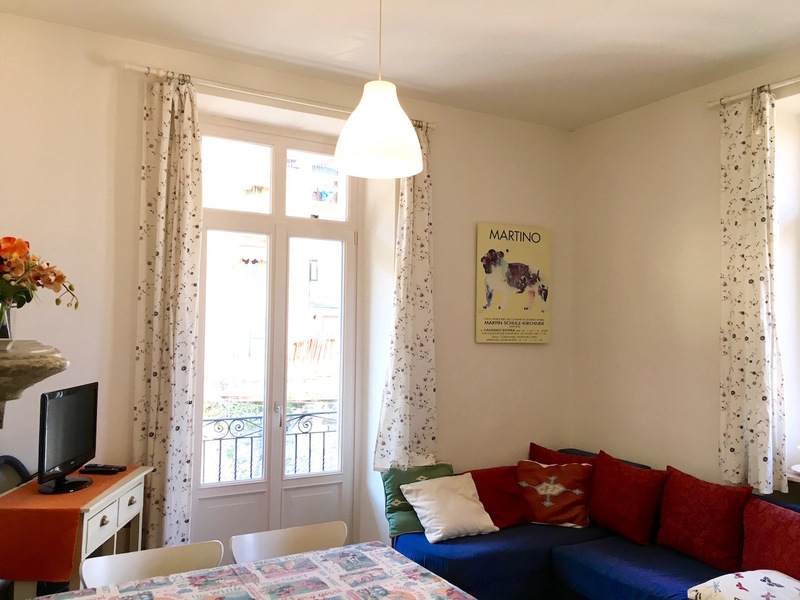 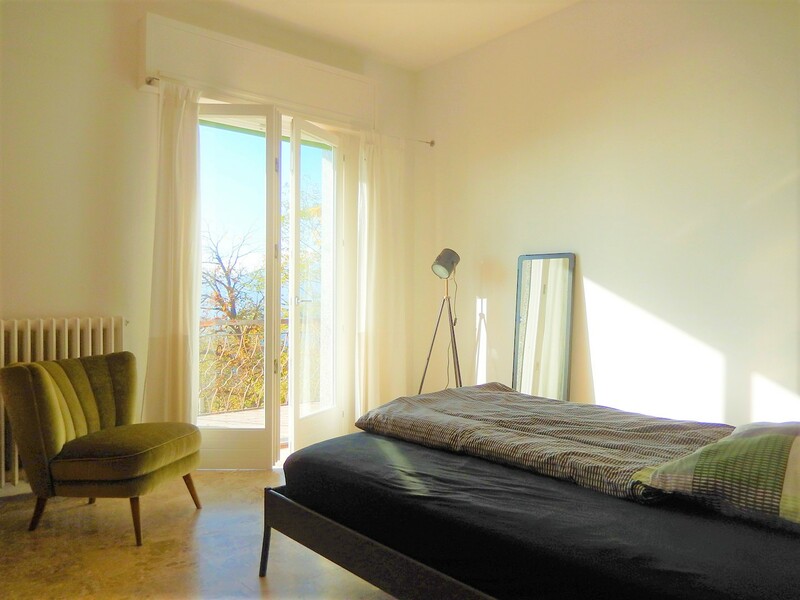 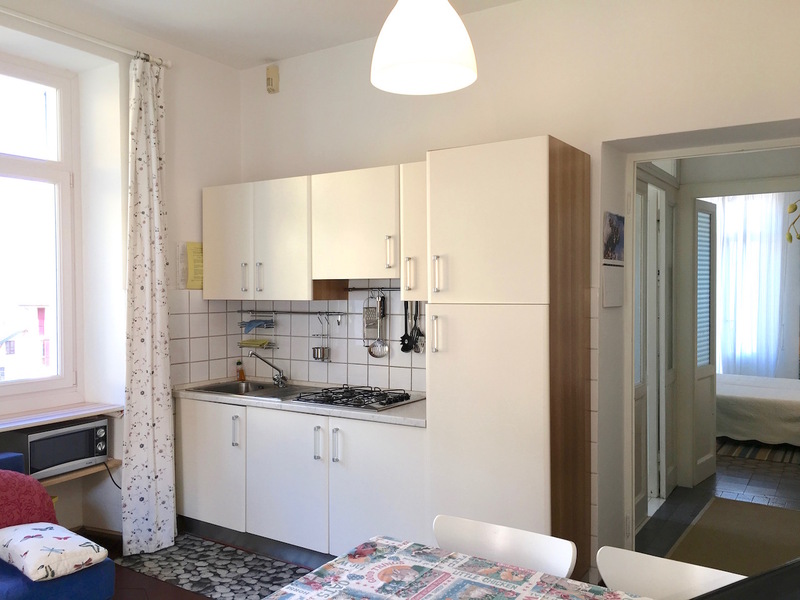 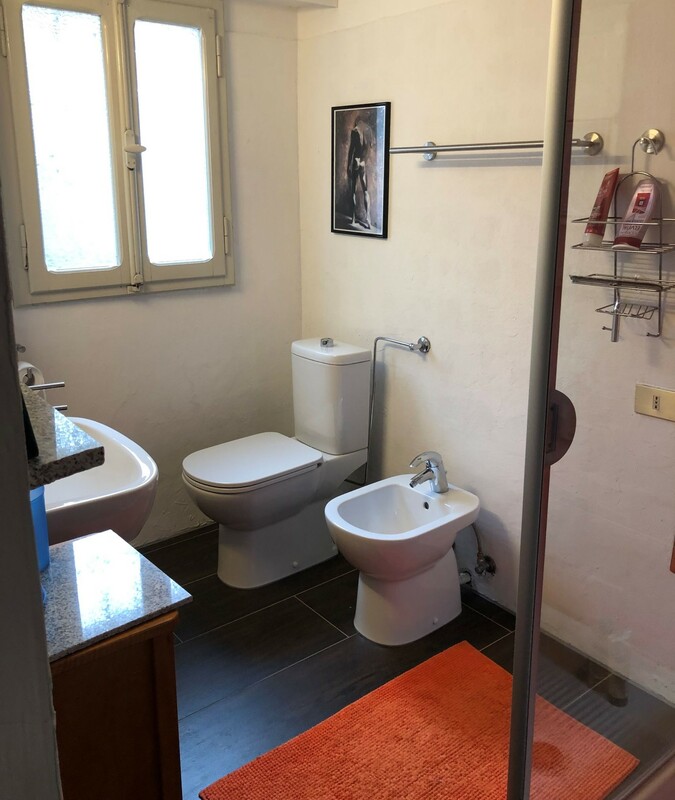 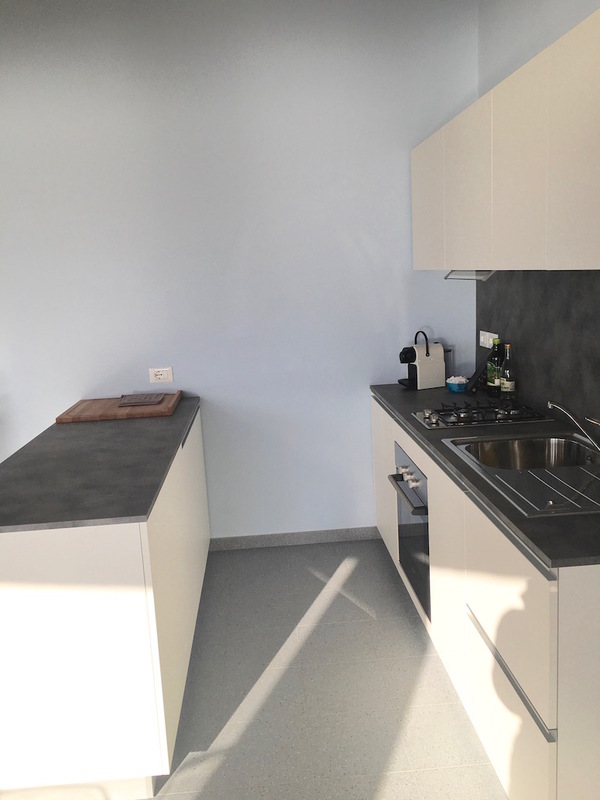 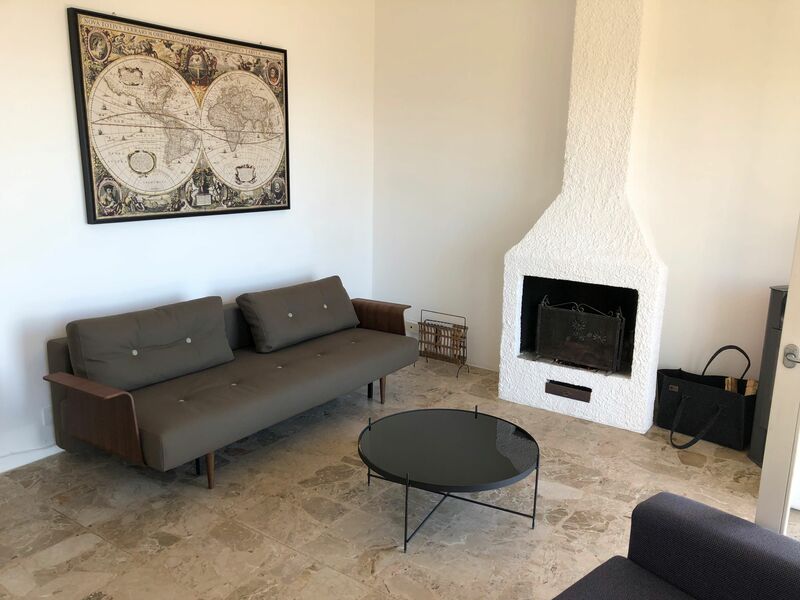 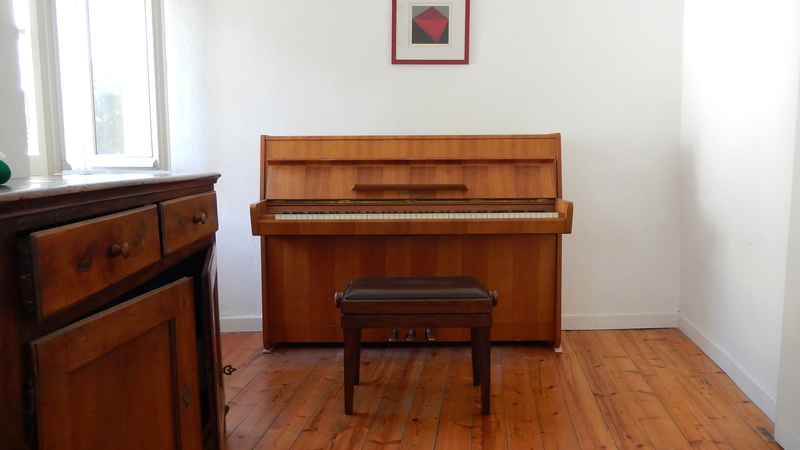 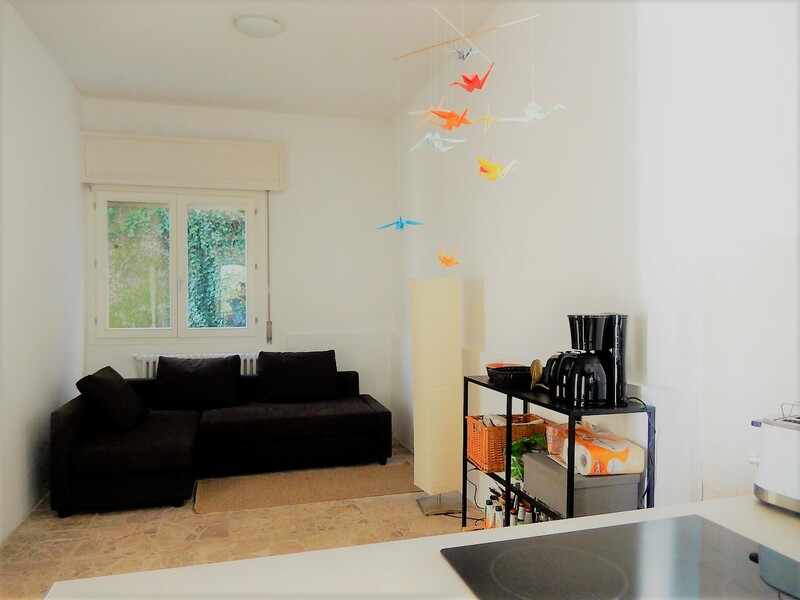 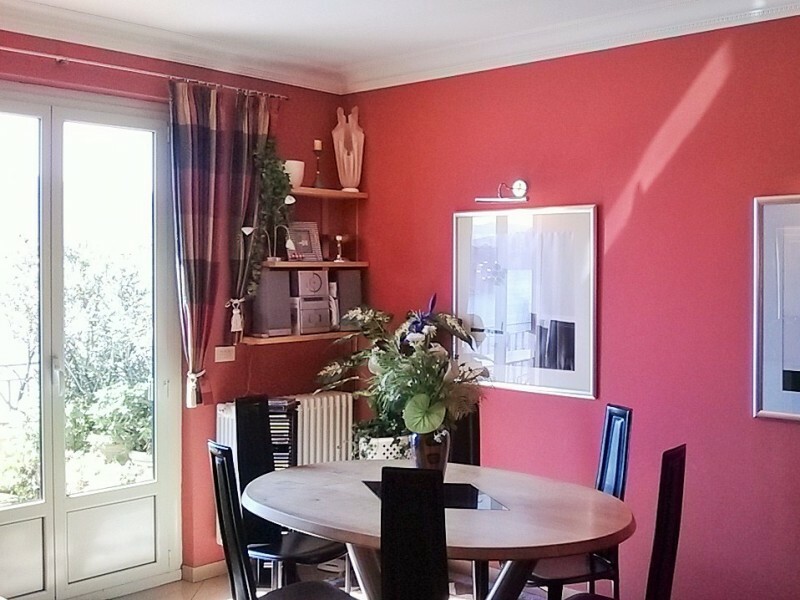 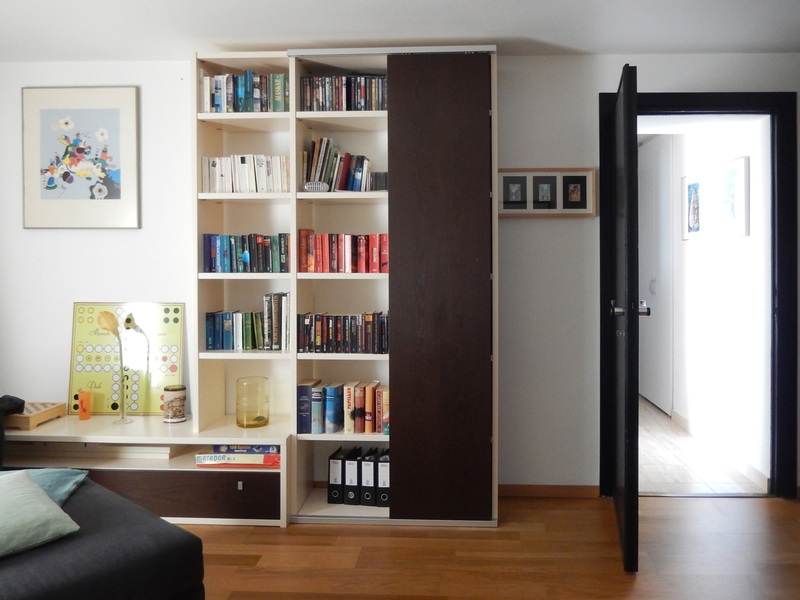 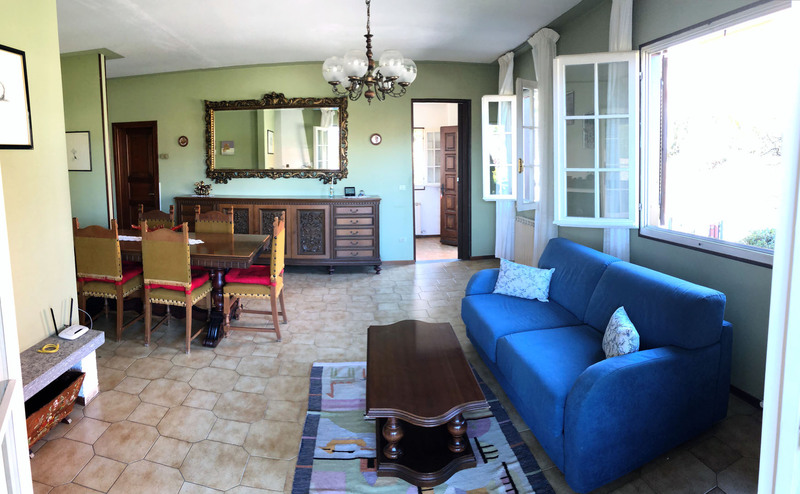 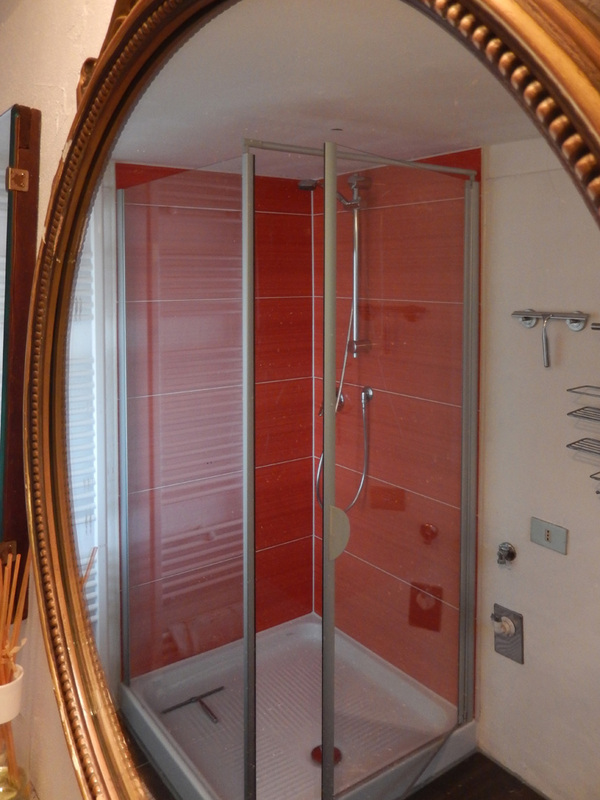 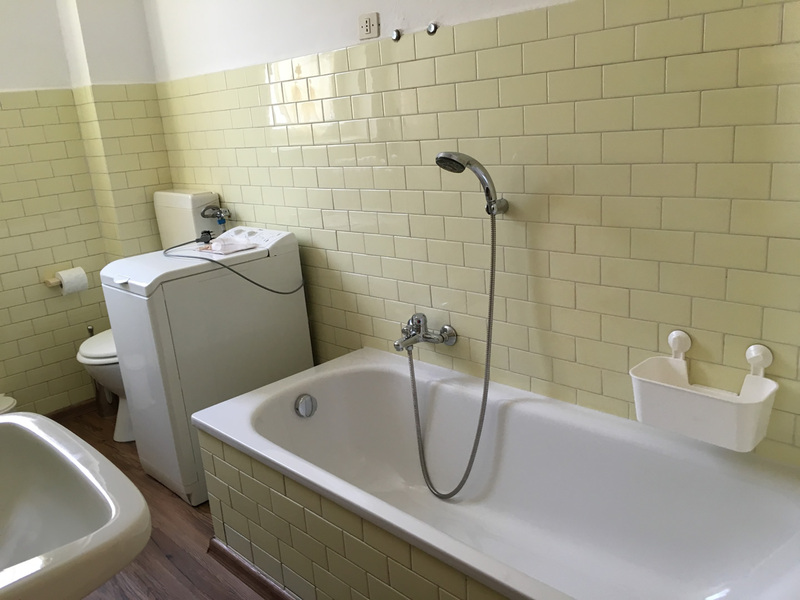 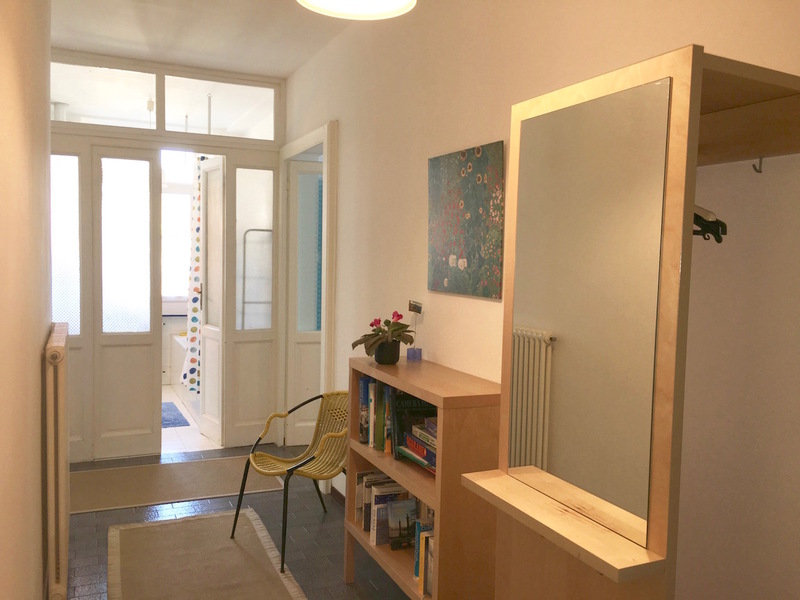 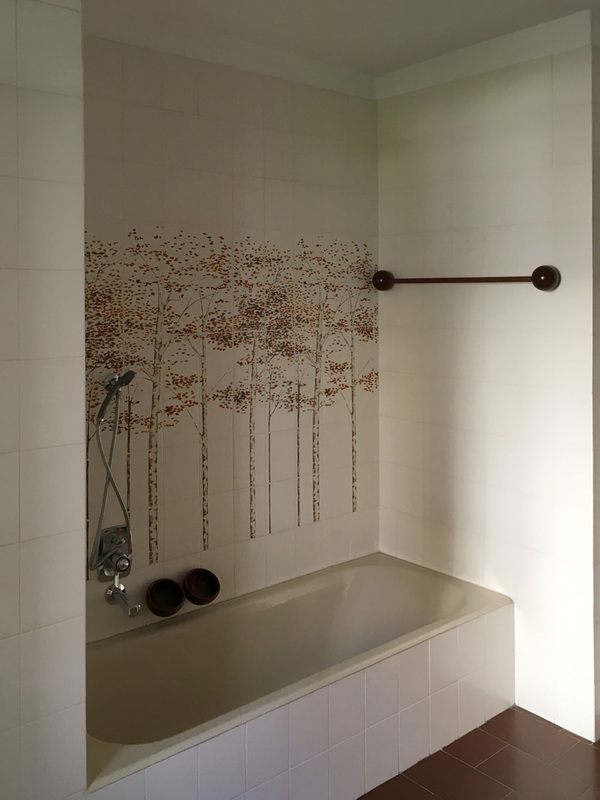 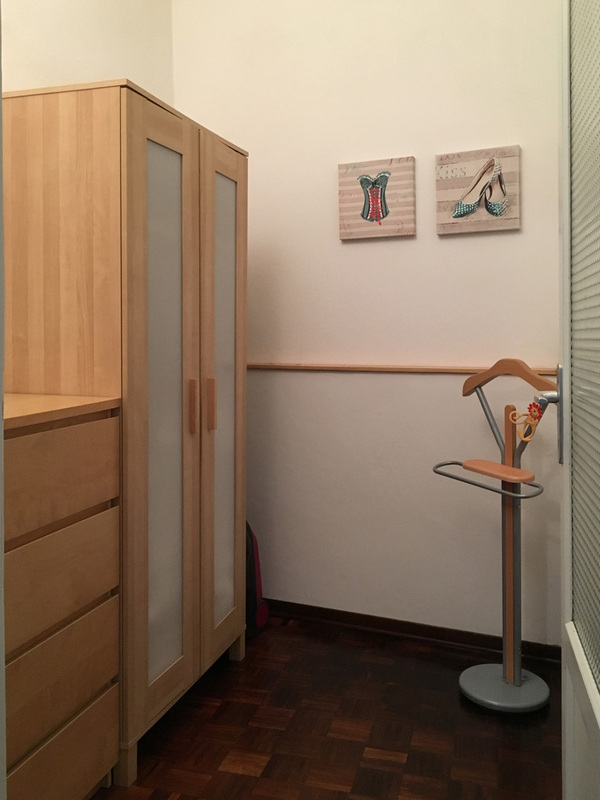 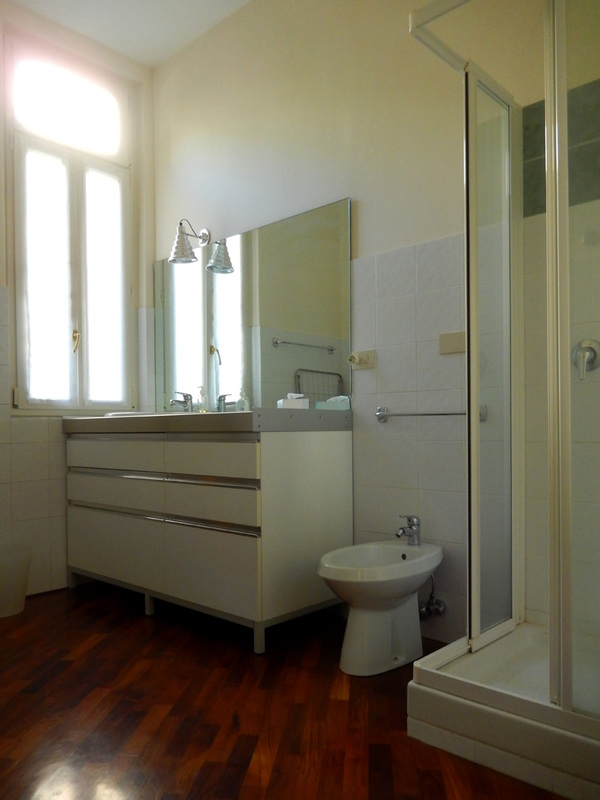 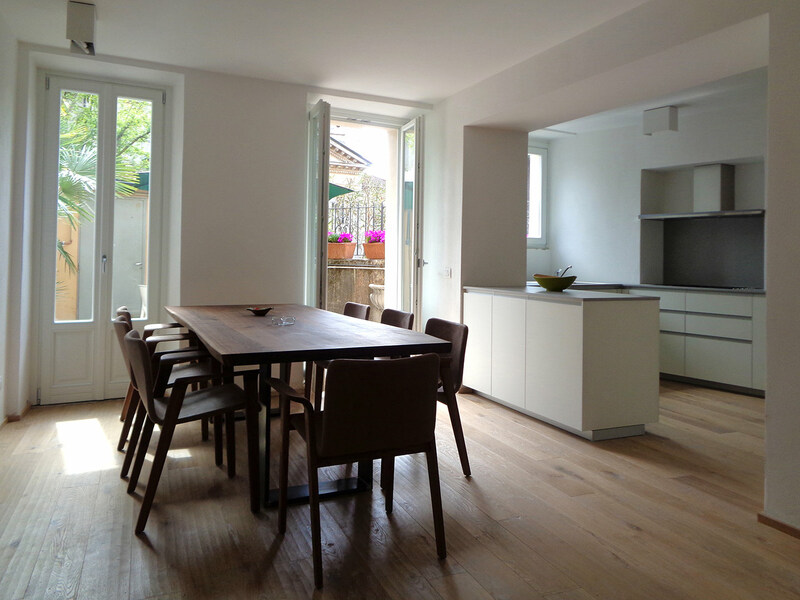 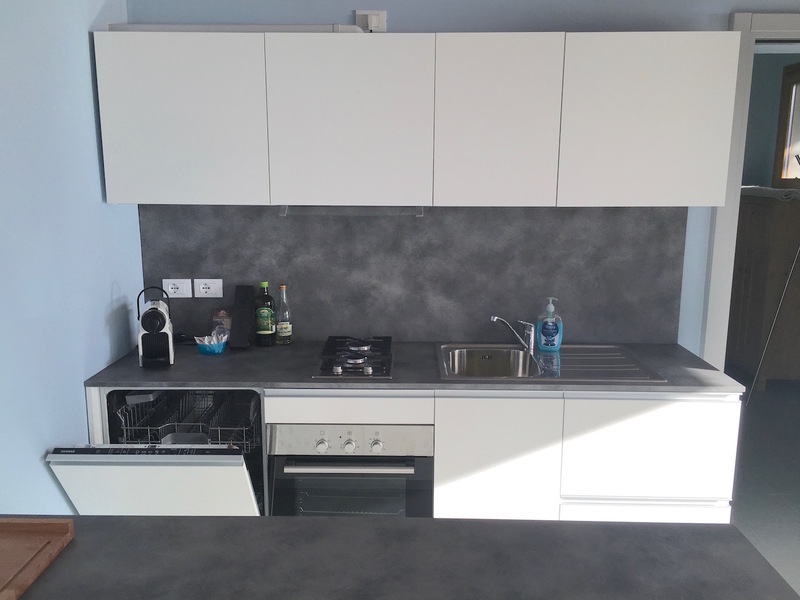 Recently renovated apartment on the ground- first floor, with terrace, beautiful lake view, parking and shared terraced garden. 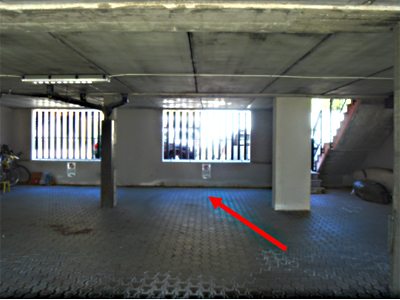 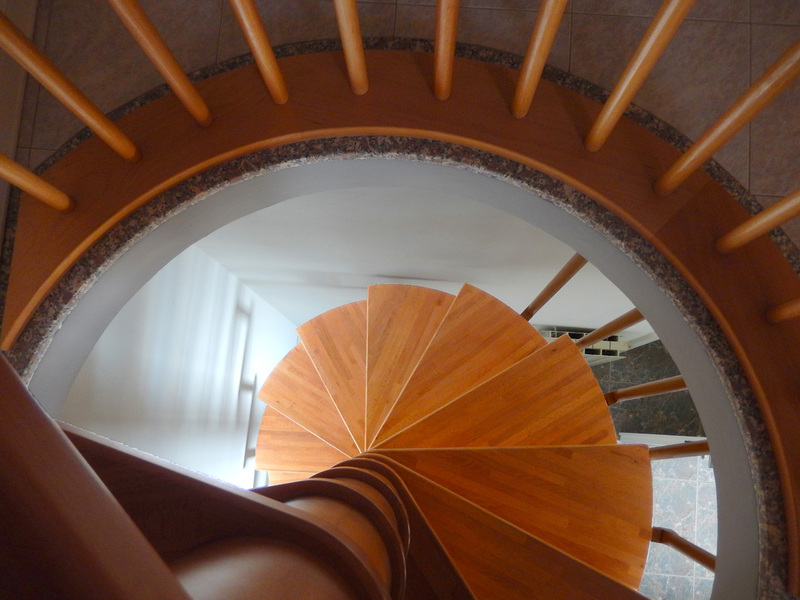 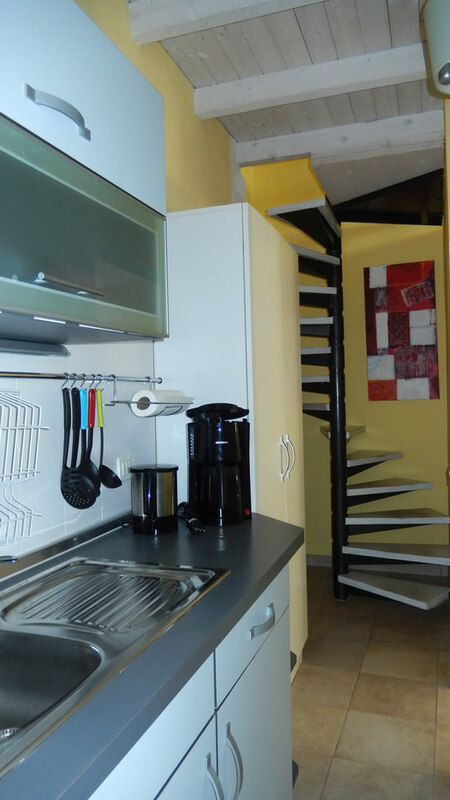 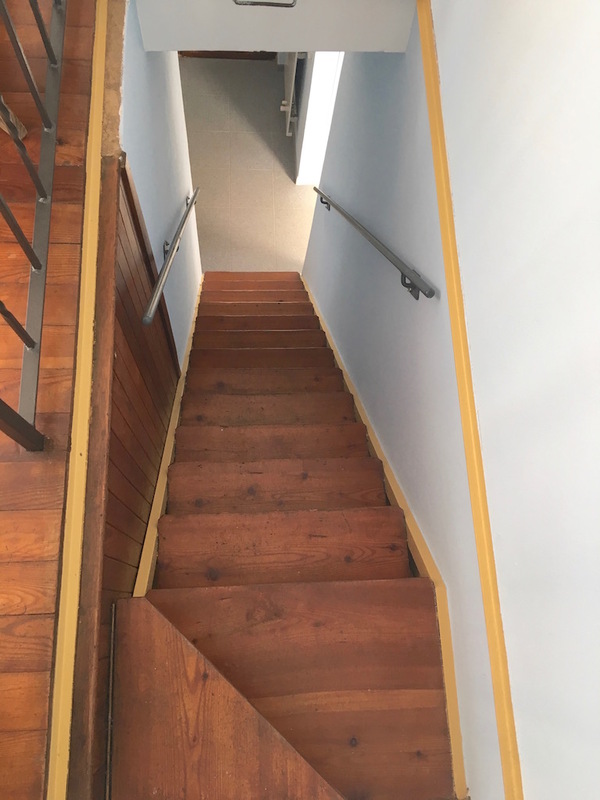 The apartment can be reached from the street level/car park going down three flights of stairs. 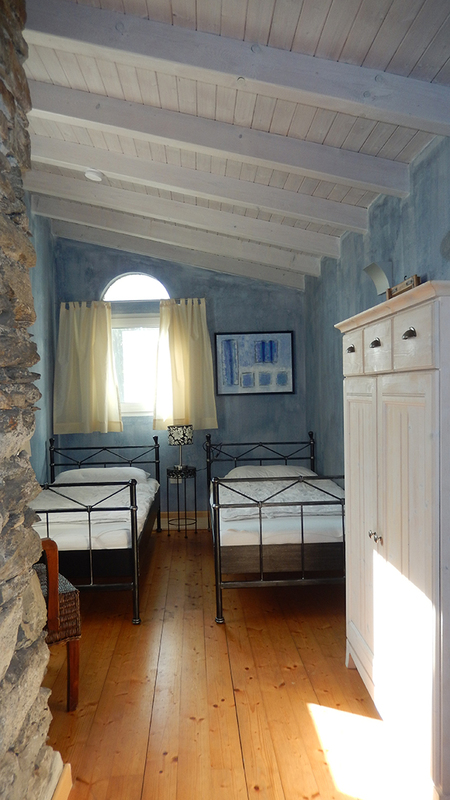 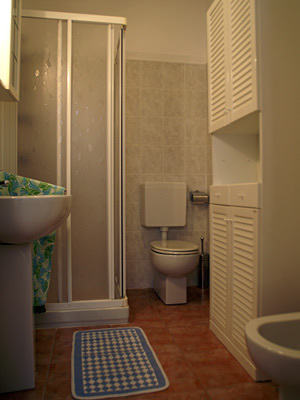 First floor - double bedroom, which can be reached by the spiral staircase. 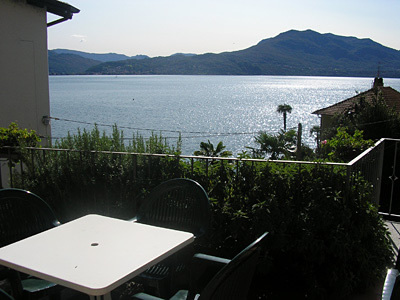 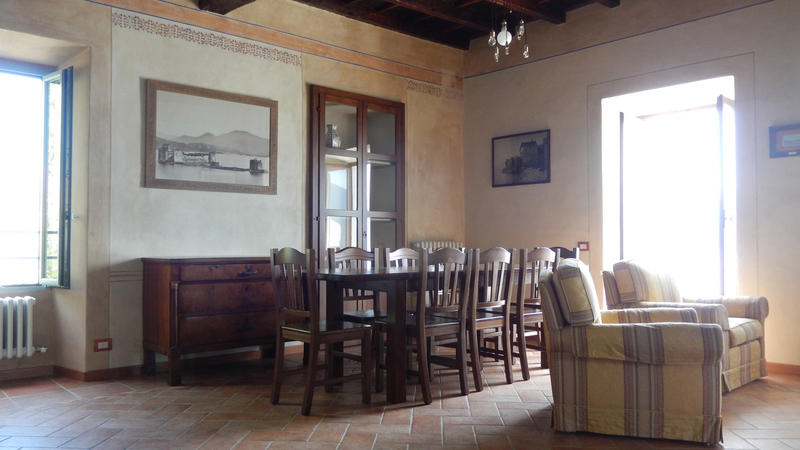 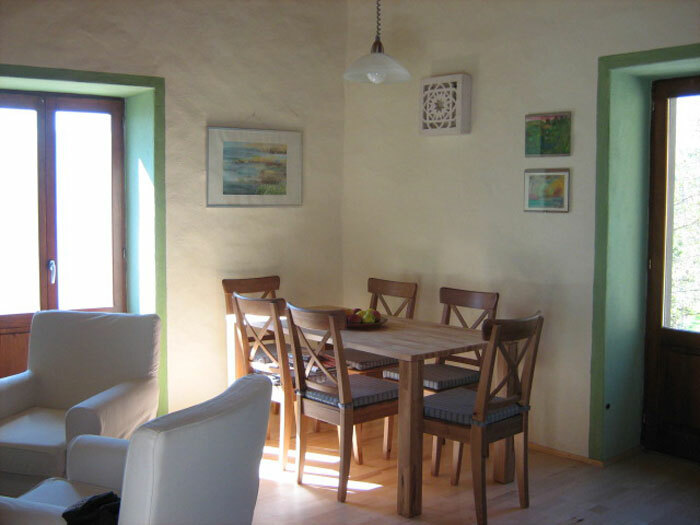 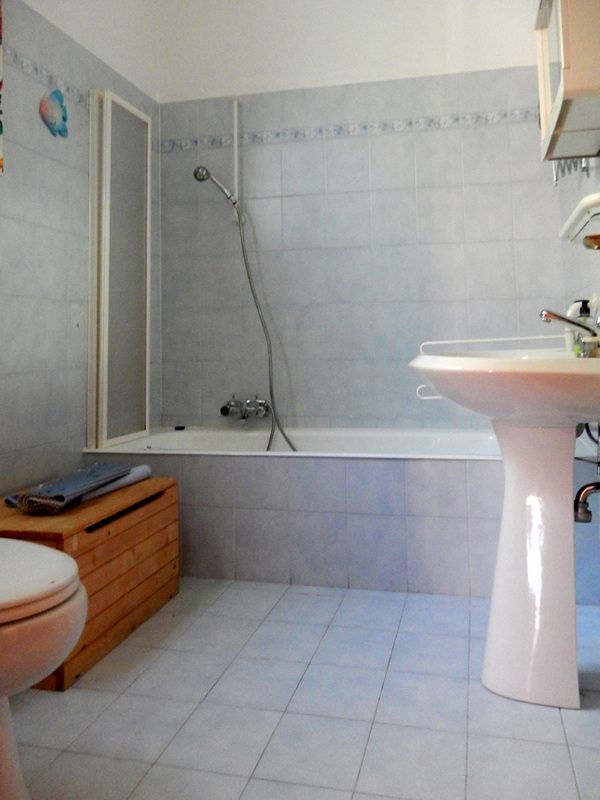 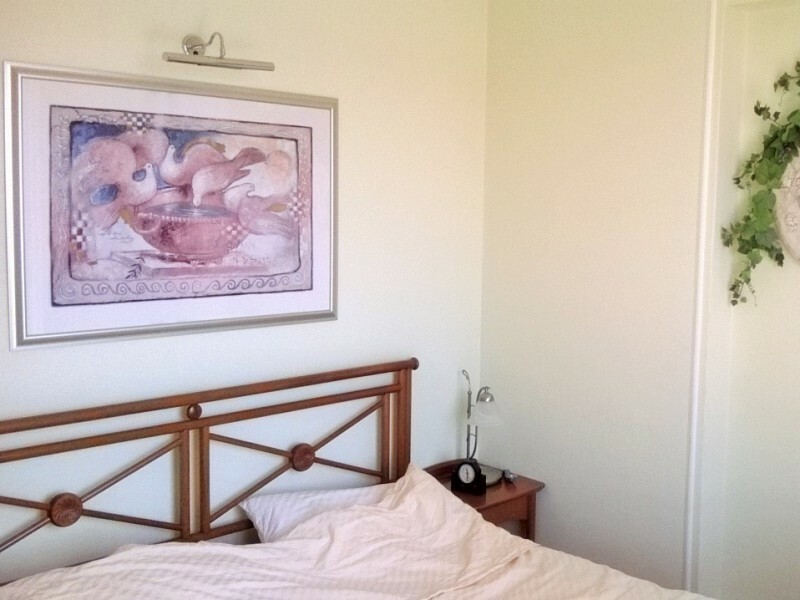 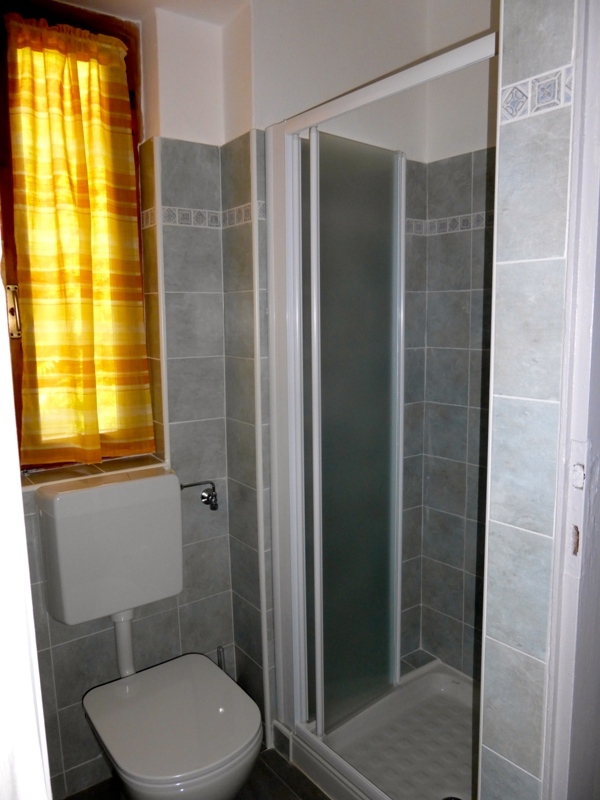 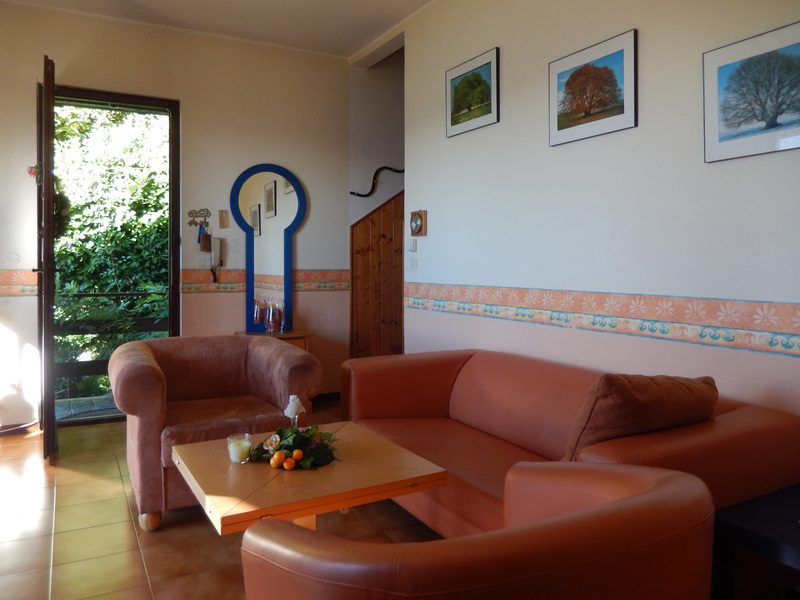 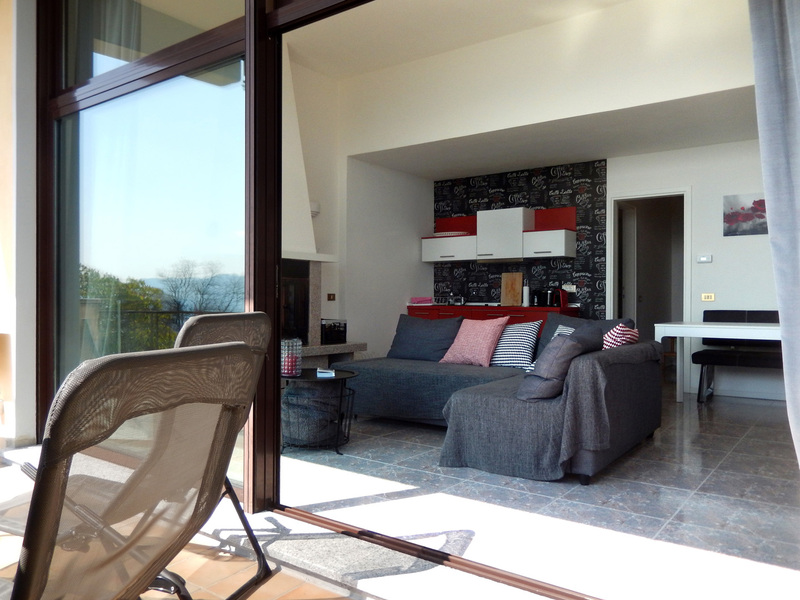 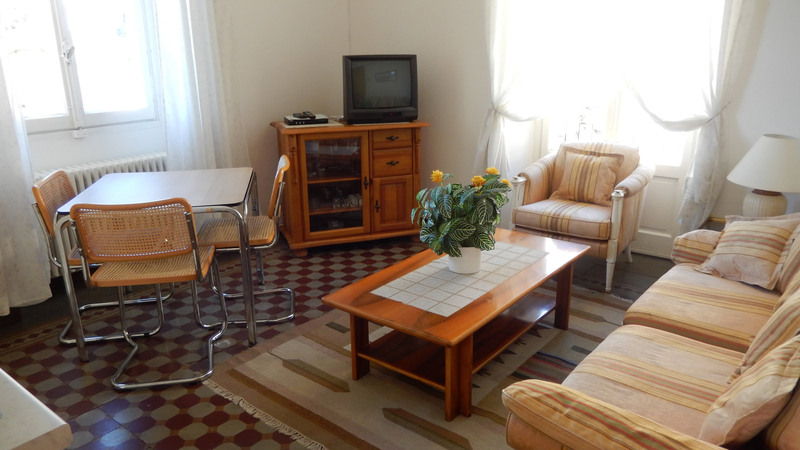 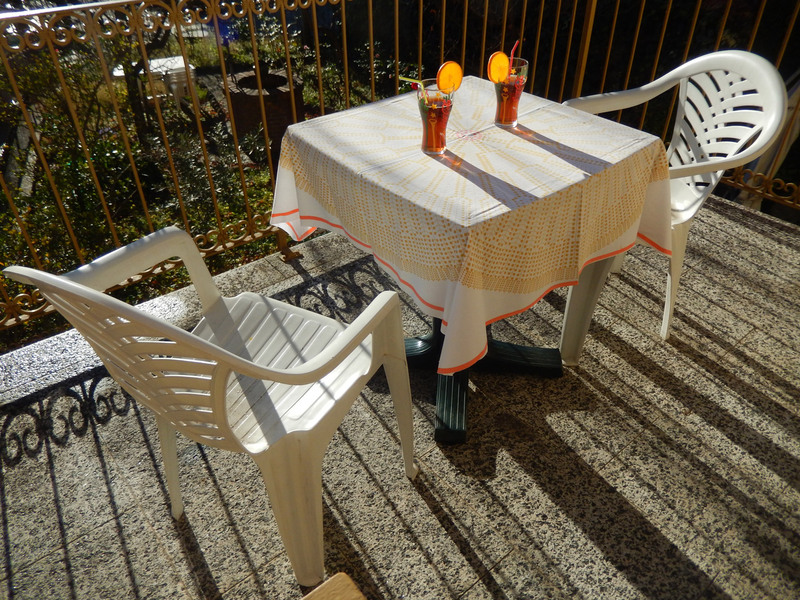 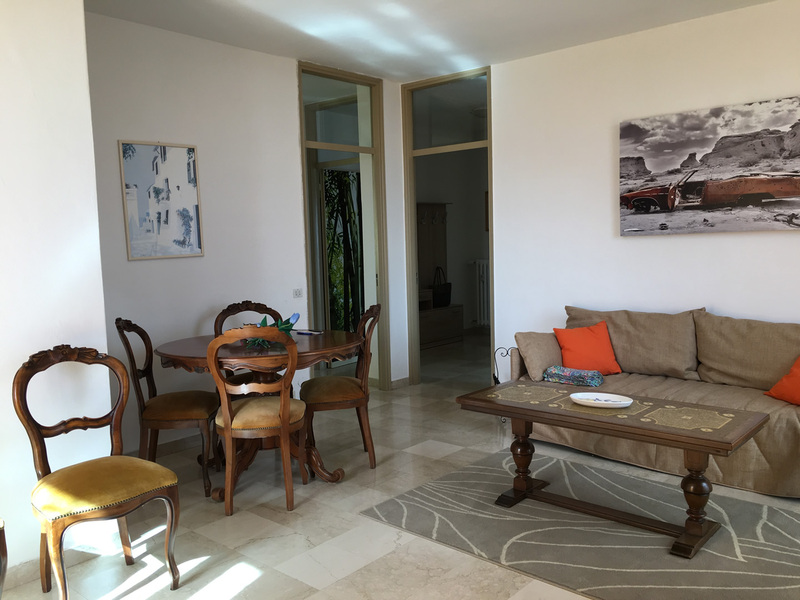 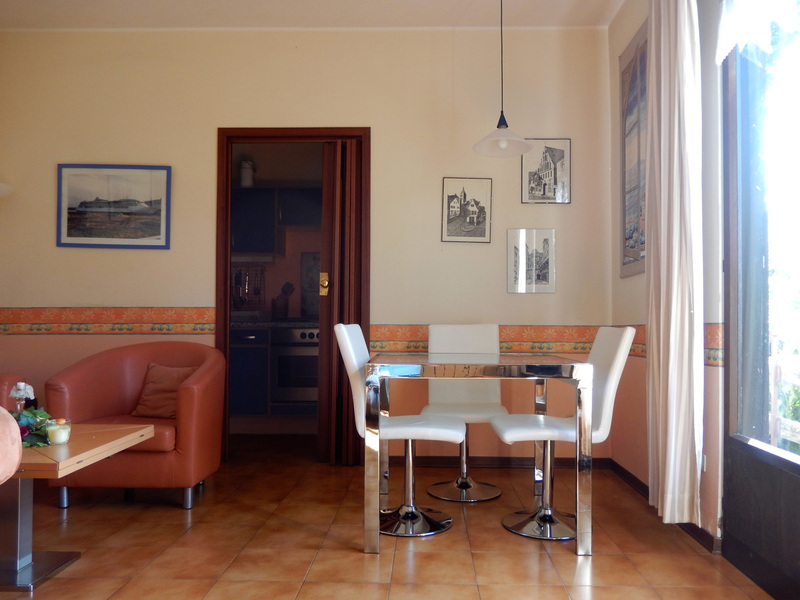 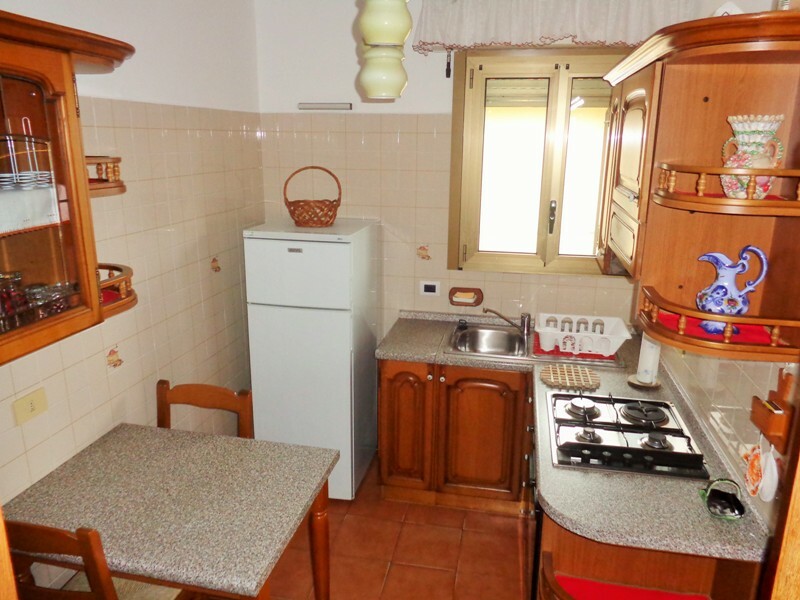 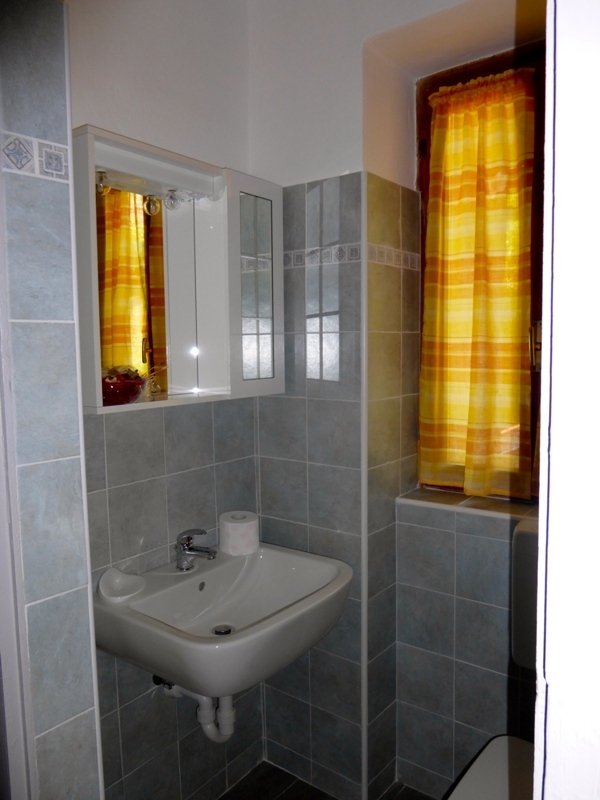 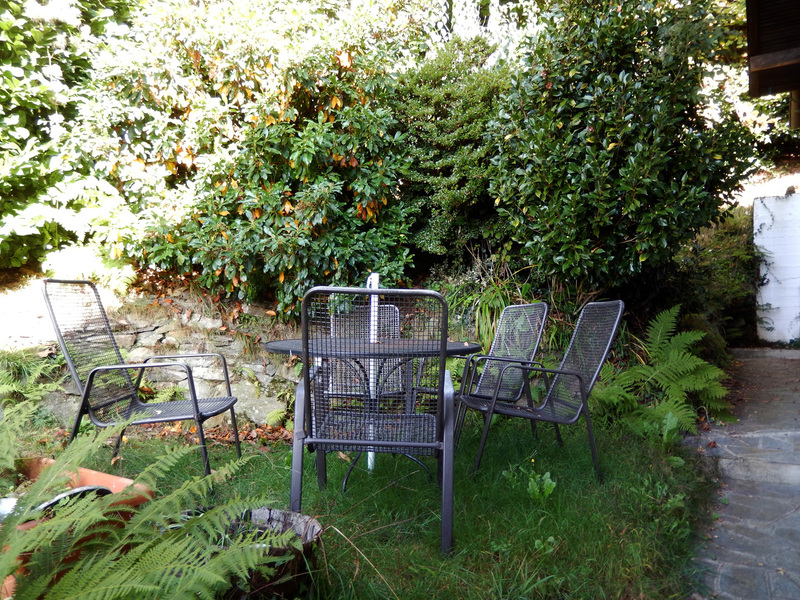 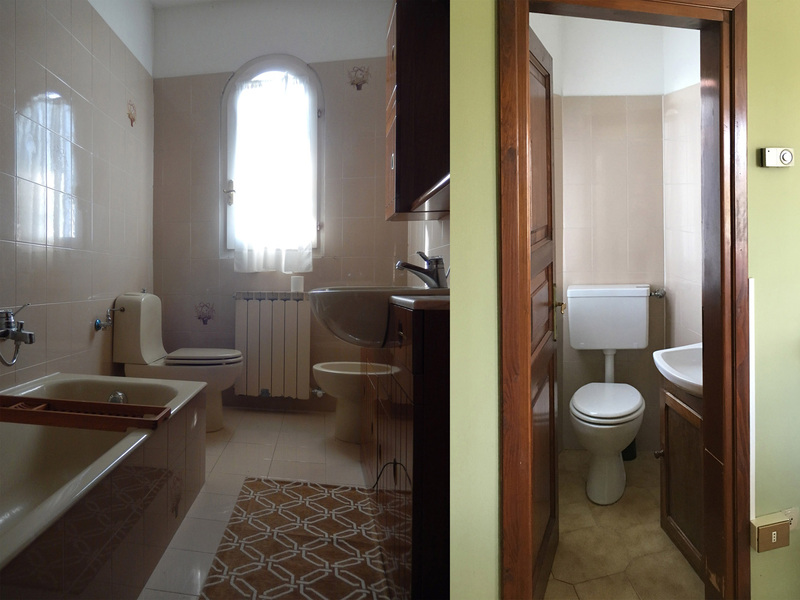 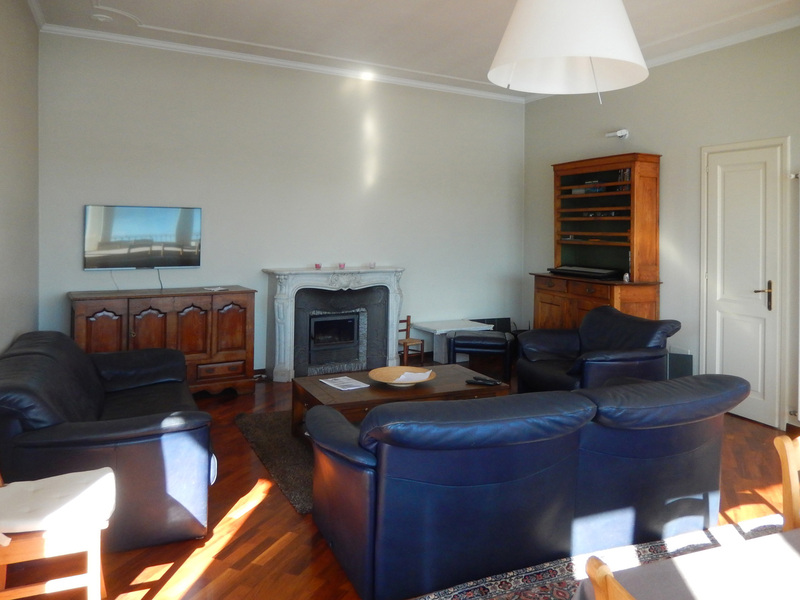 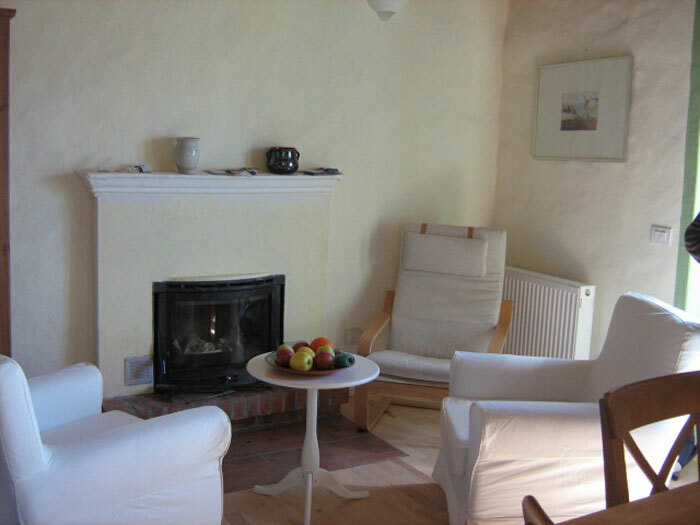 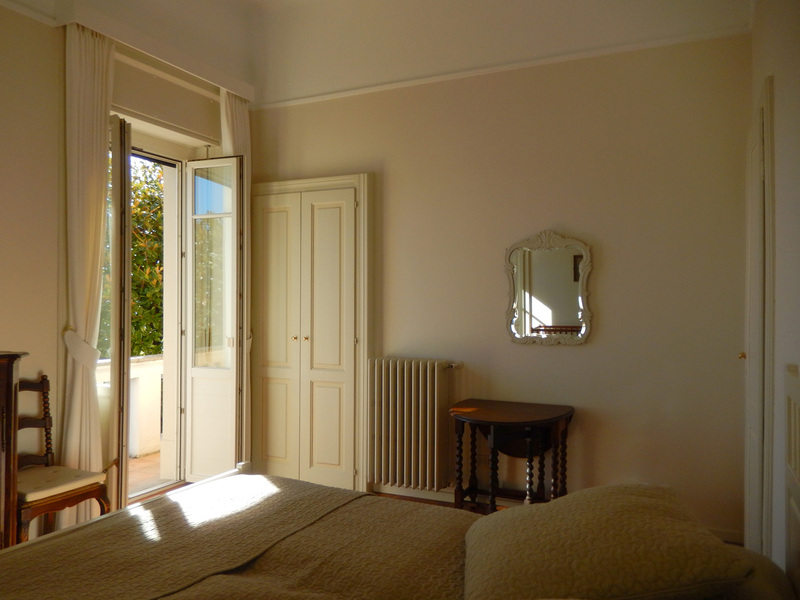 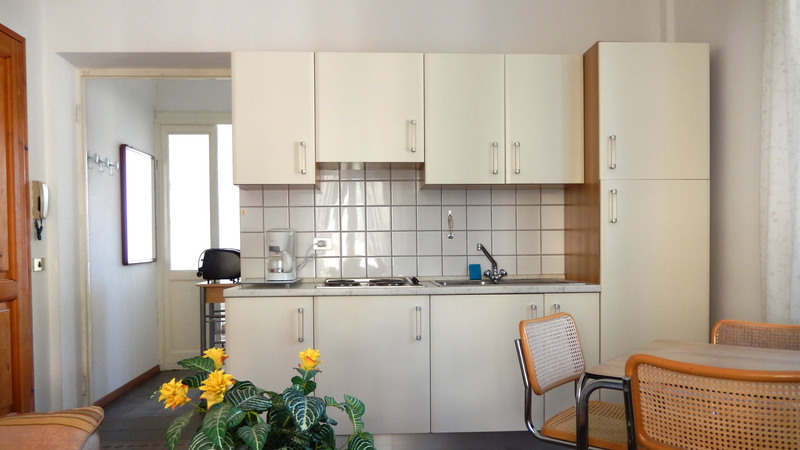 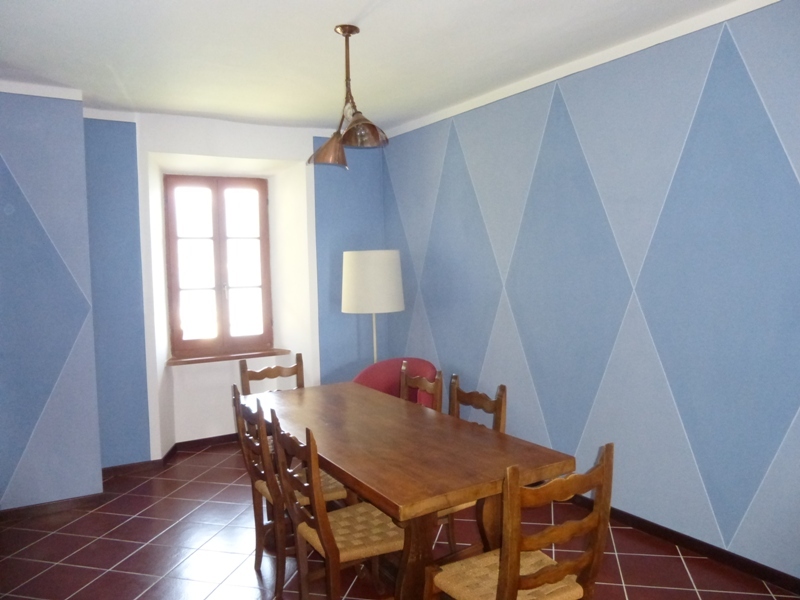 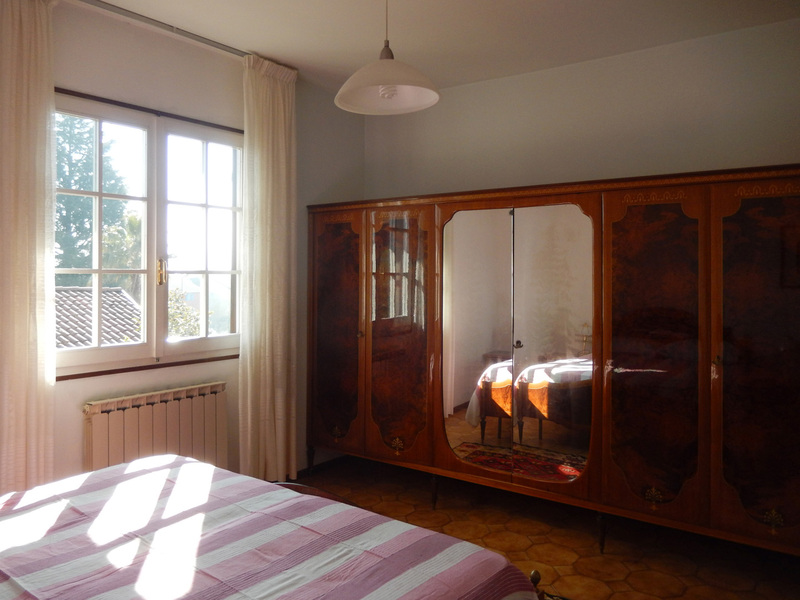 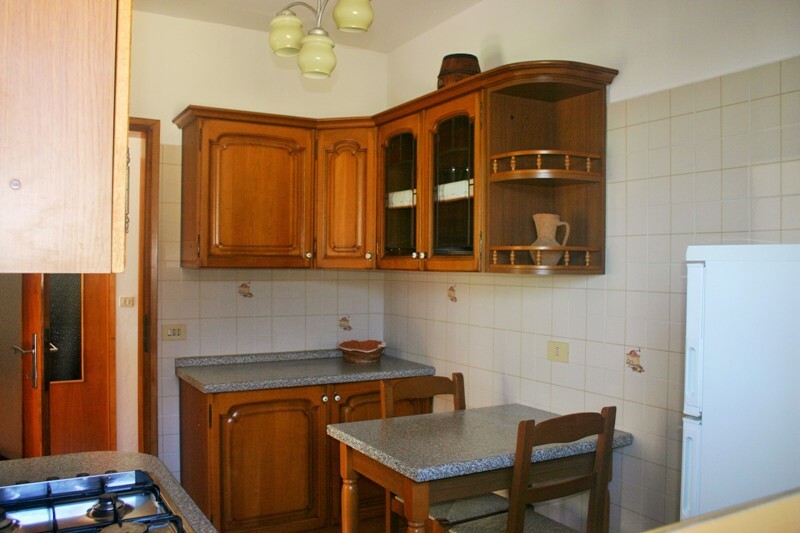 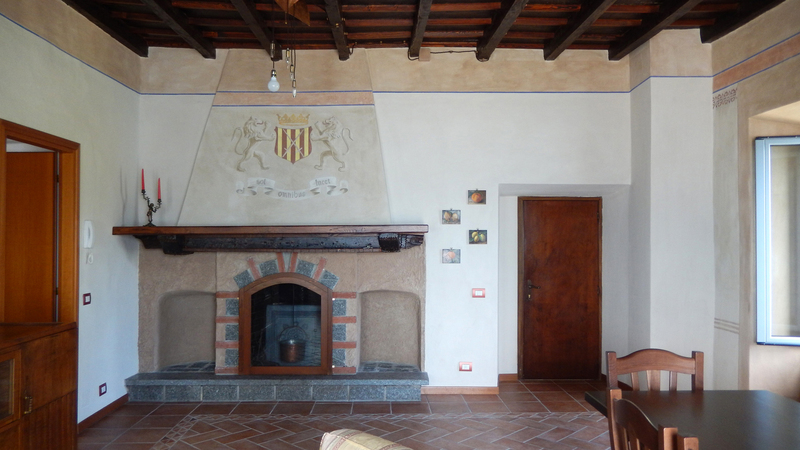 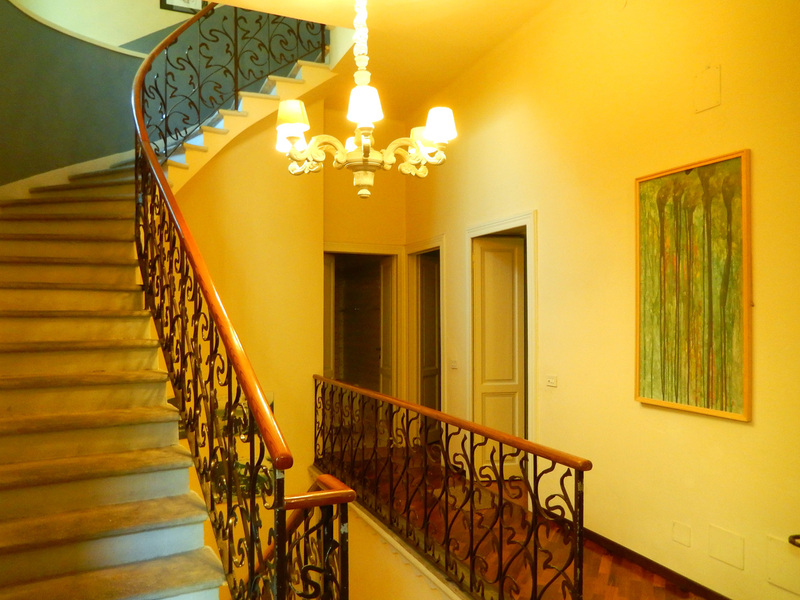 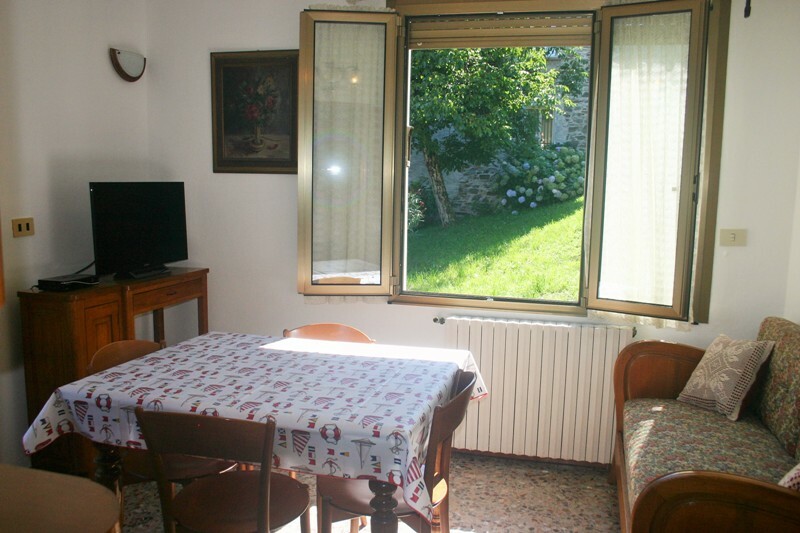 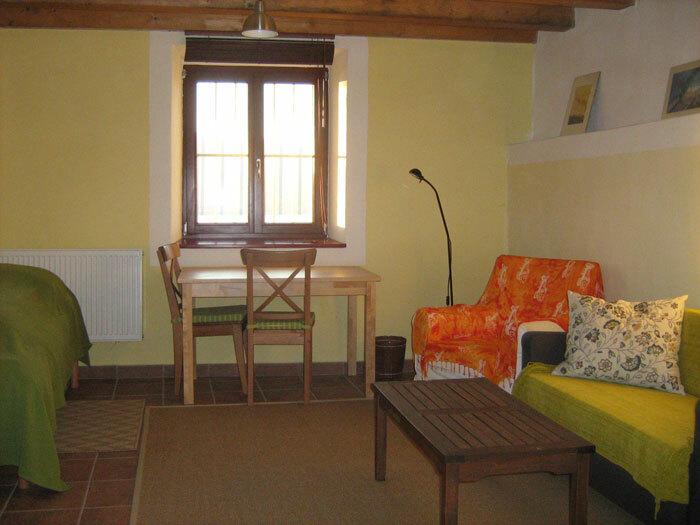 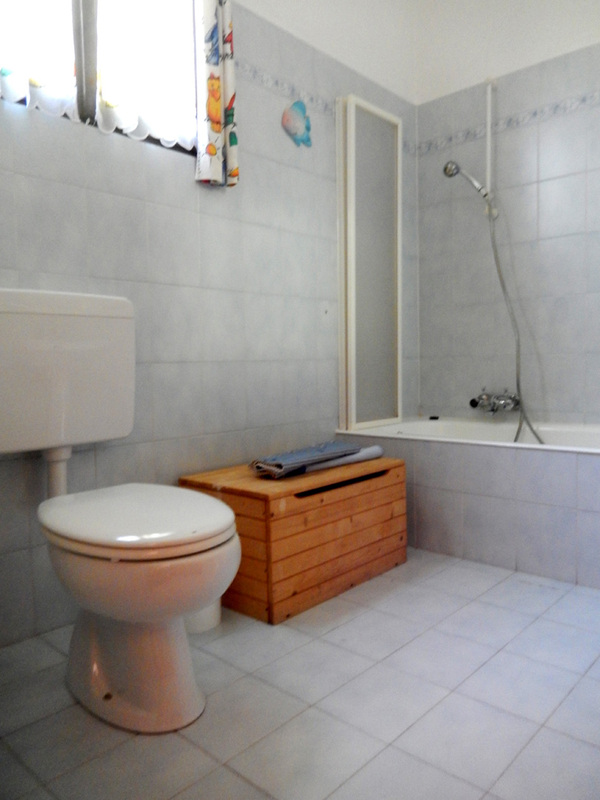 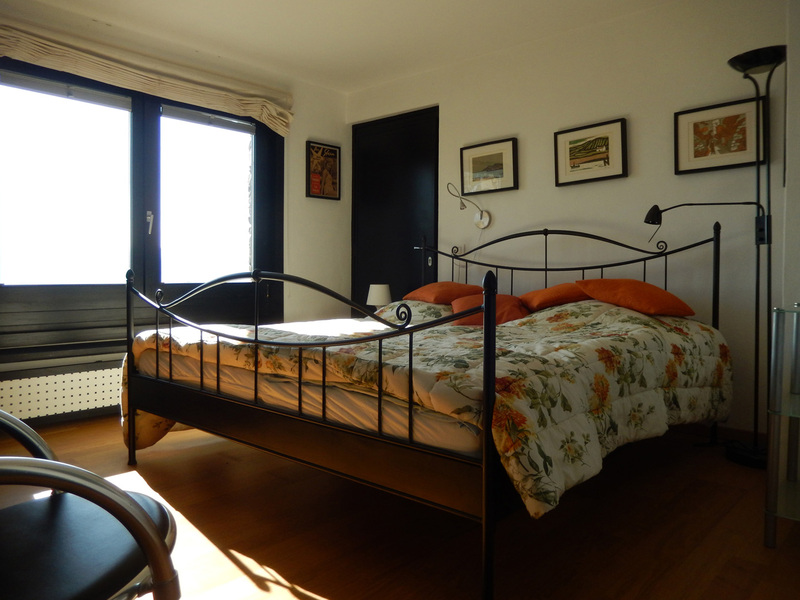 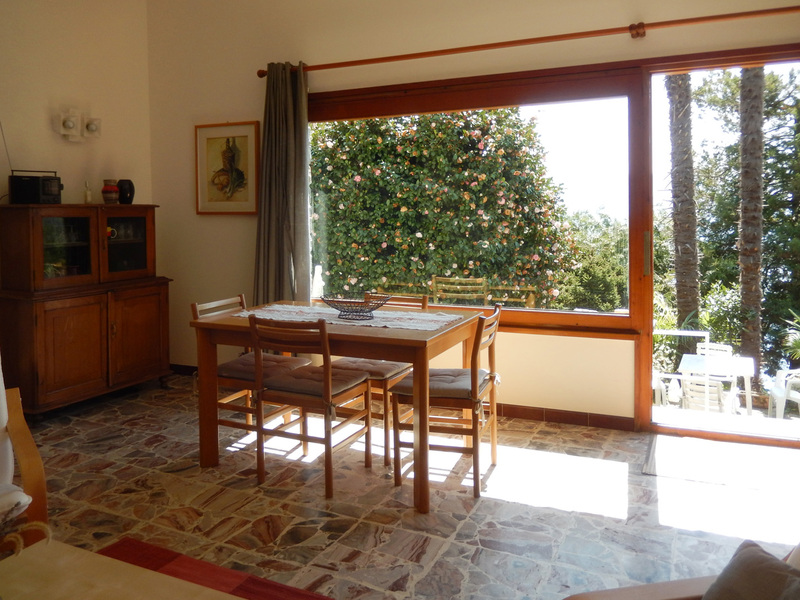 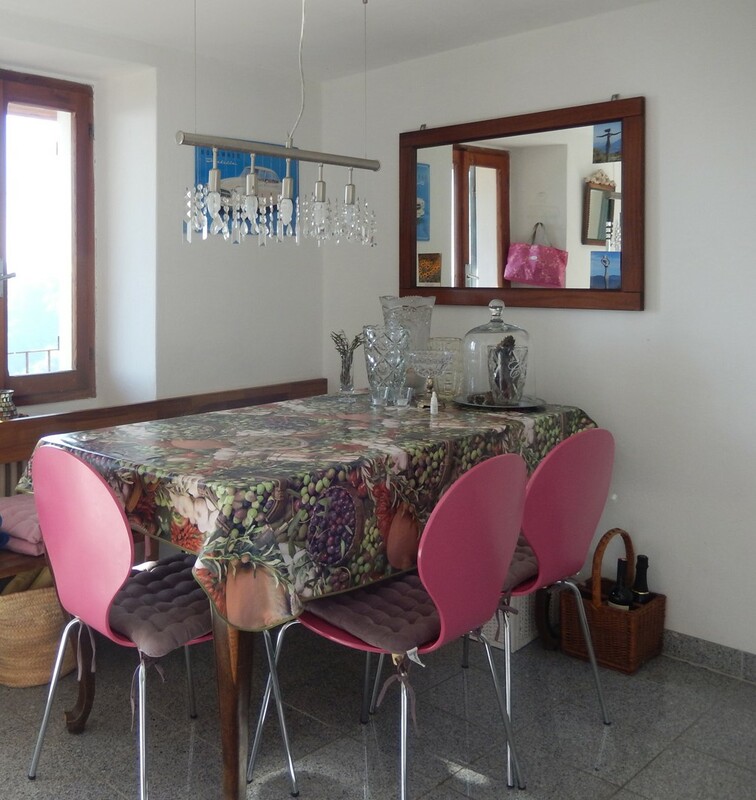 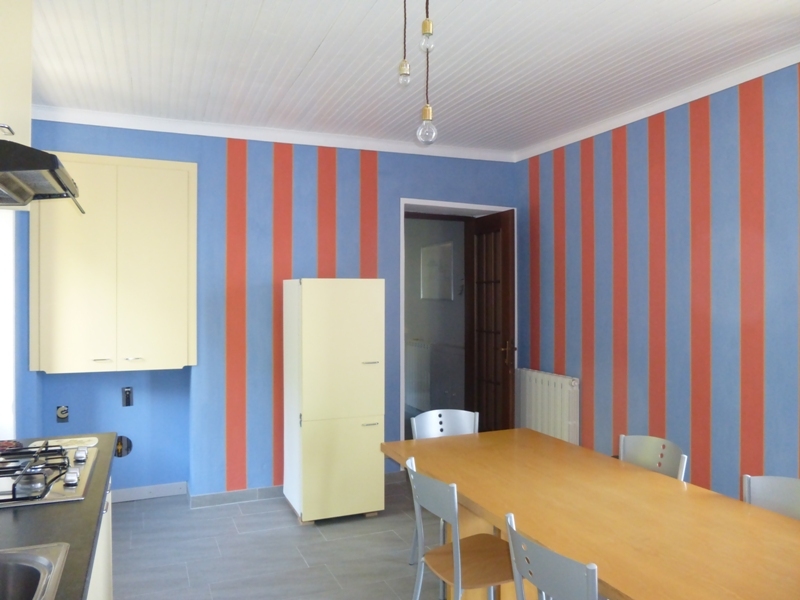 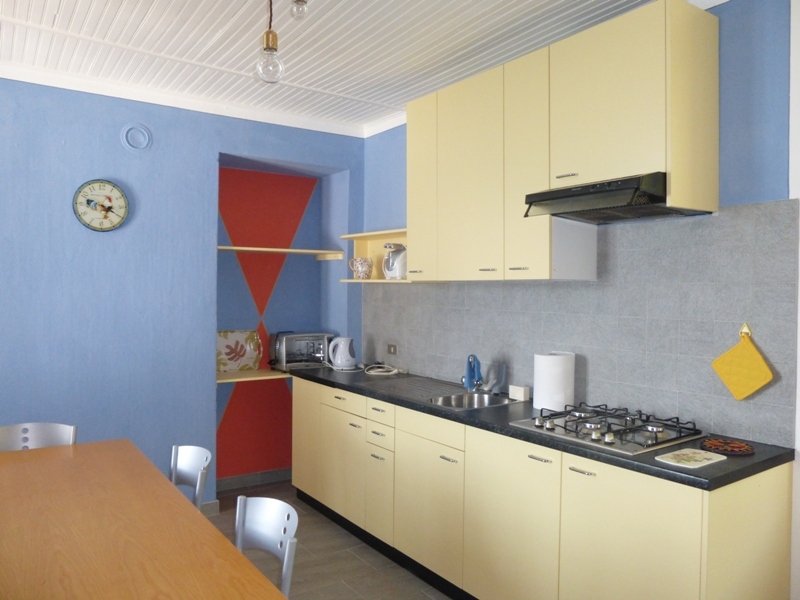 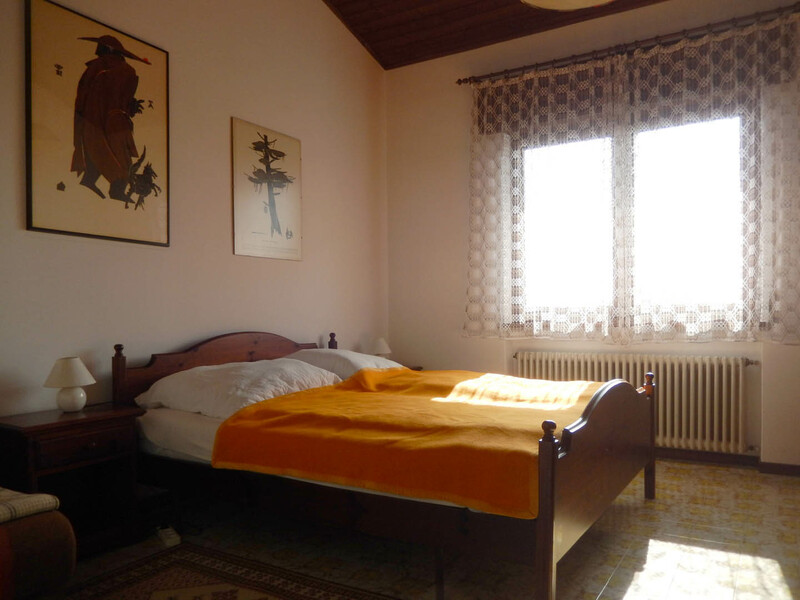 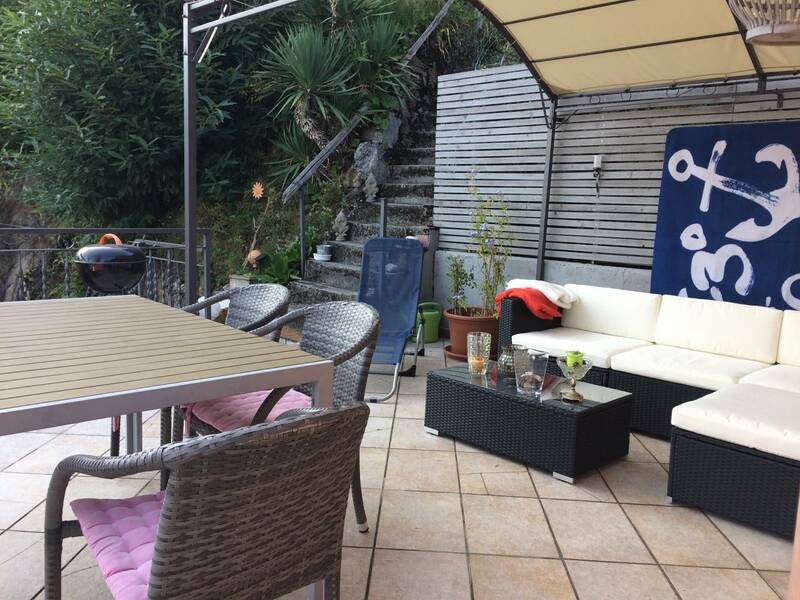 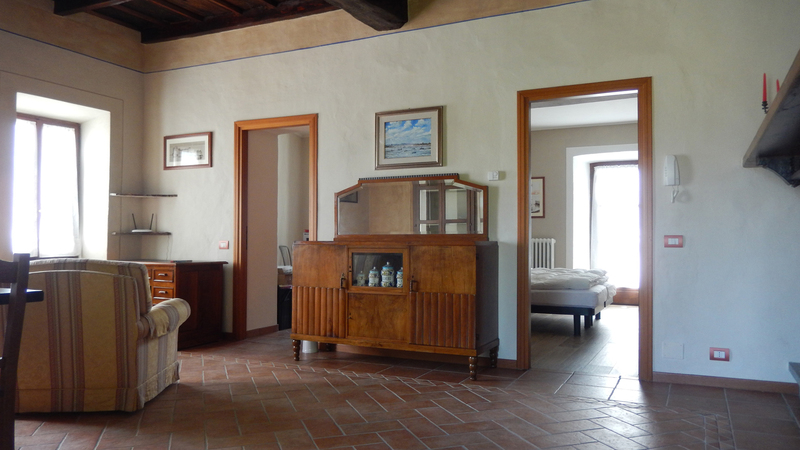 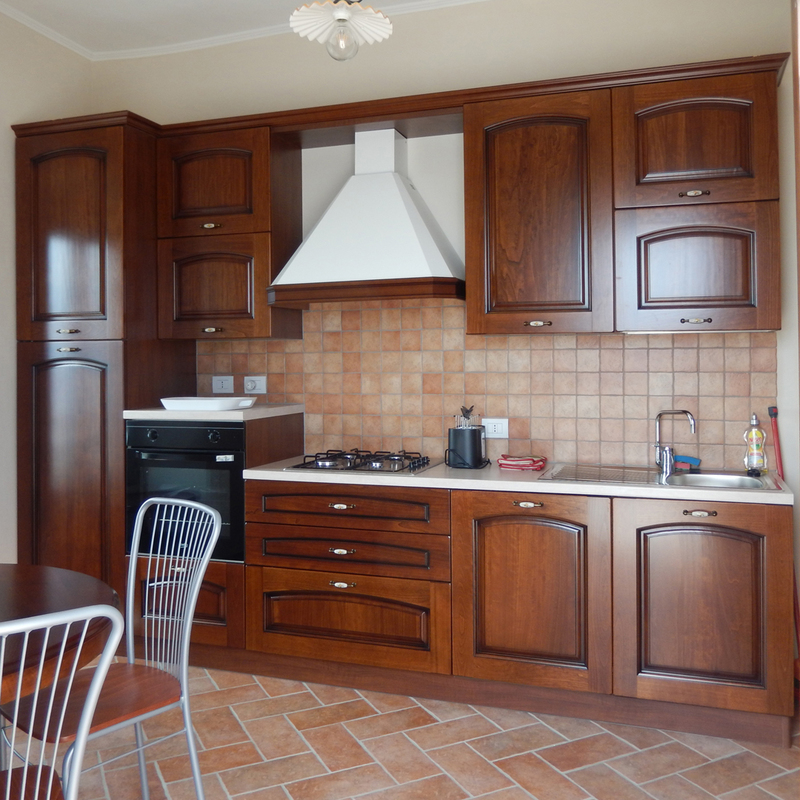 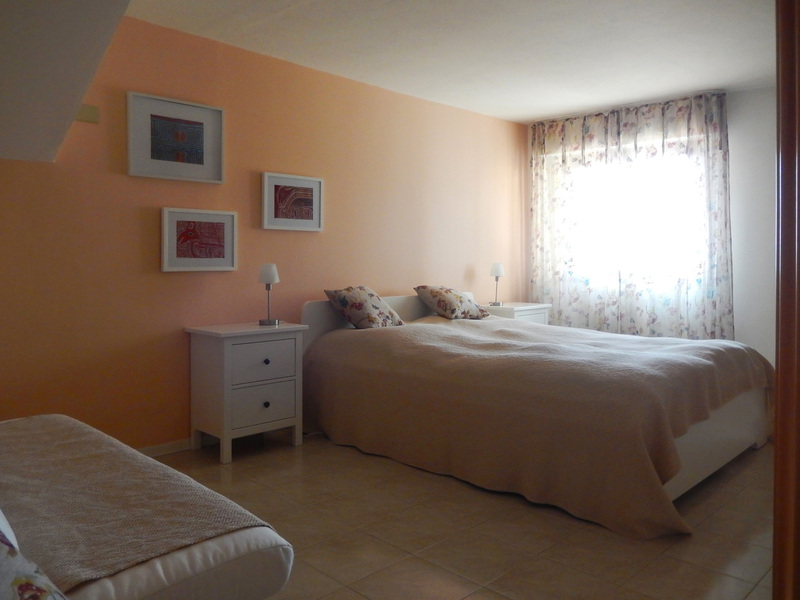 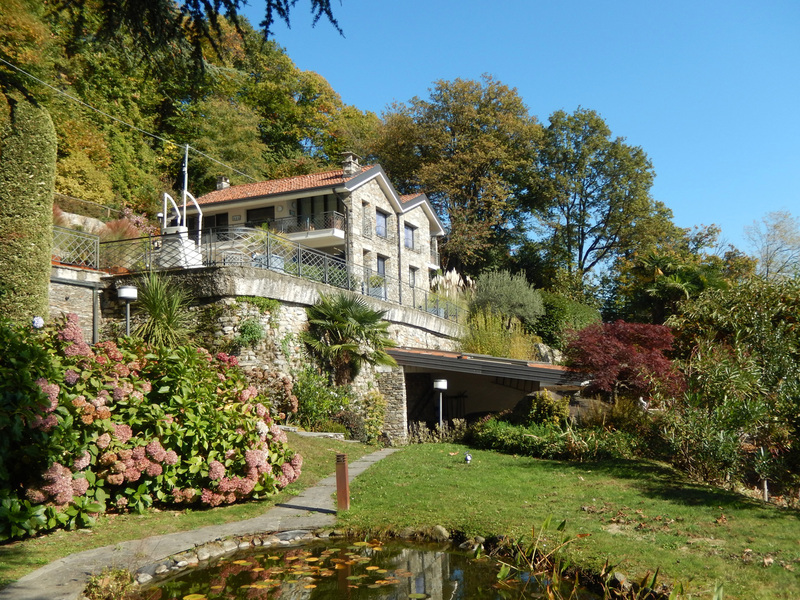 Apartment on the first floor with terrace and garden, sunny location and wonderful lake view. 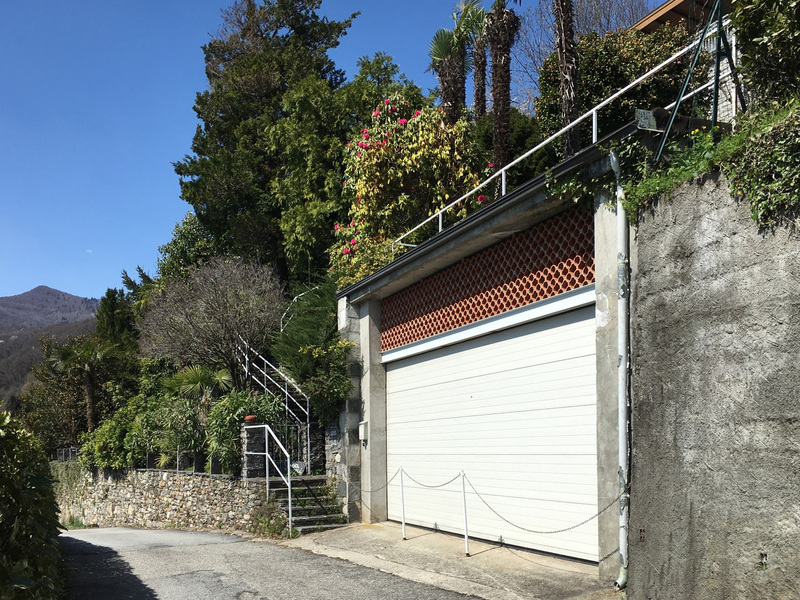 Garage available directly at the property. 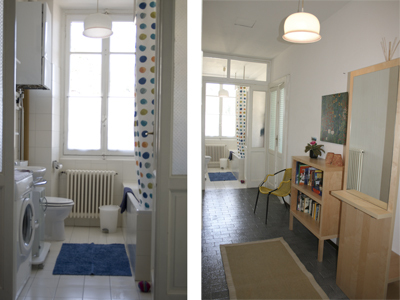 Rooms: livingroom with terrace, livingroom with kitchen area, bedroom and bathroom with bathtub. 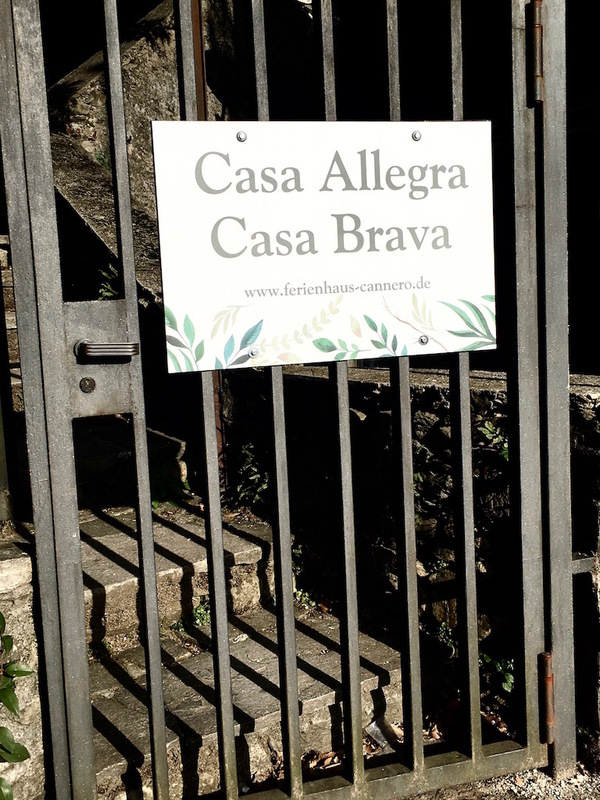 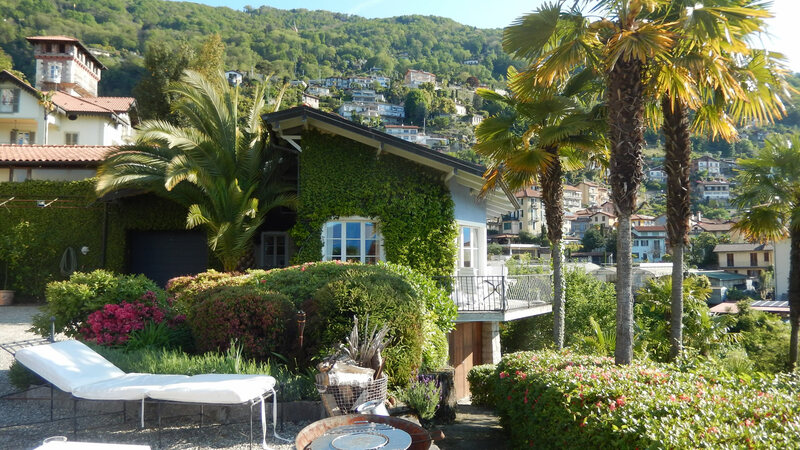 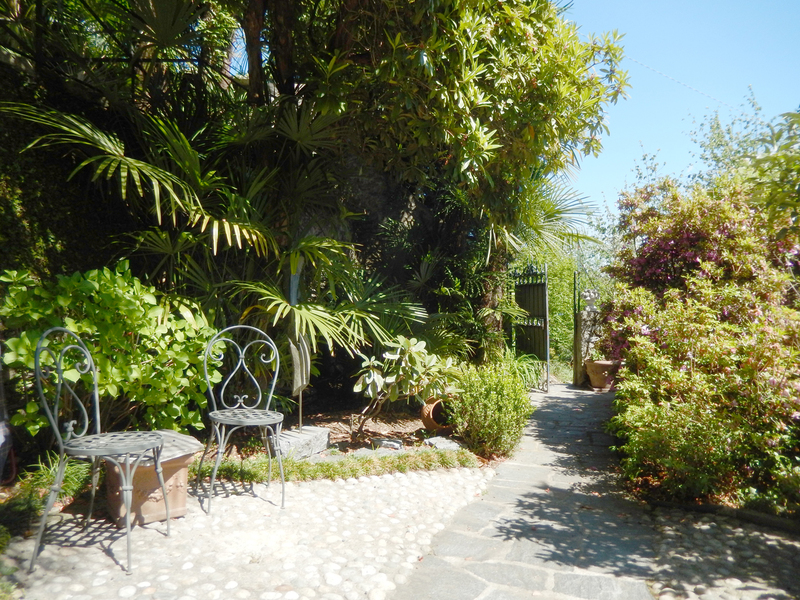 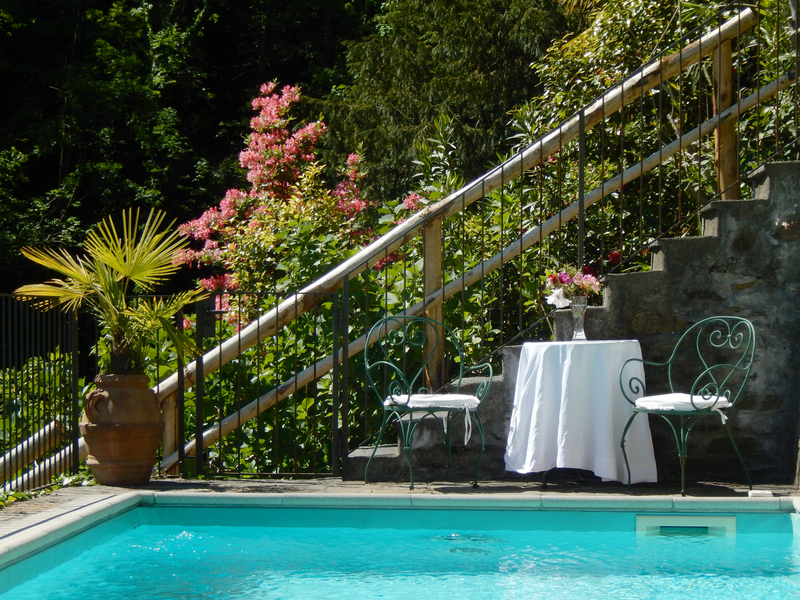 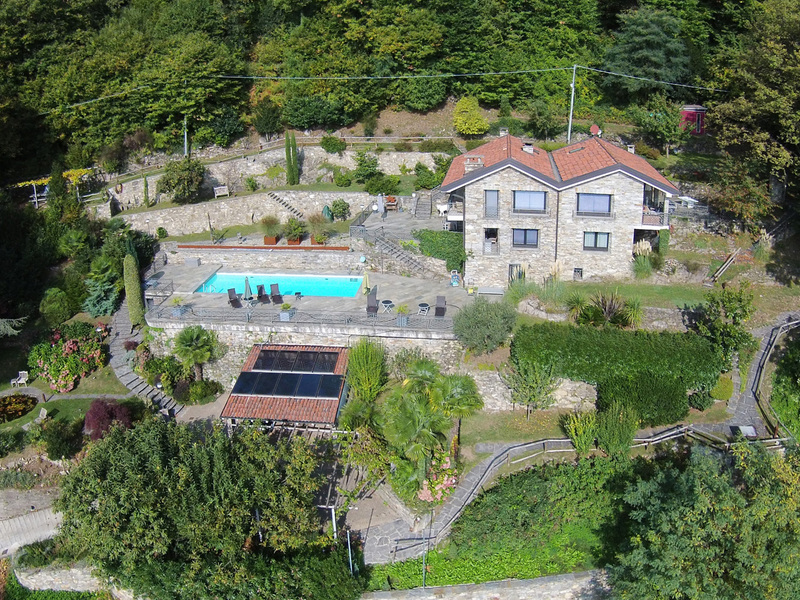 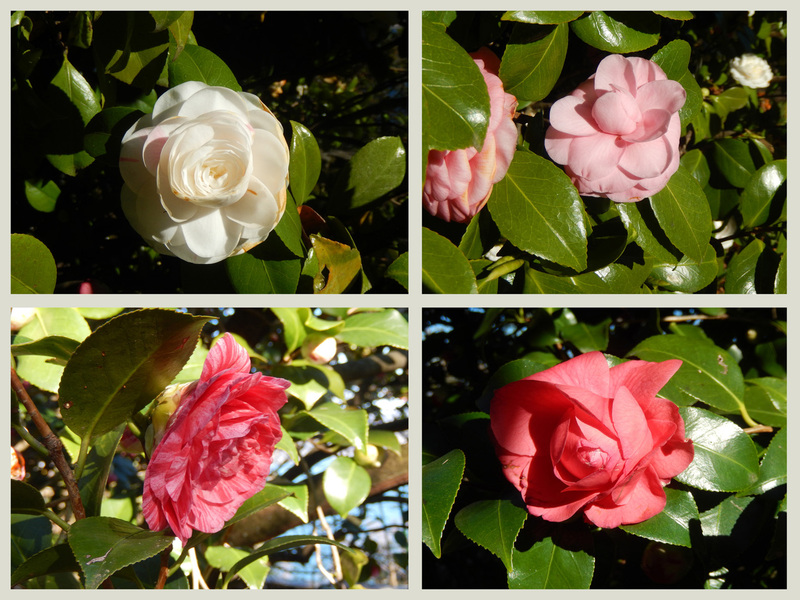 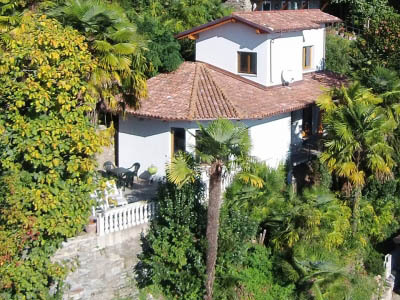 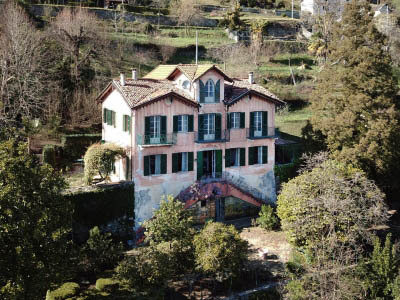 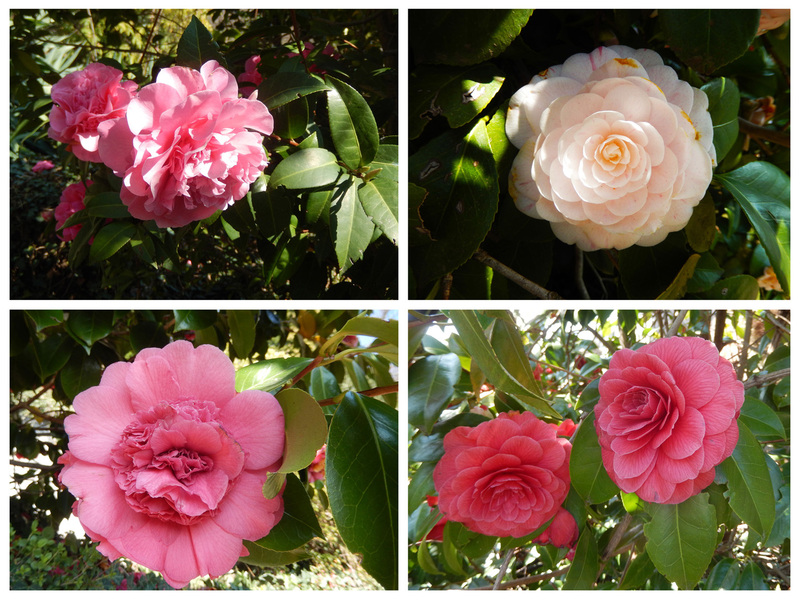 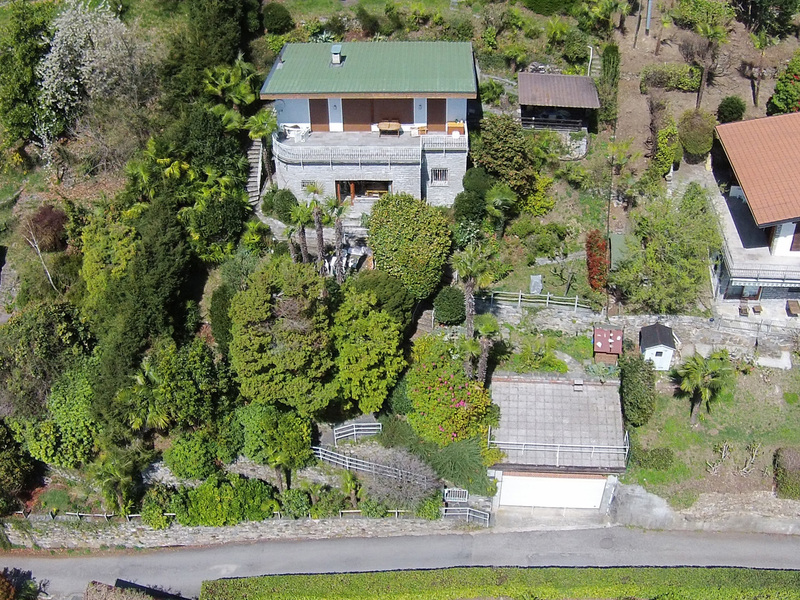 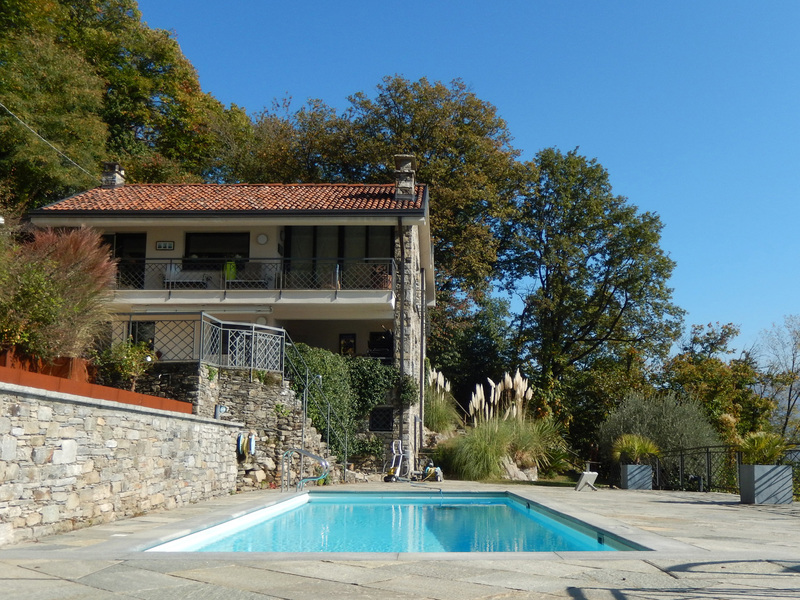 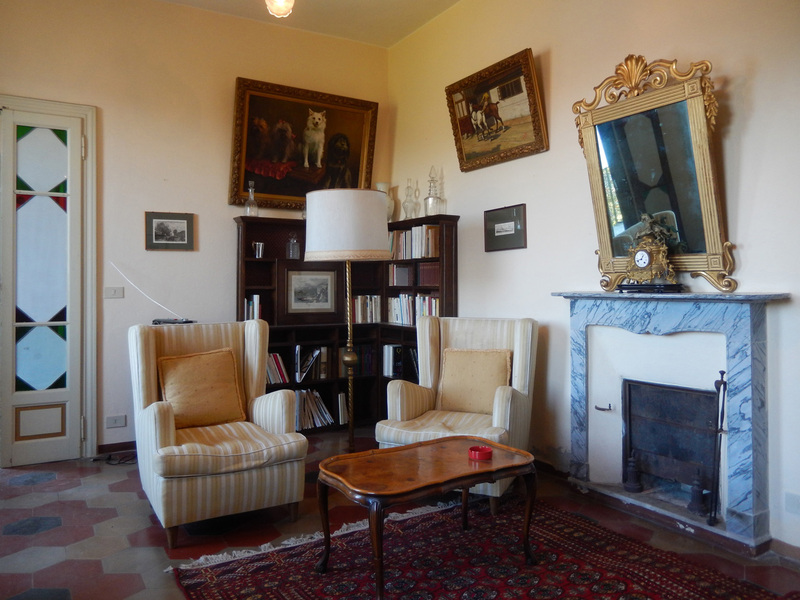 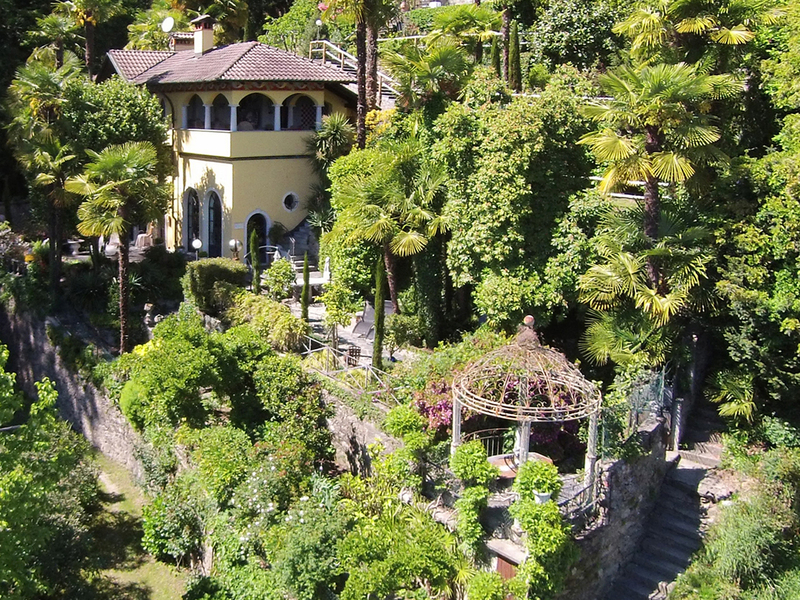 A stately villa in the middle of a beautiful garden in Orponte - Cannero Riviera. 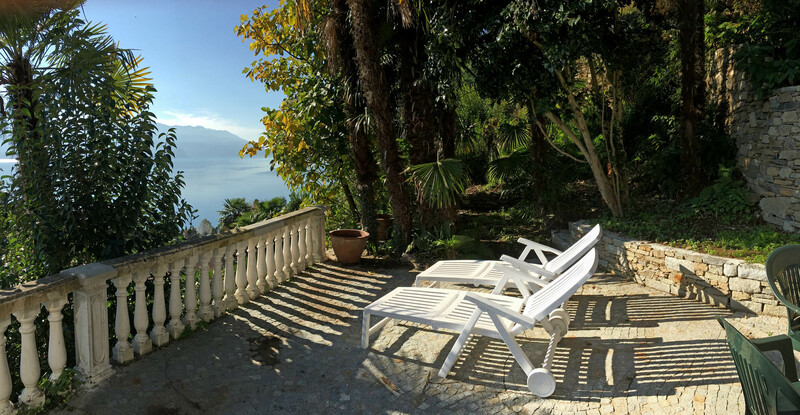 The villa has a panoramic terrace, garden with shrubby and flowery vegetation typical of the lake, swimming pool and beautiful lake view. 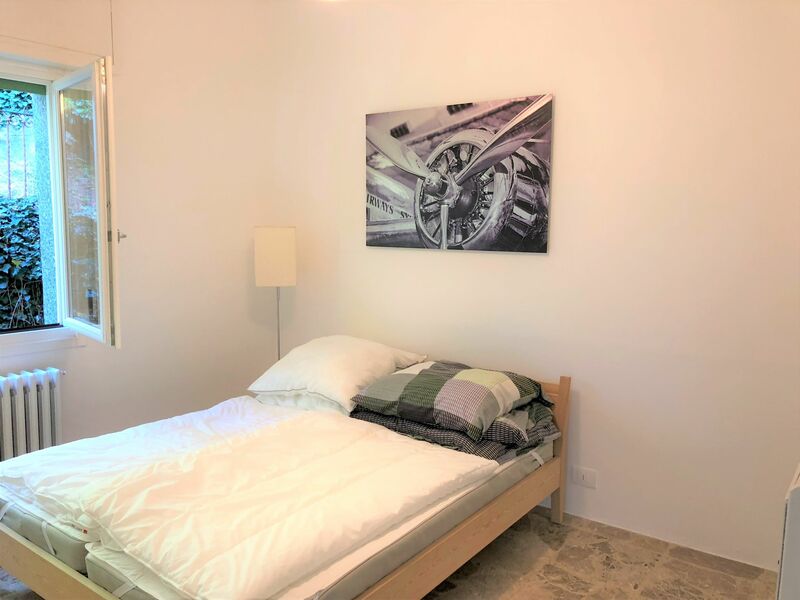 Places to sleep: two double bedrooms and one single bedroom.